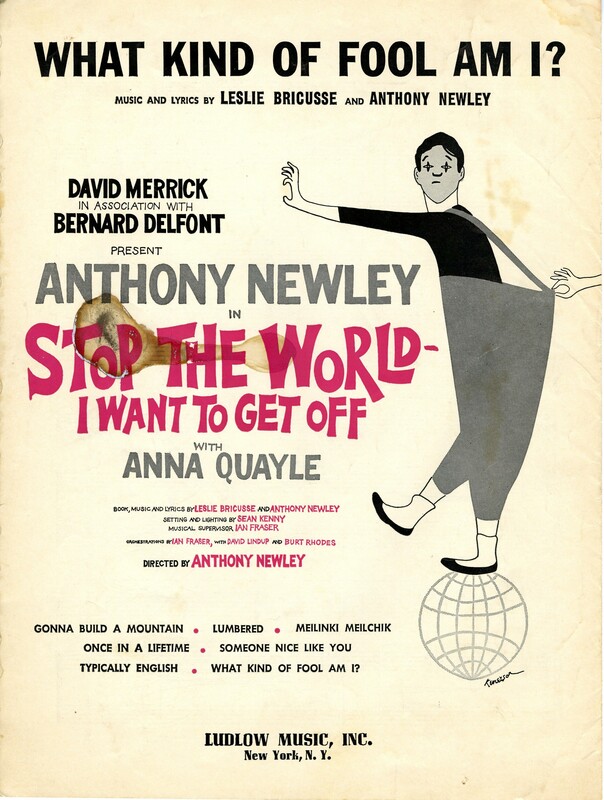 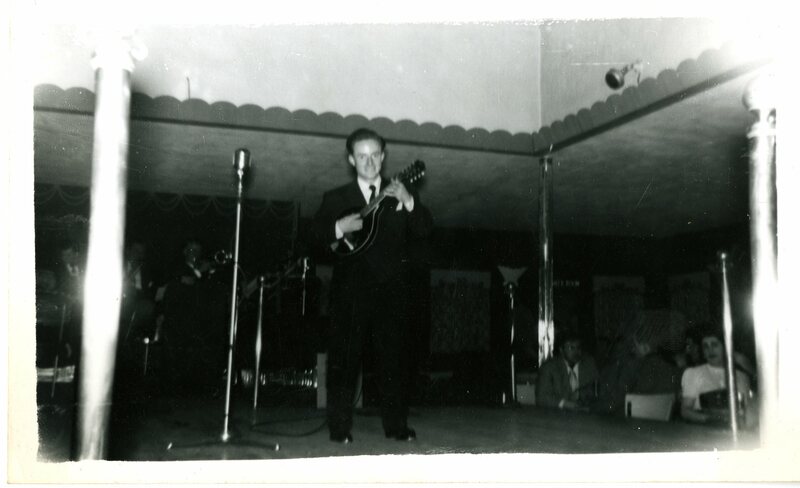 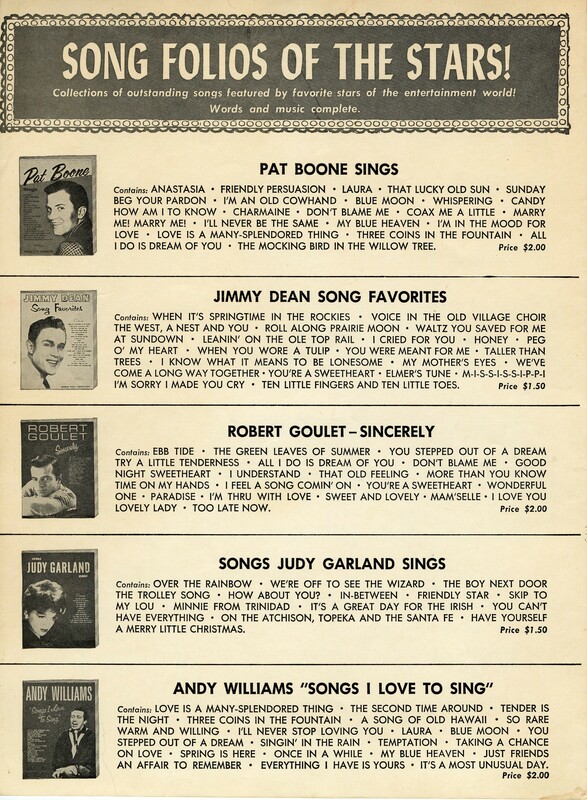 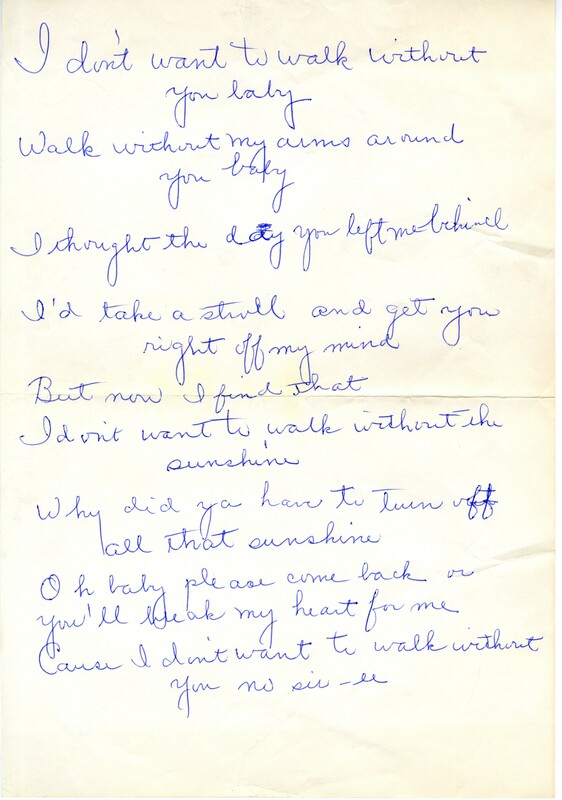 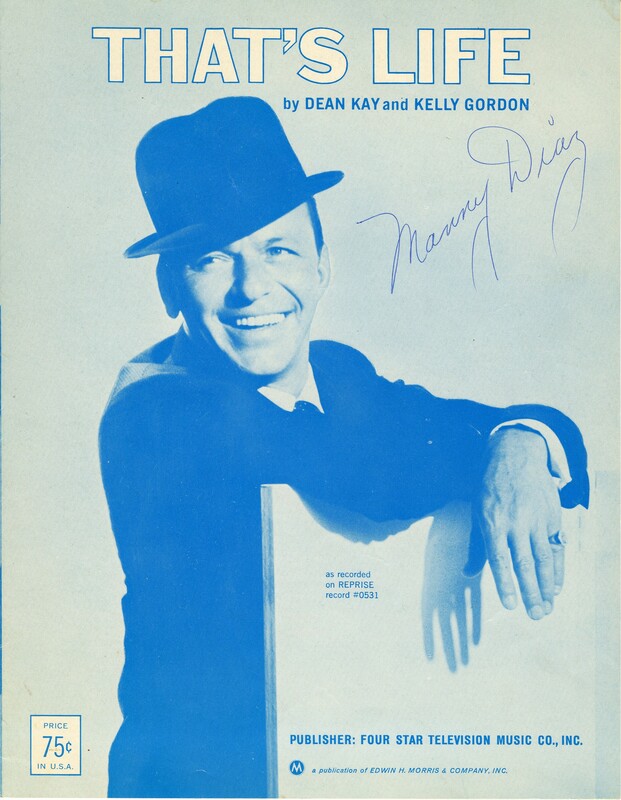 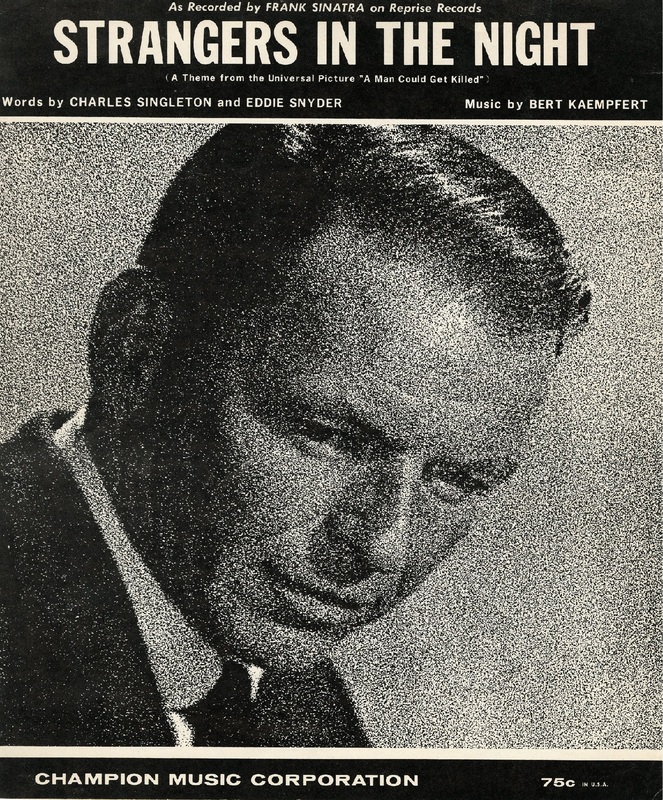 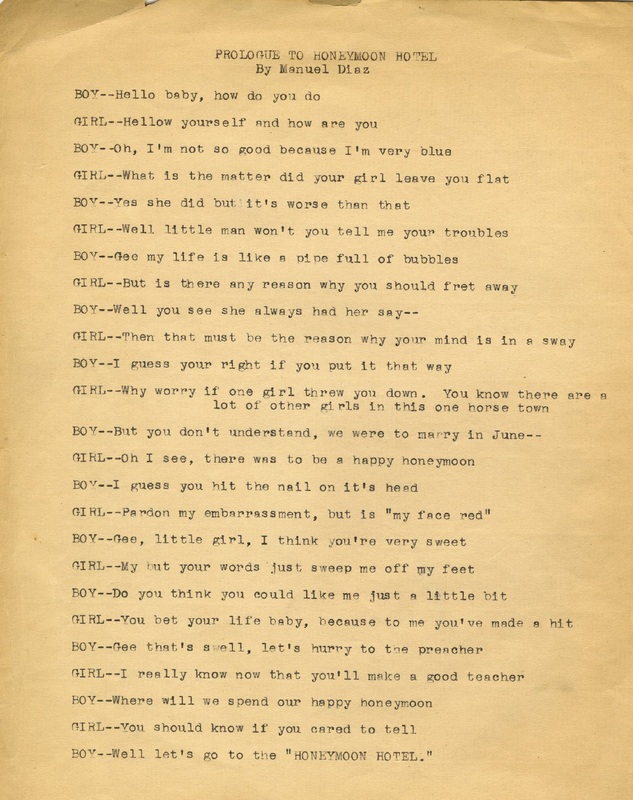 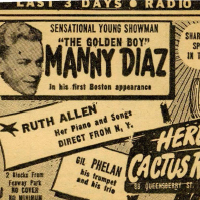 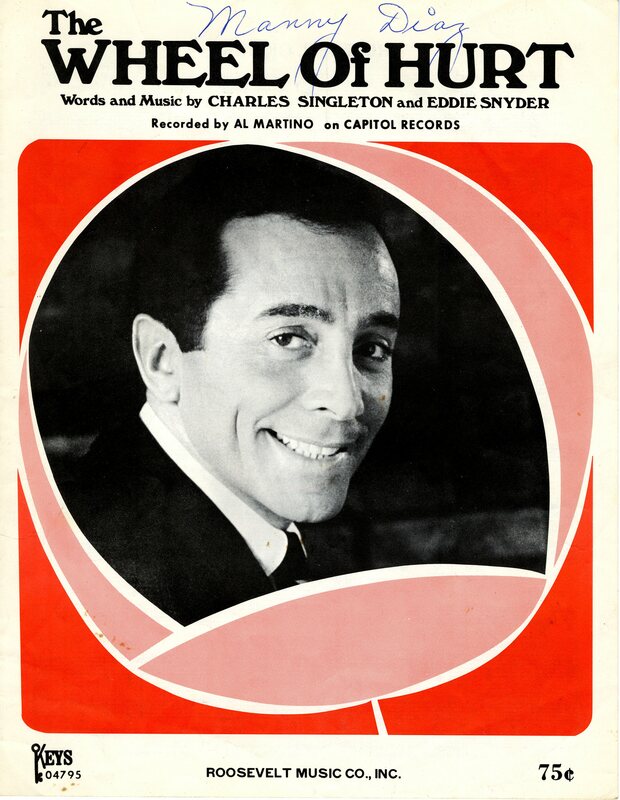 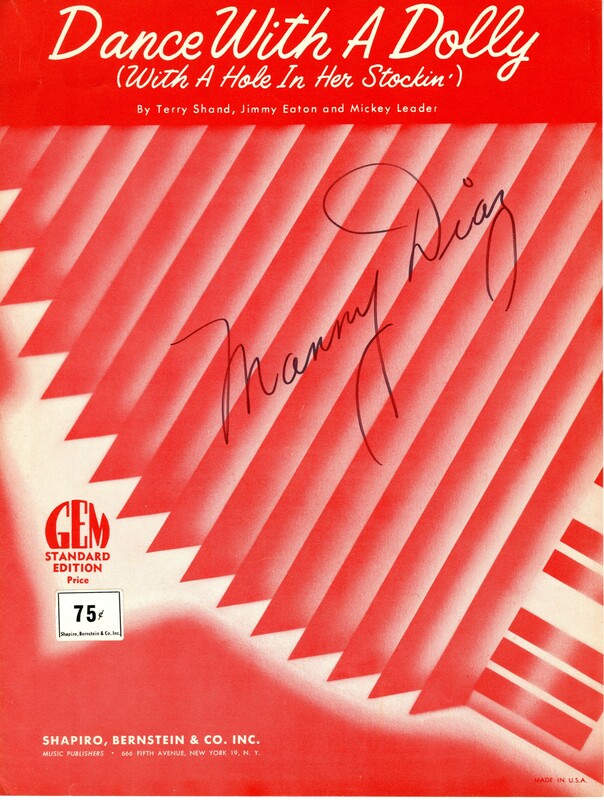 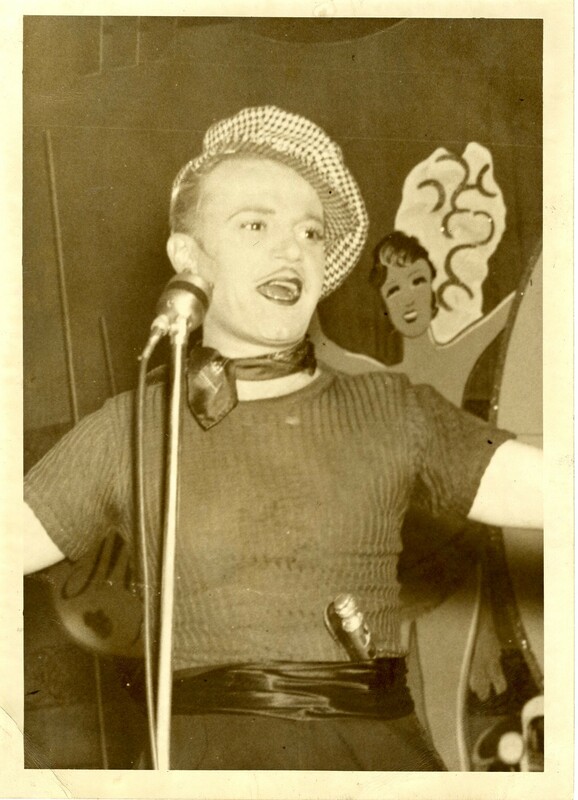 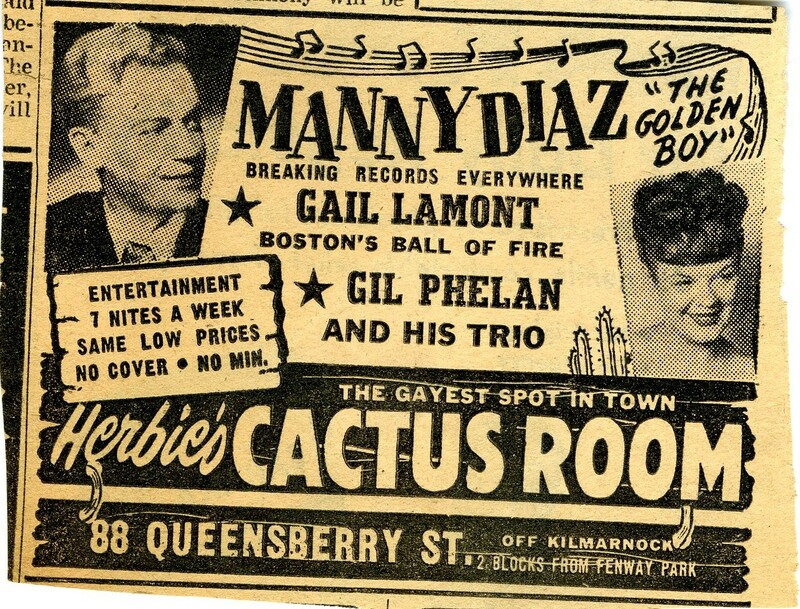 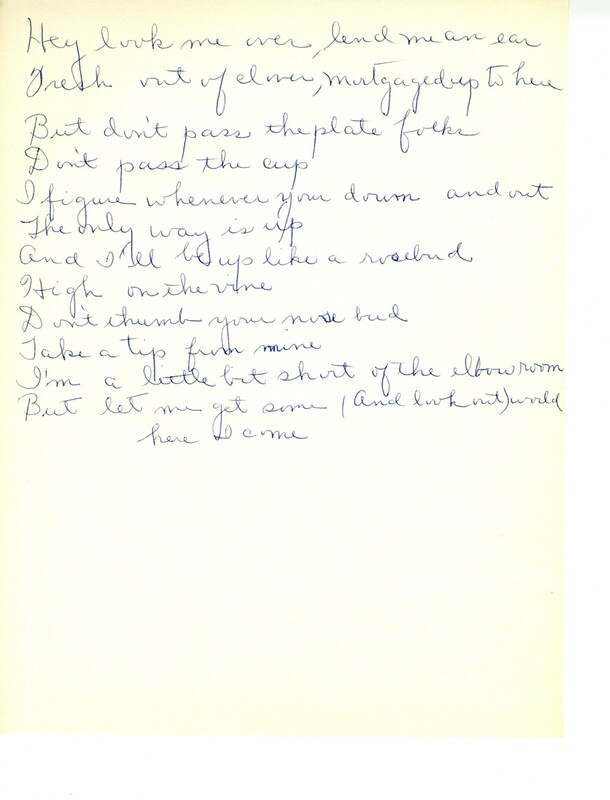 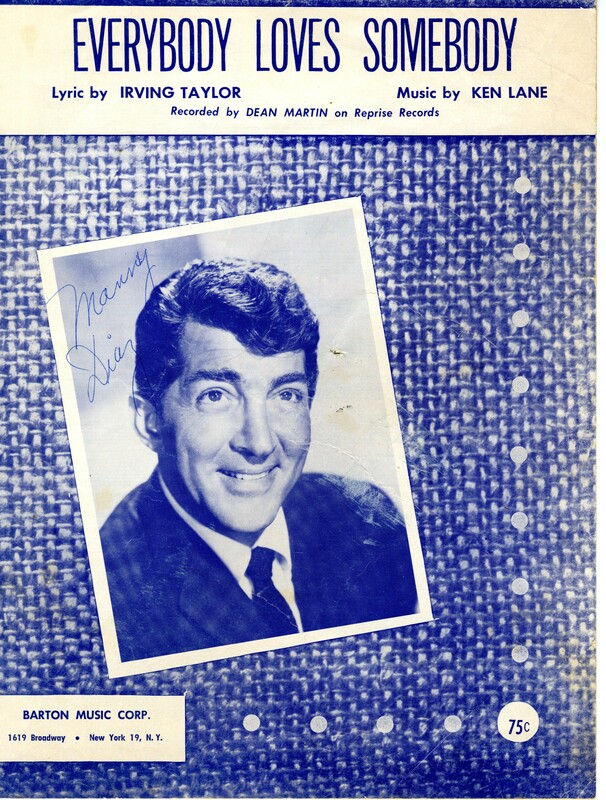 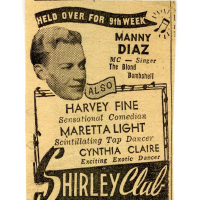 “I Want to Get Married” was Manny’s most memorable chanson. 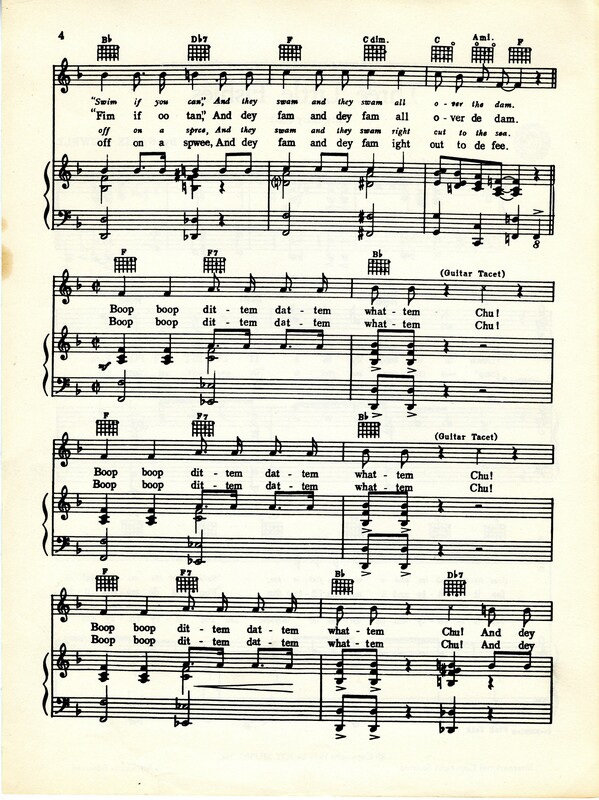 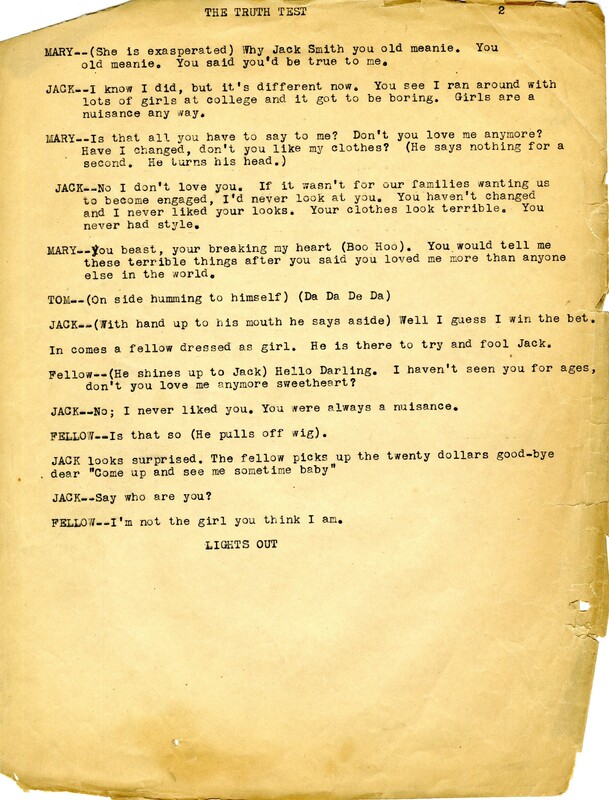 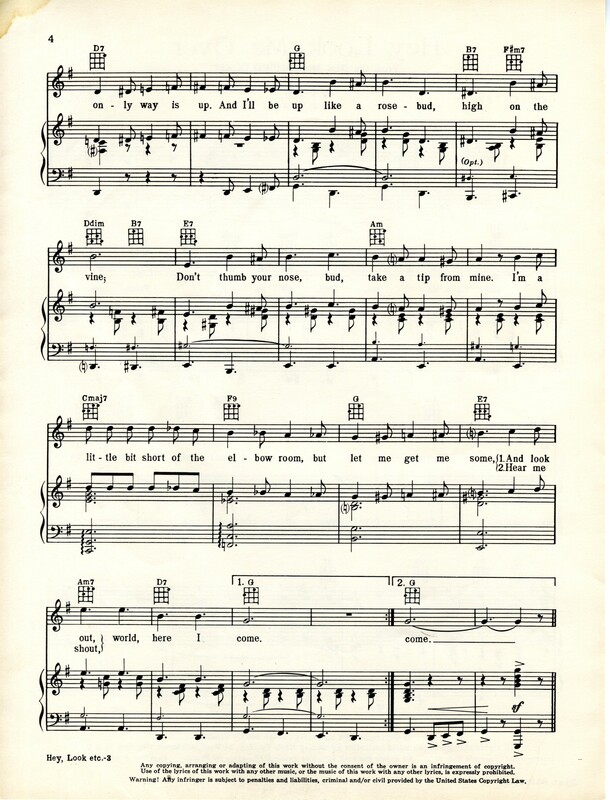 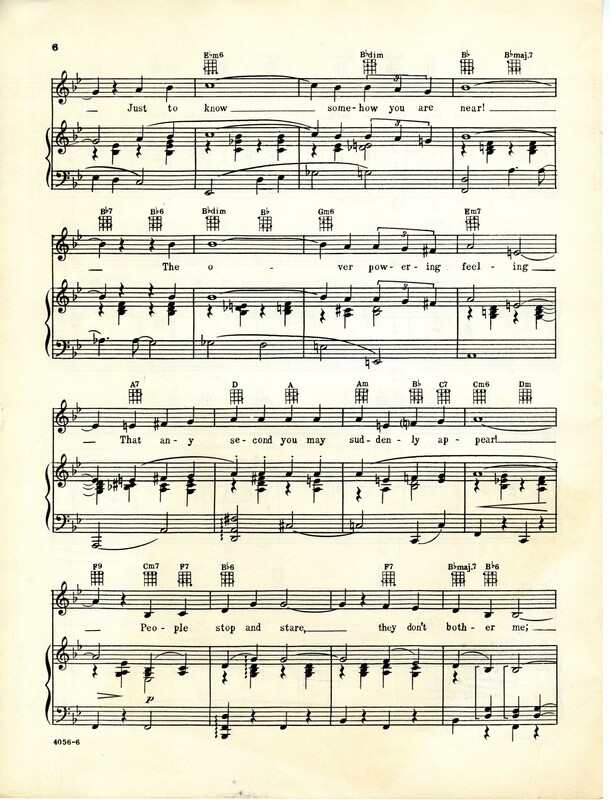 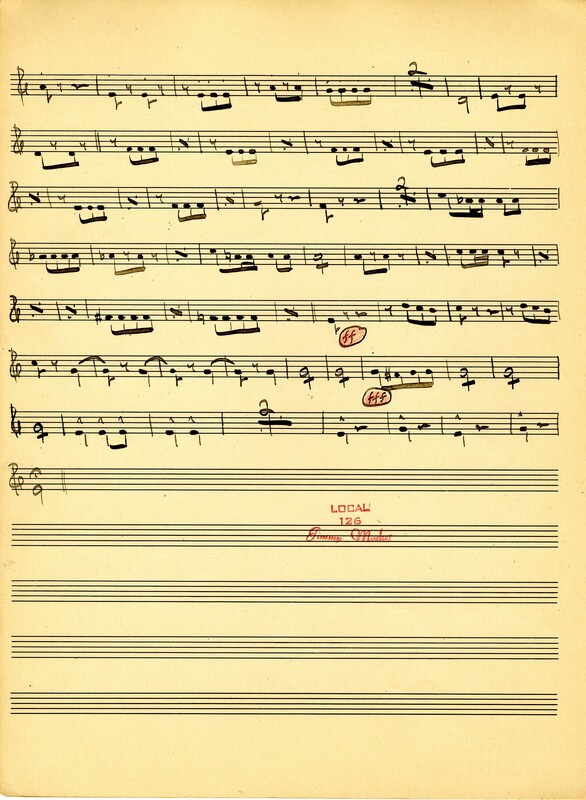 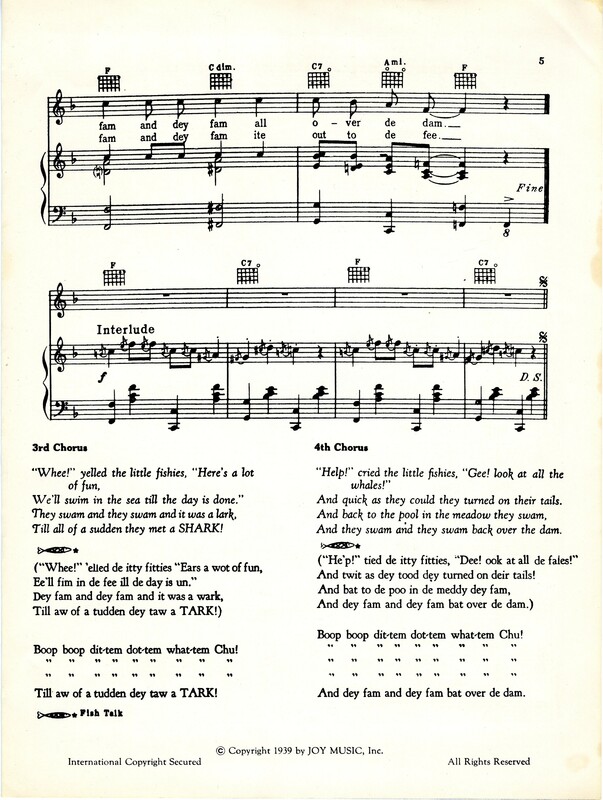 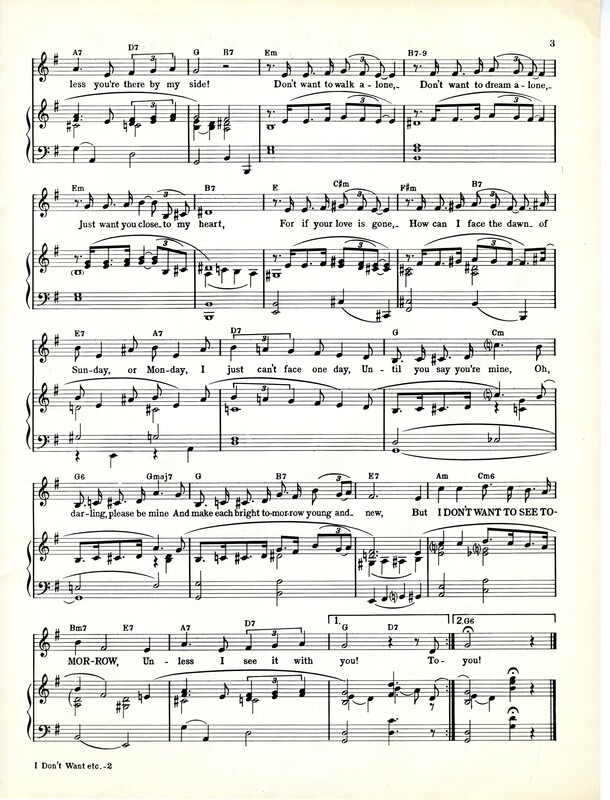 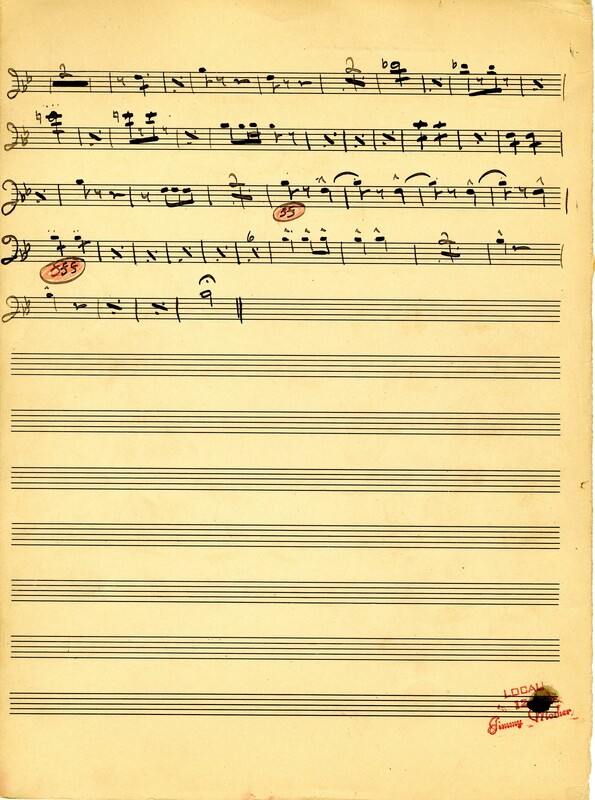 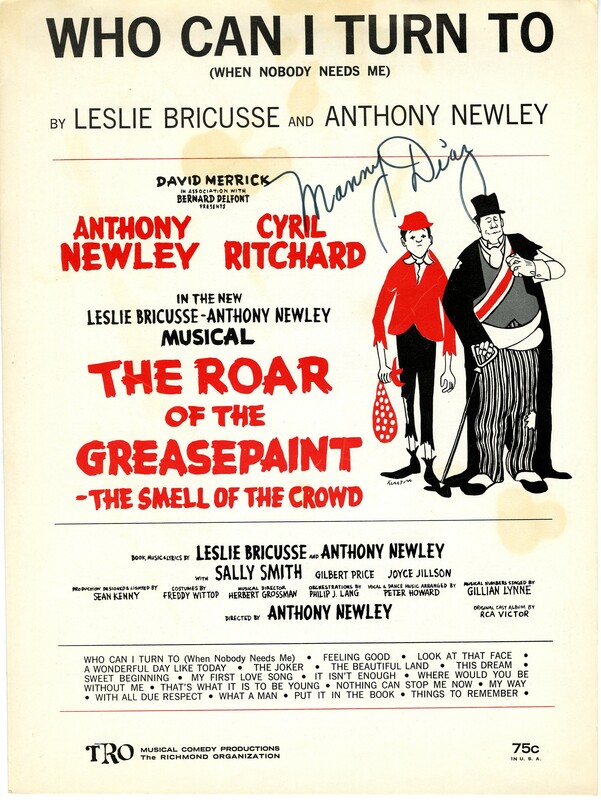 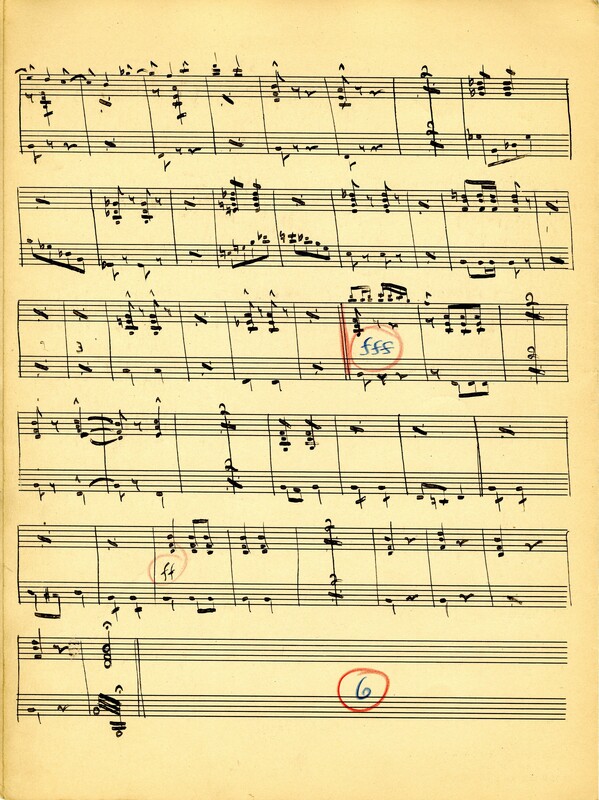 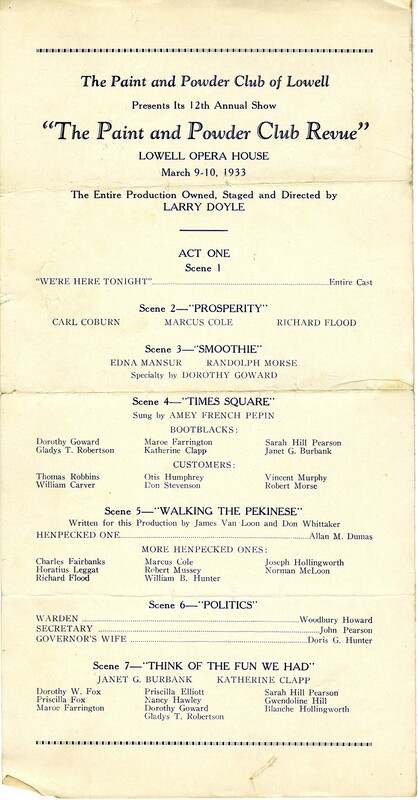 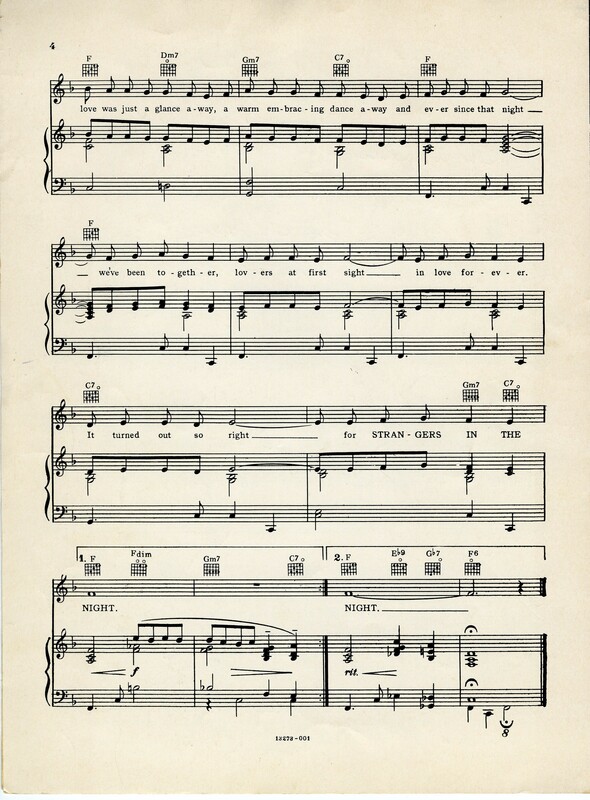 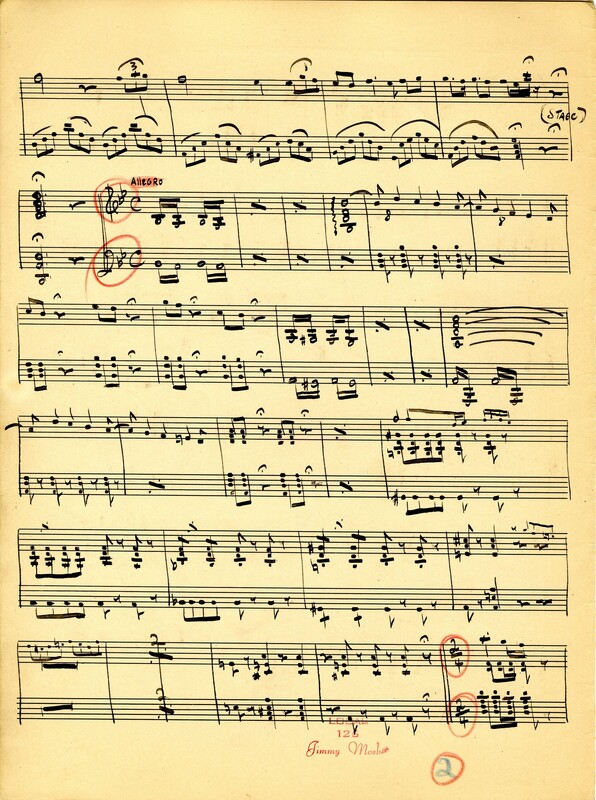 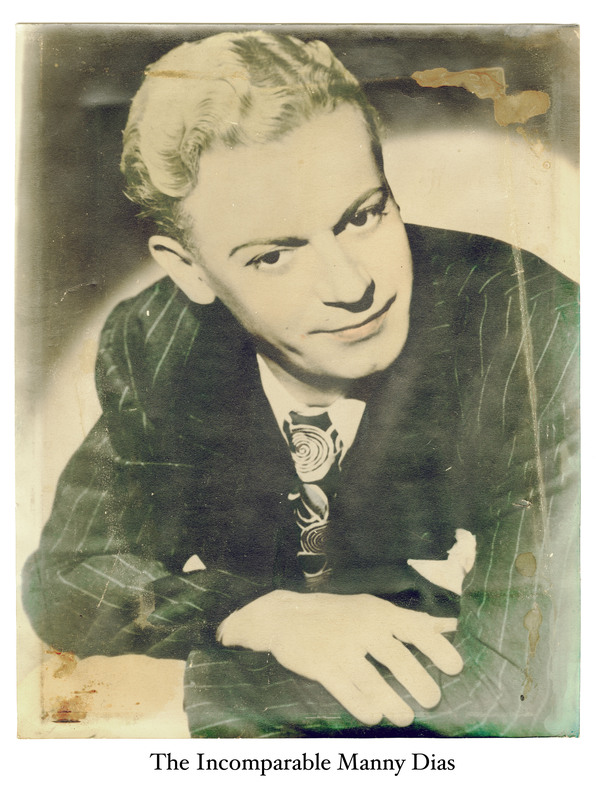 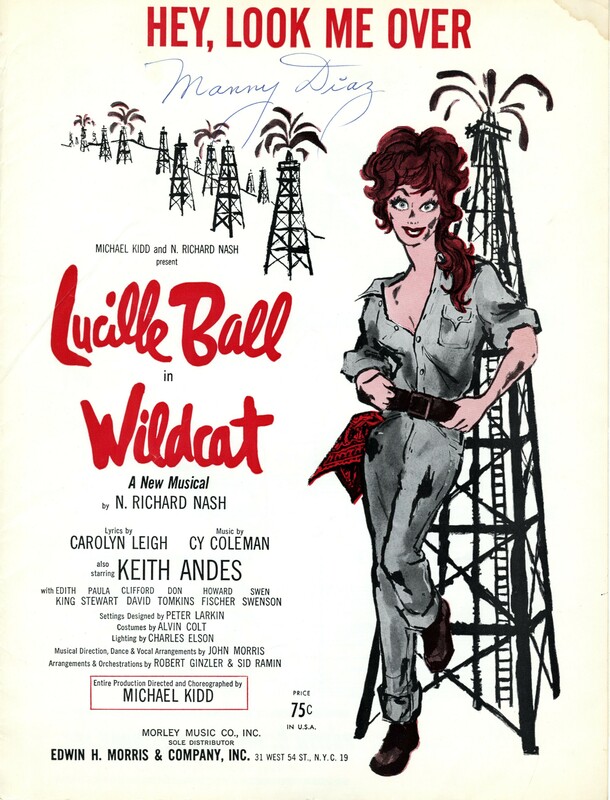 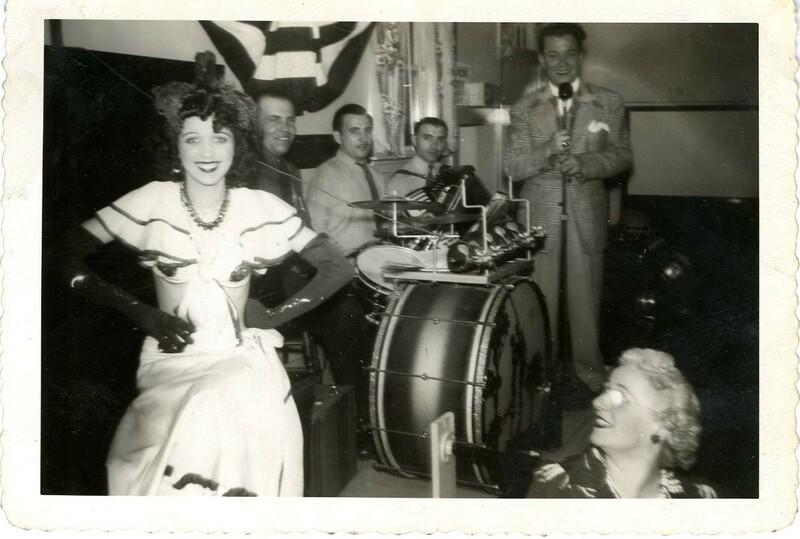 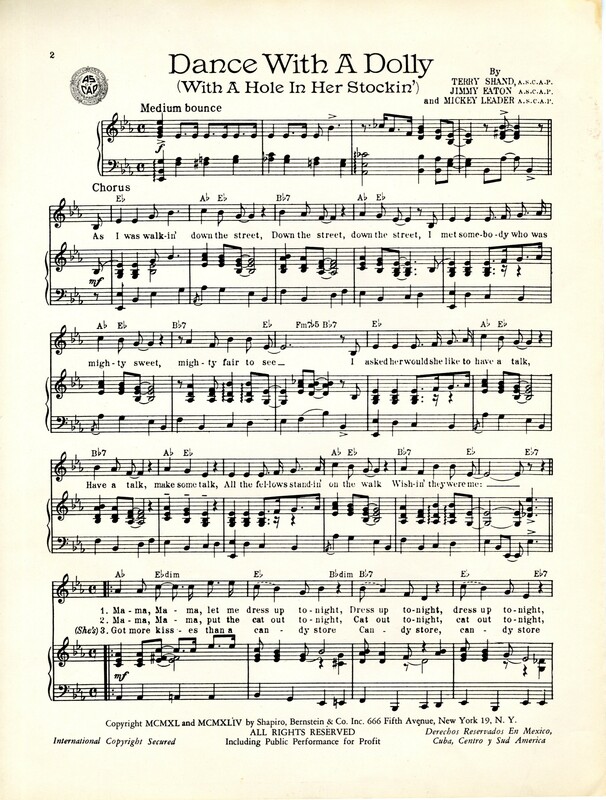 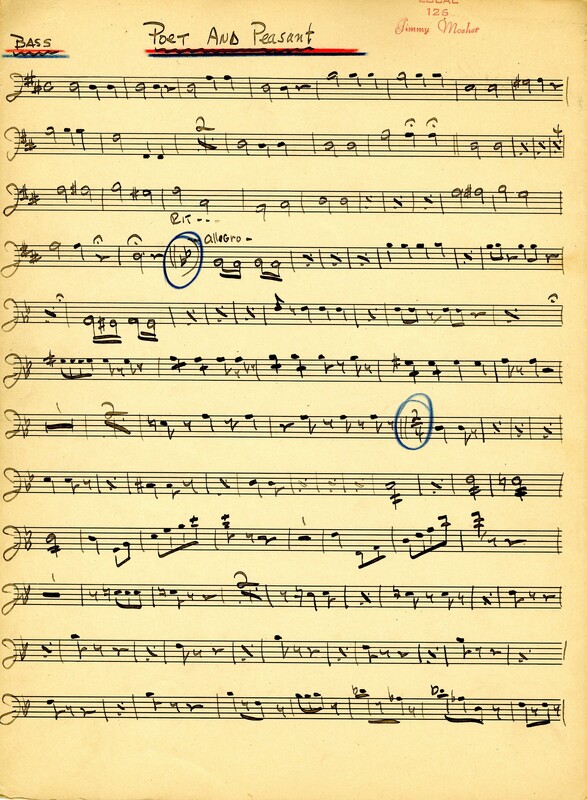 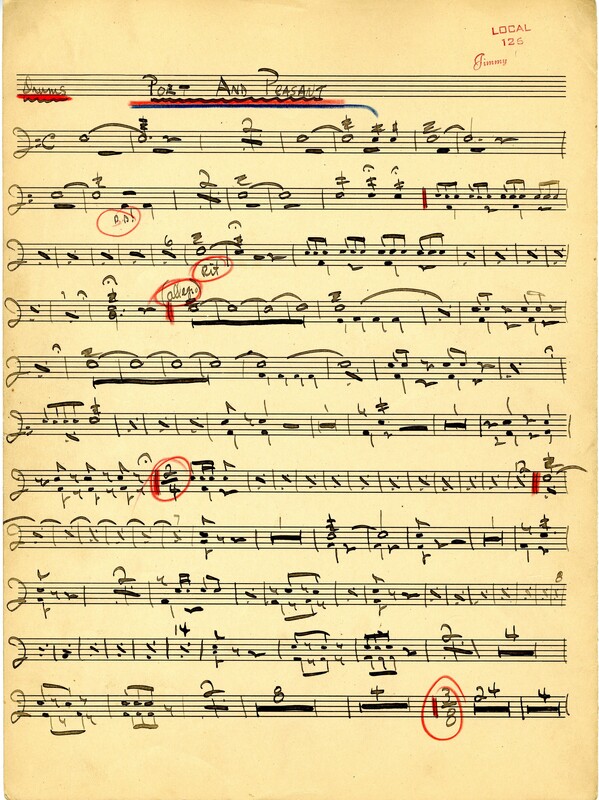 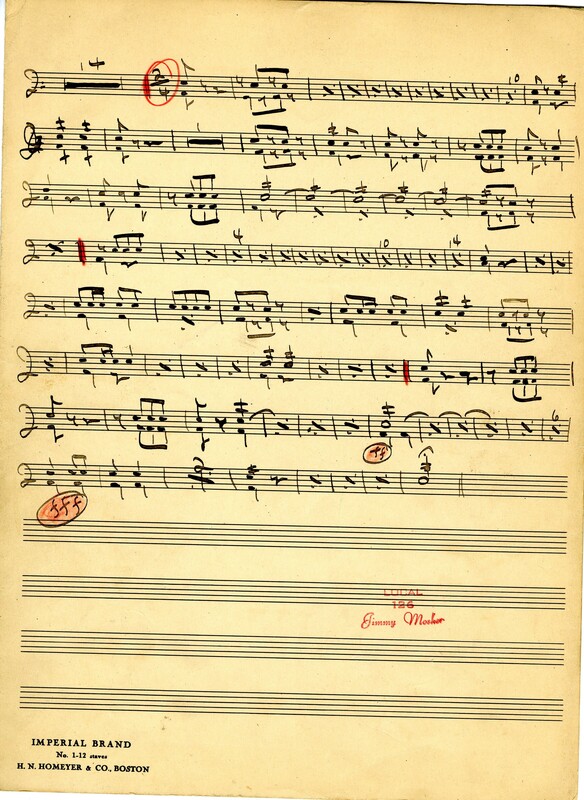 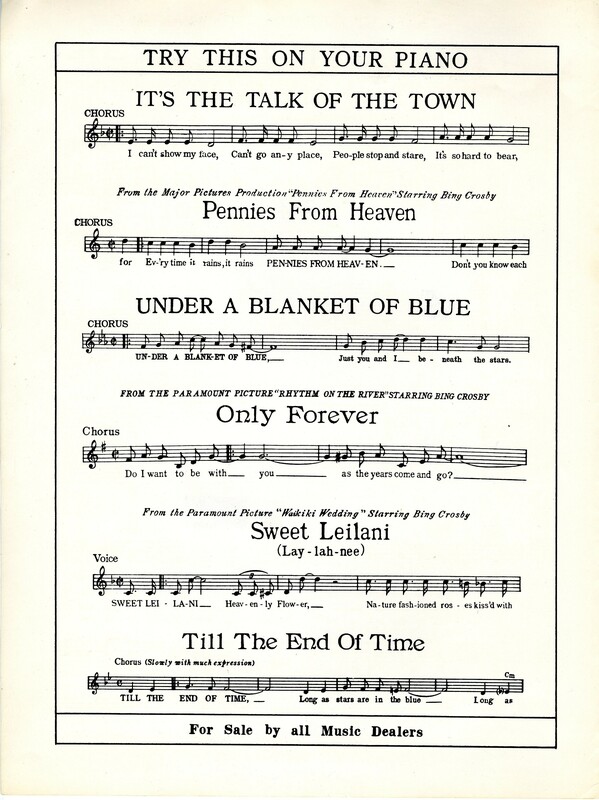 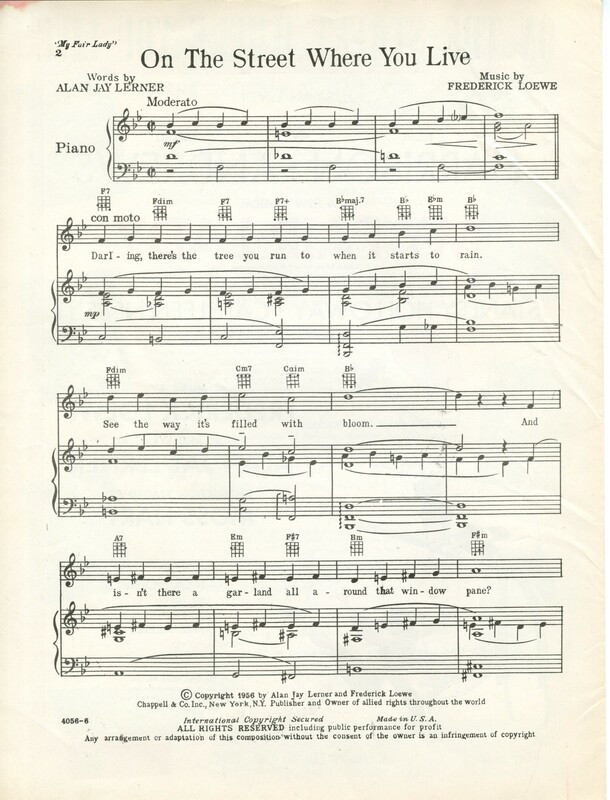 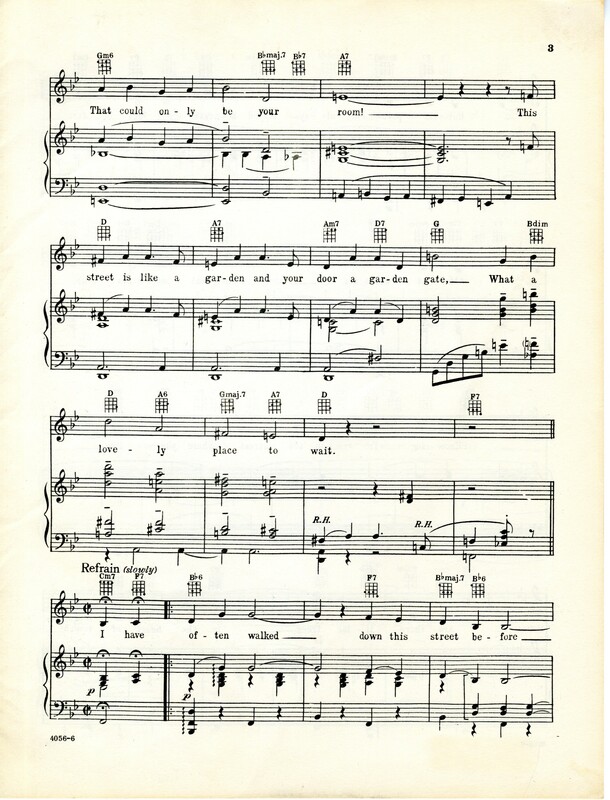 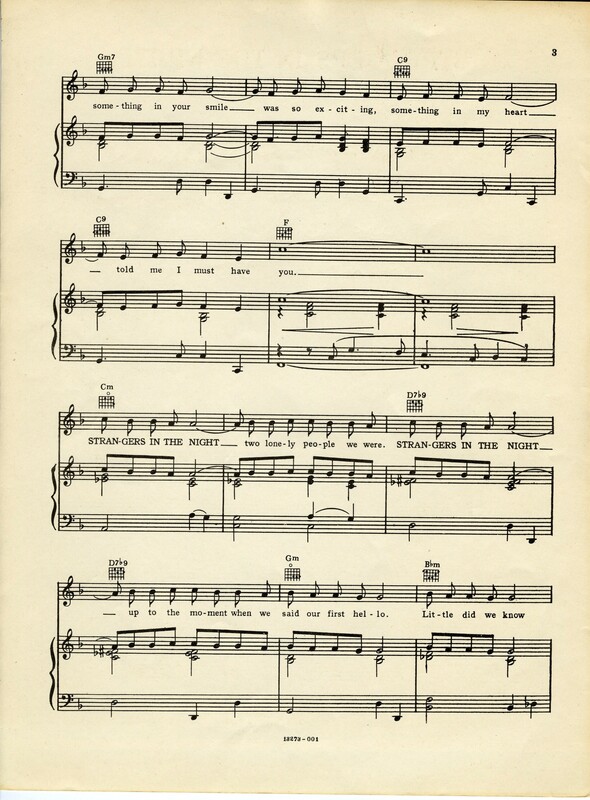 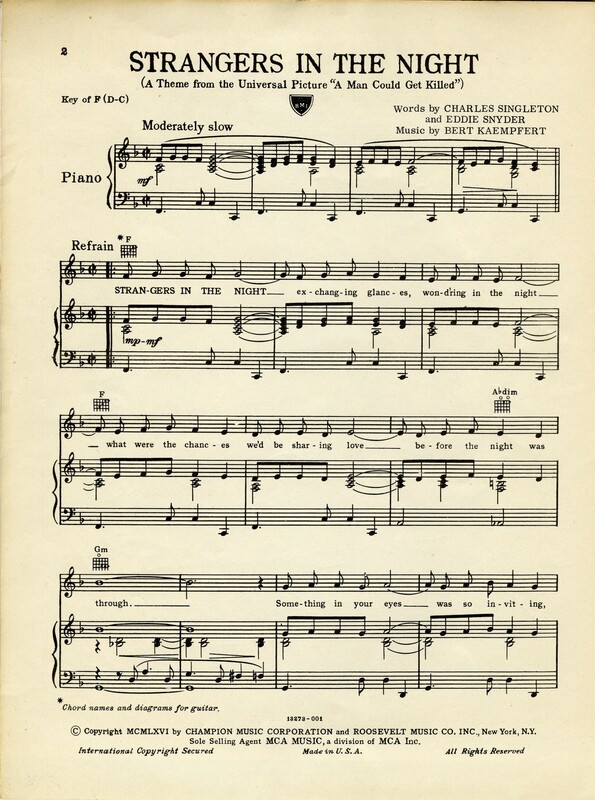 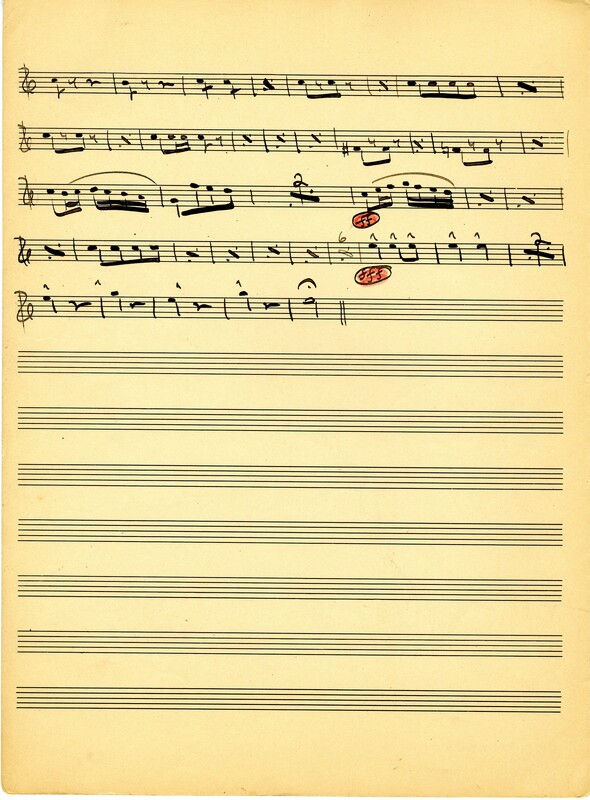 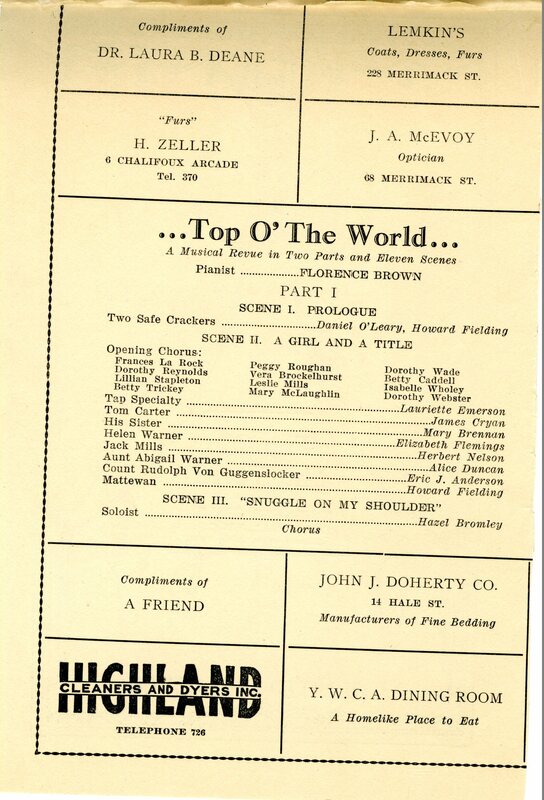 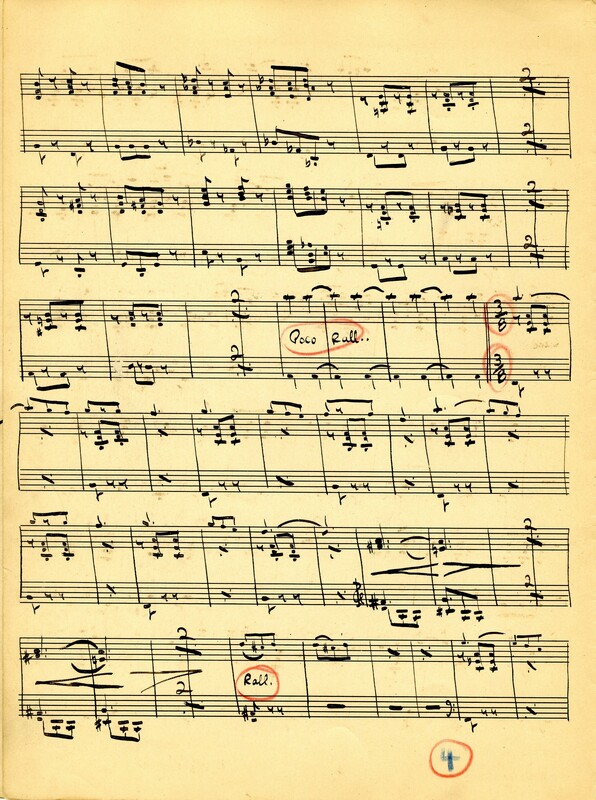 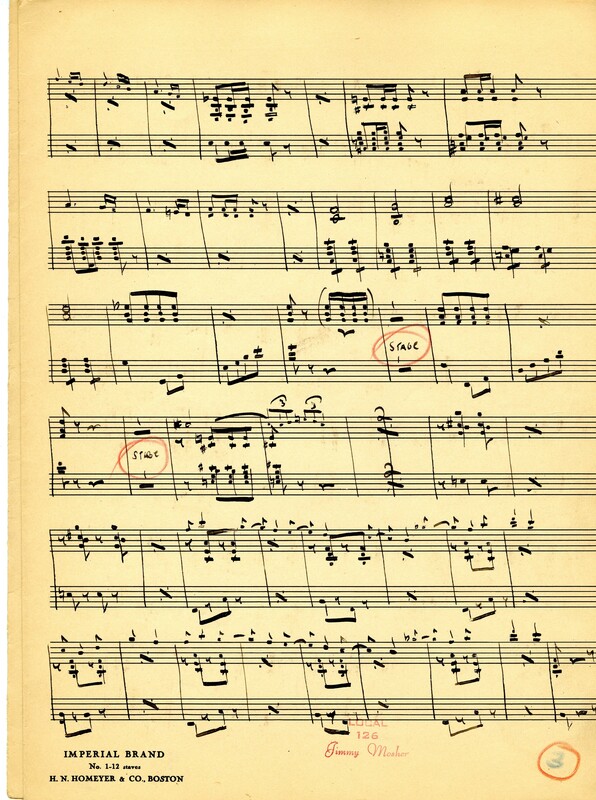 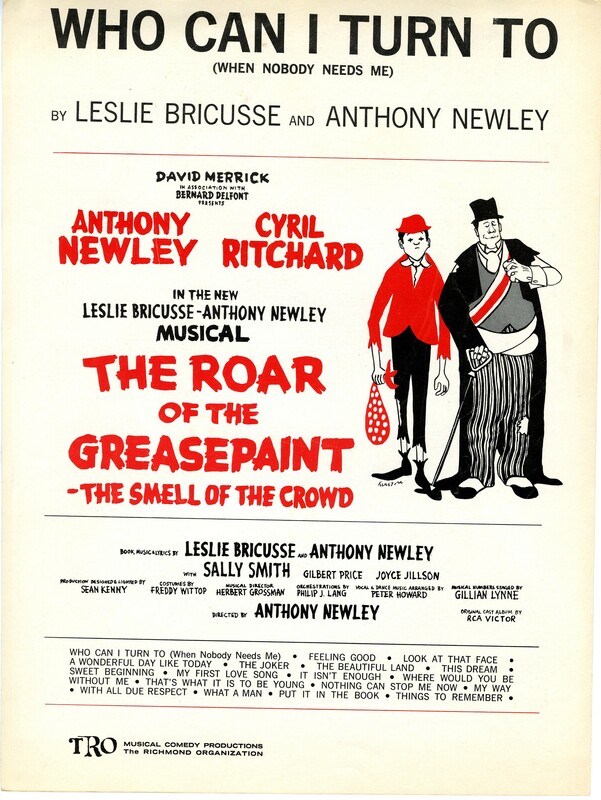 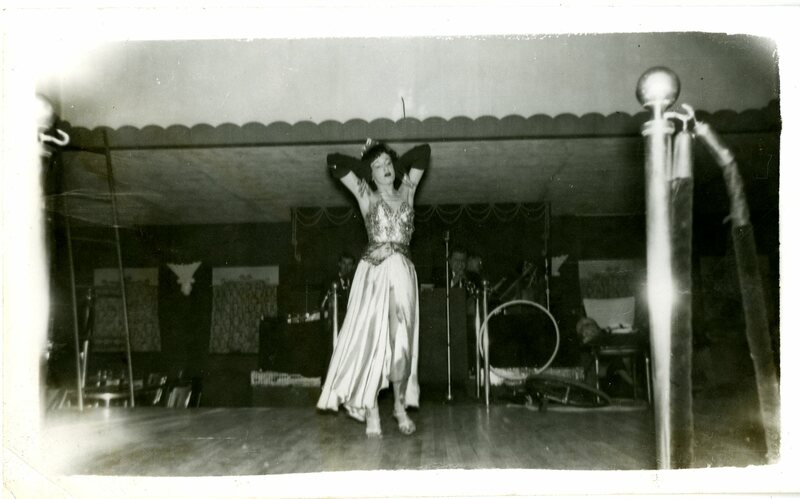 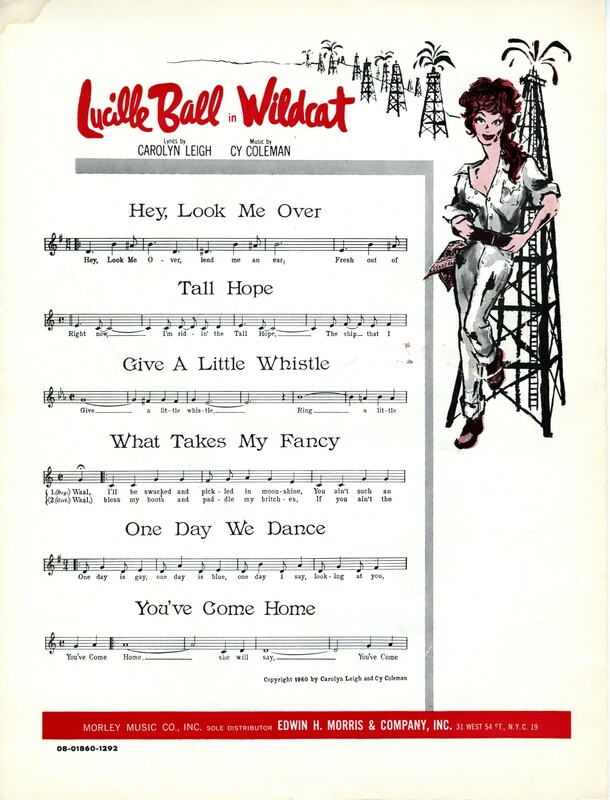 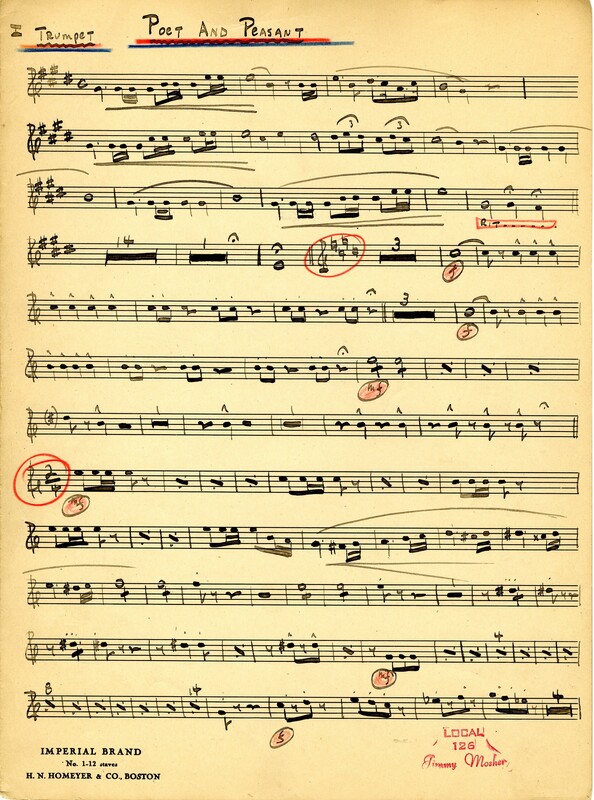 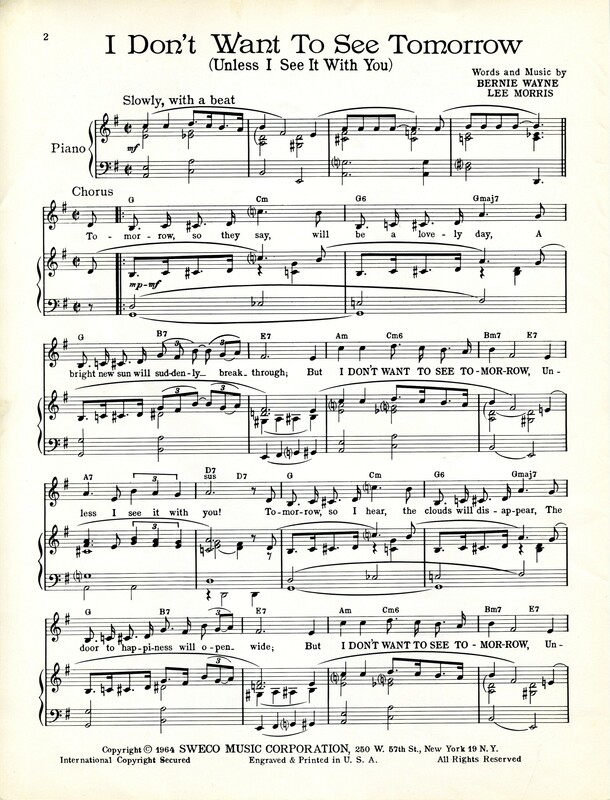 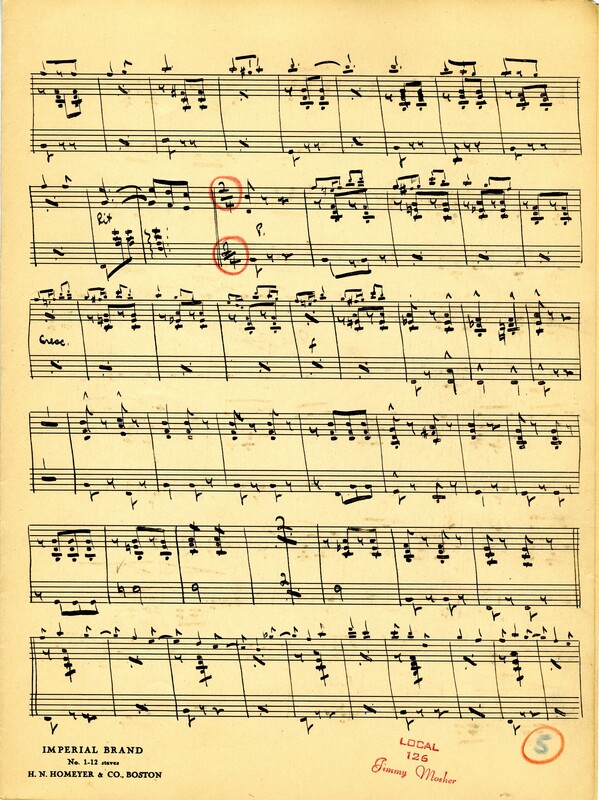 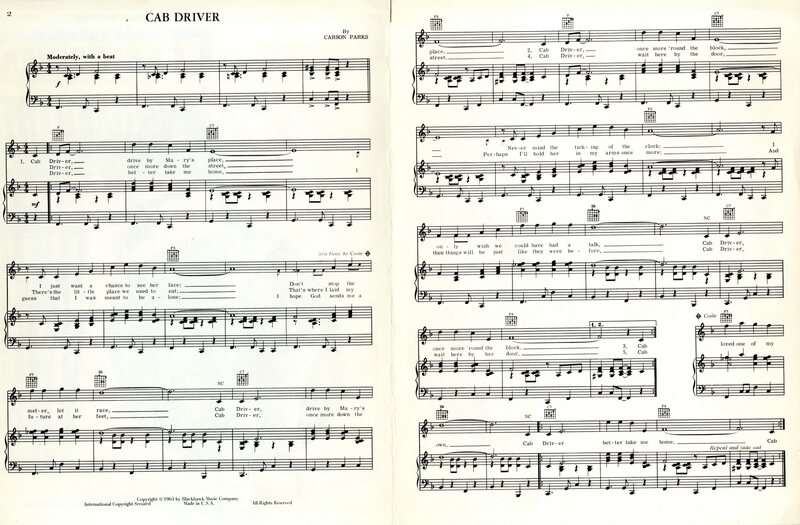 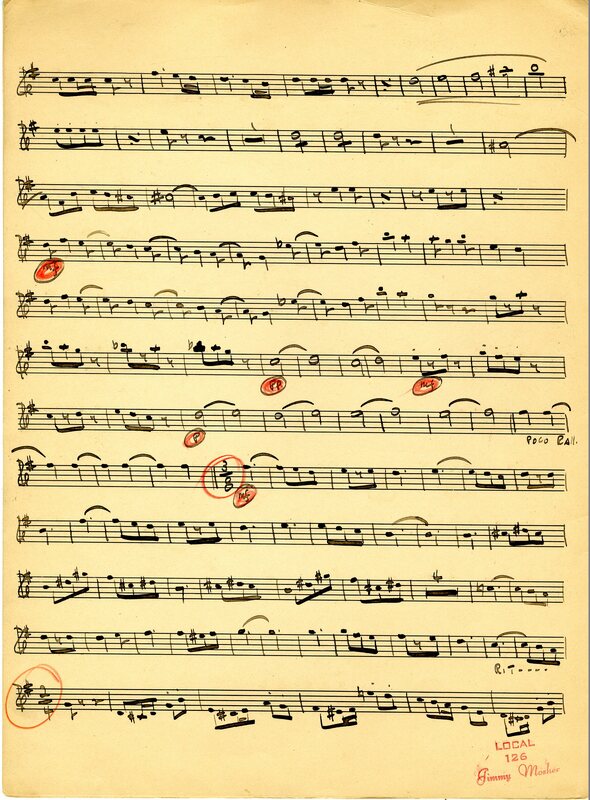 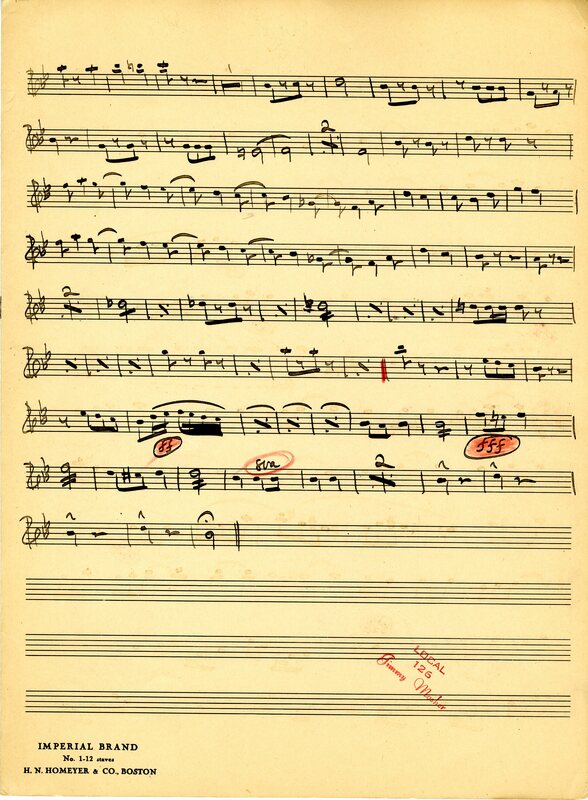 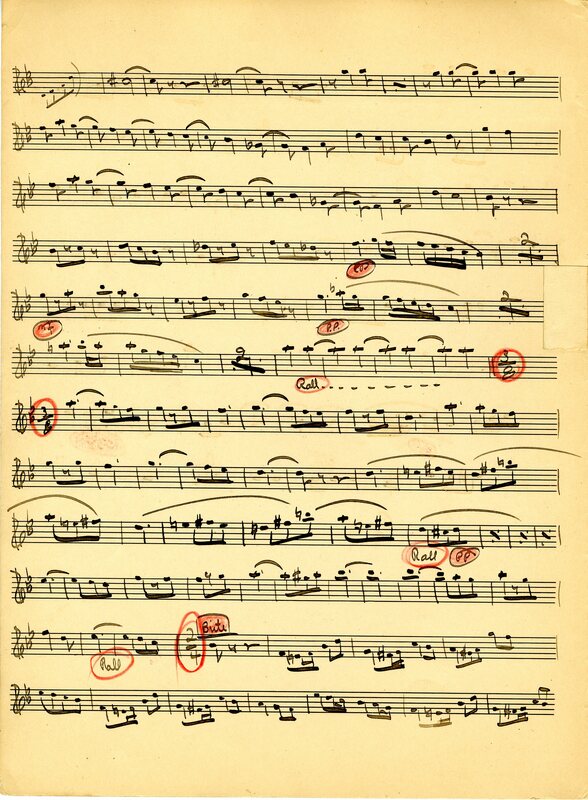 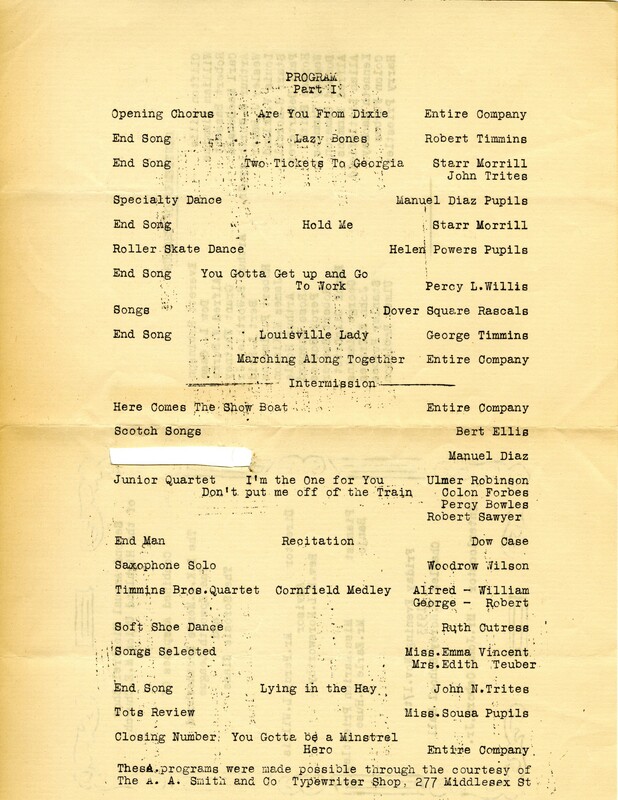 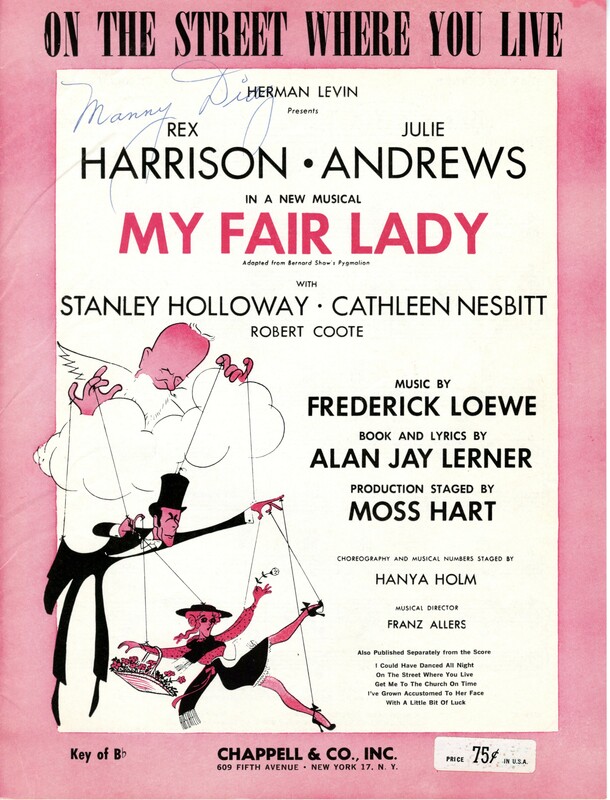 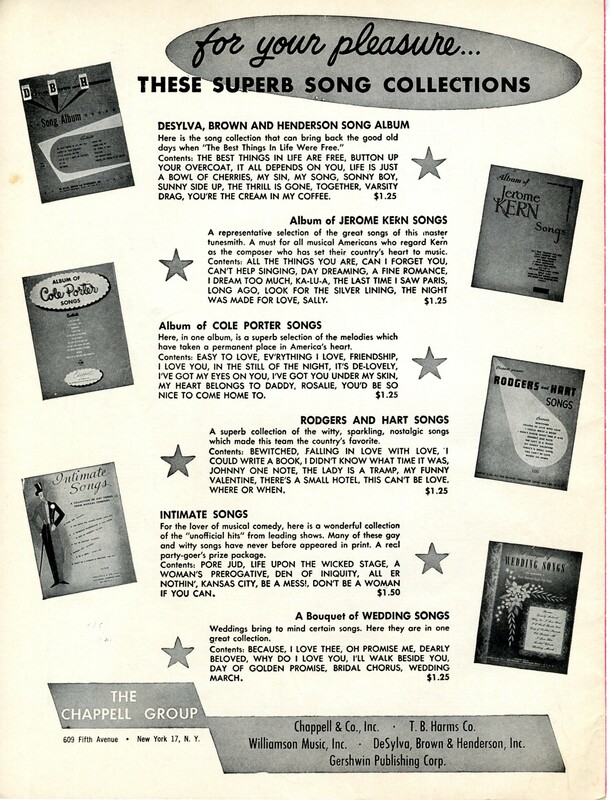 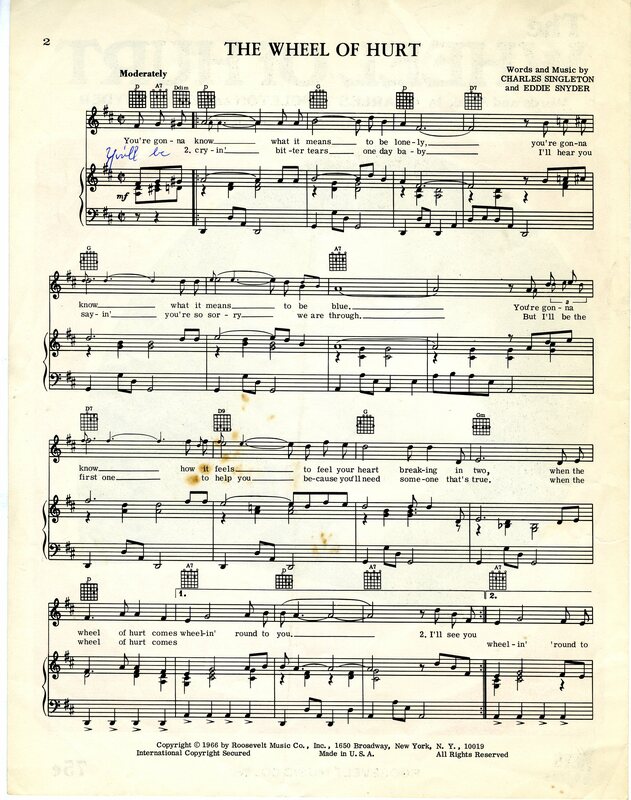 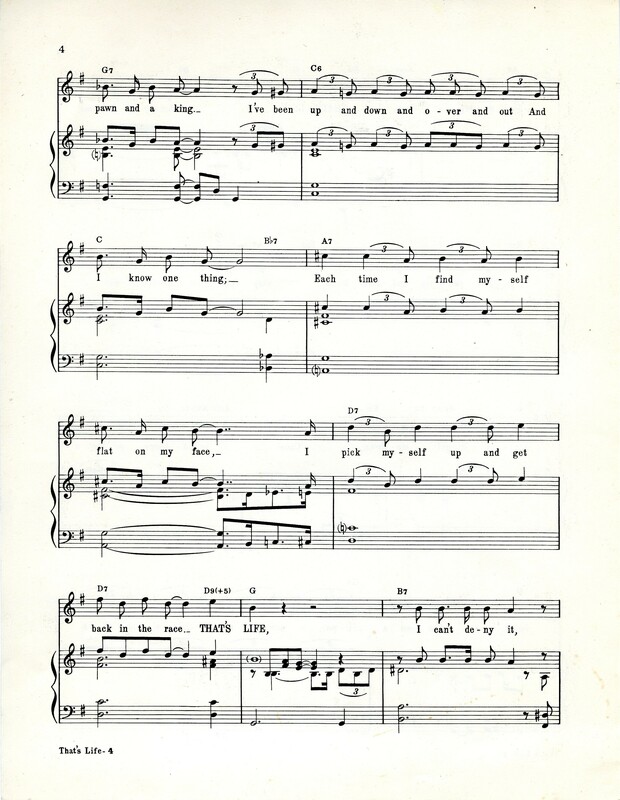 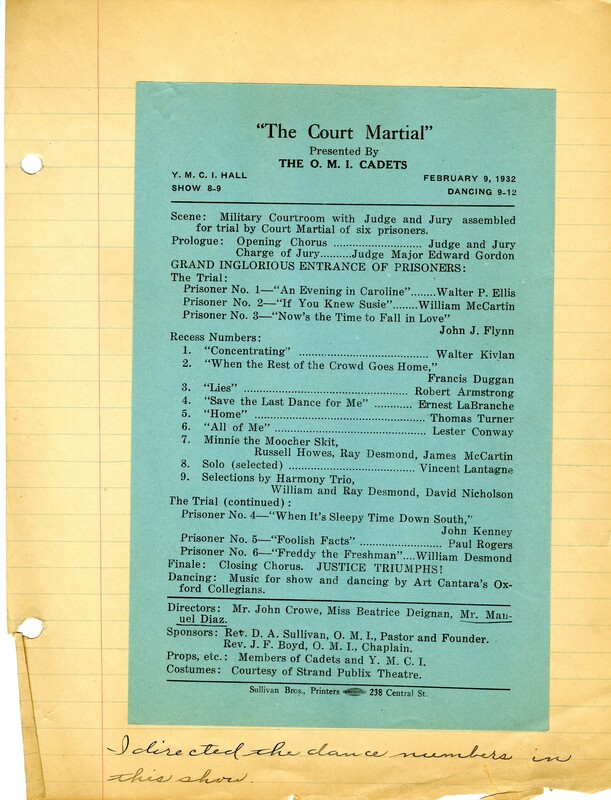 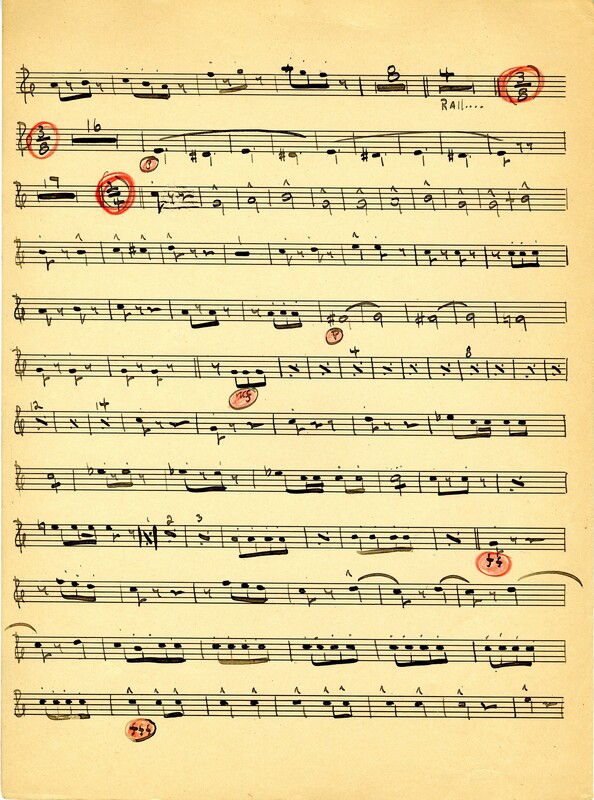 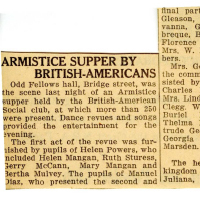 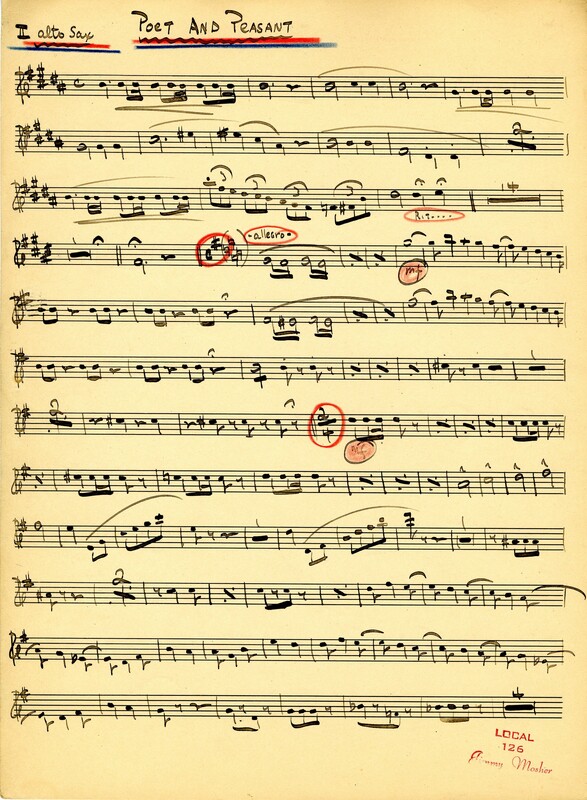 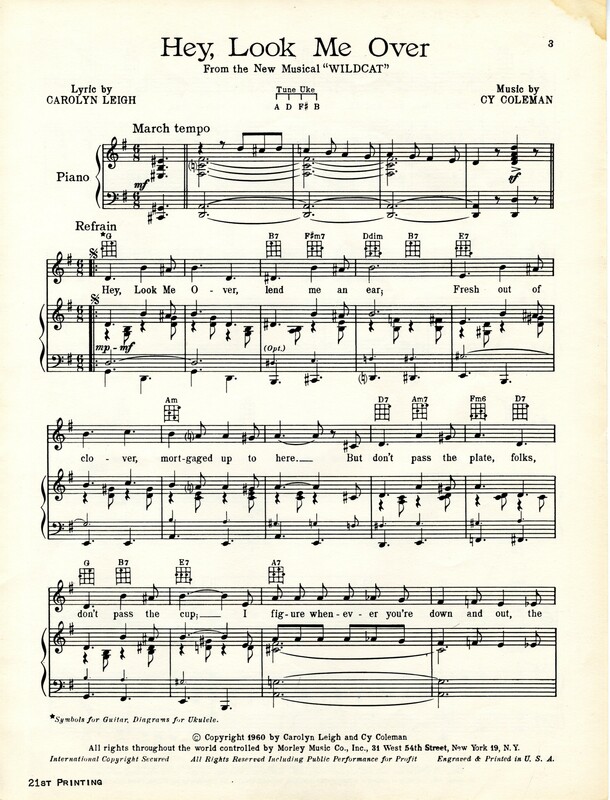 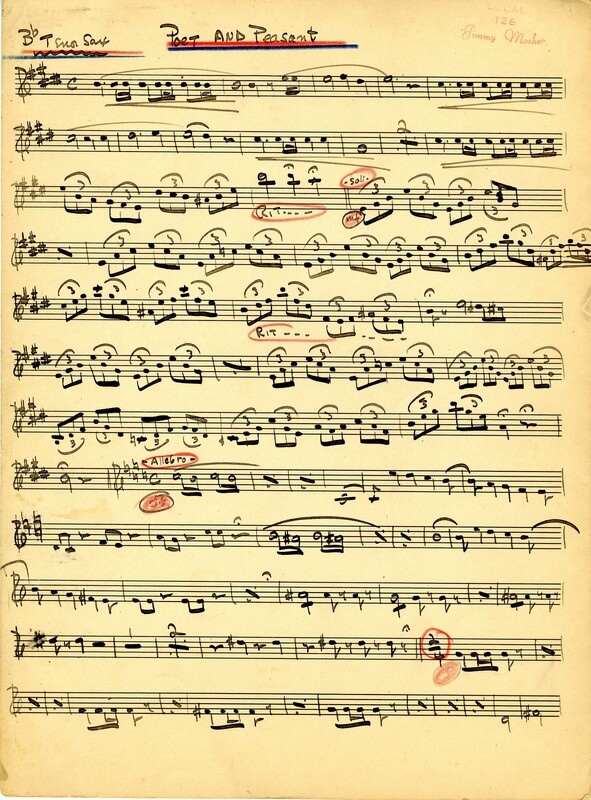 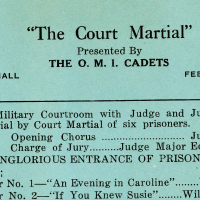 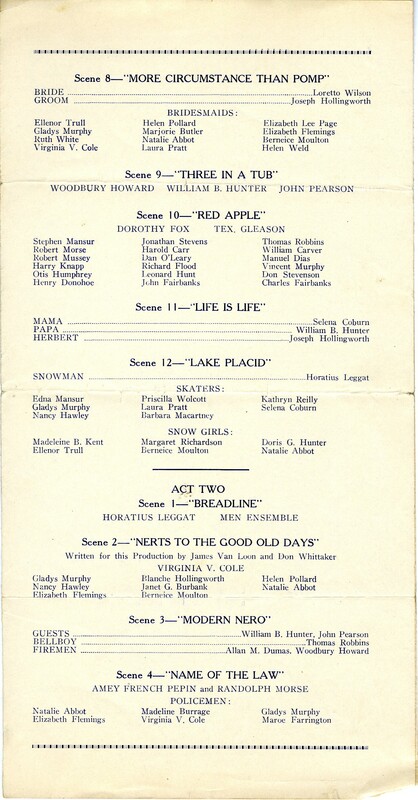 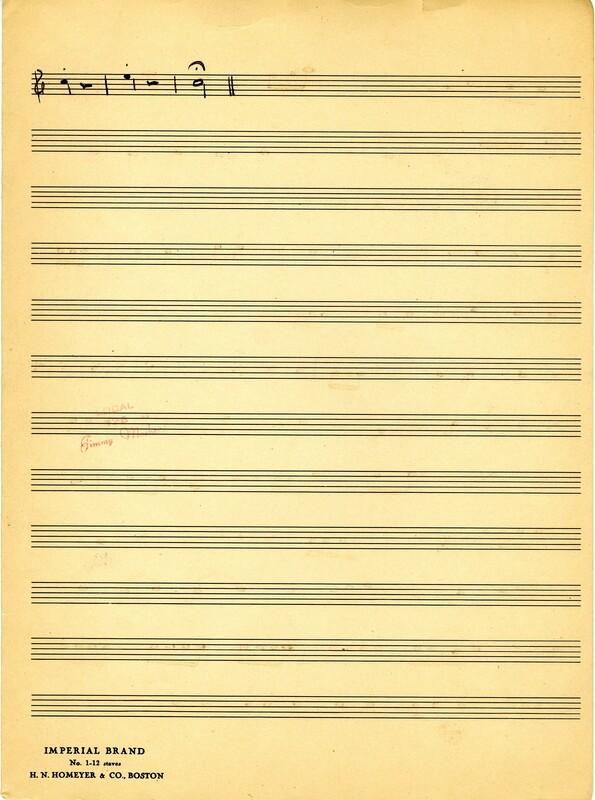 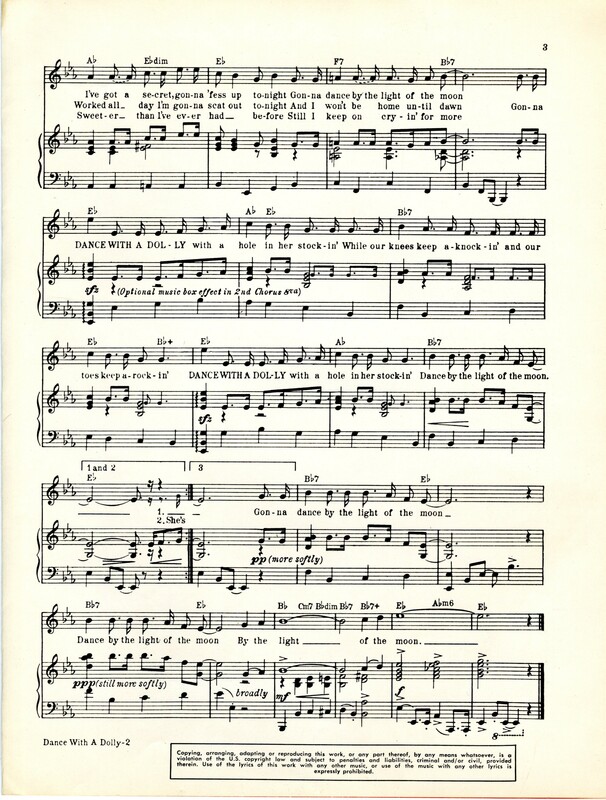 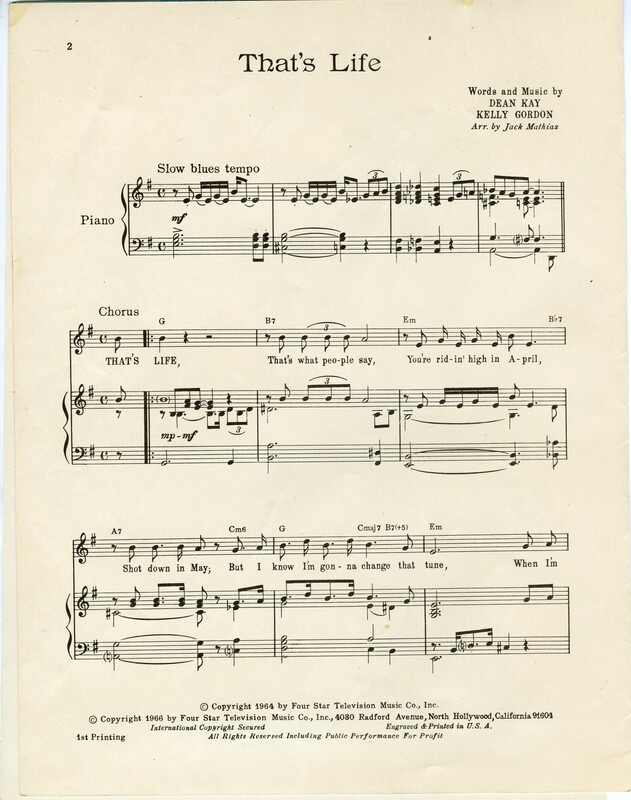 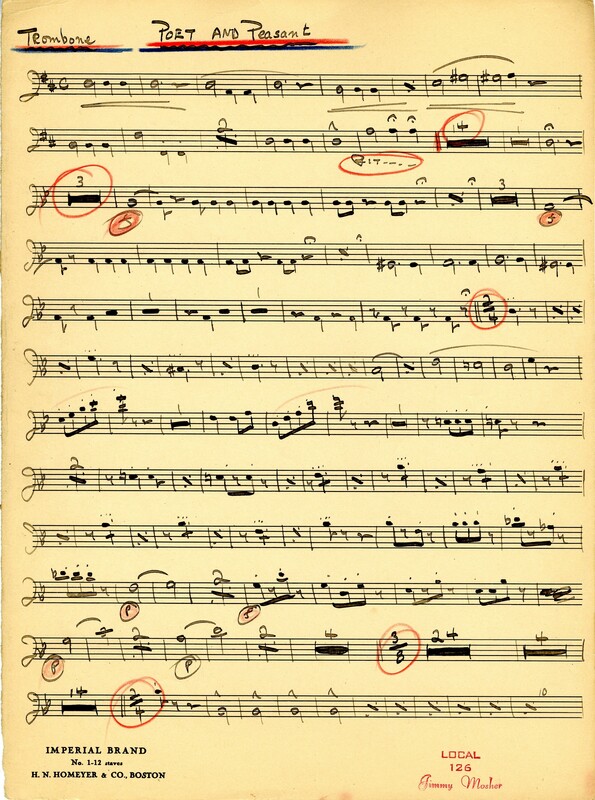 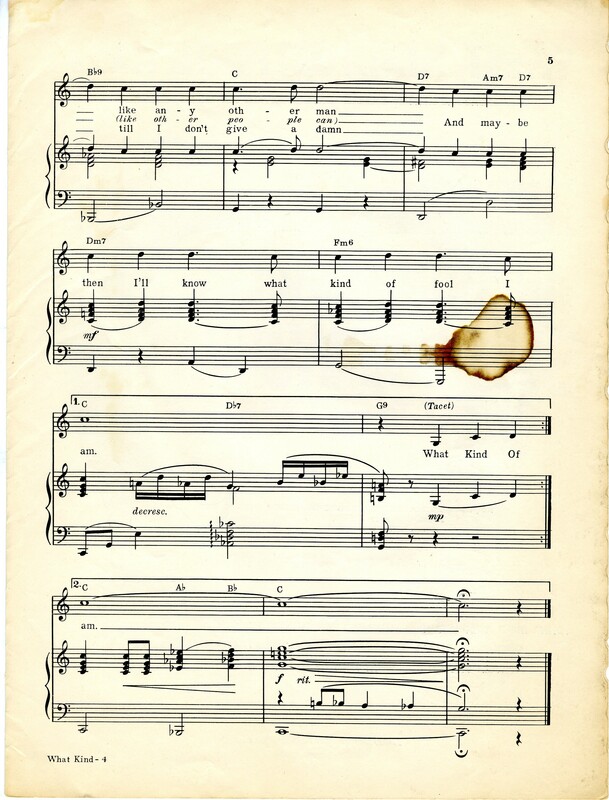 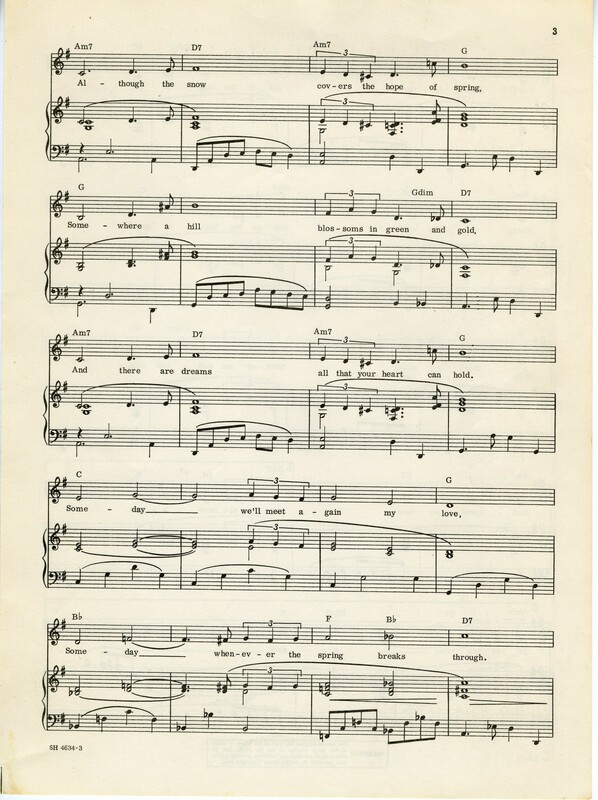 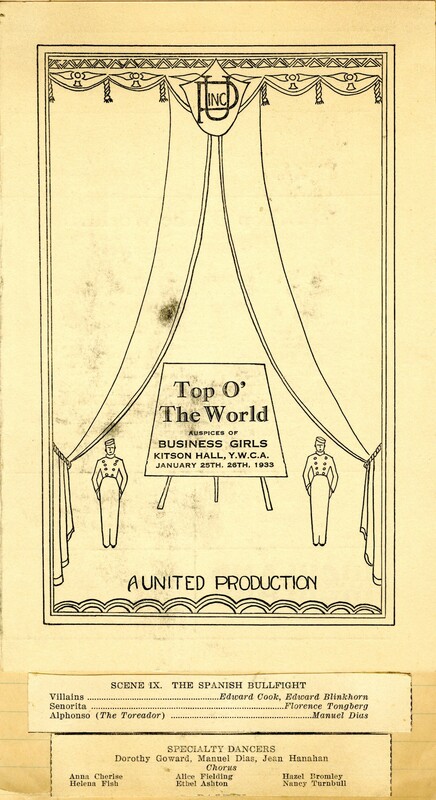 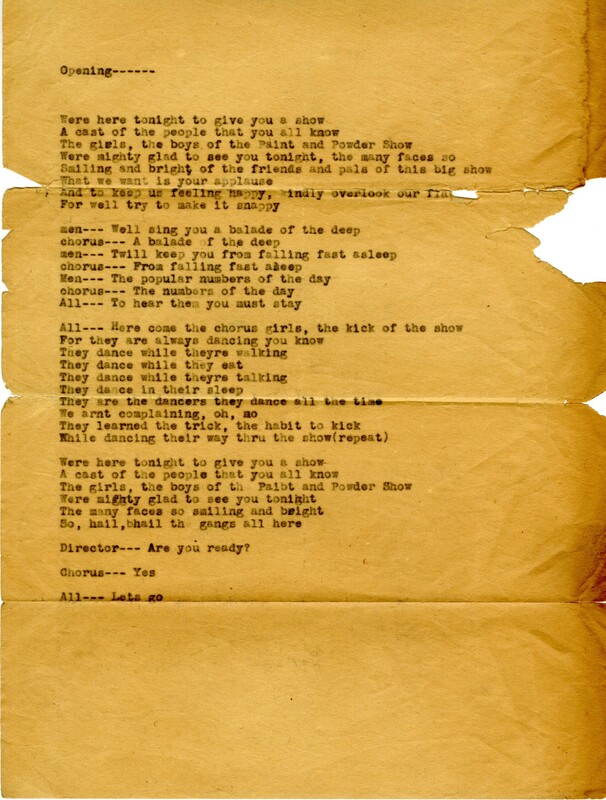 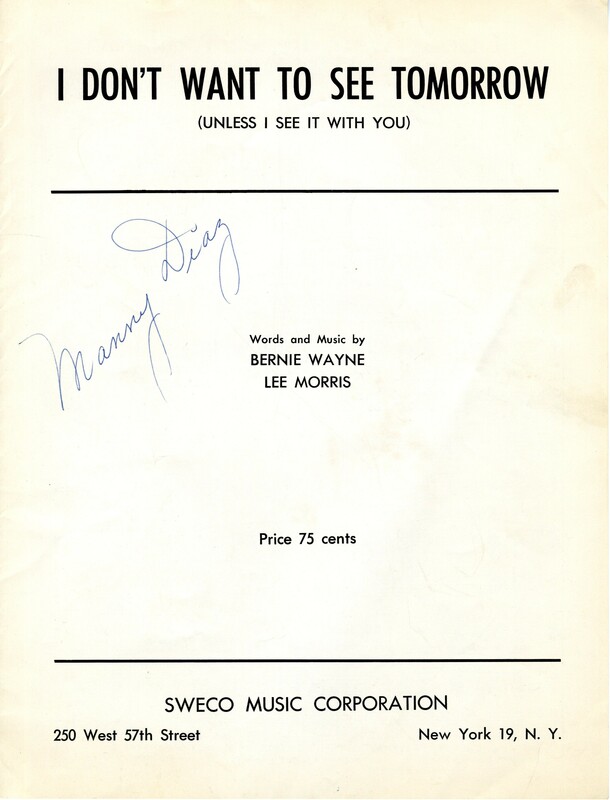 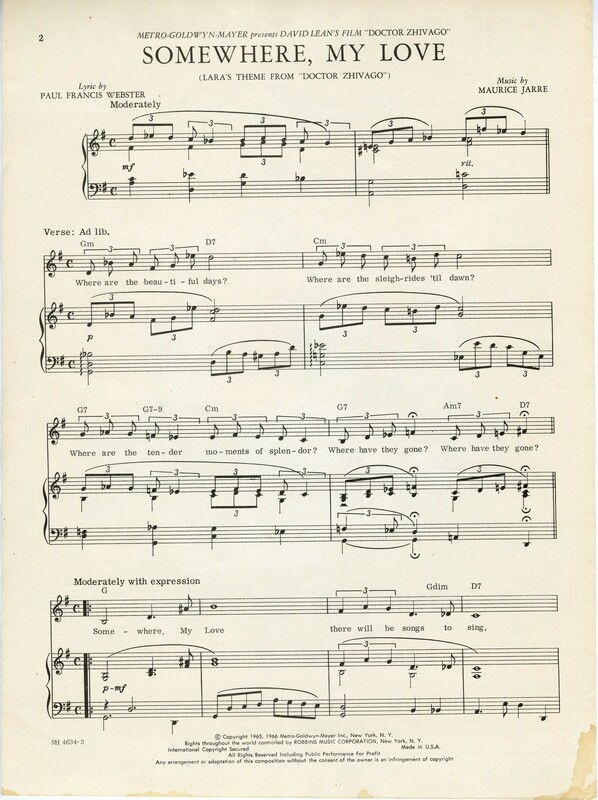 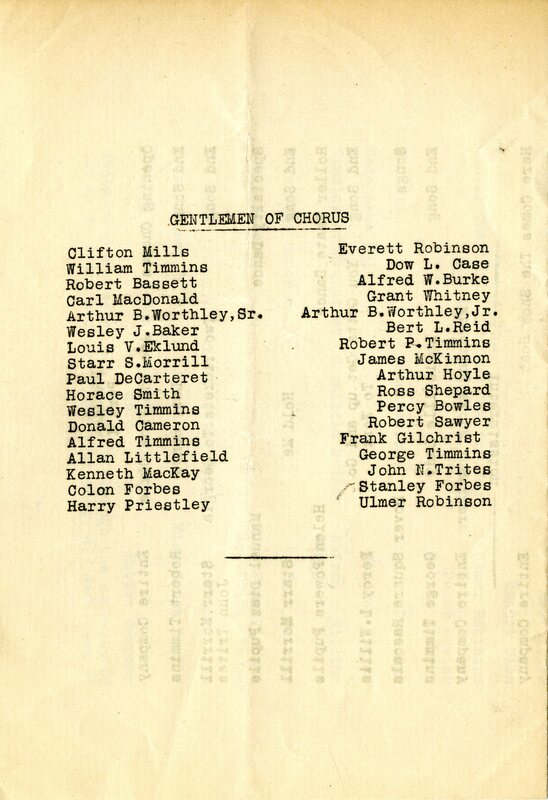 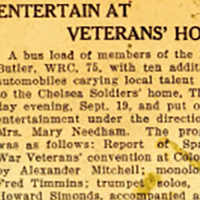 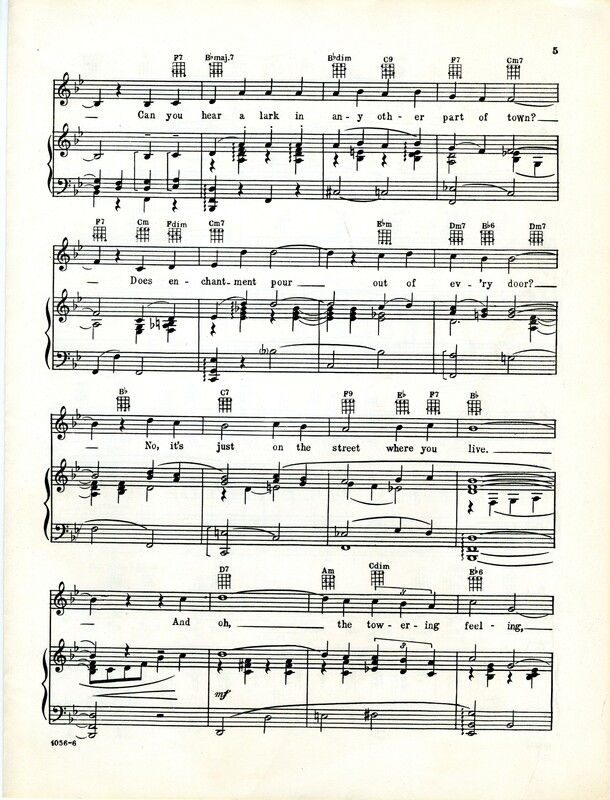 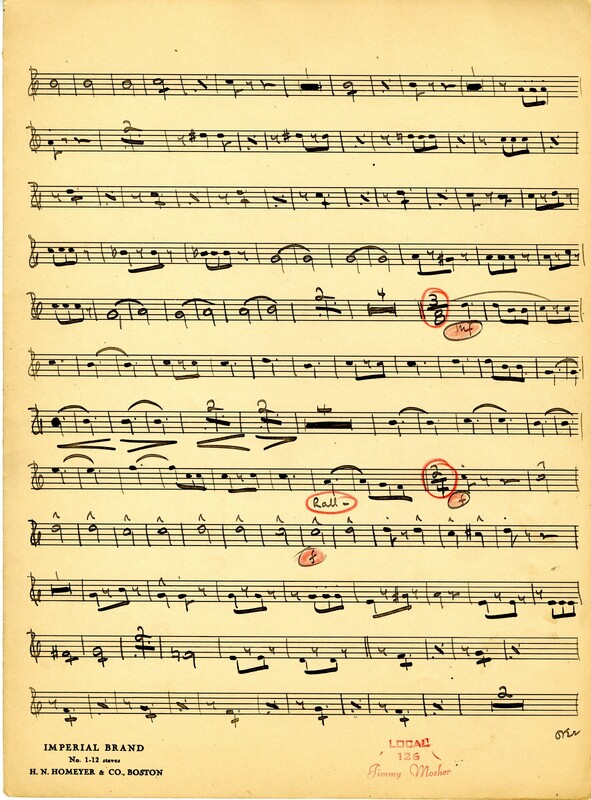 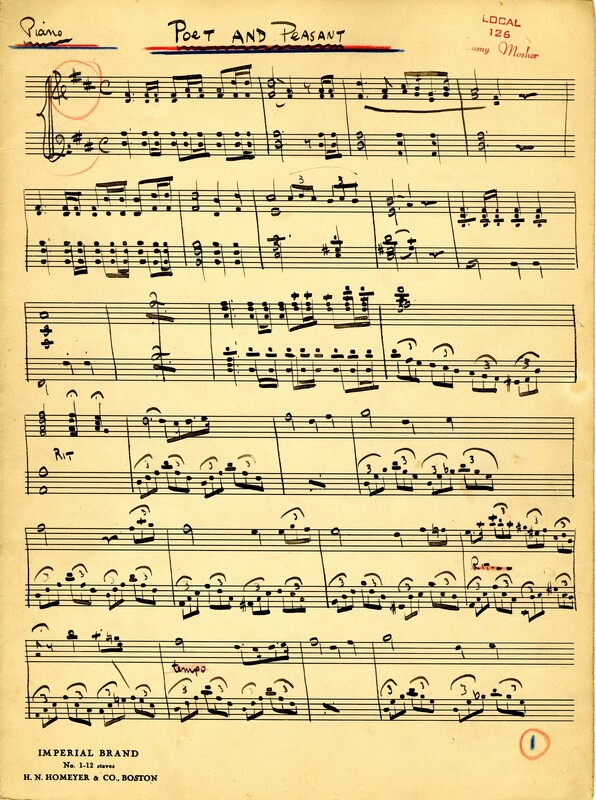 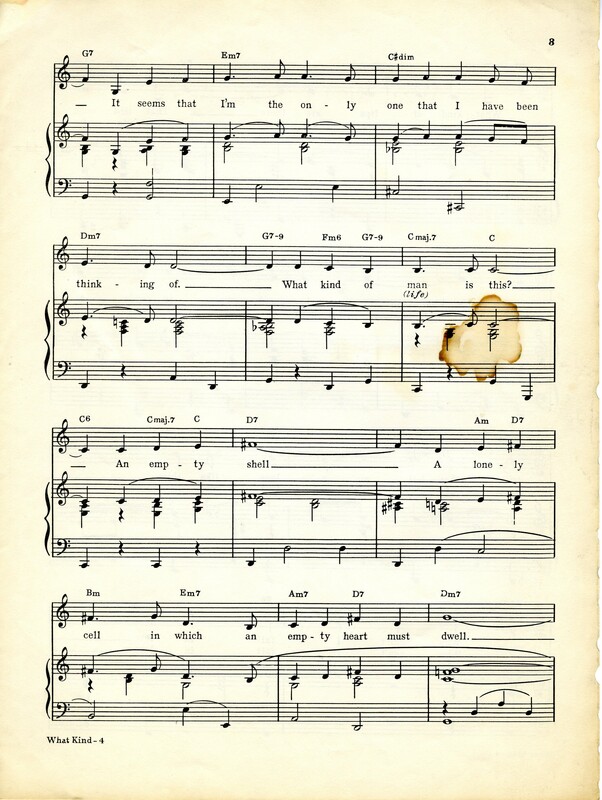 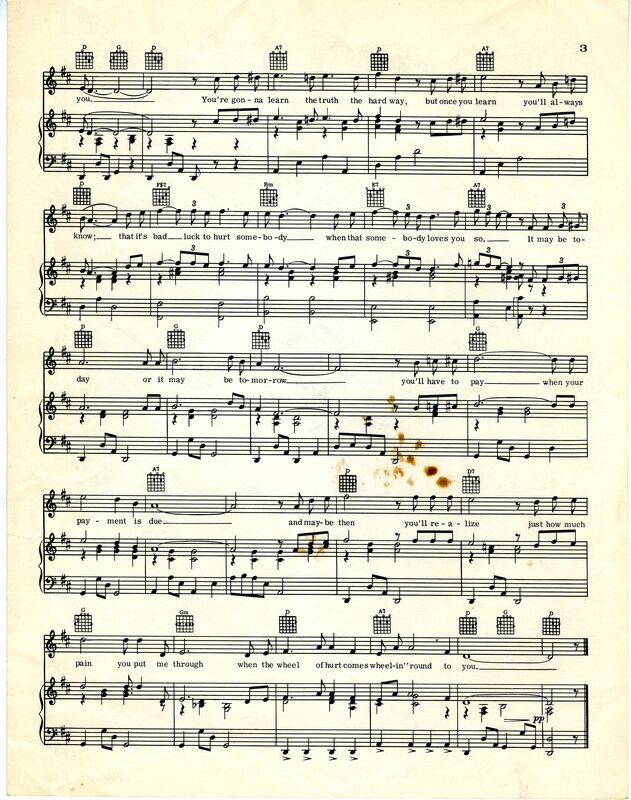 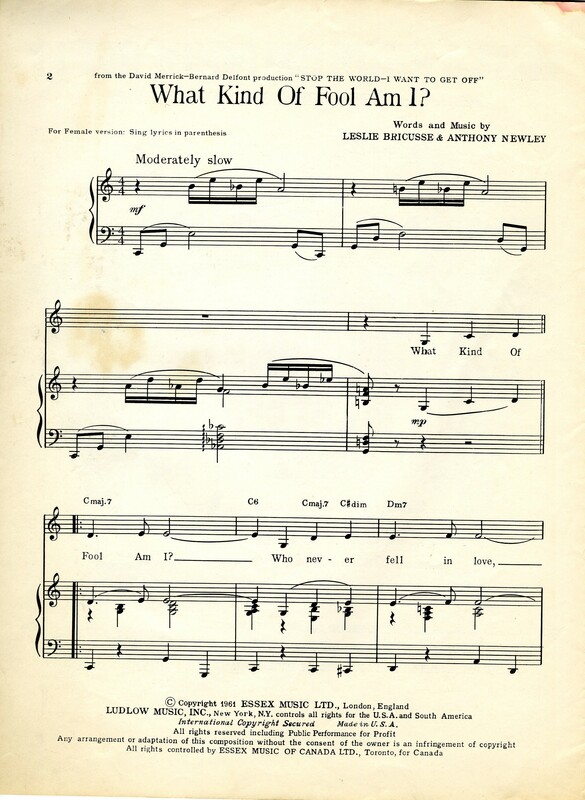 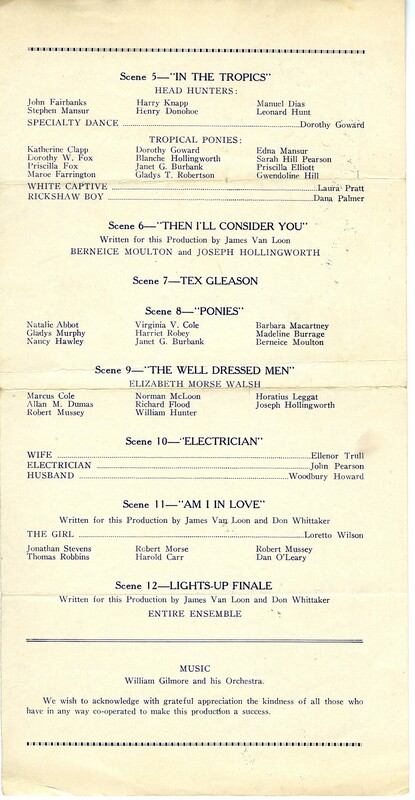 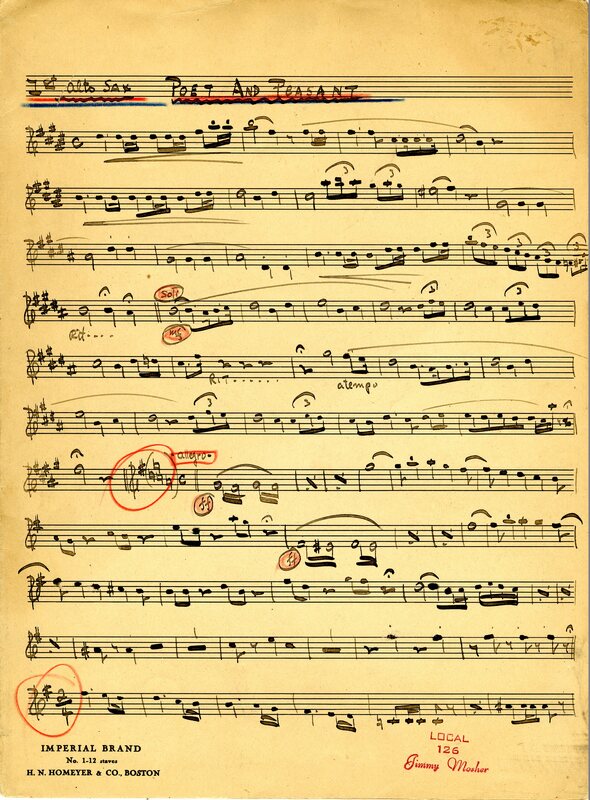 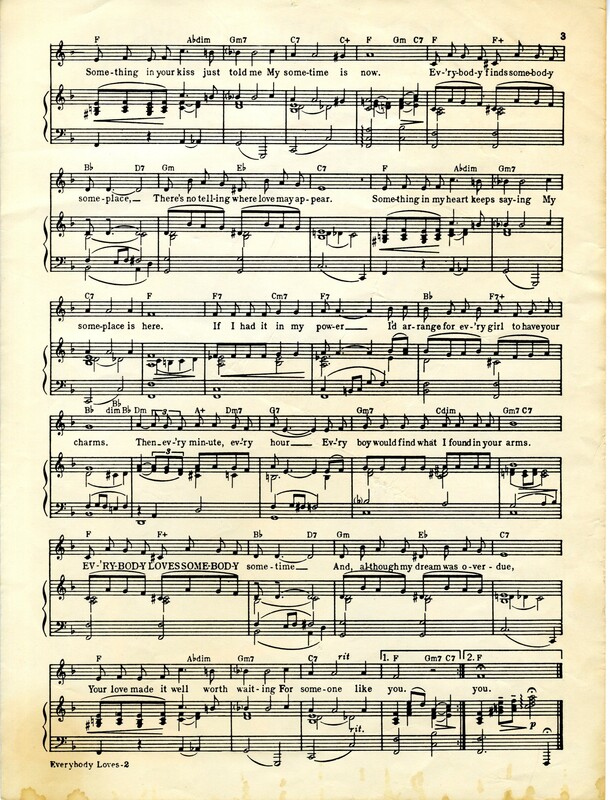 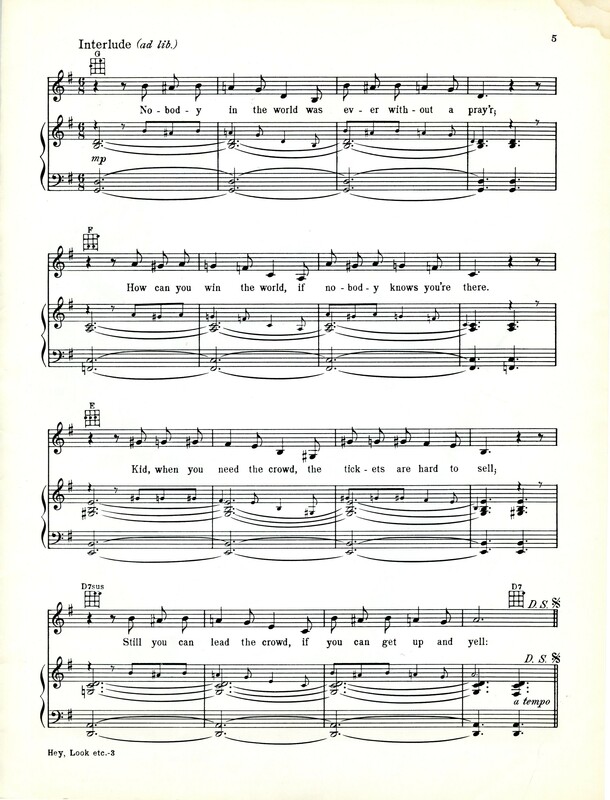 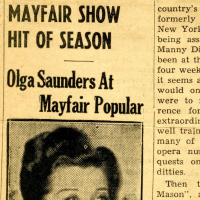 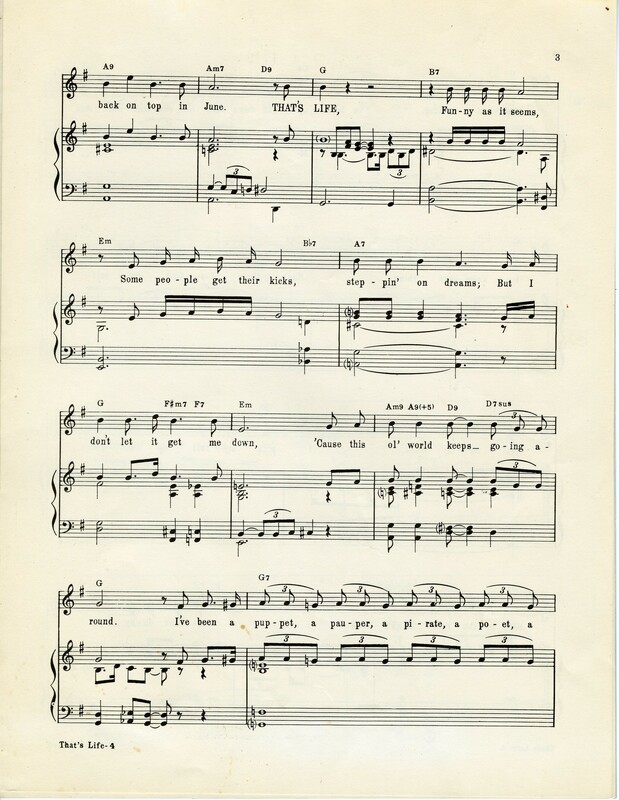 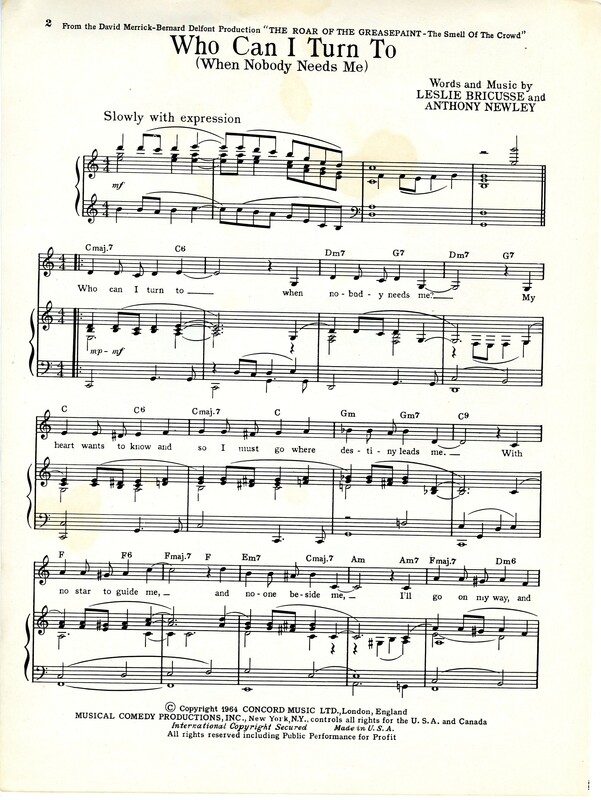 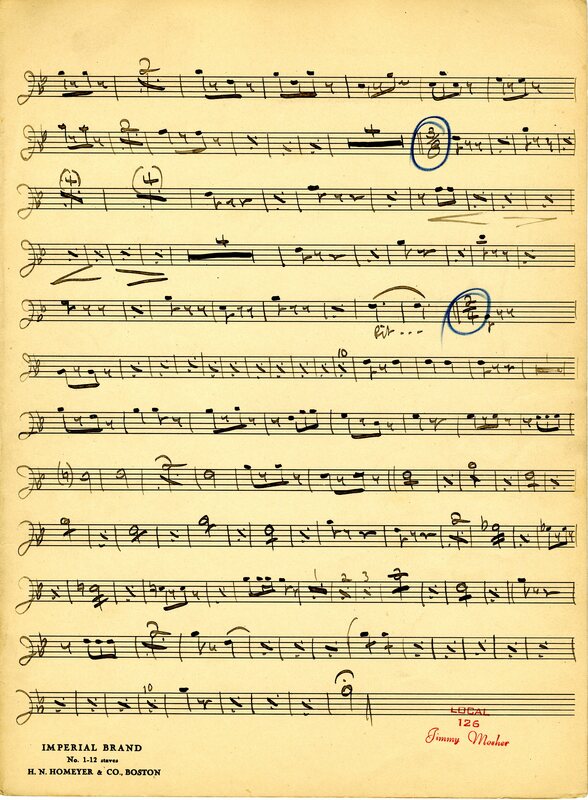 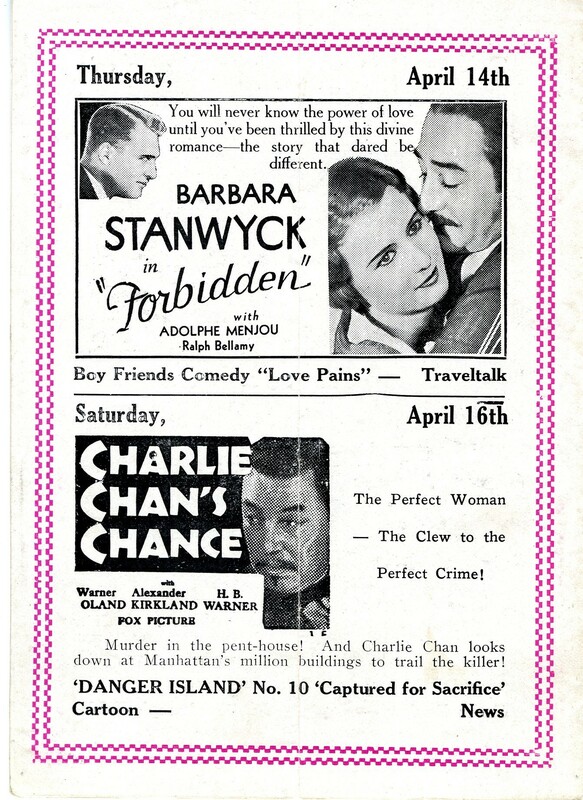 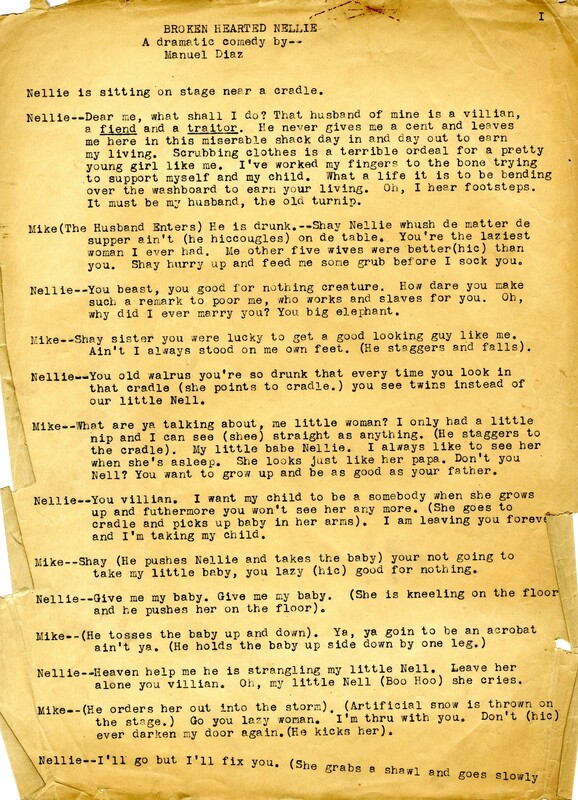 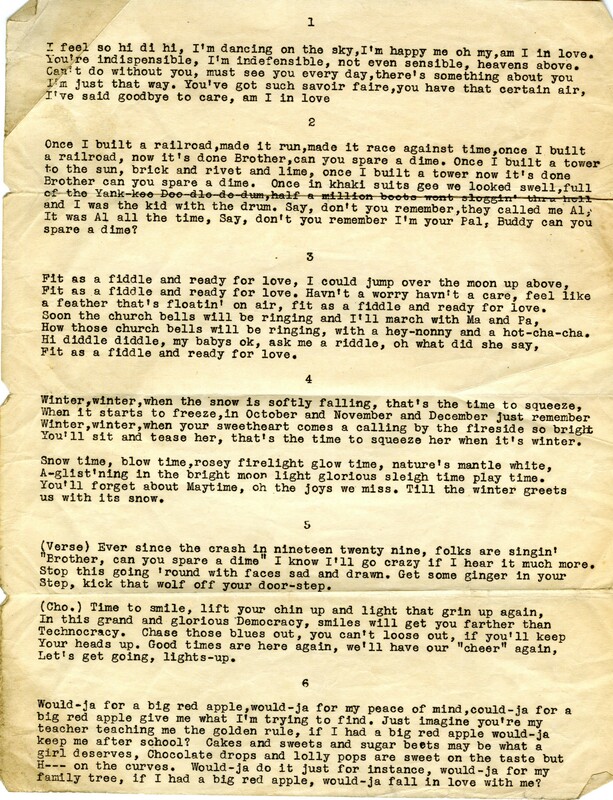 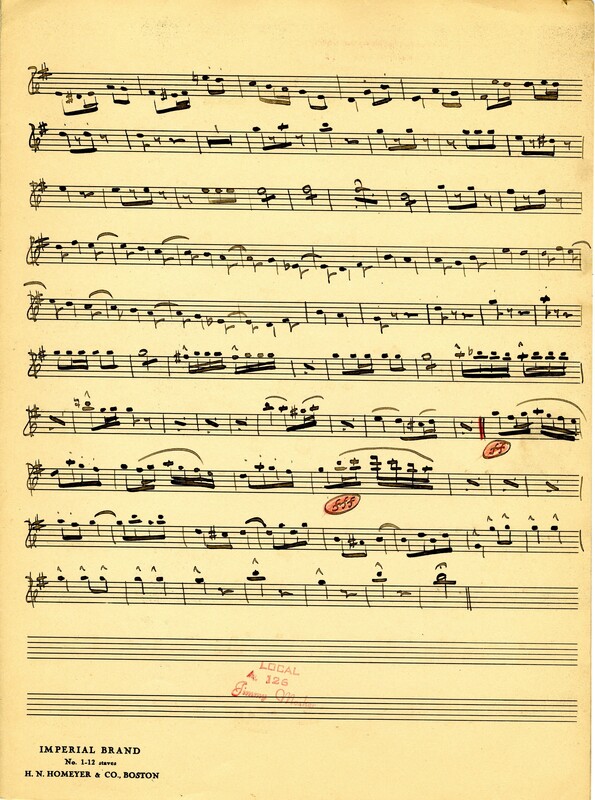 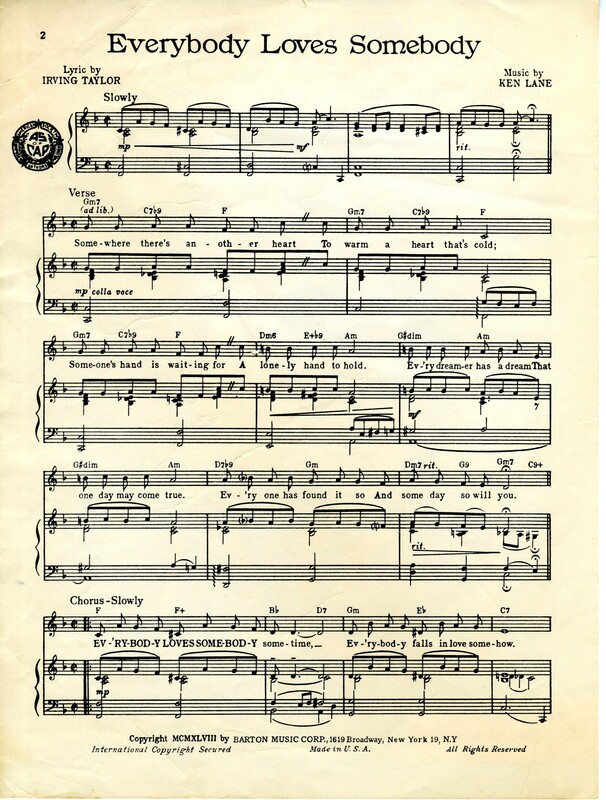 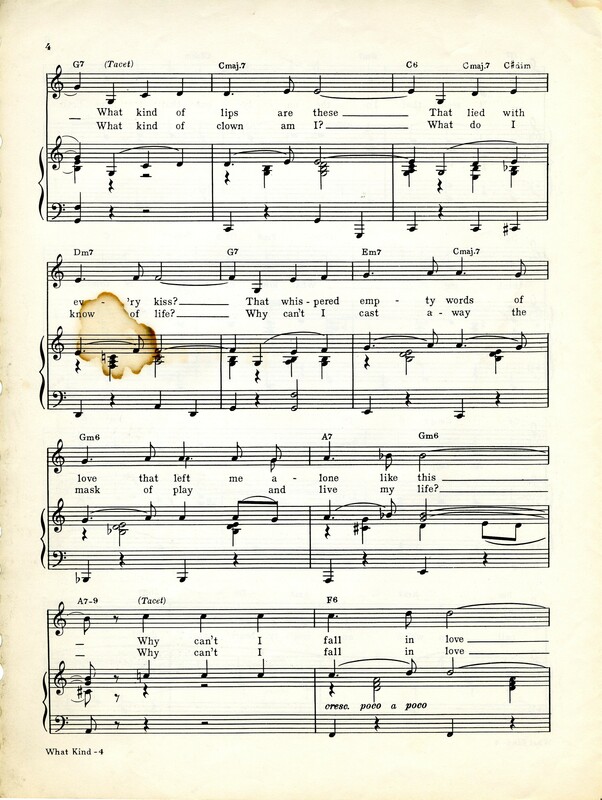 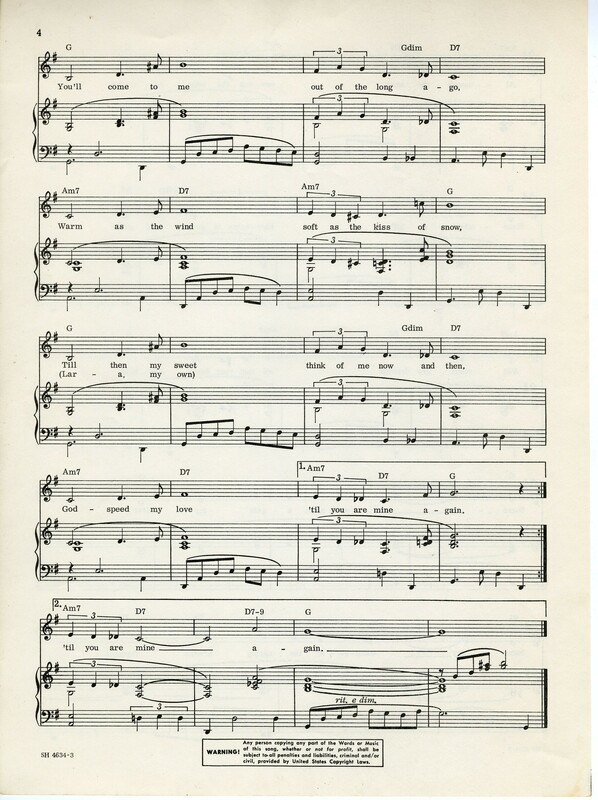 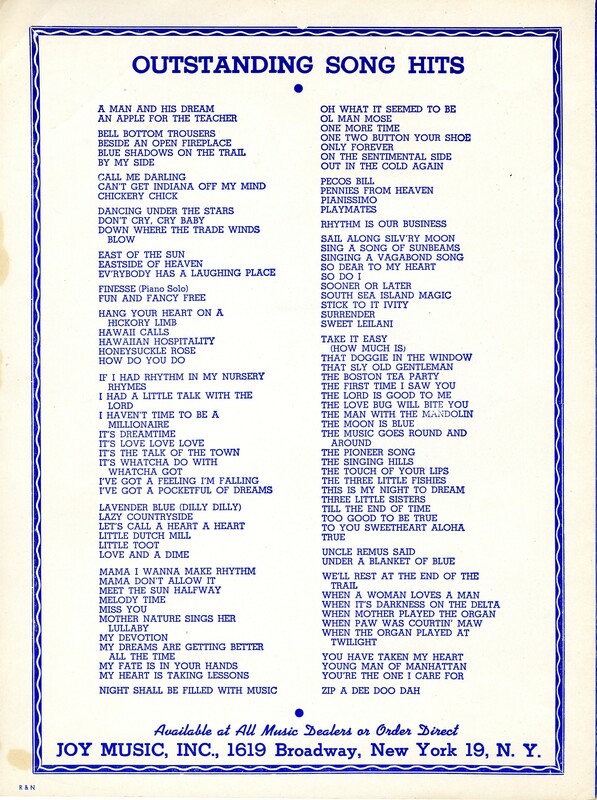 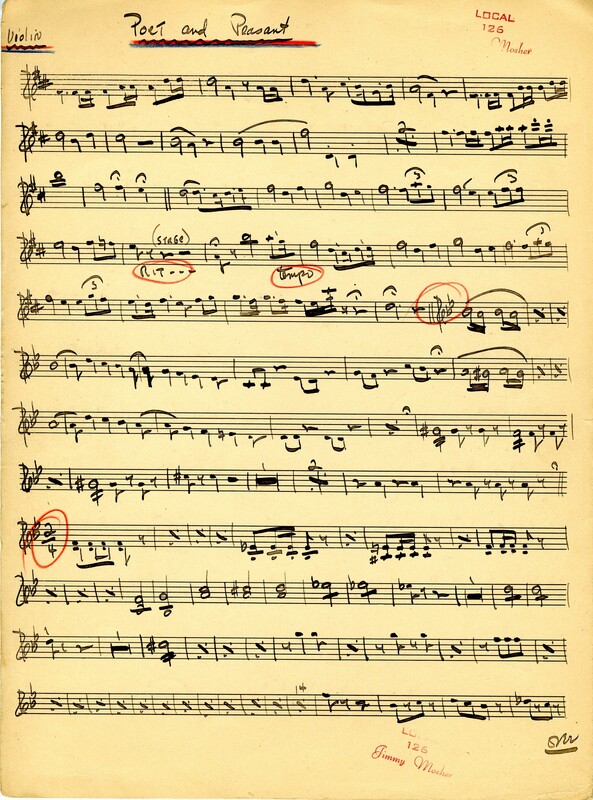 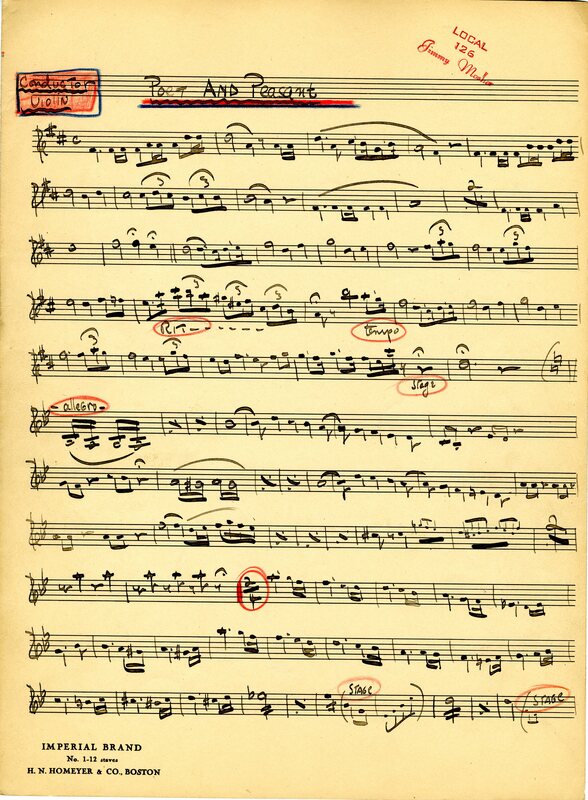 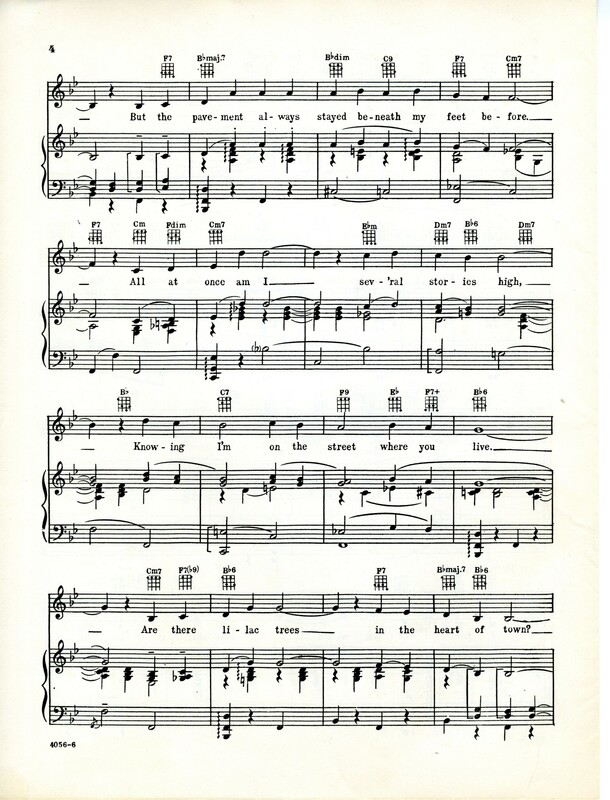 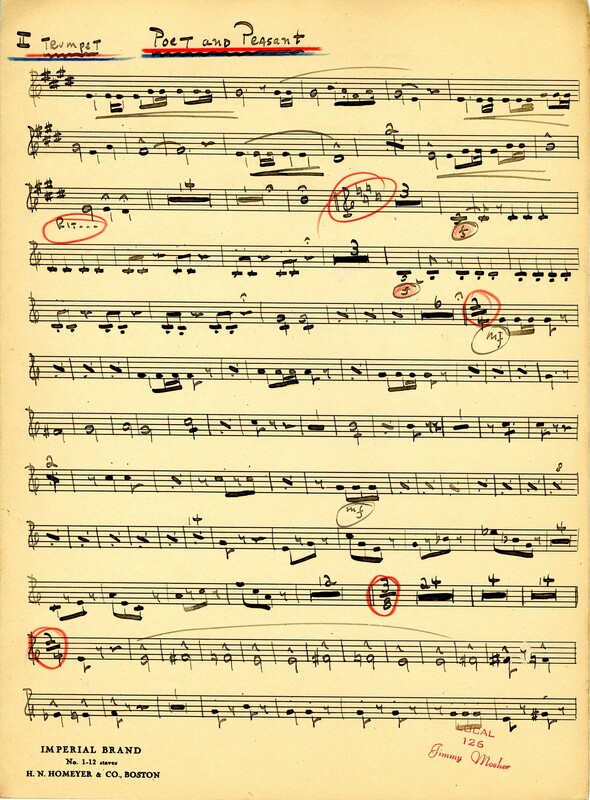 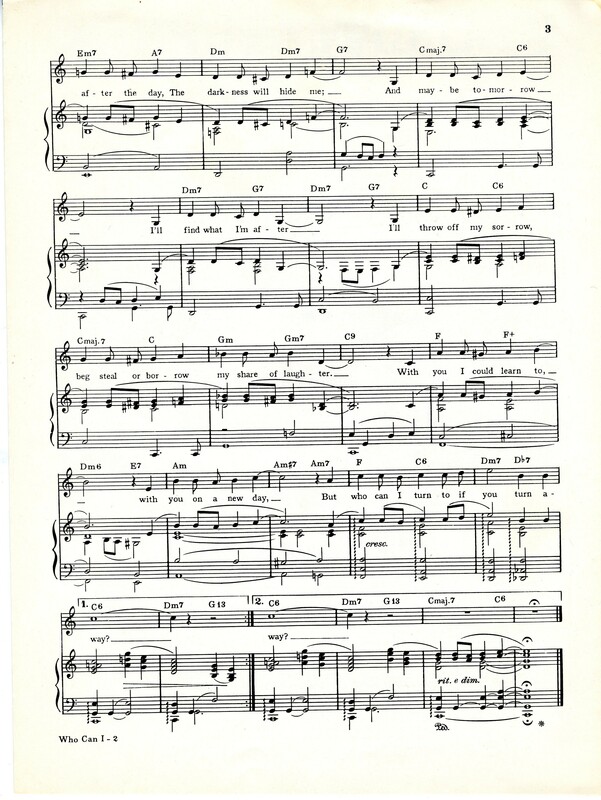 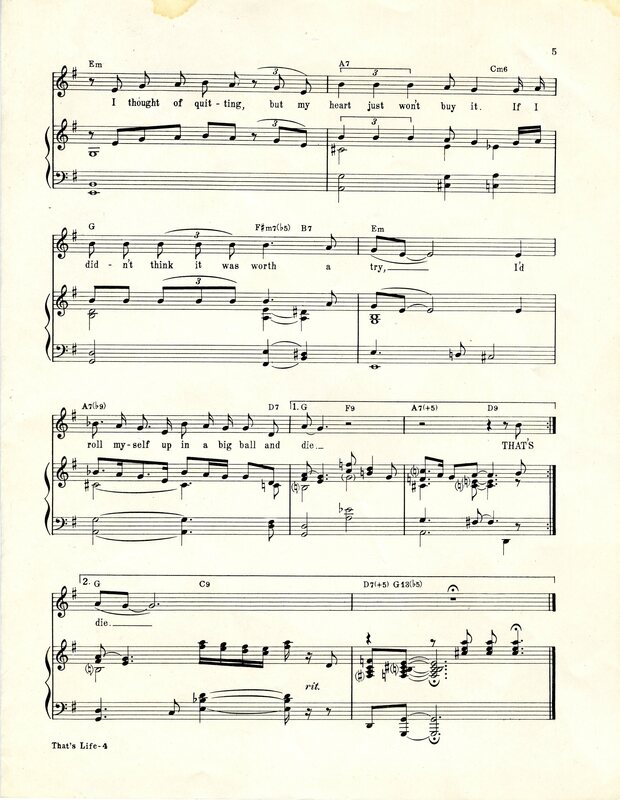 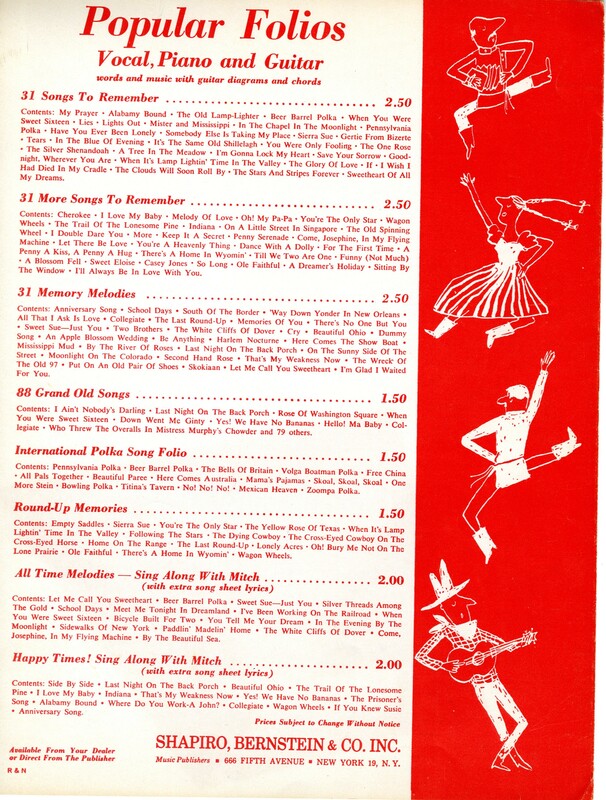 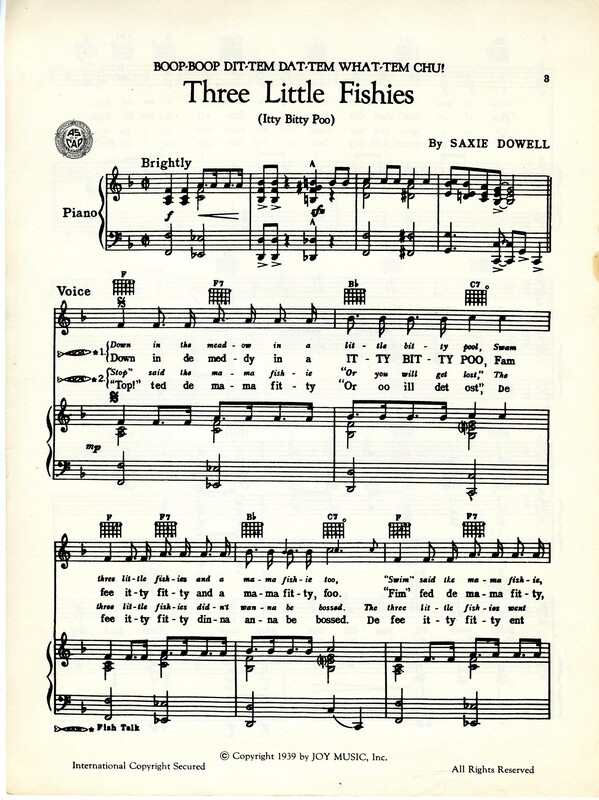 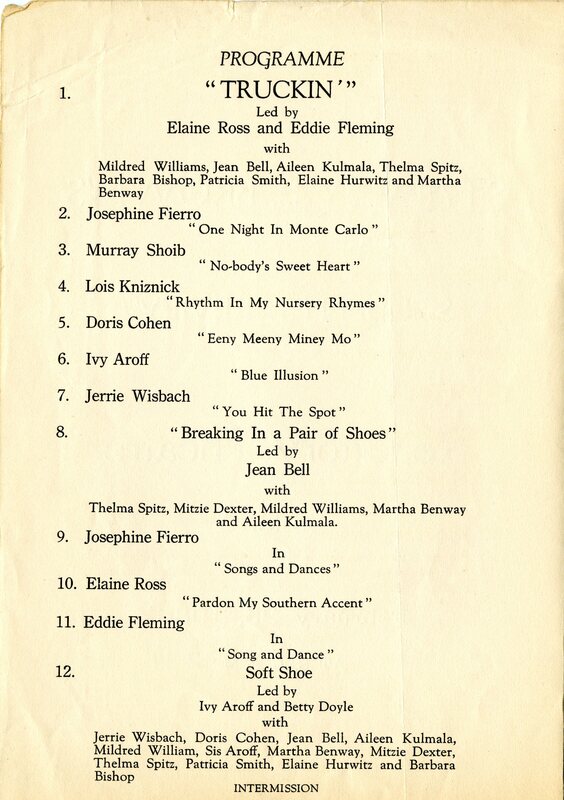 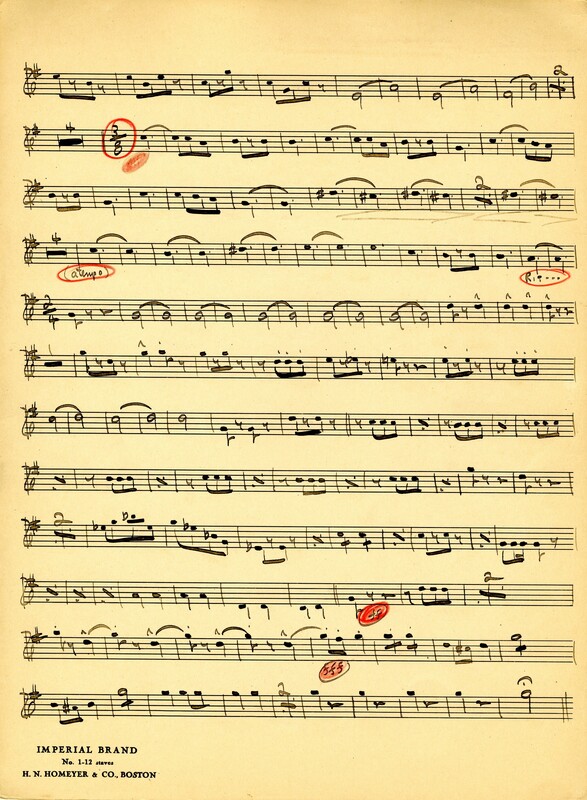 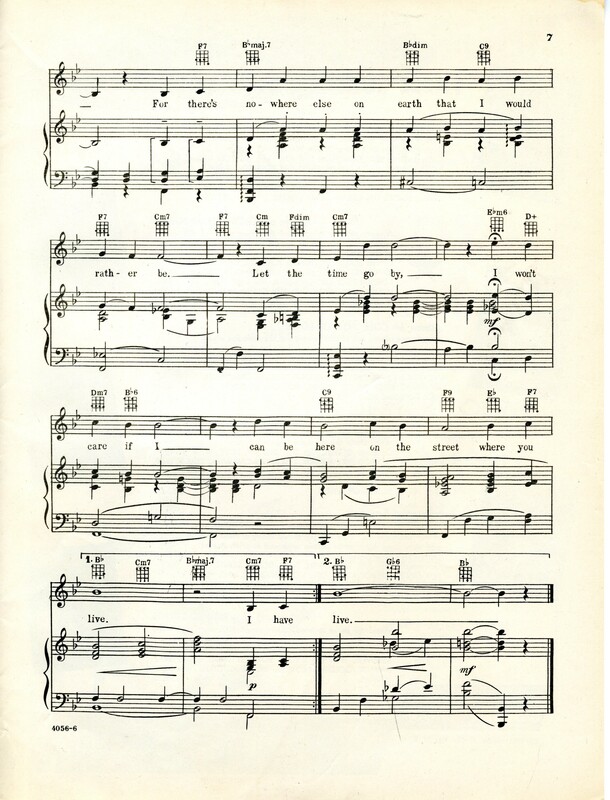 Made famous originally by Gertrude Niesen performing as a stripper in the wartime Broadway hit, “Follow the Girls,” the number was considered to have racy lyrics for the time. 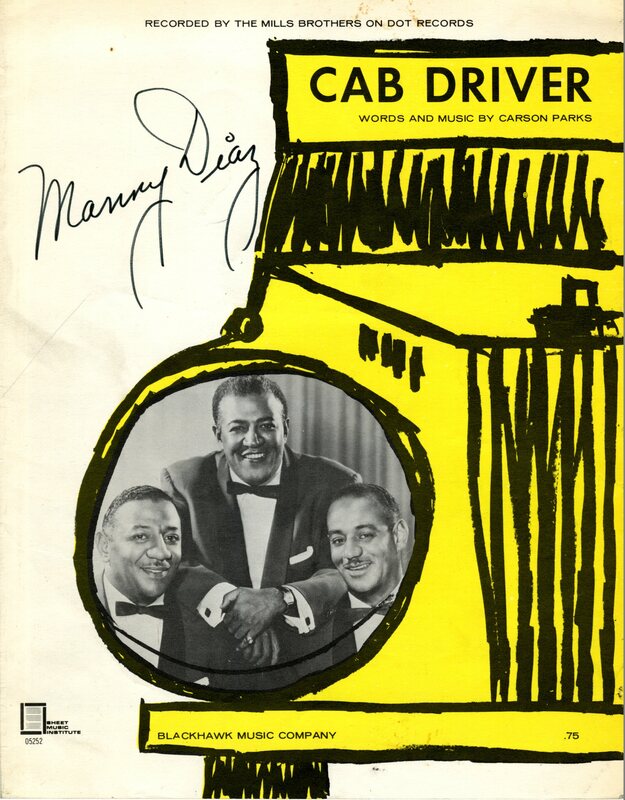 Dias made it more suggestive, and to accentuate the song, Manny would wrap his leg around the microphone stand and rub his leg up and down it. 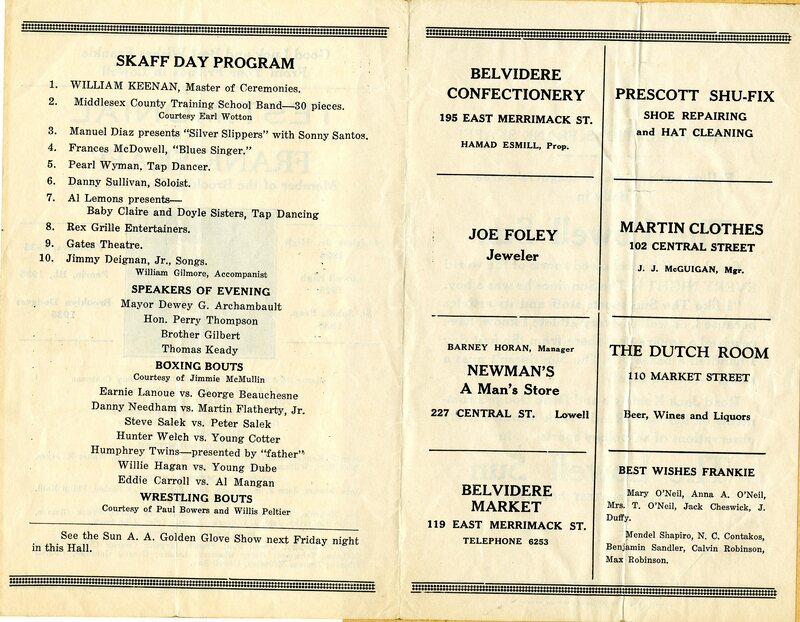 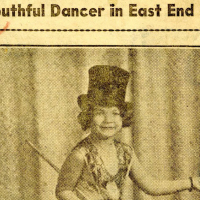 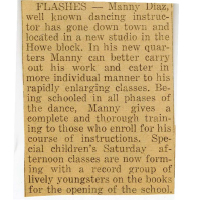 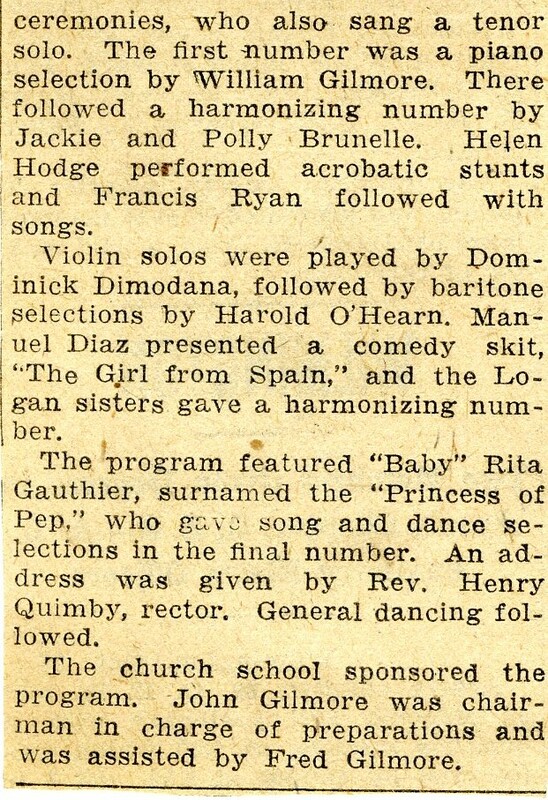 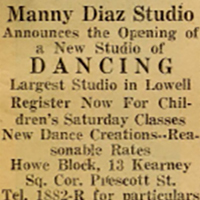 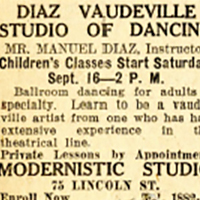 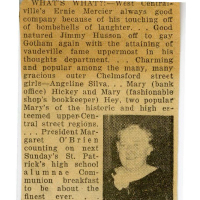 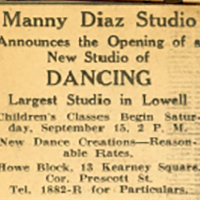 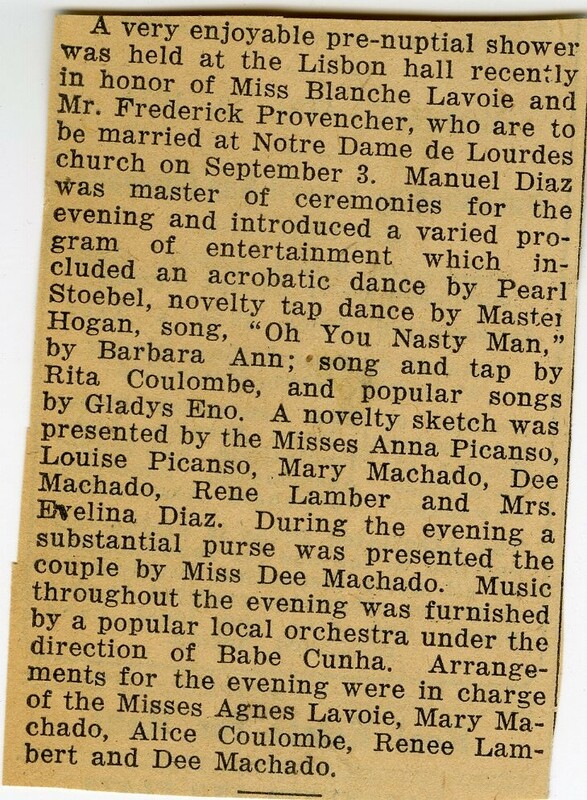 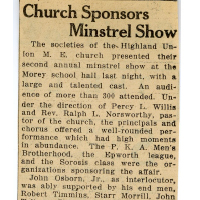 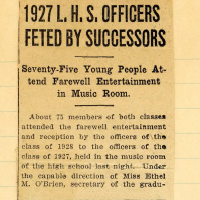 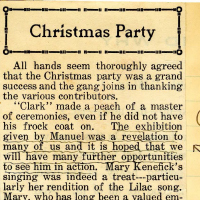 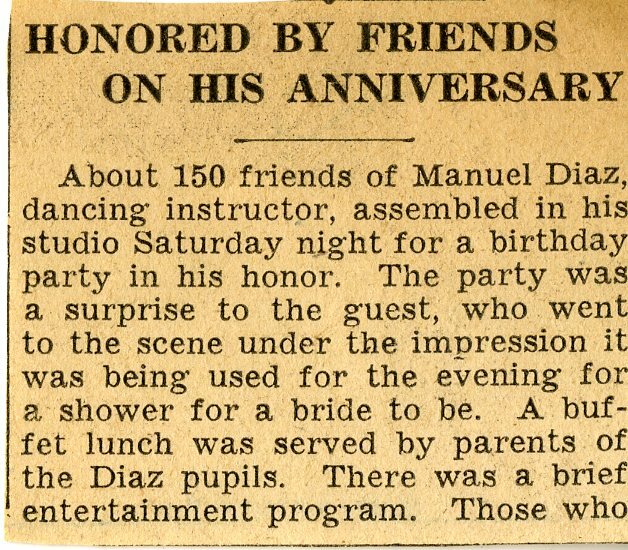 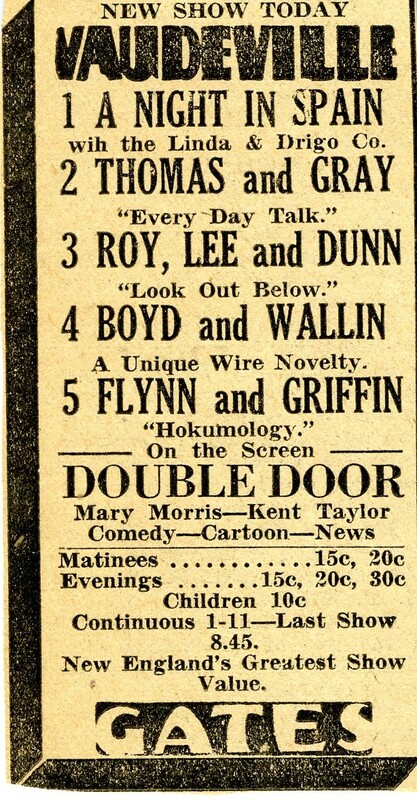 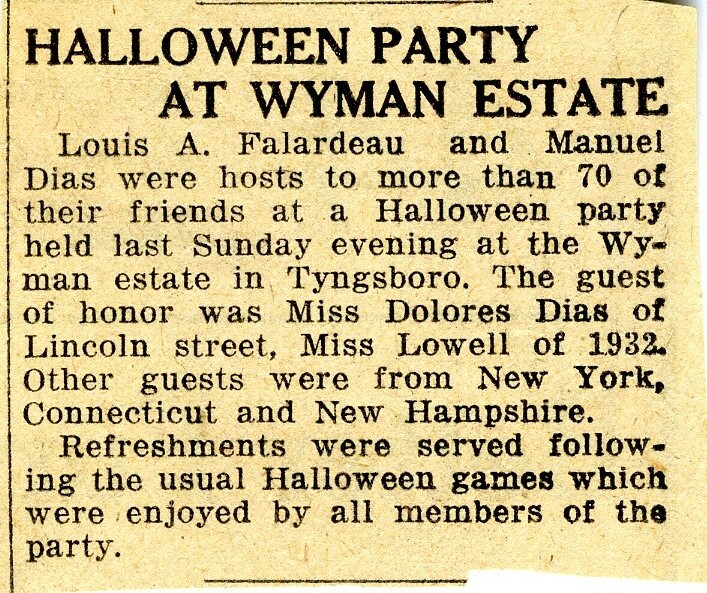 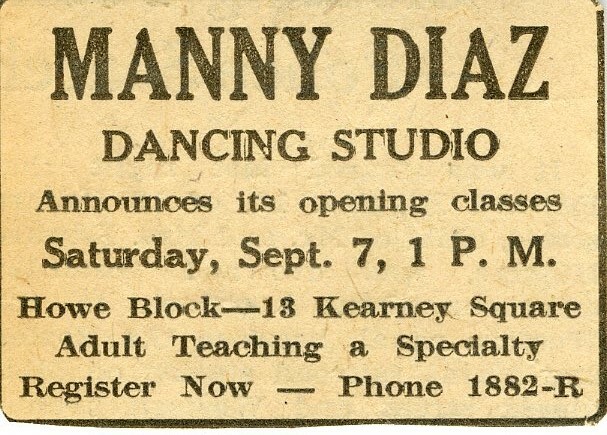 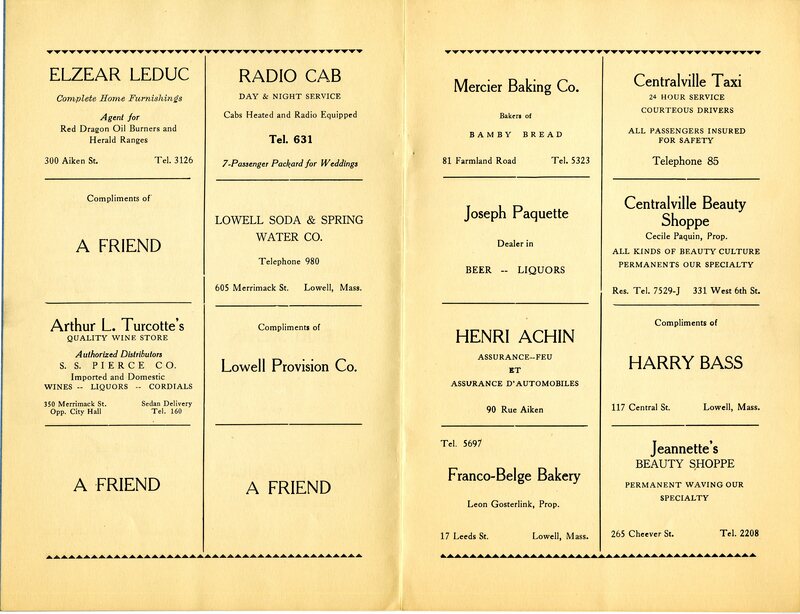 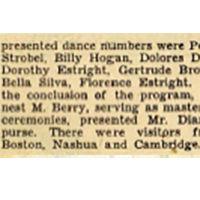 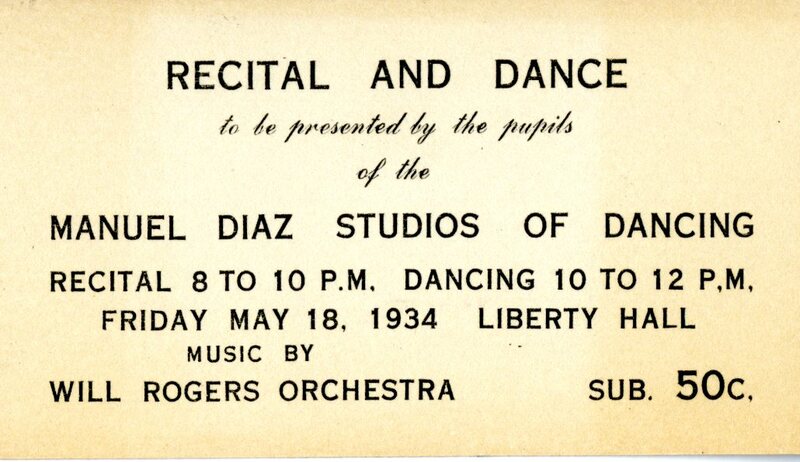 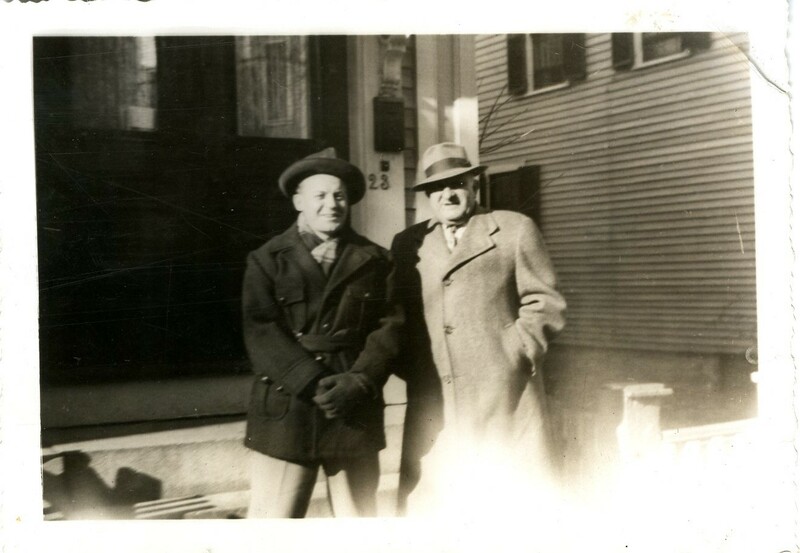 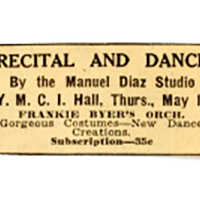 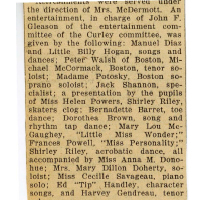 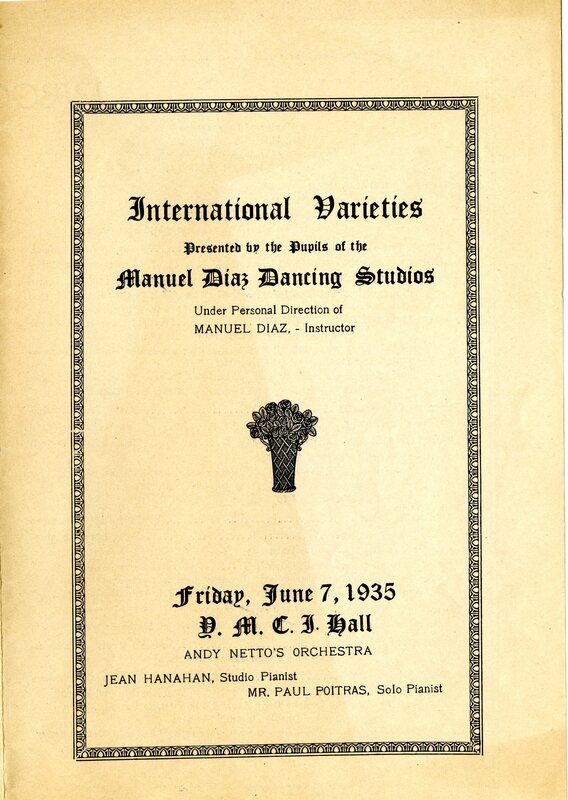 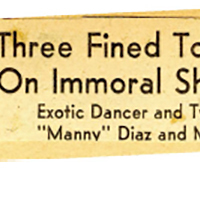 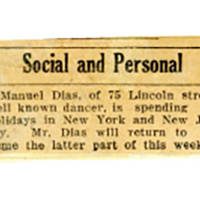 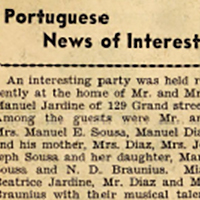 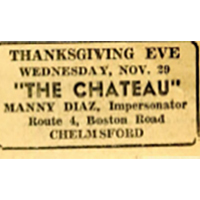 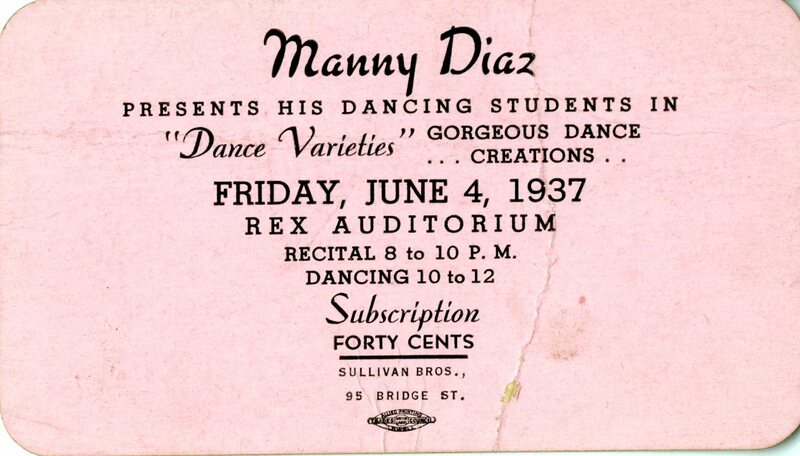 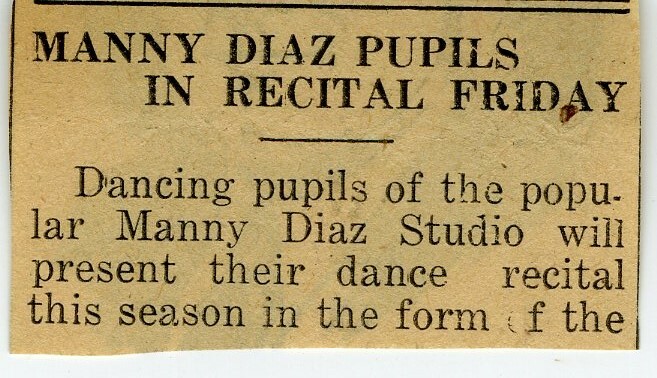 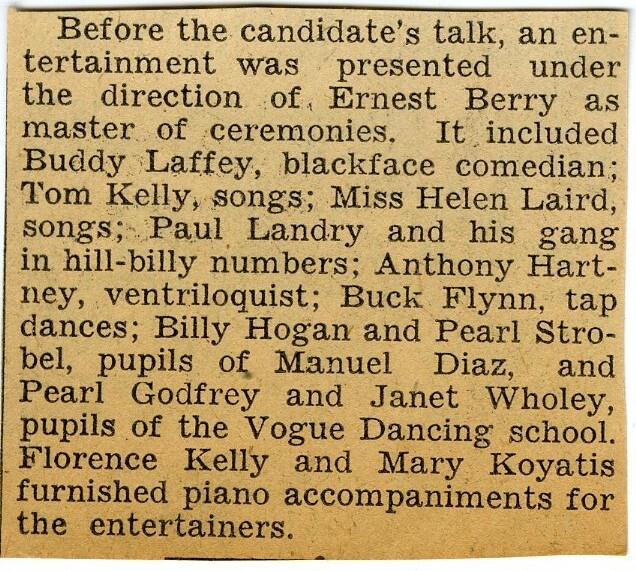 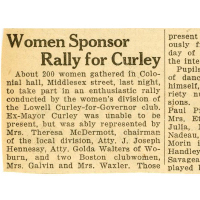 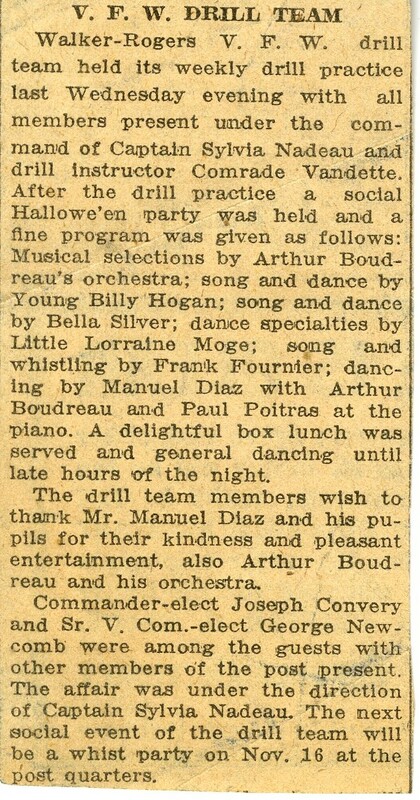 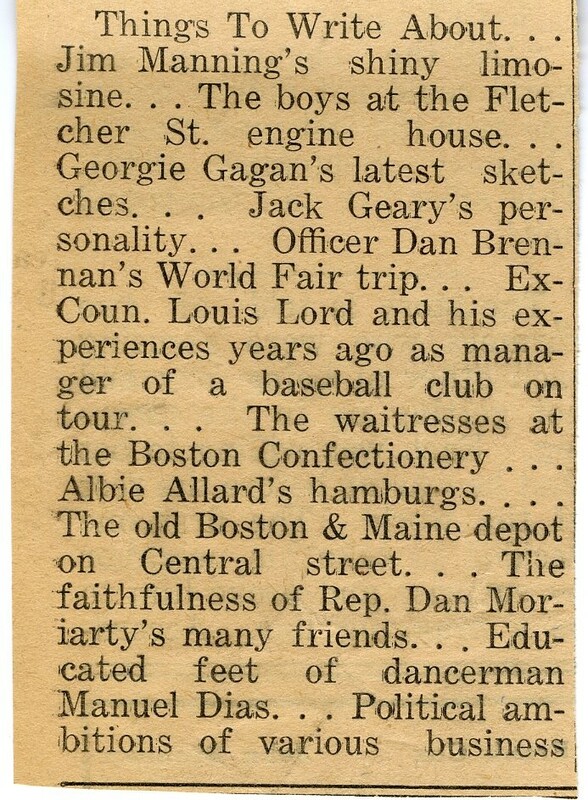 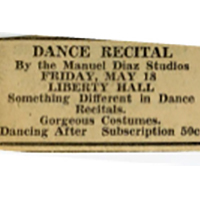 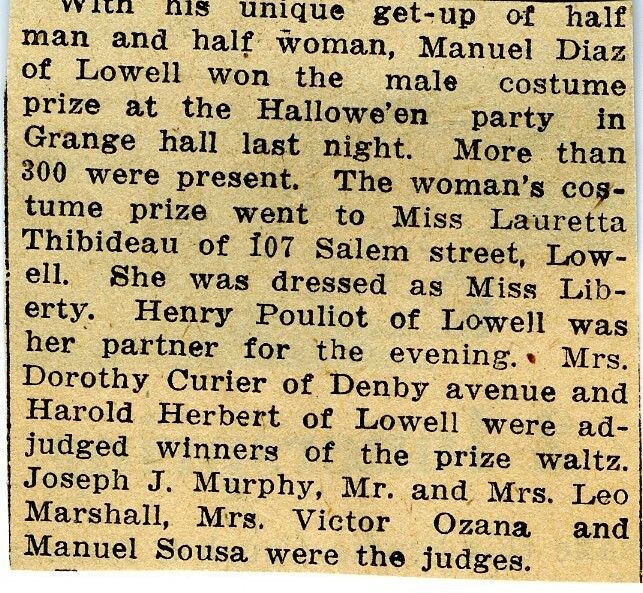 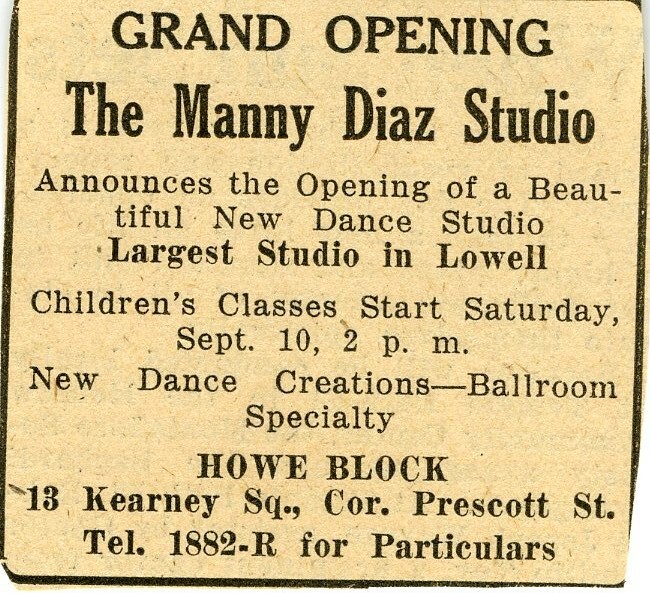 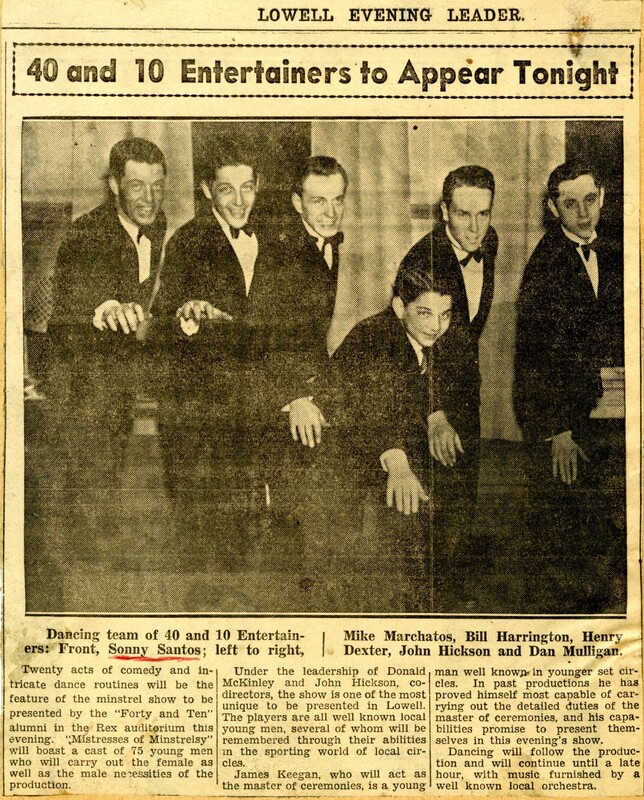 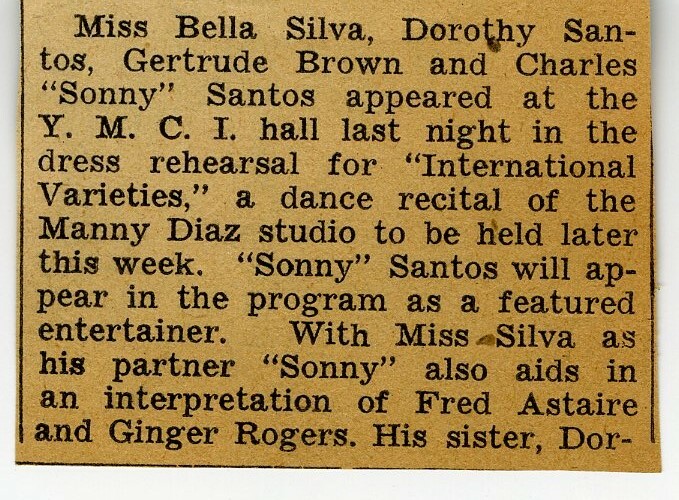 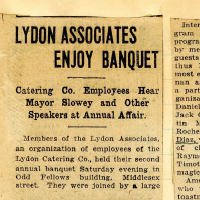 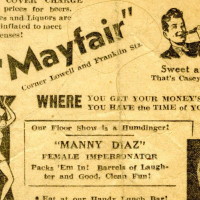 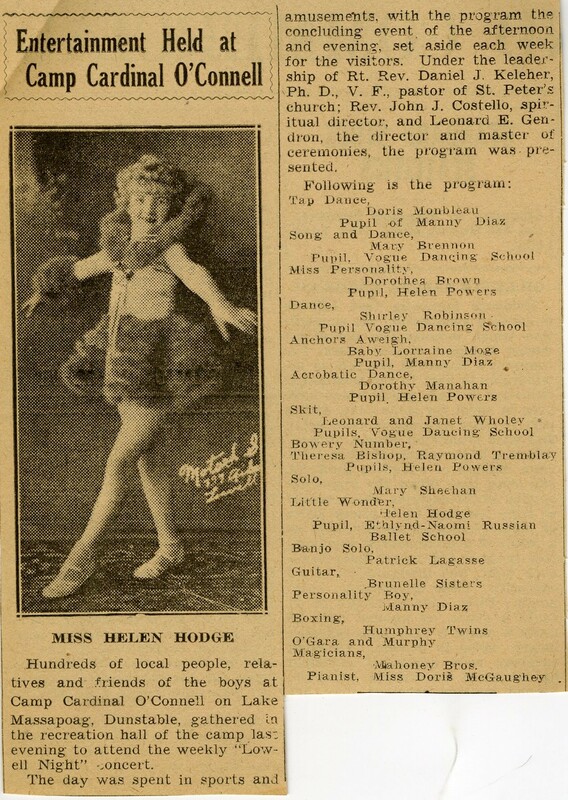 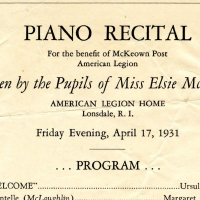 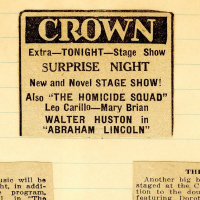 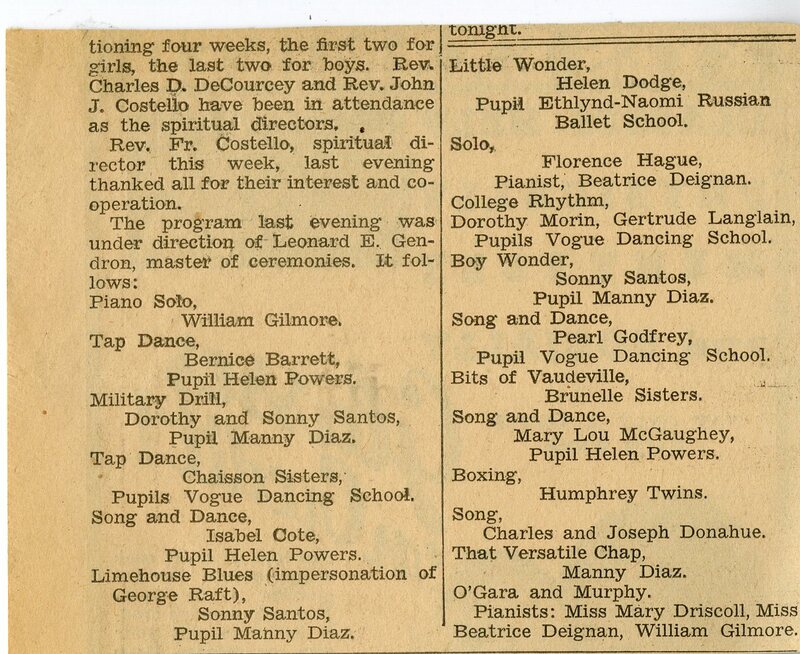 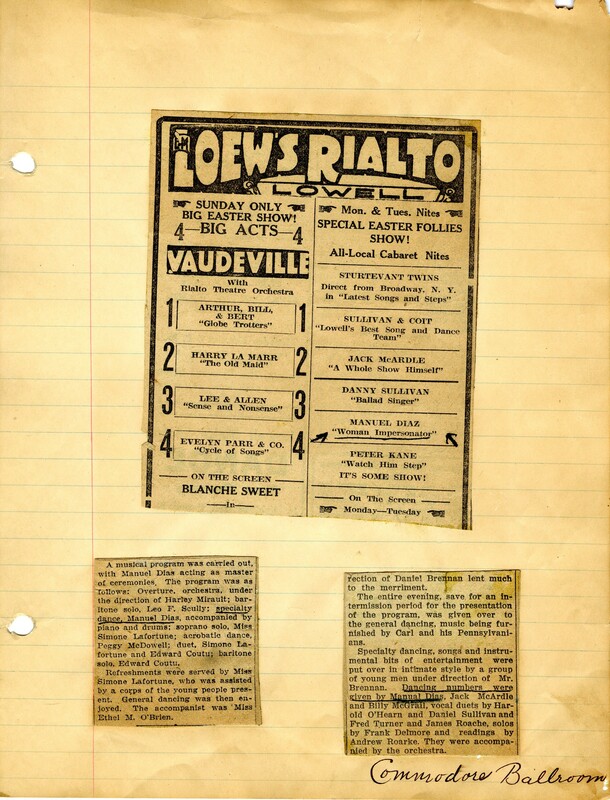 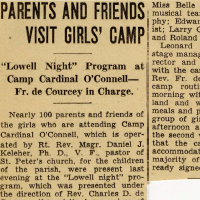 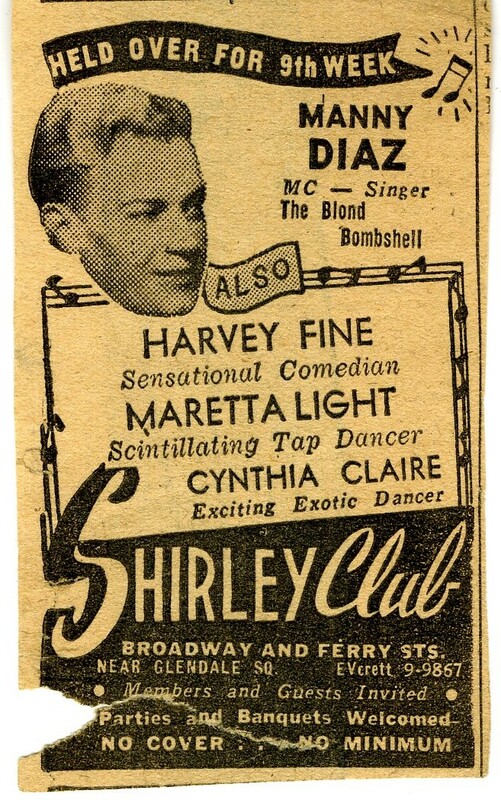 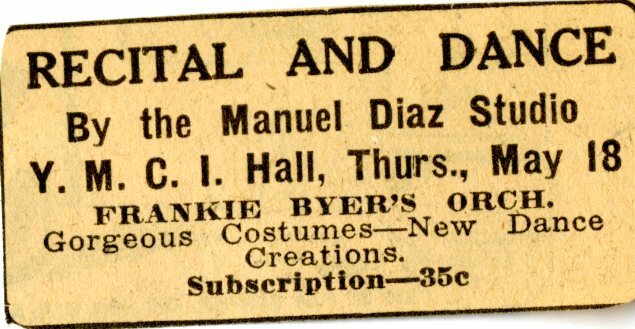 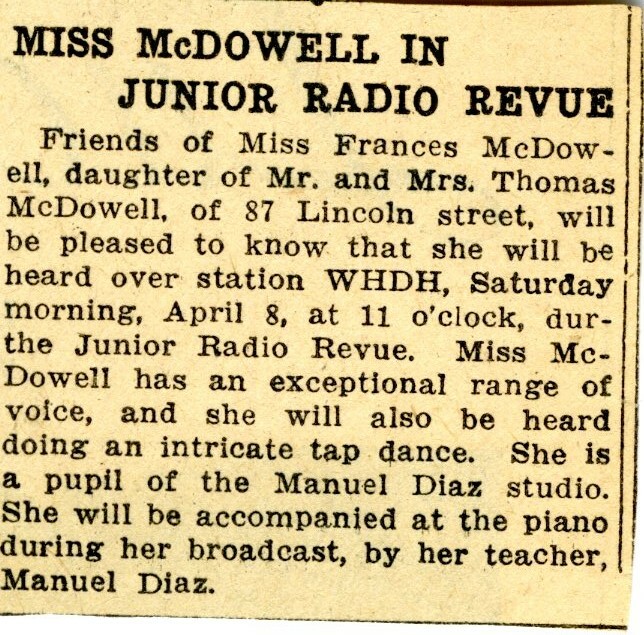 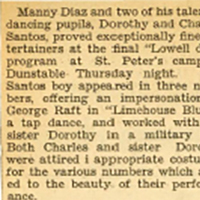 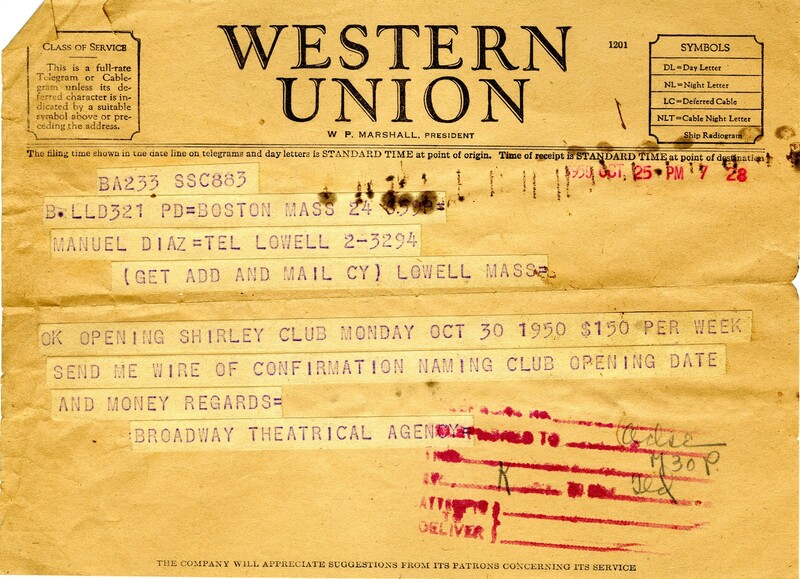 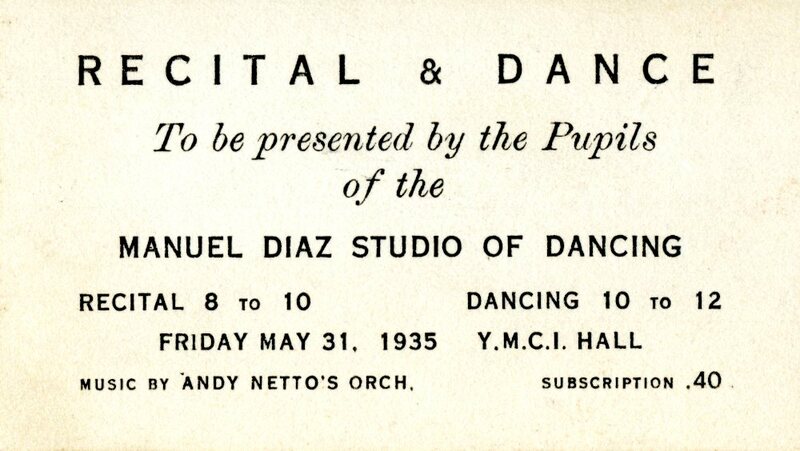 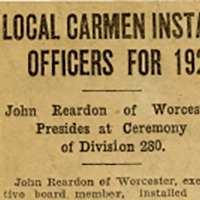 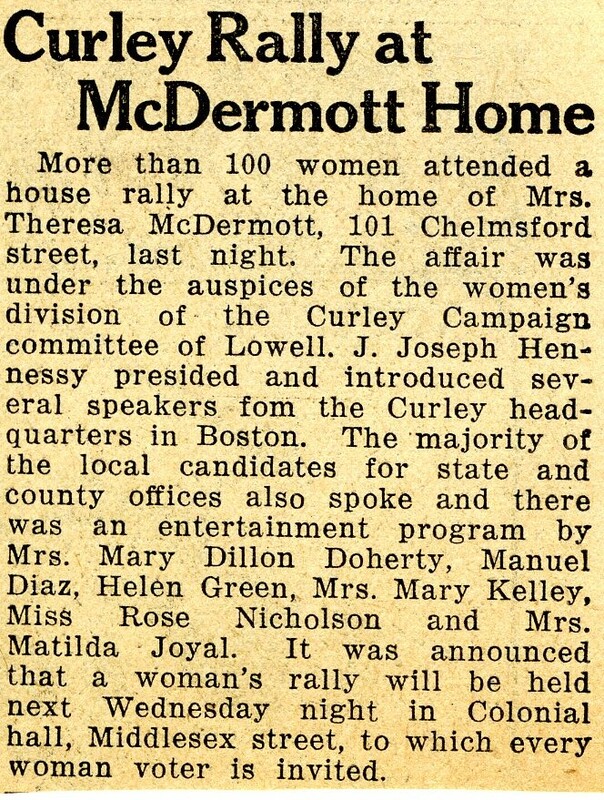 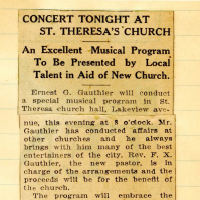 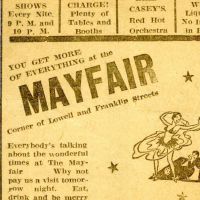 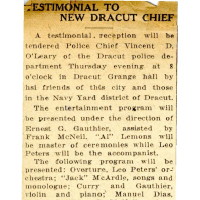 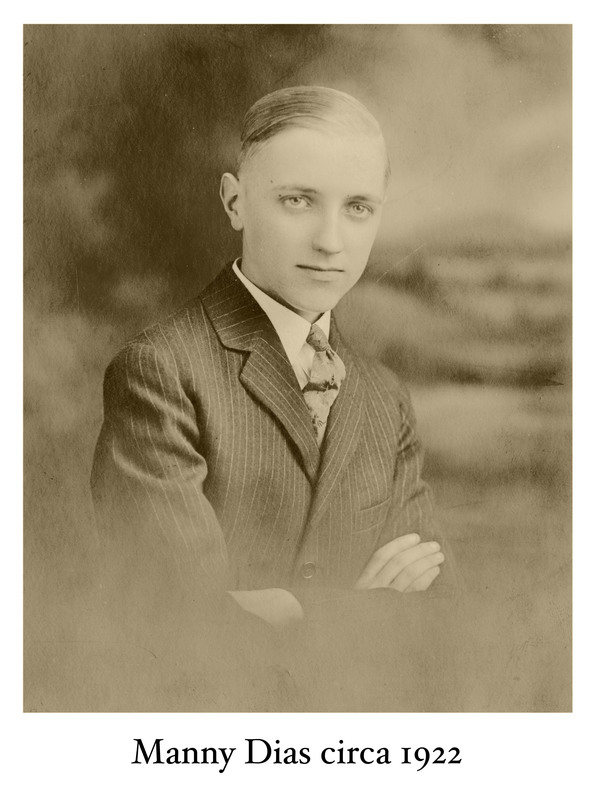 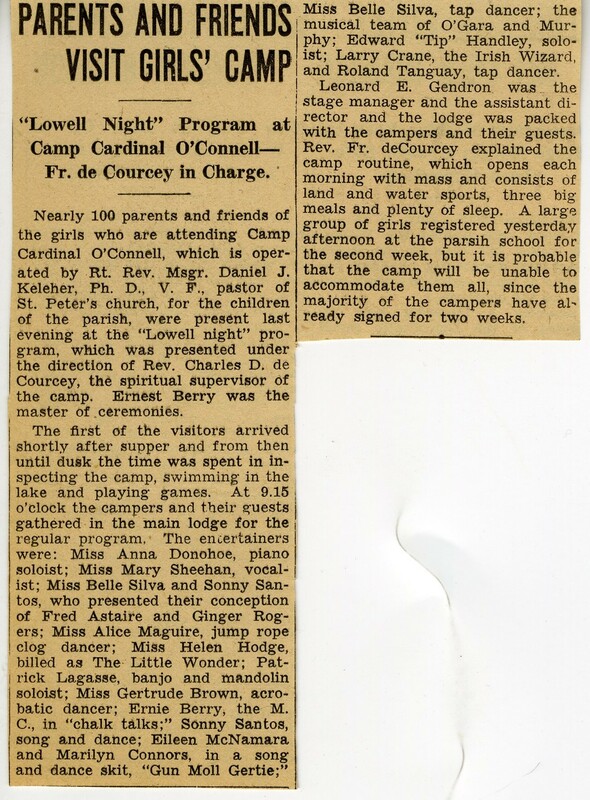 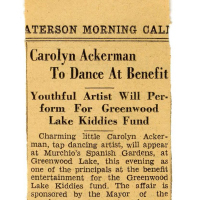 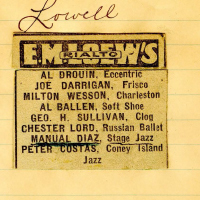 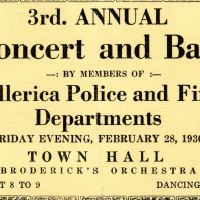 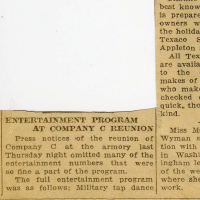 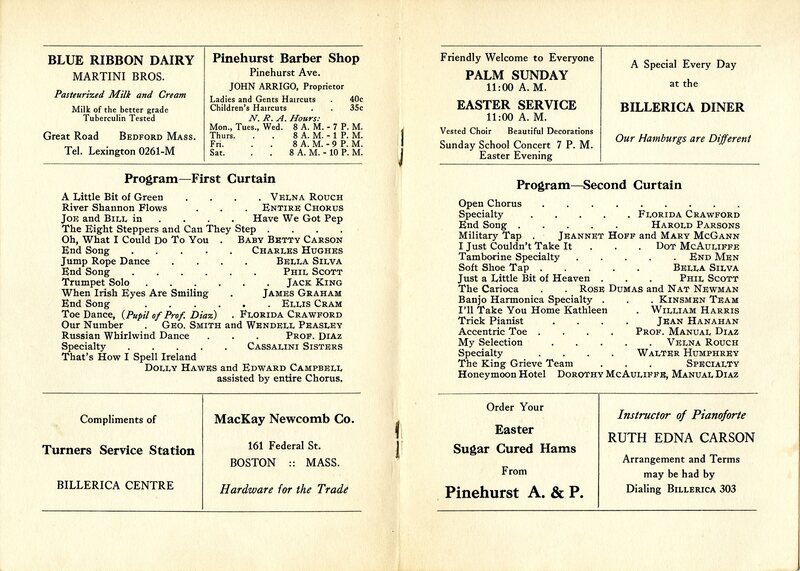 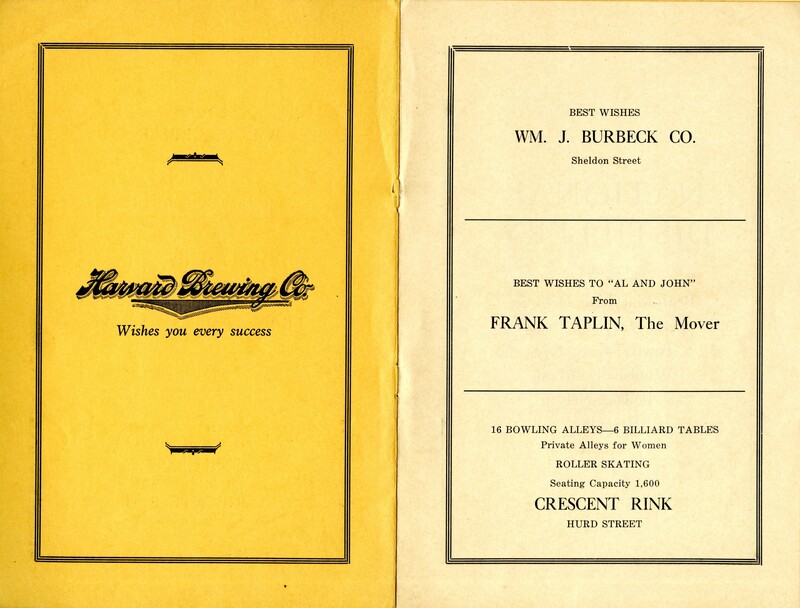 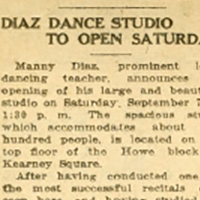 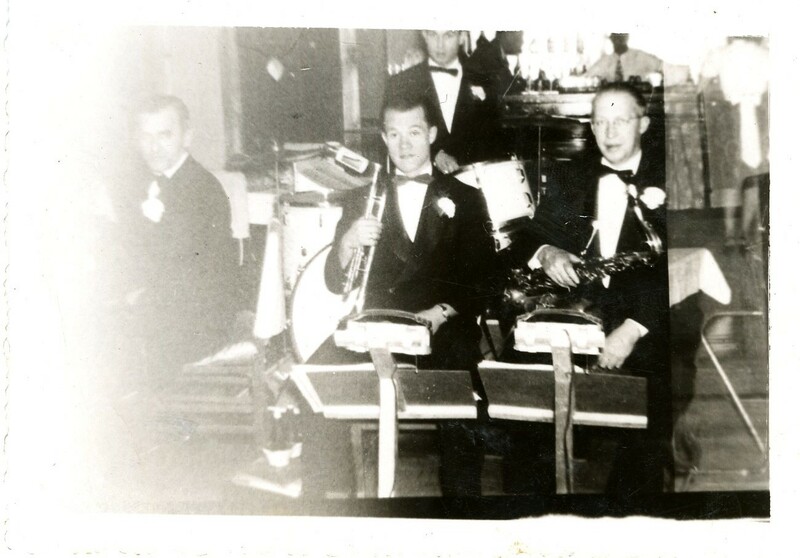 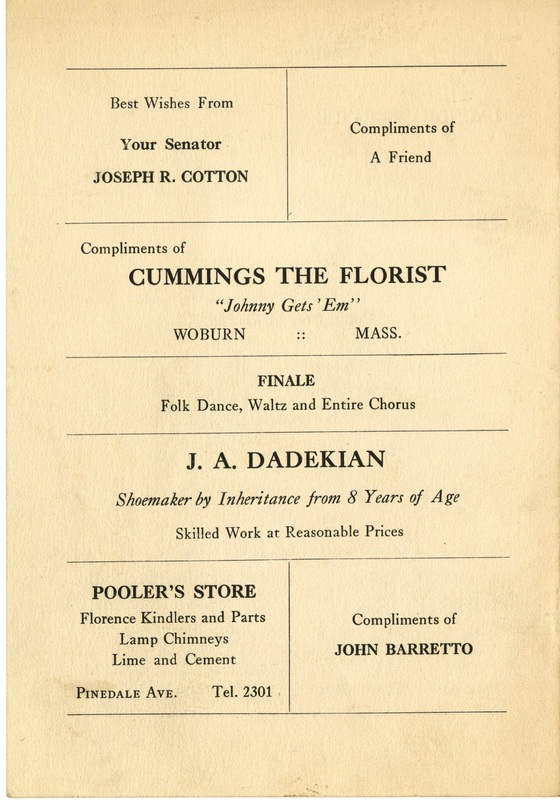 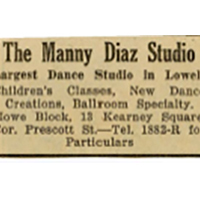 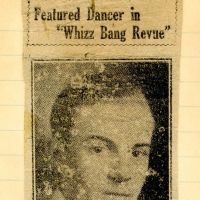 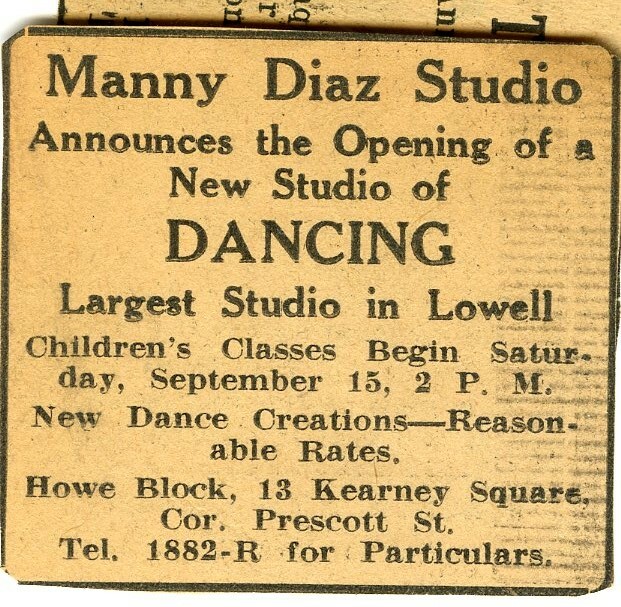 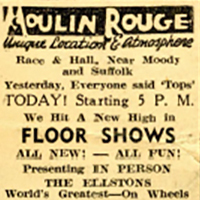 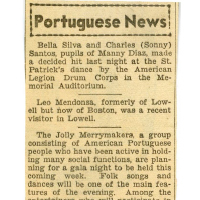 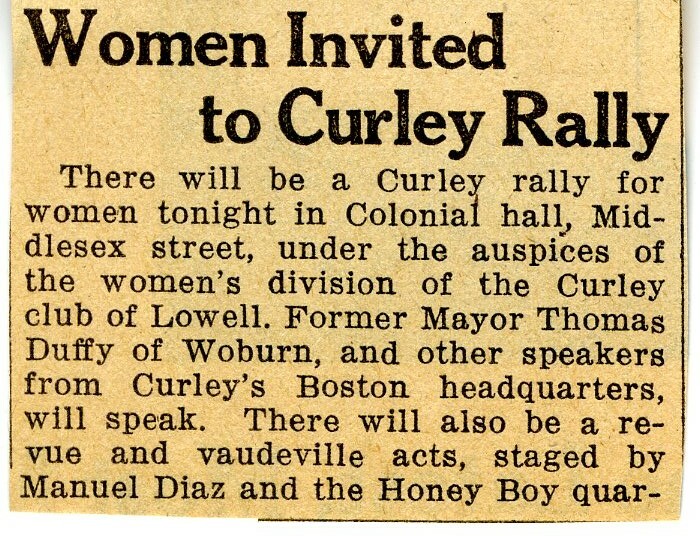 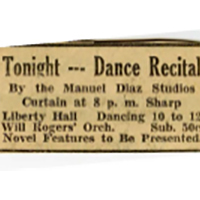 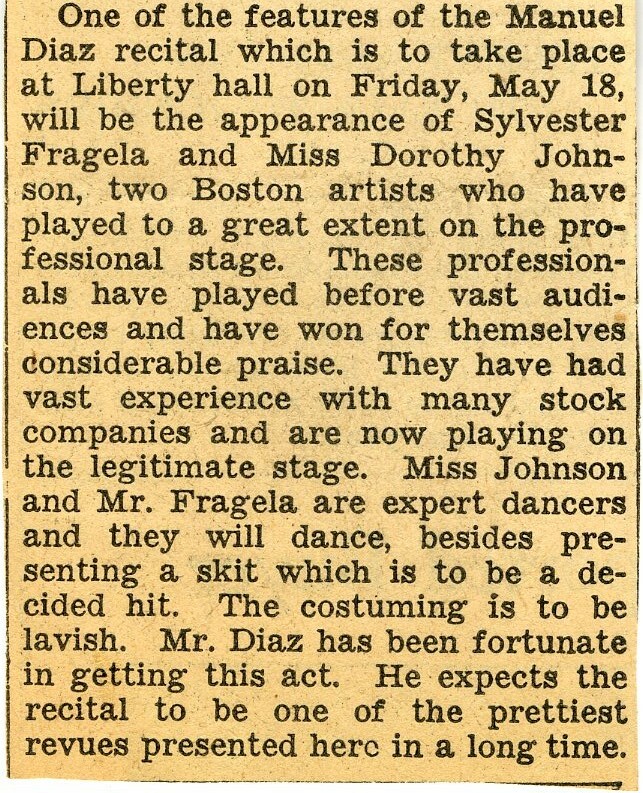 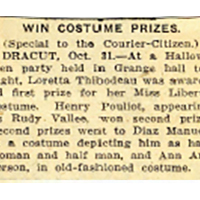 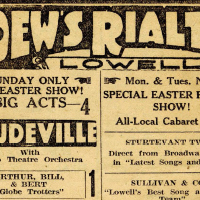 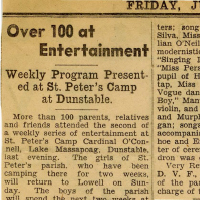 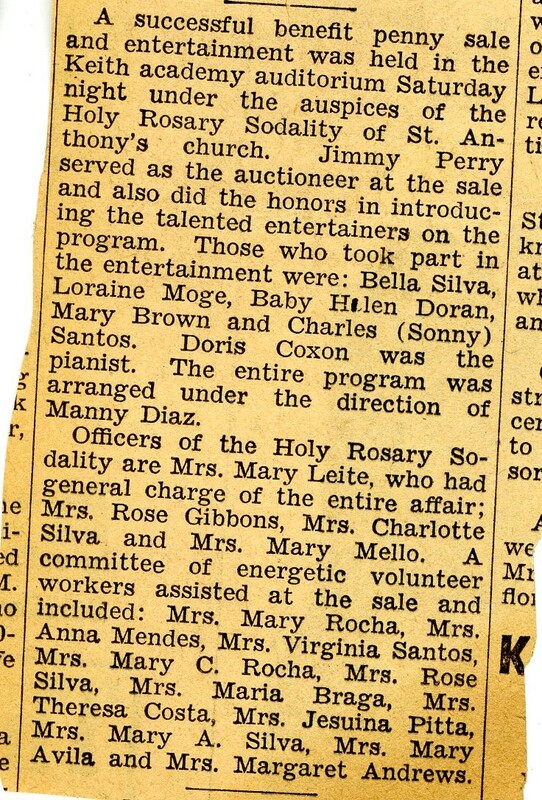 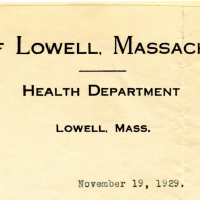 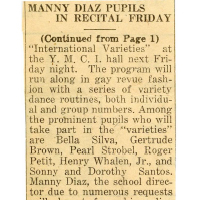 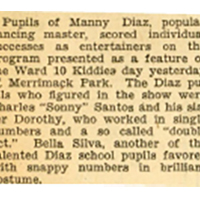 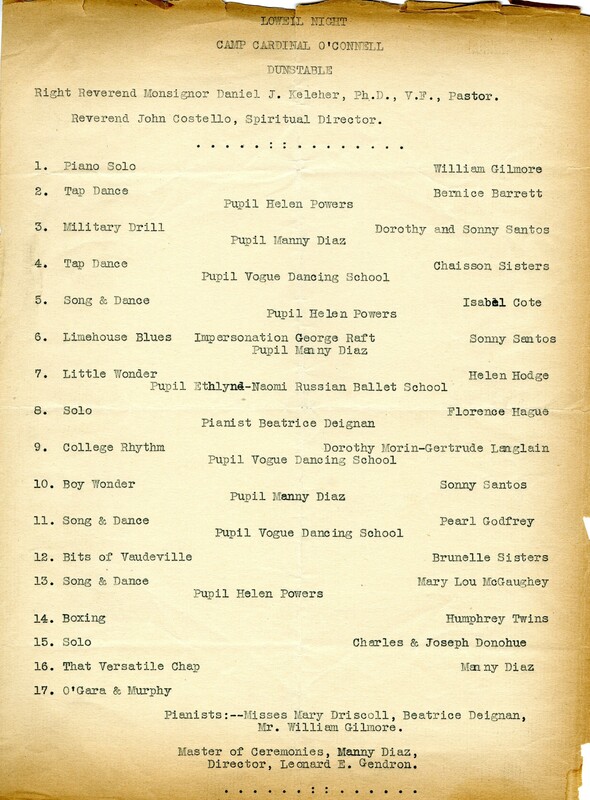 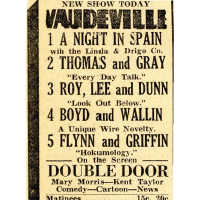 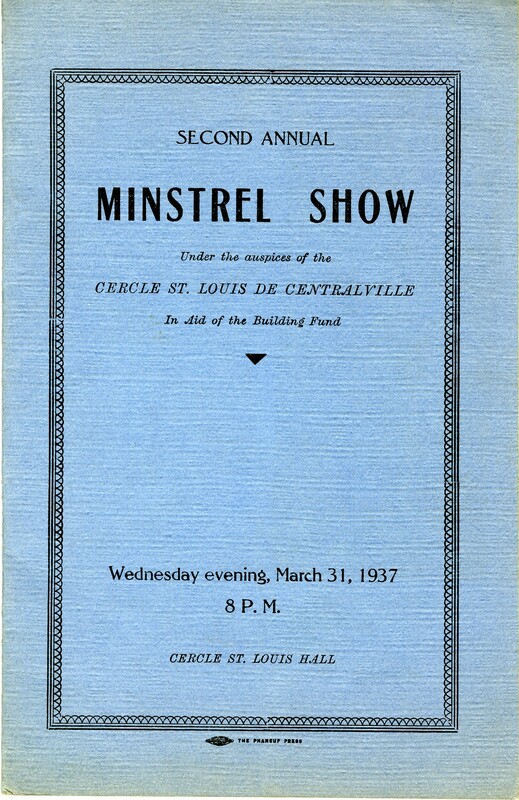 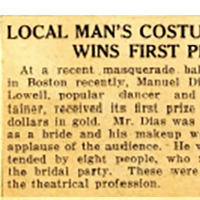 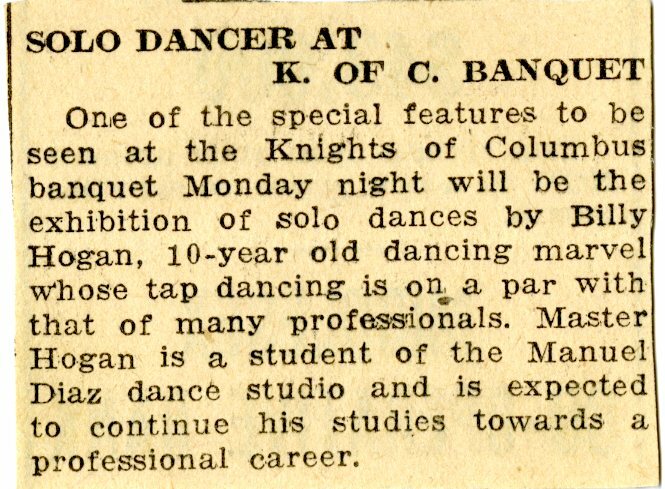 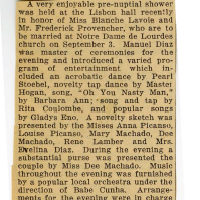 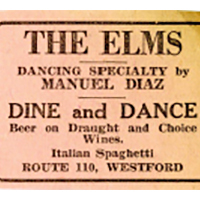 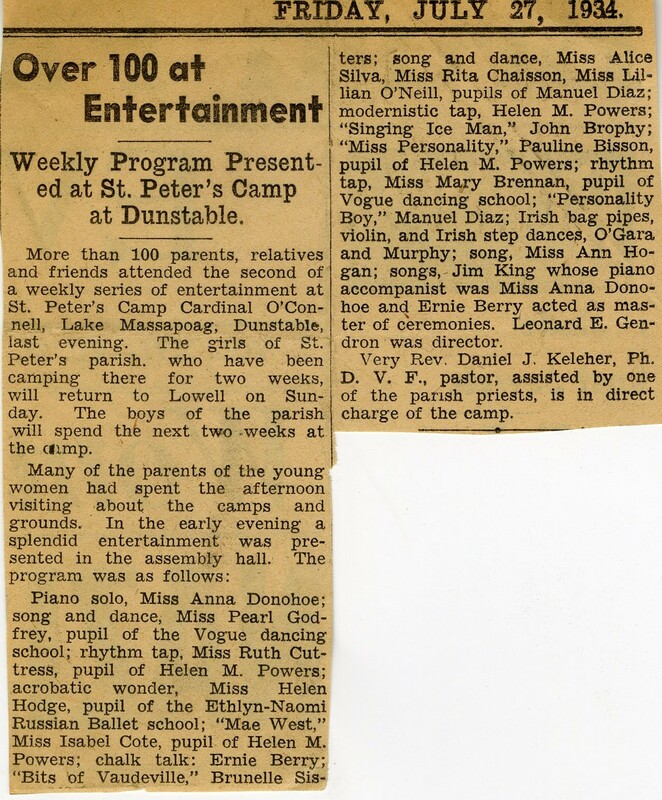 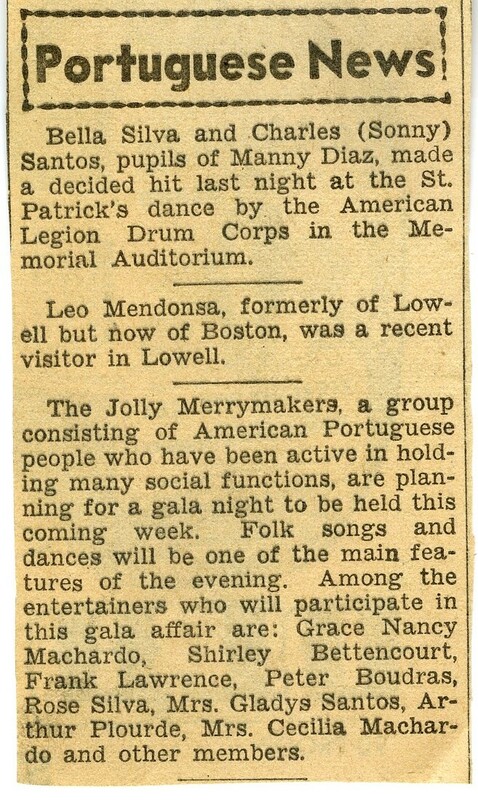 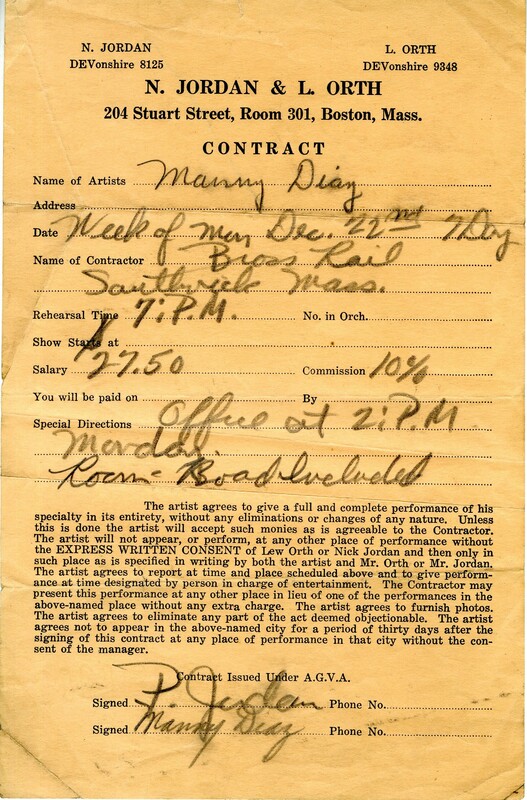 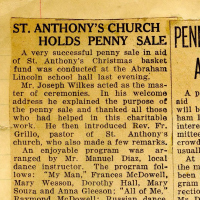 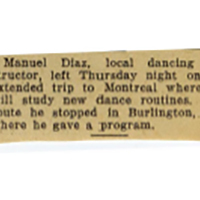 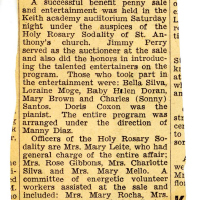 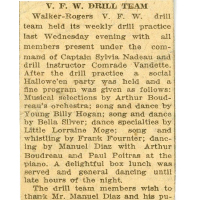 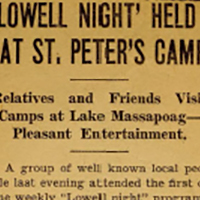 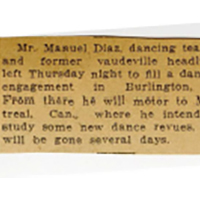 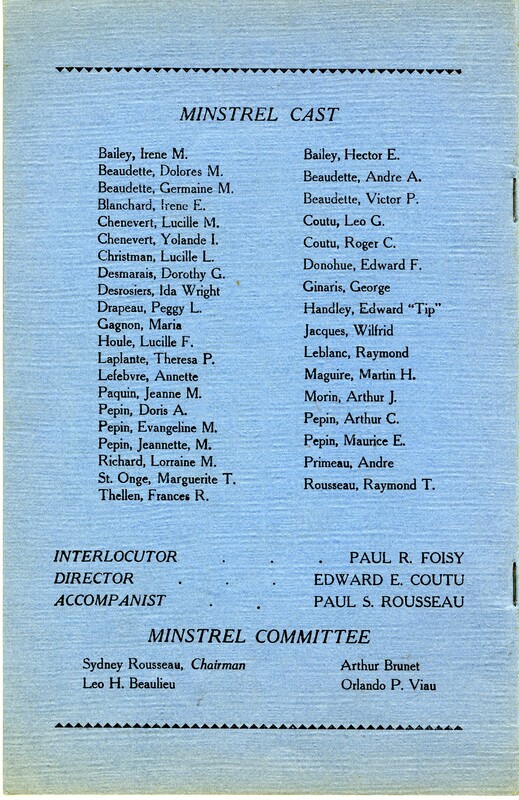 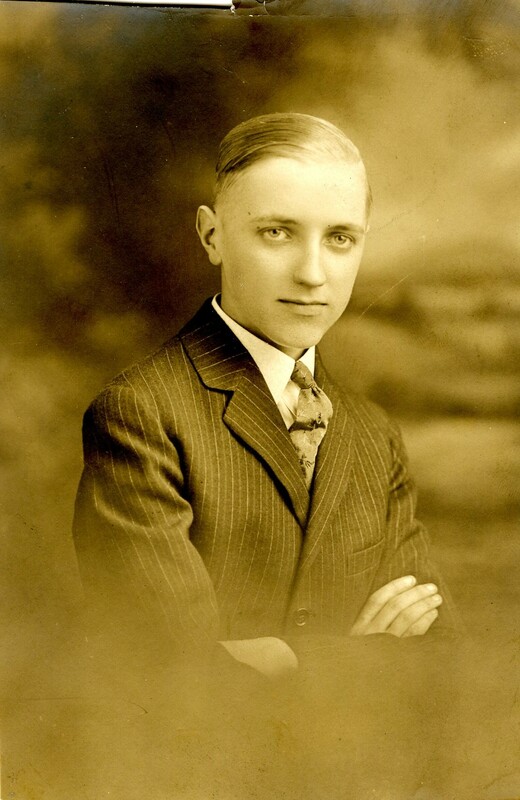 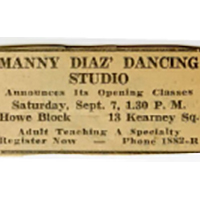 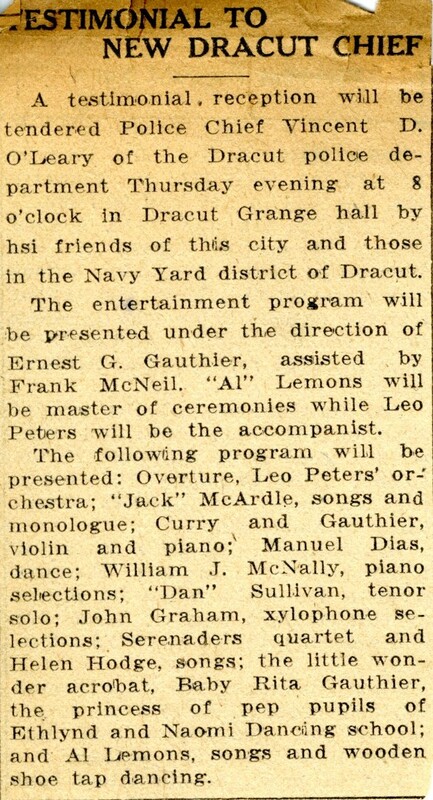 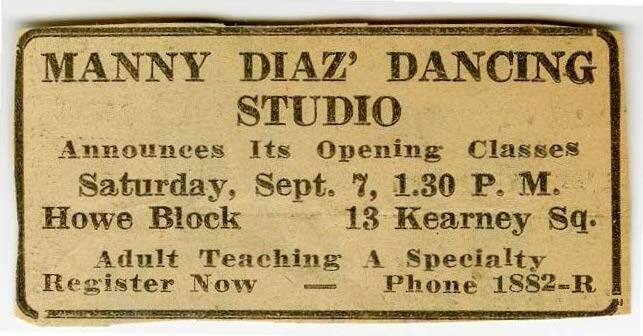 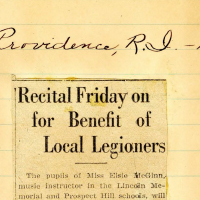 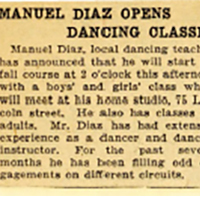 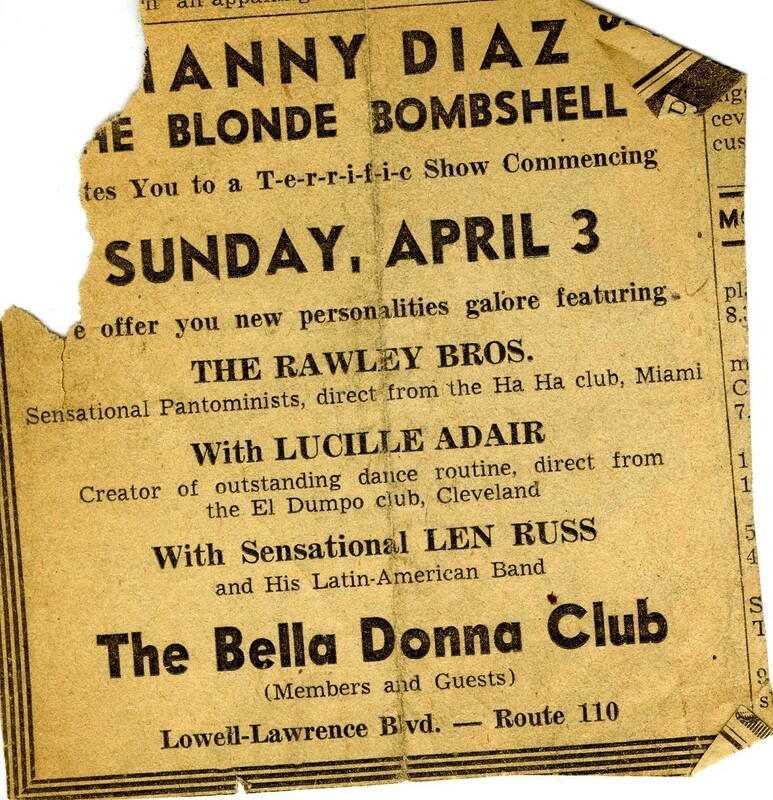 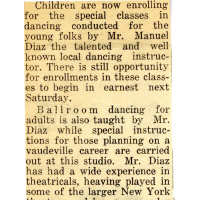 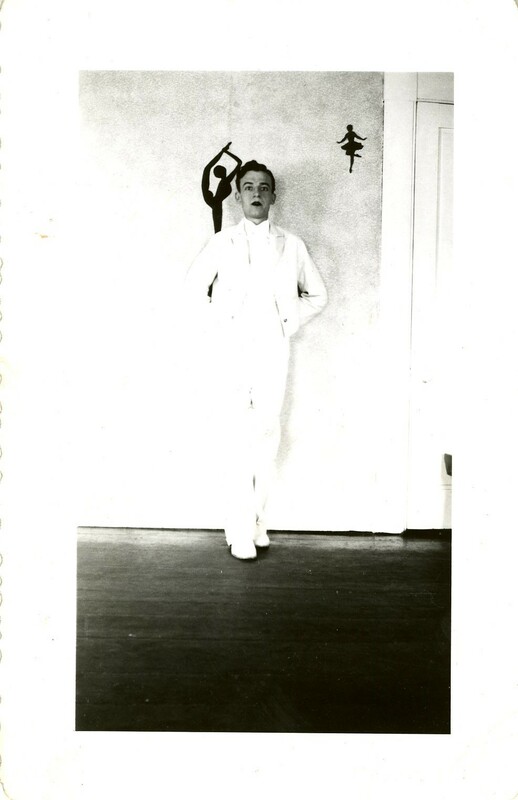 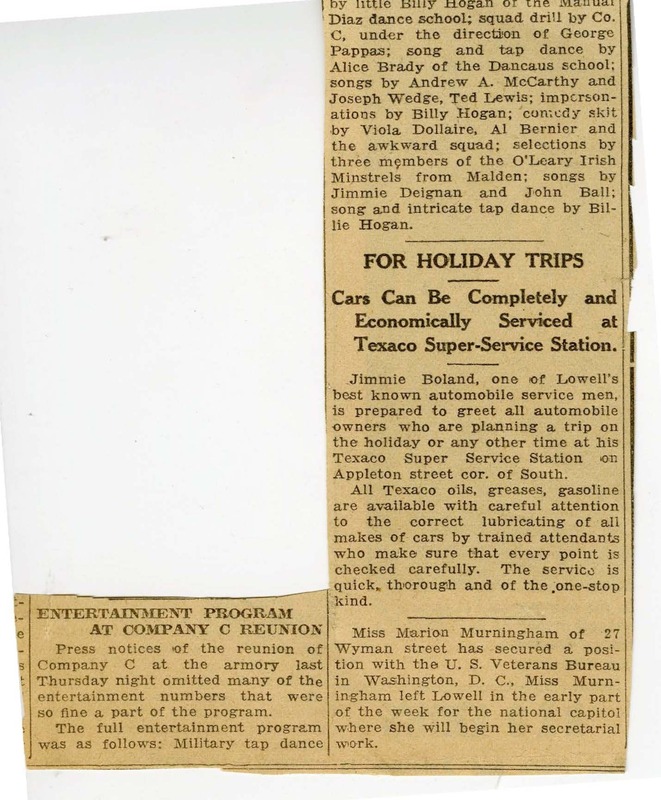 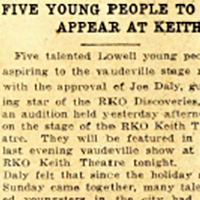 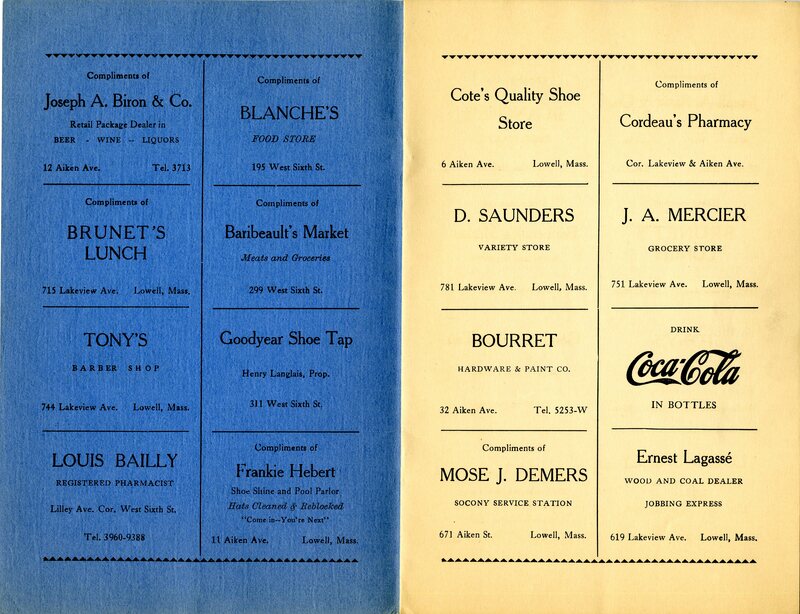 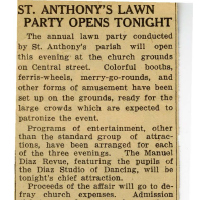 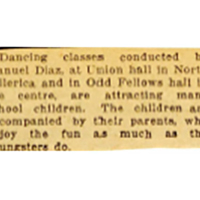 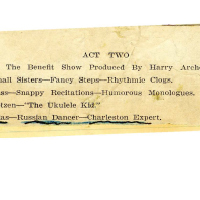 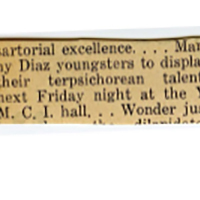 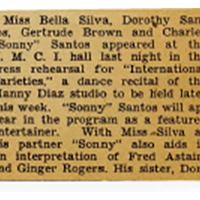 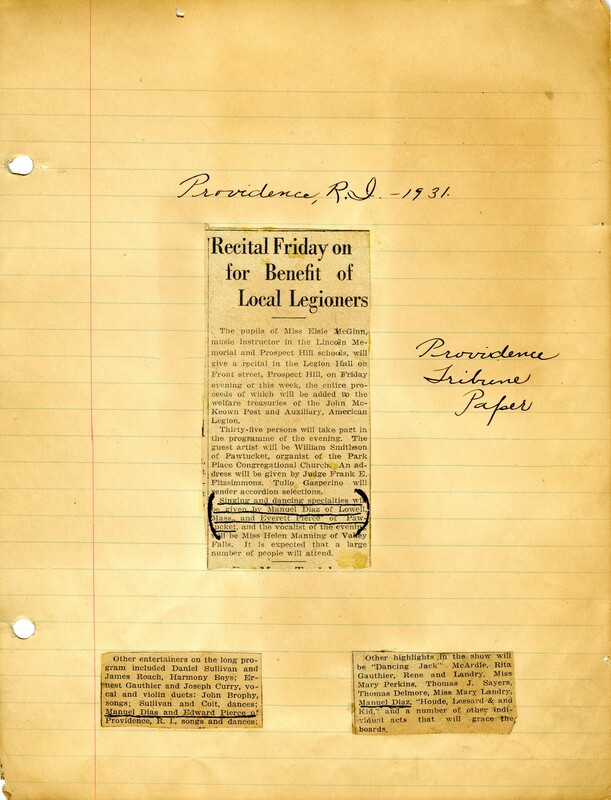 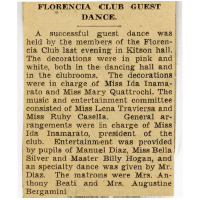 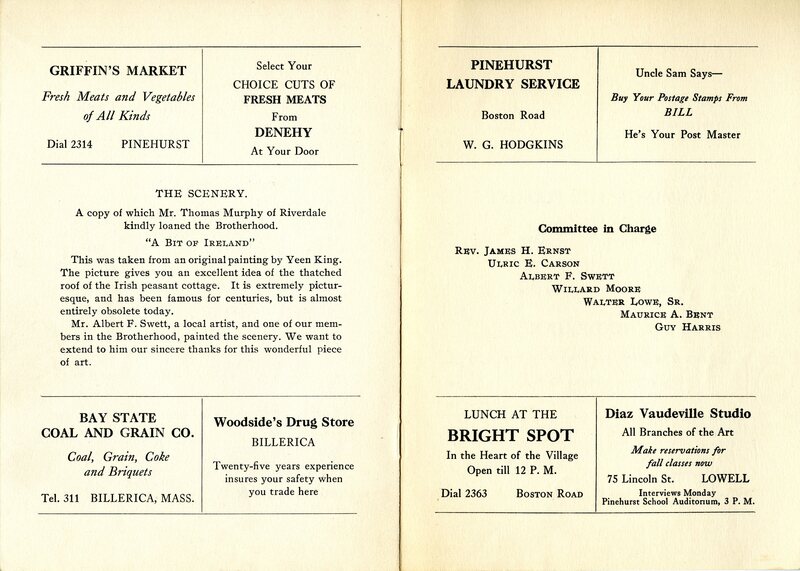 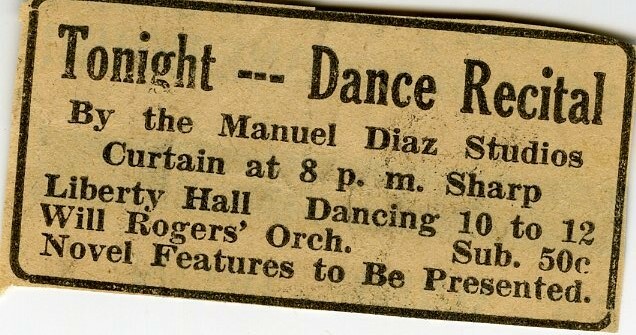 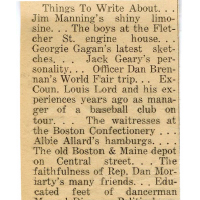 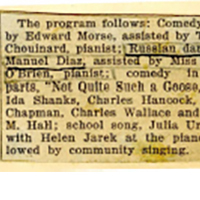 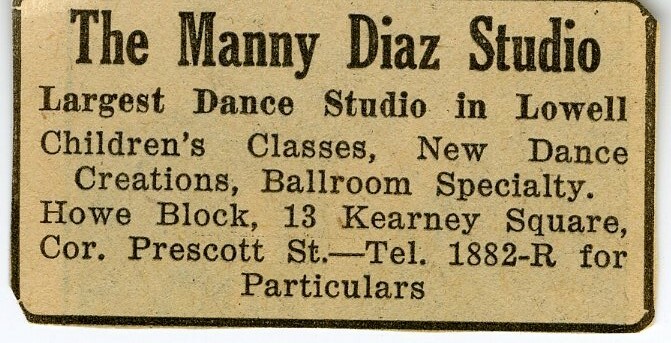 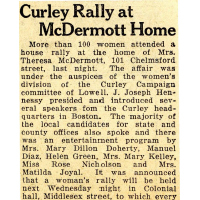 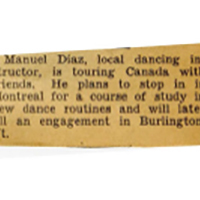 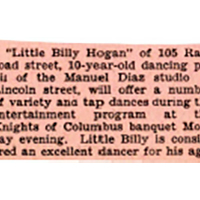 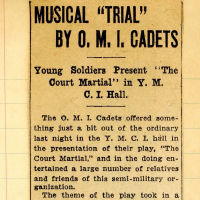 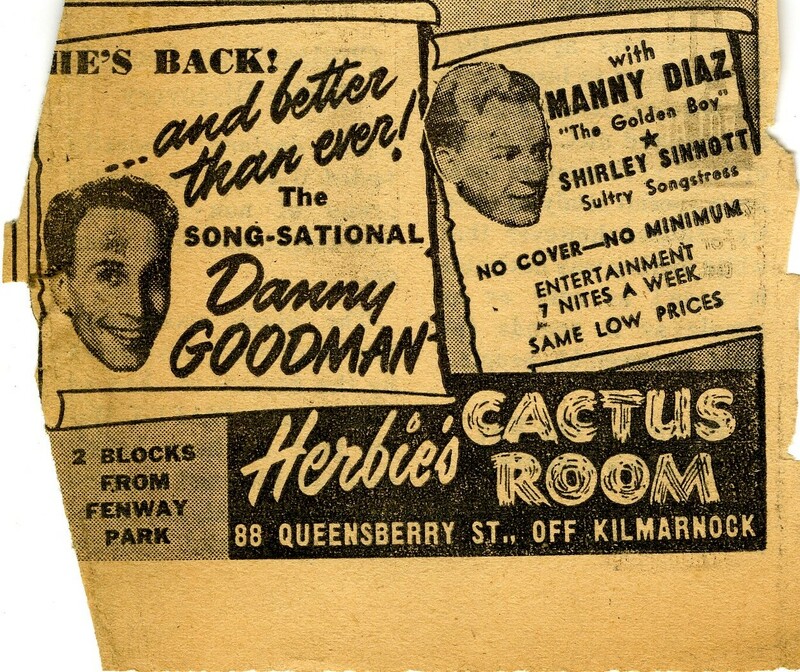 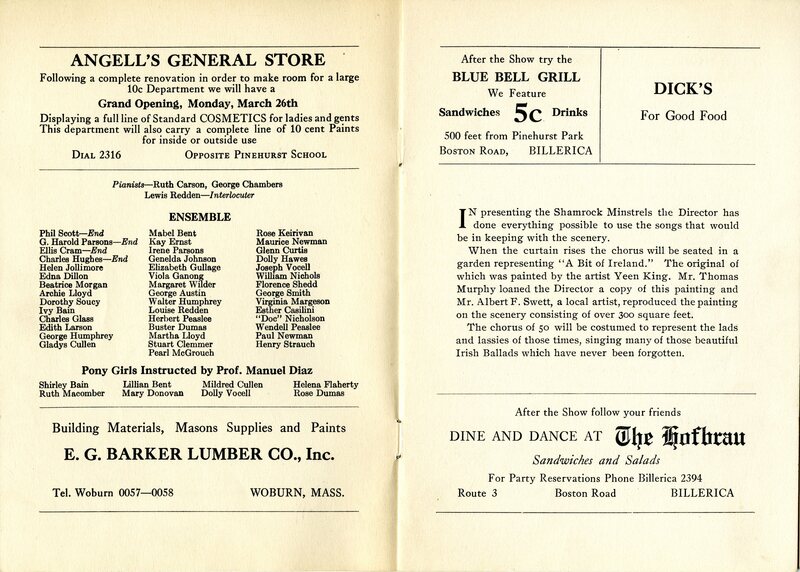 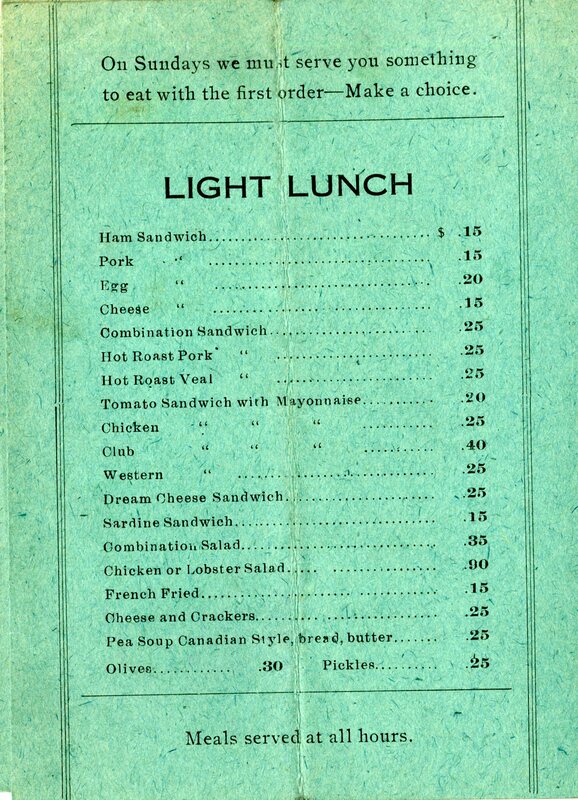 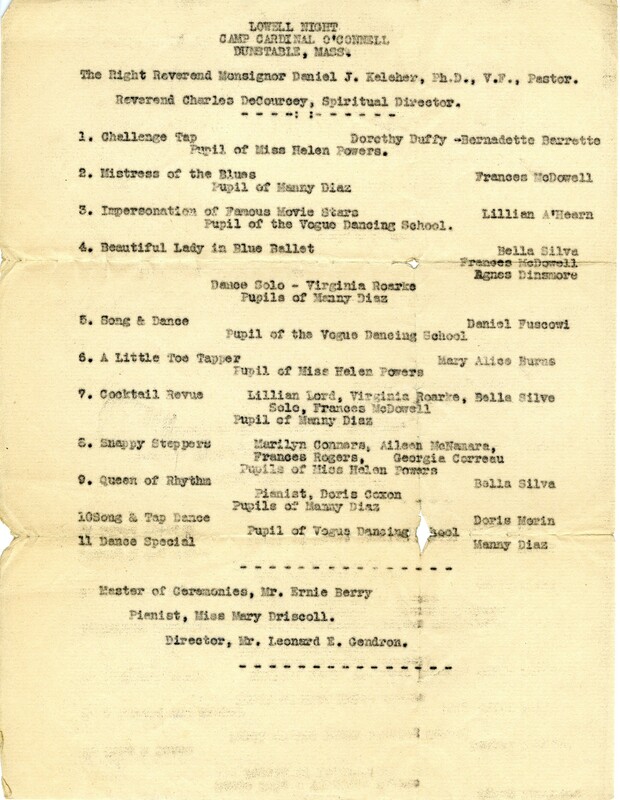 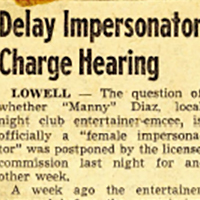 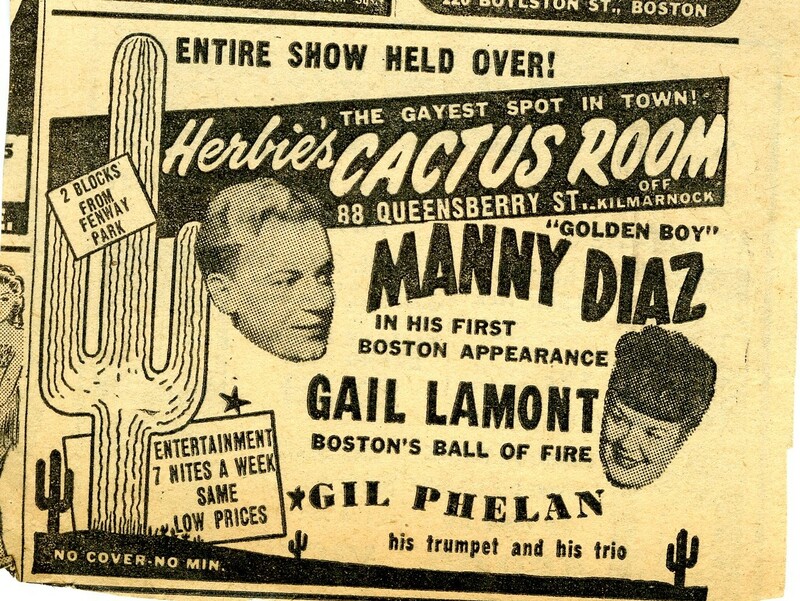 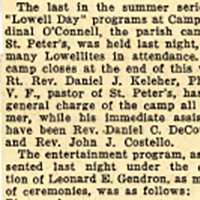 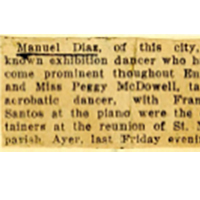 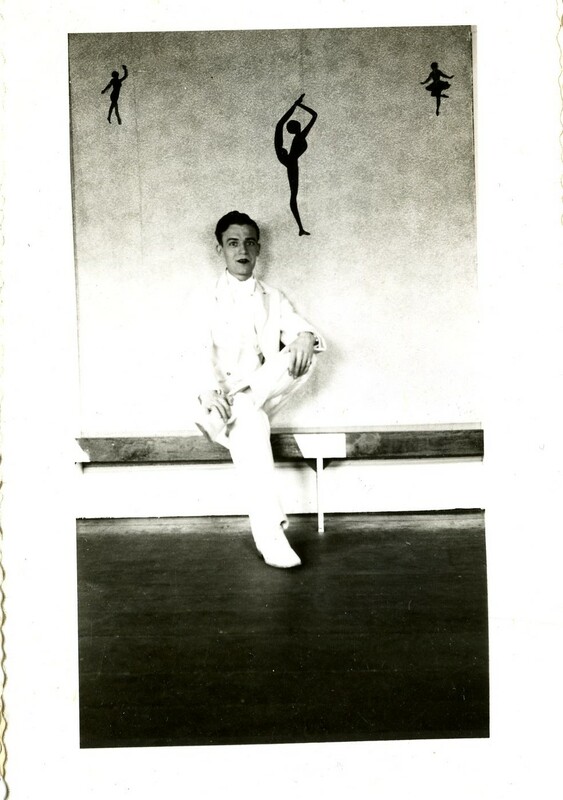 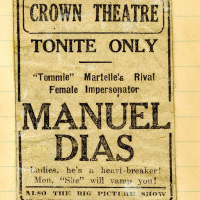 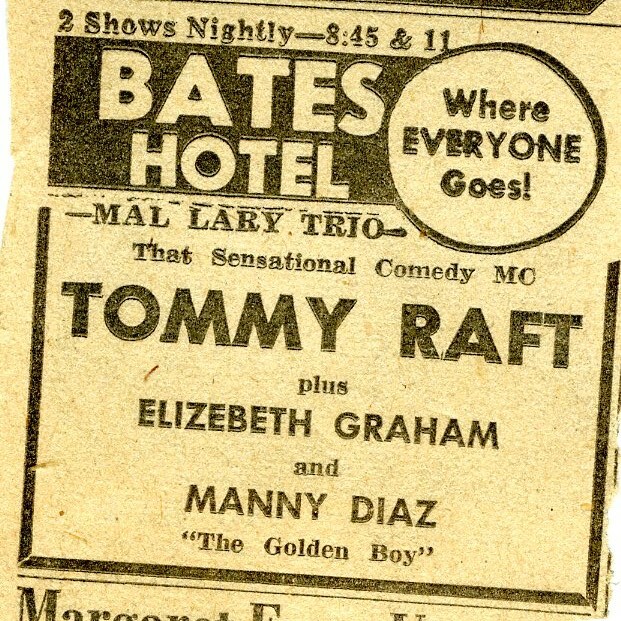 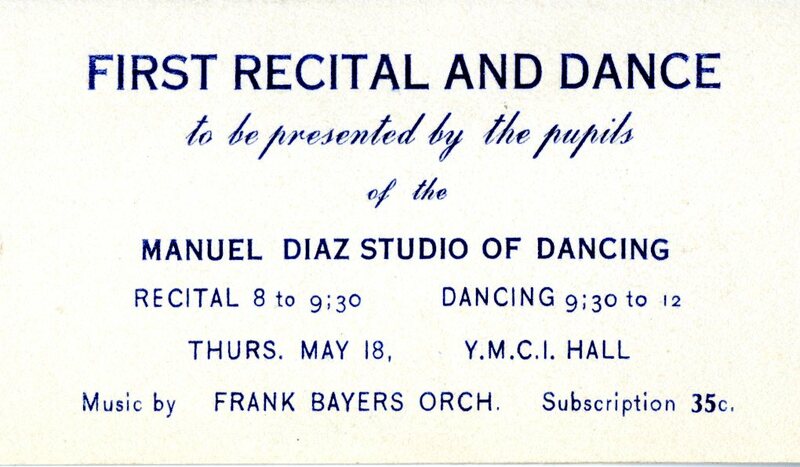 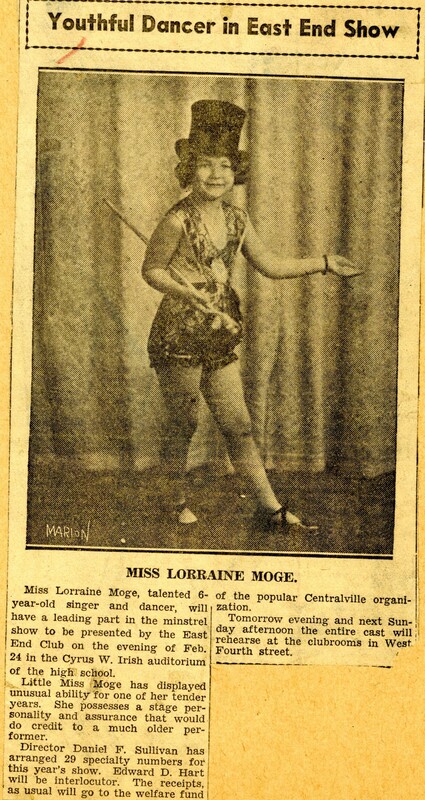 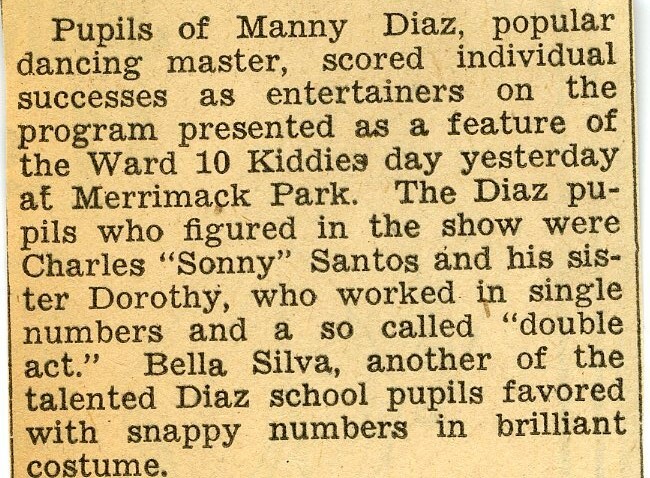 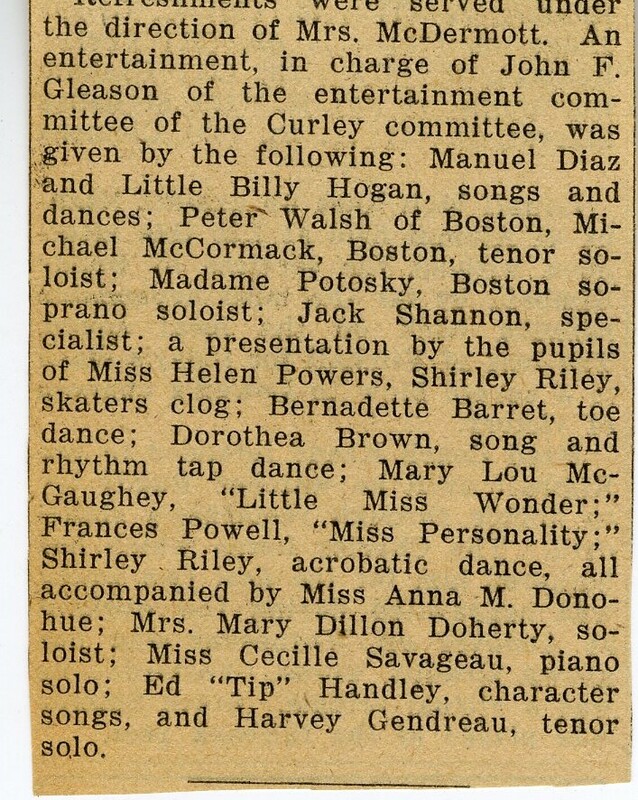 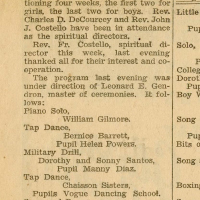 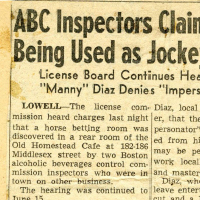 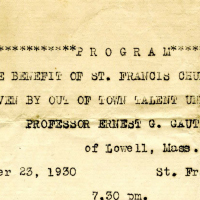 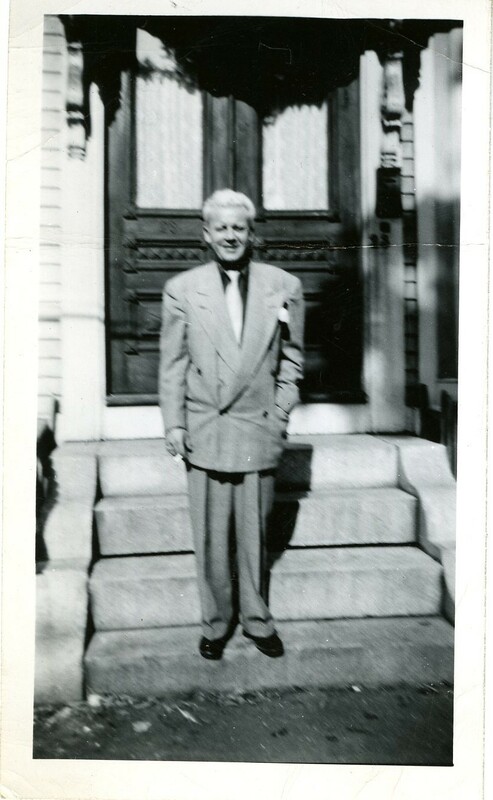 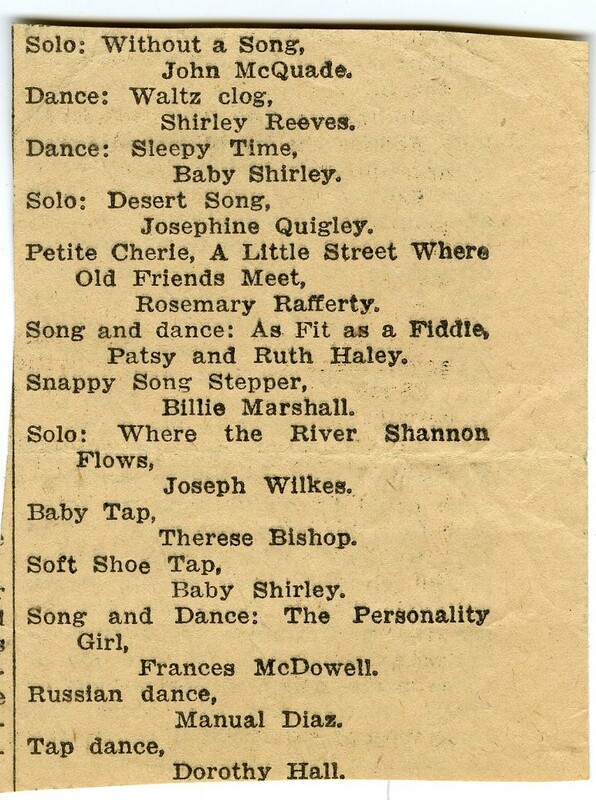 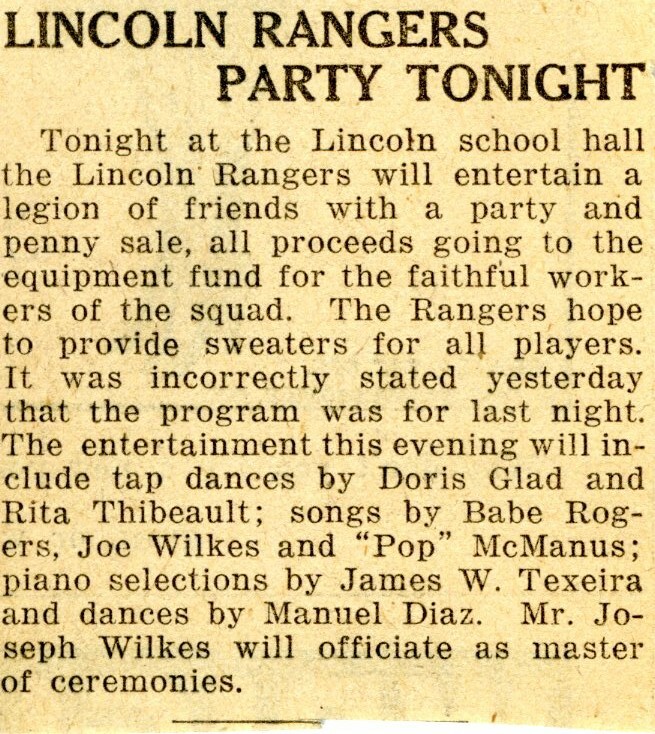 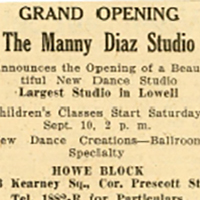 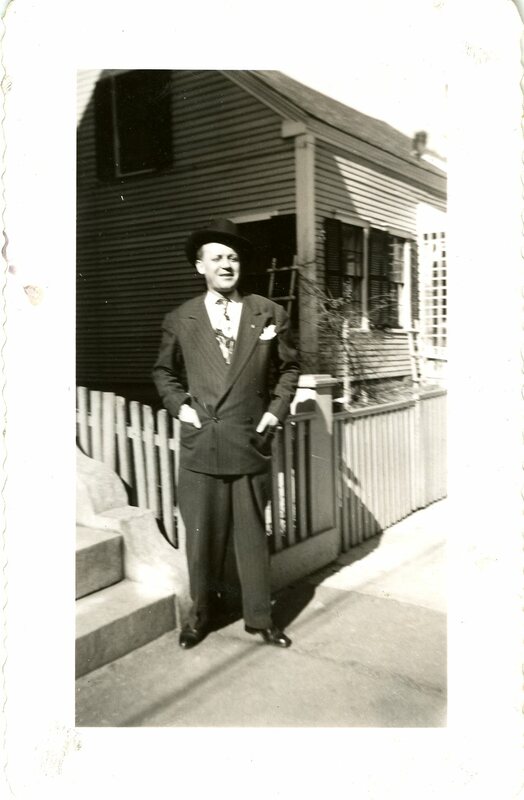 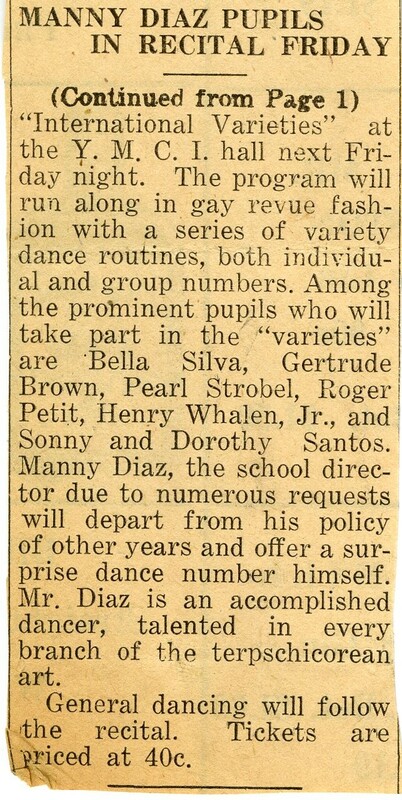 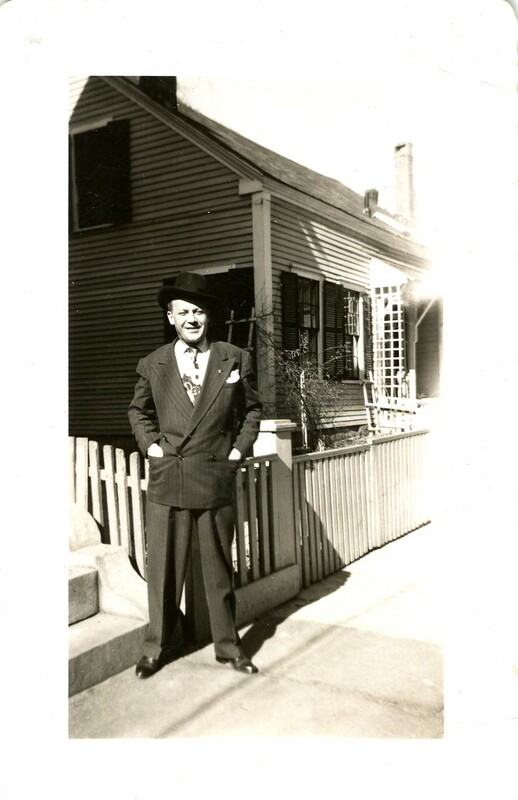 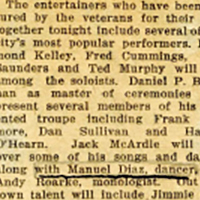 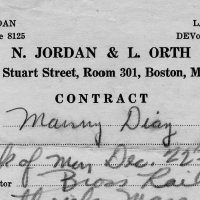 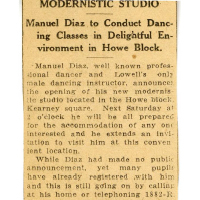 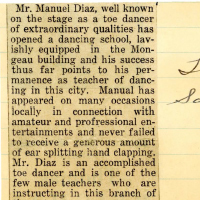 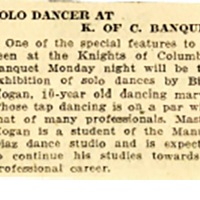 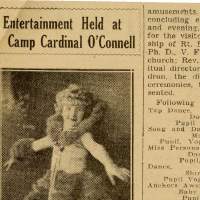 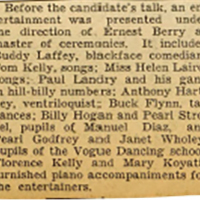 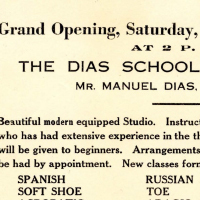 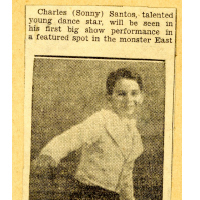 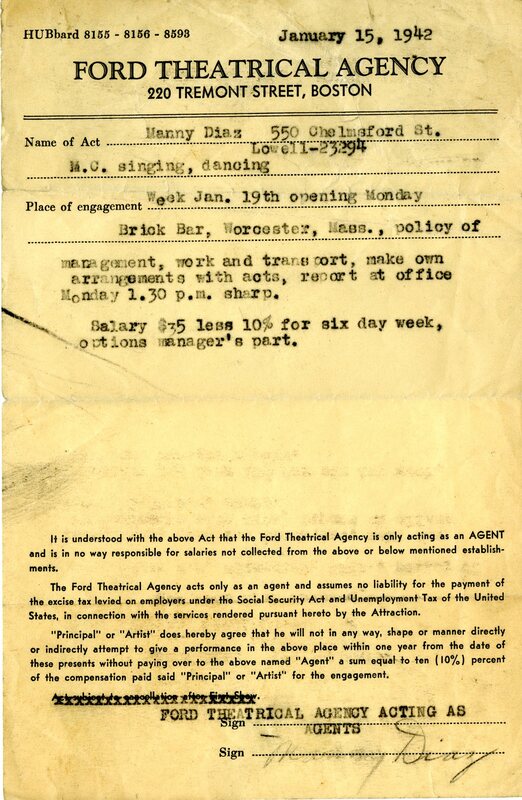 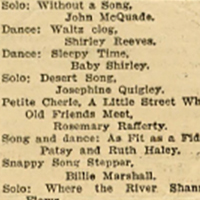 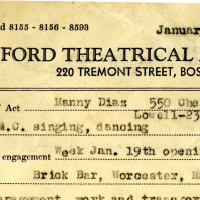 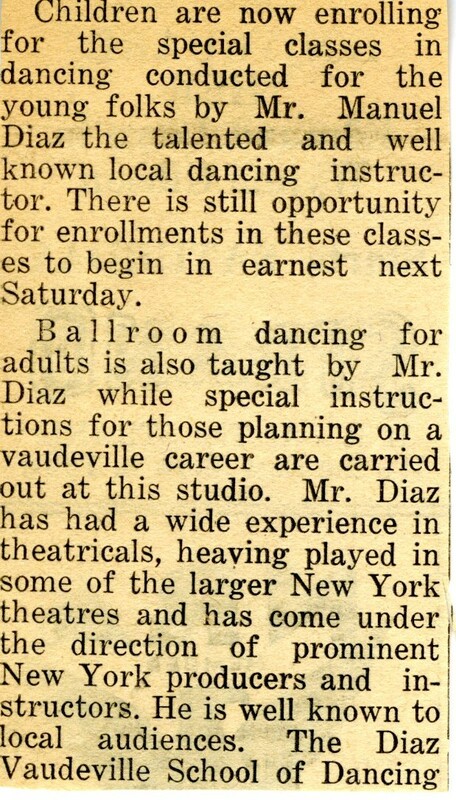 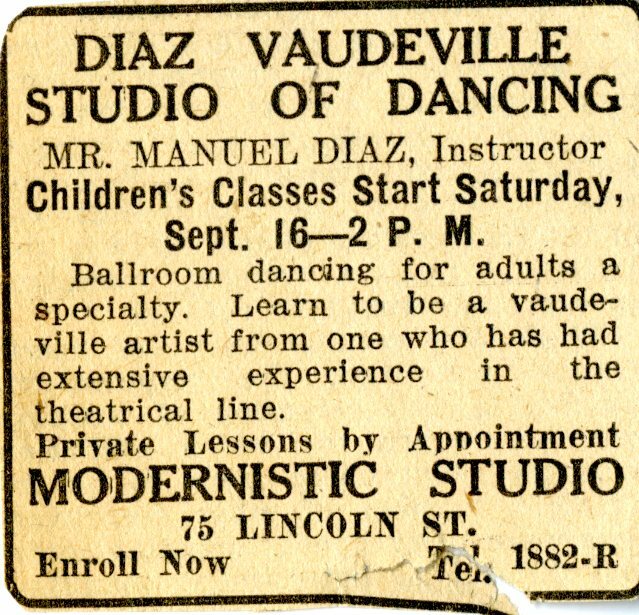 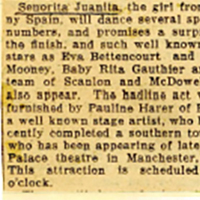 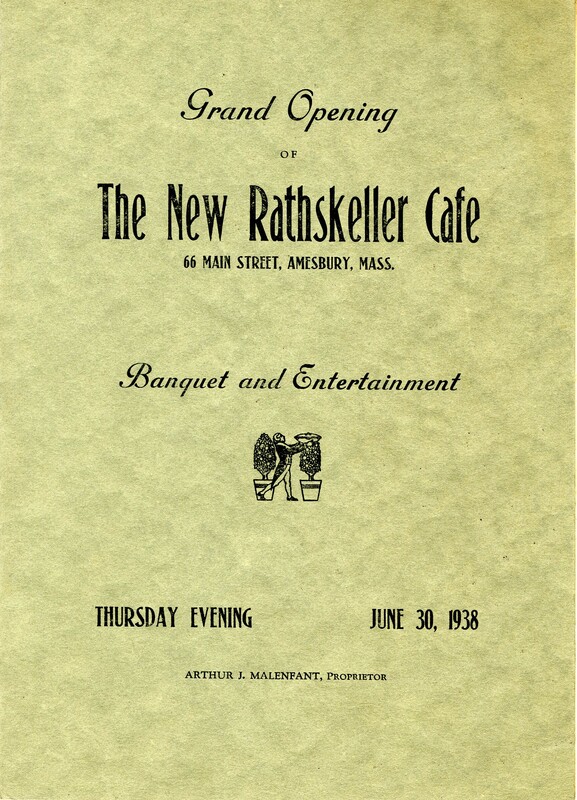 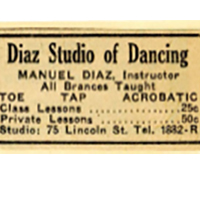 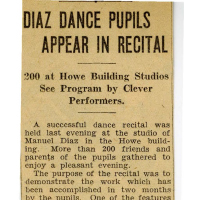 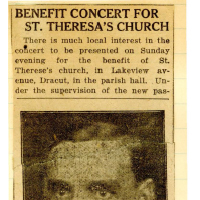 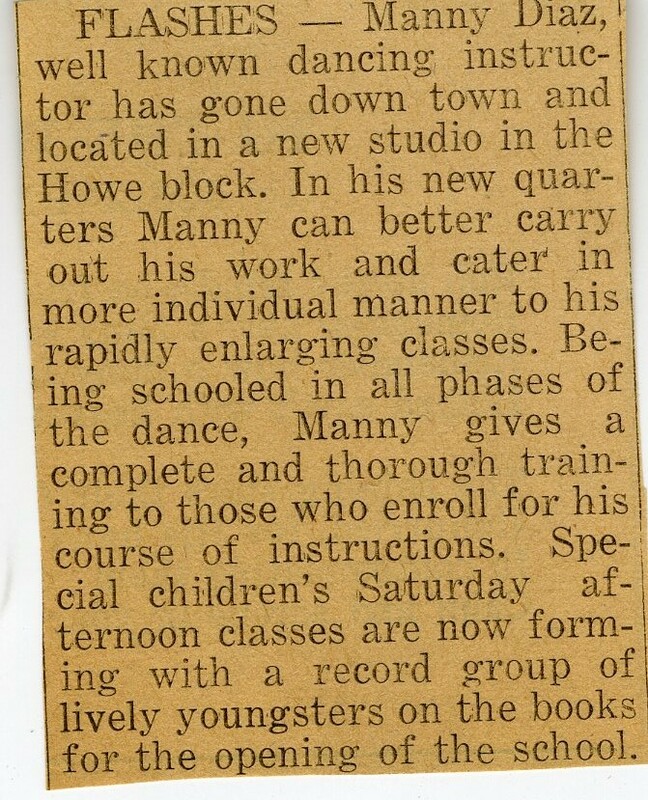 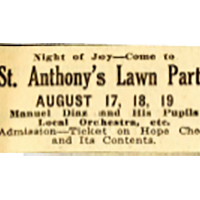 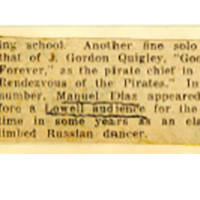 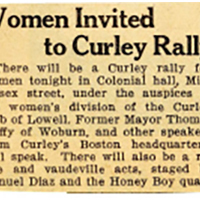 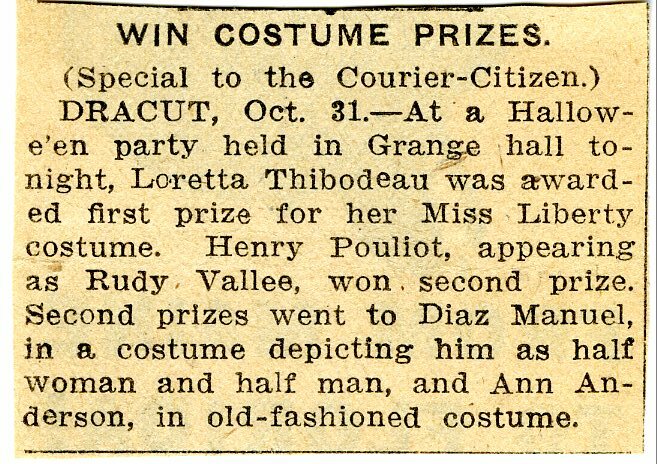 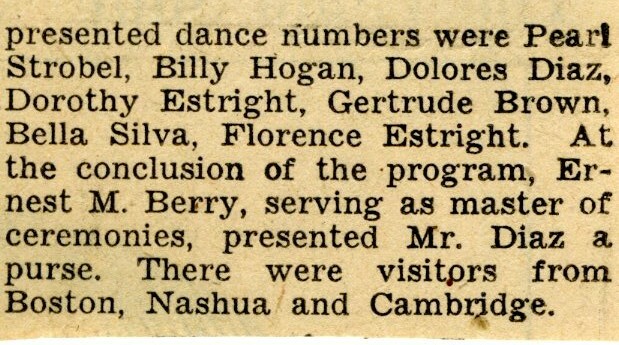 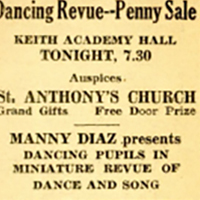 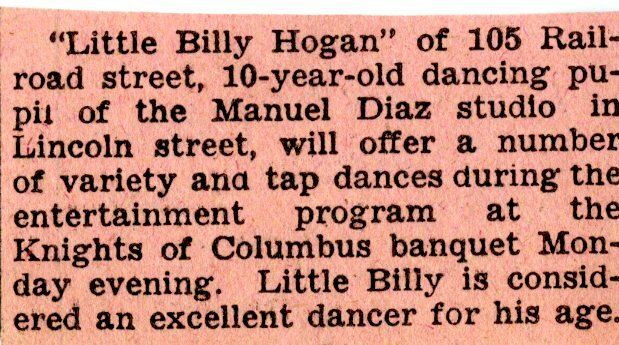 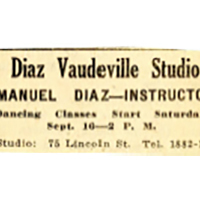 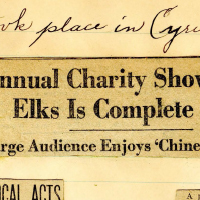 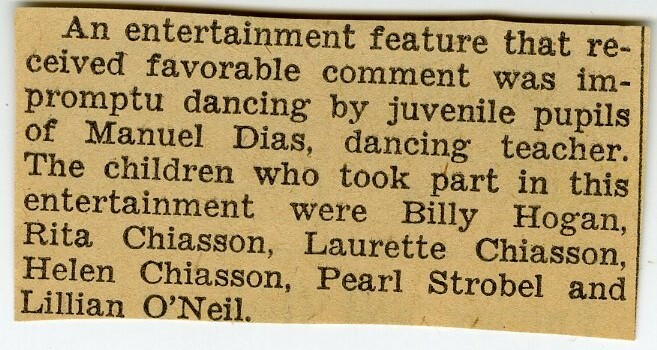 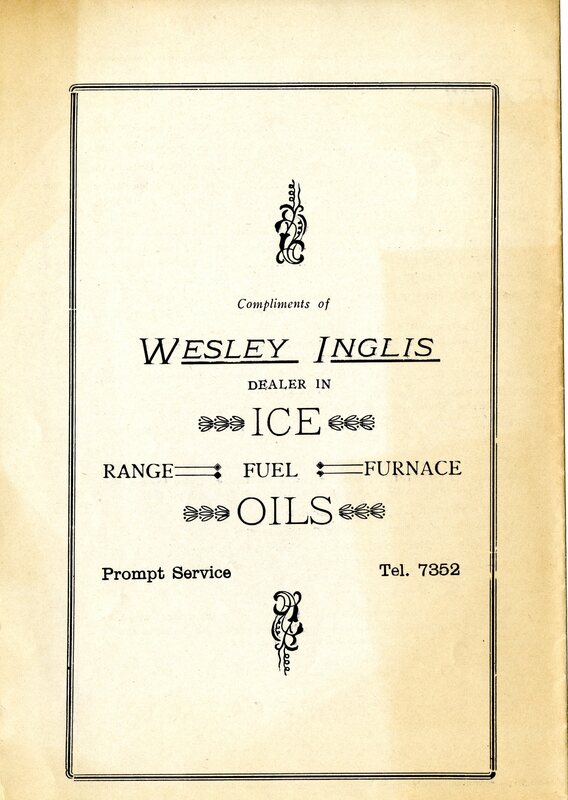 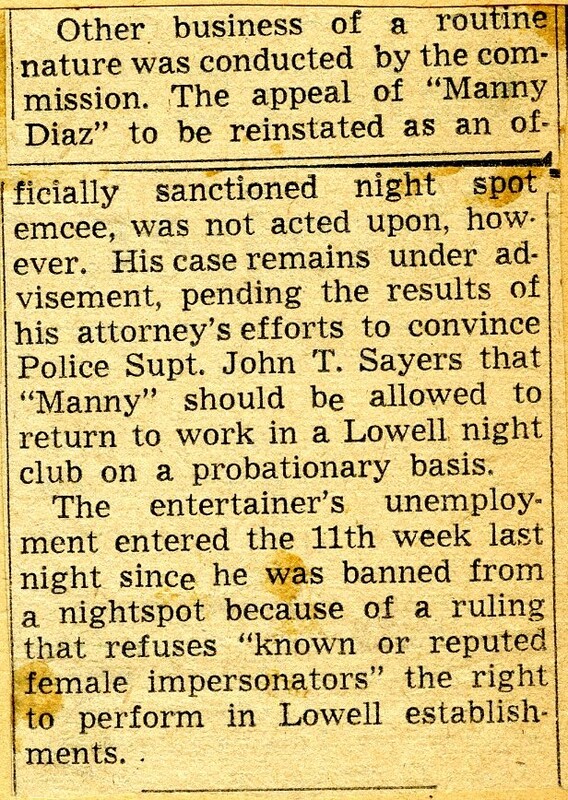 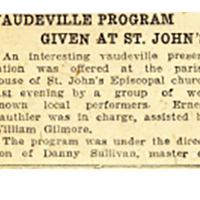 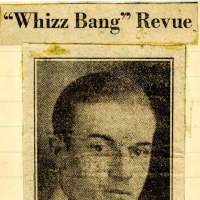 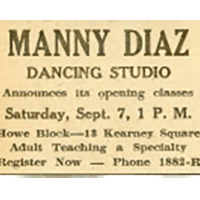 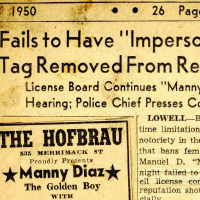 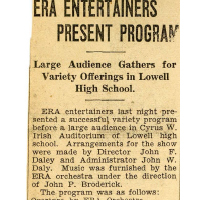 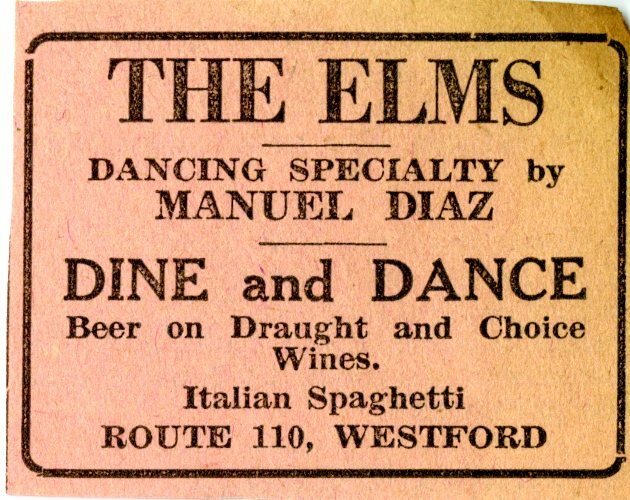 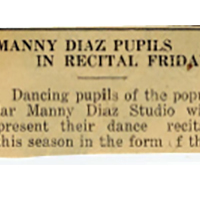 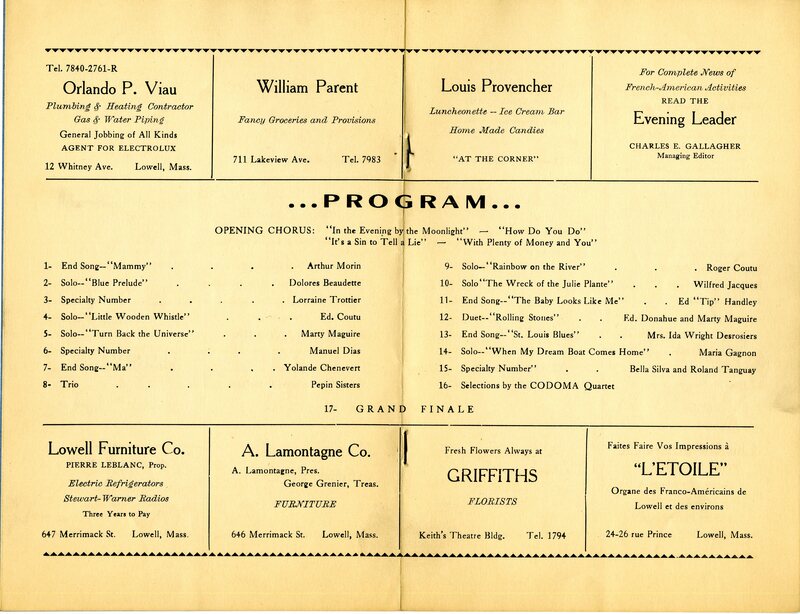 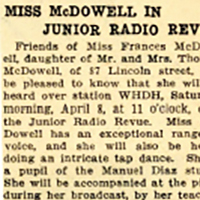 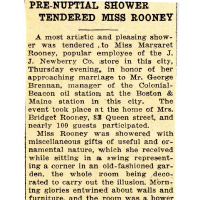 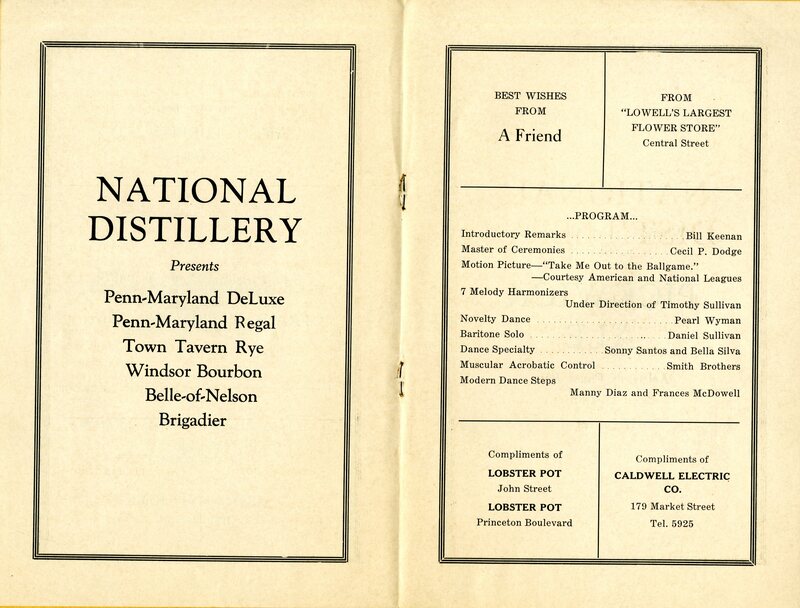 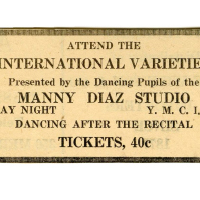 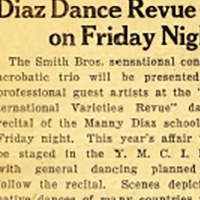 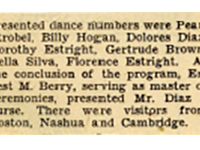 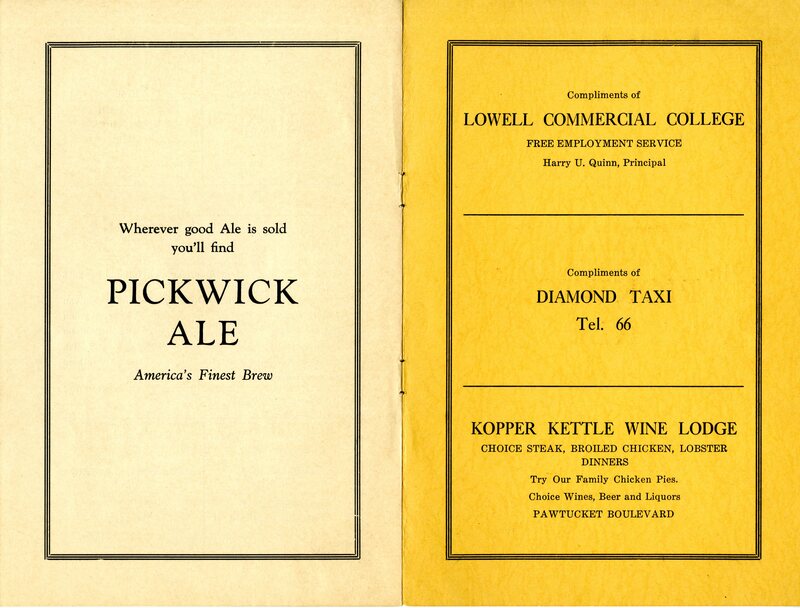 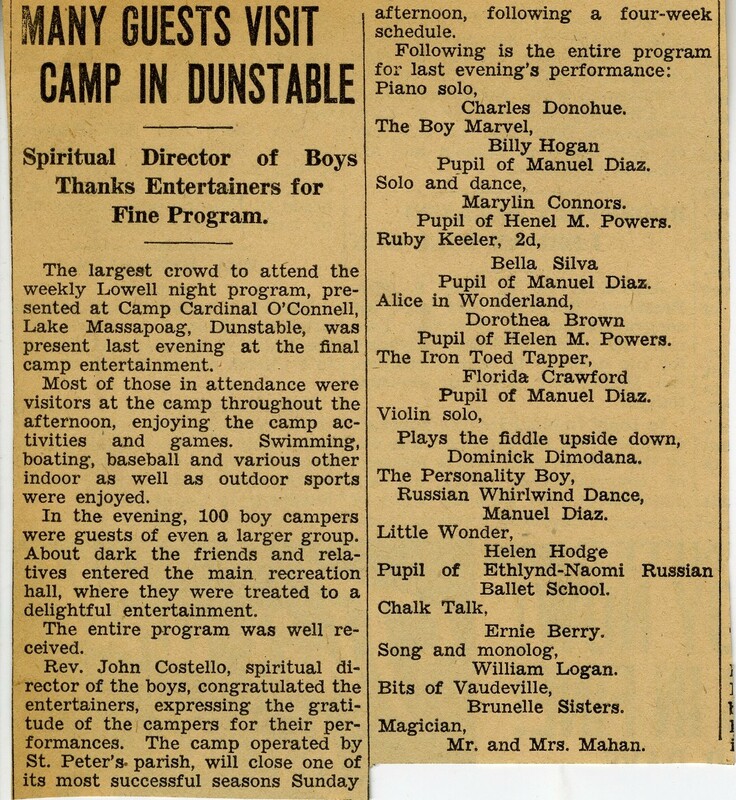 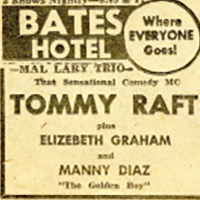 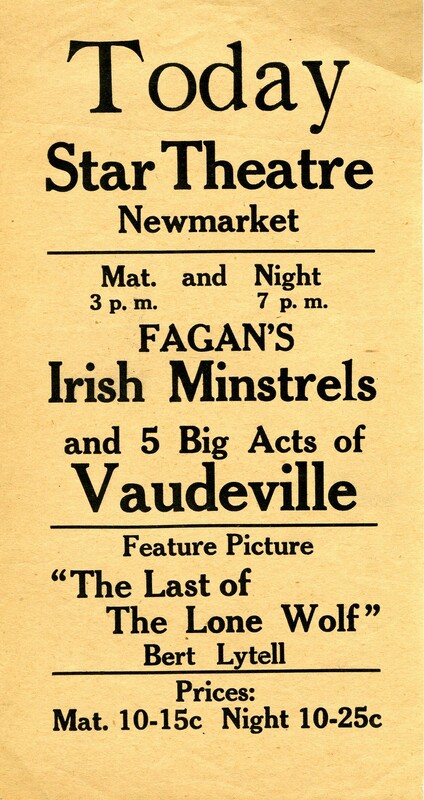 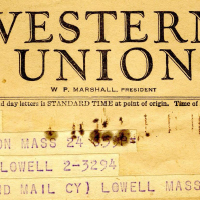 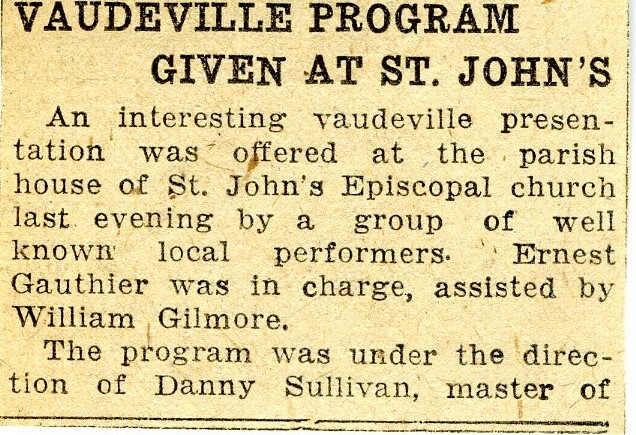 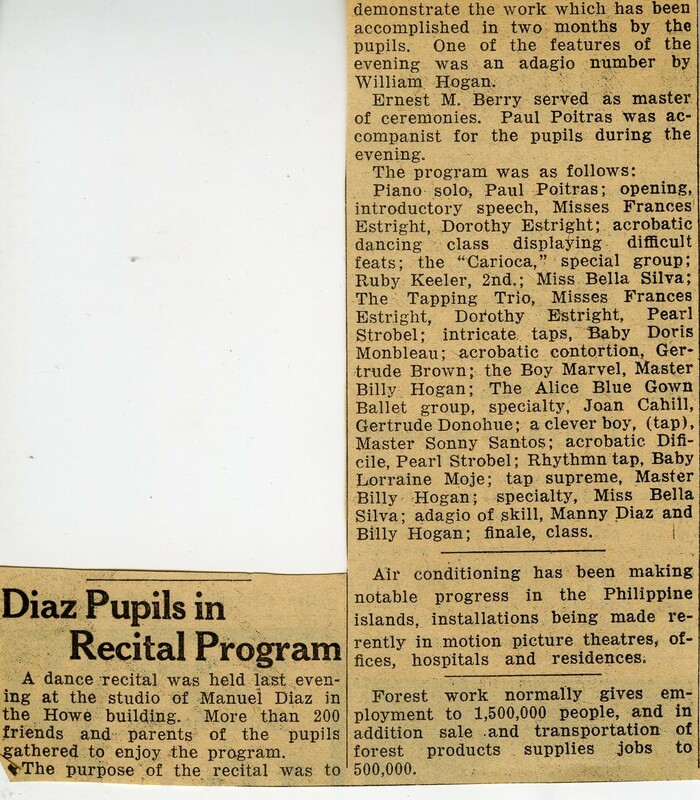 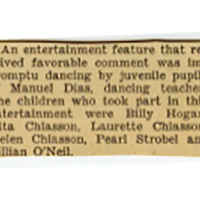 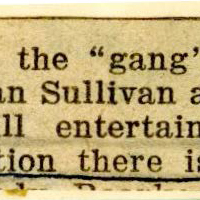 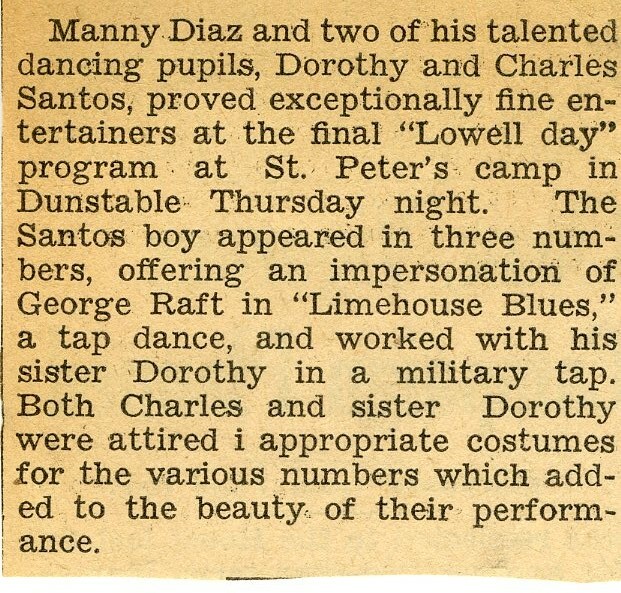 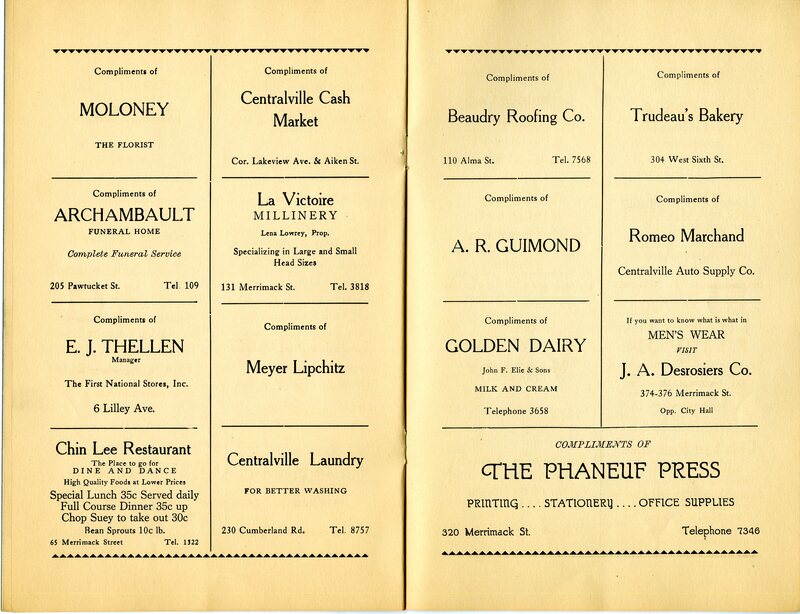 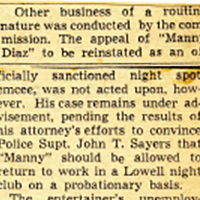 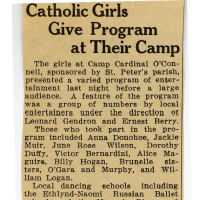 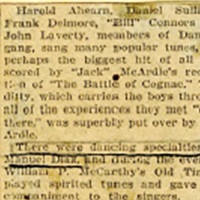 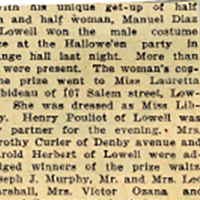 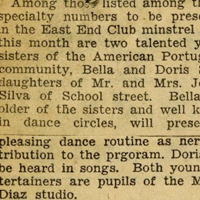 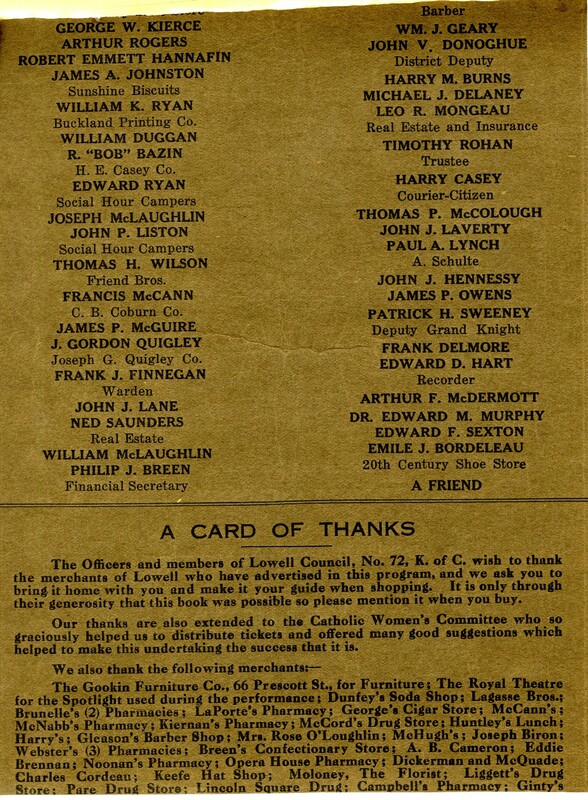 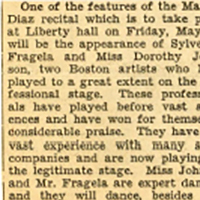 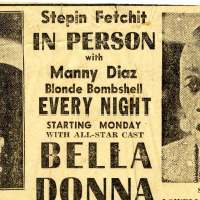 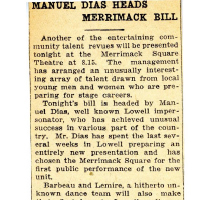 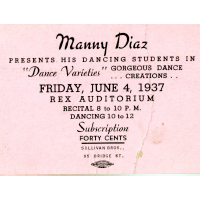 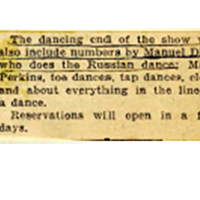 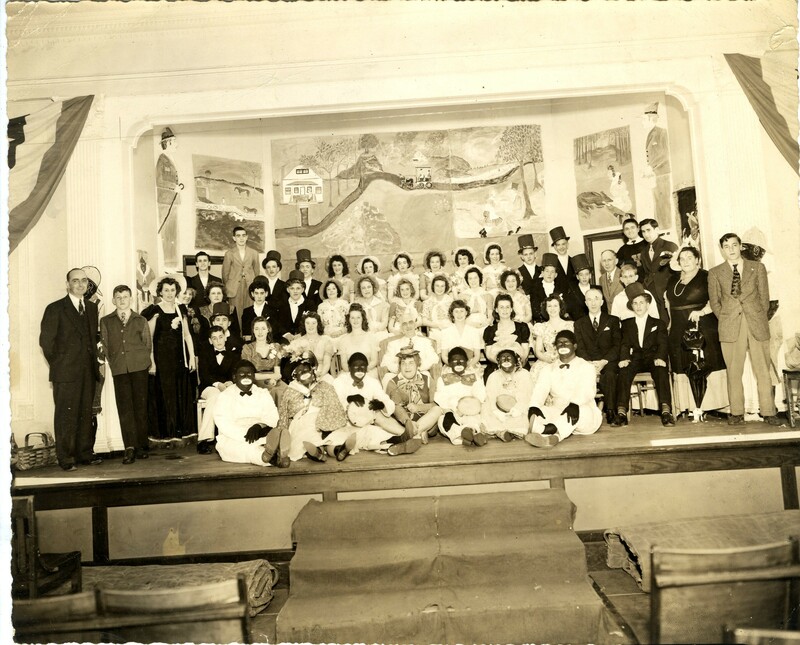 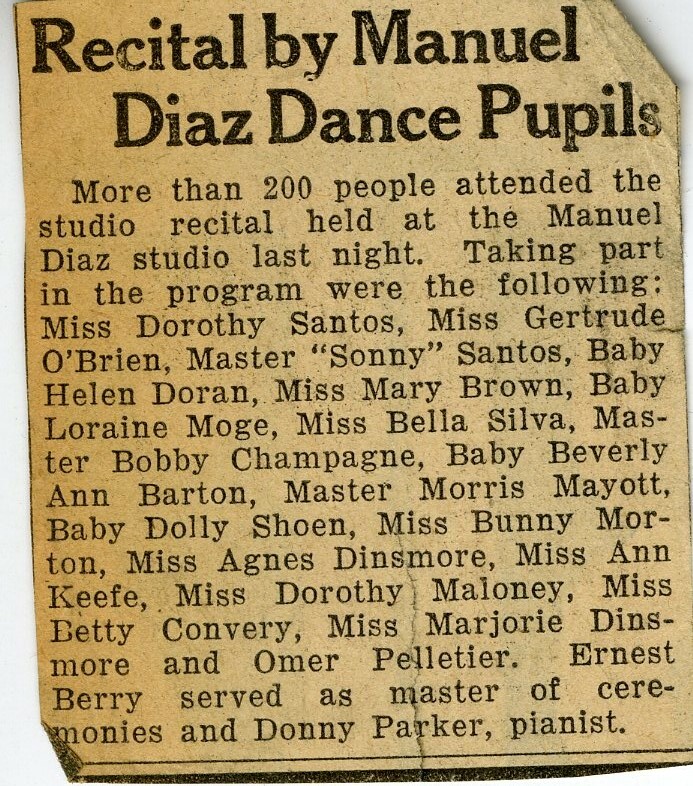 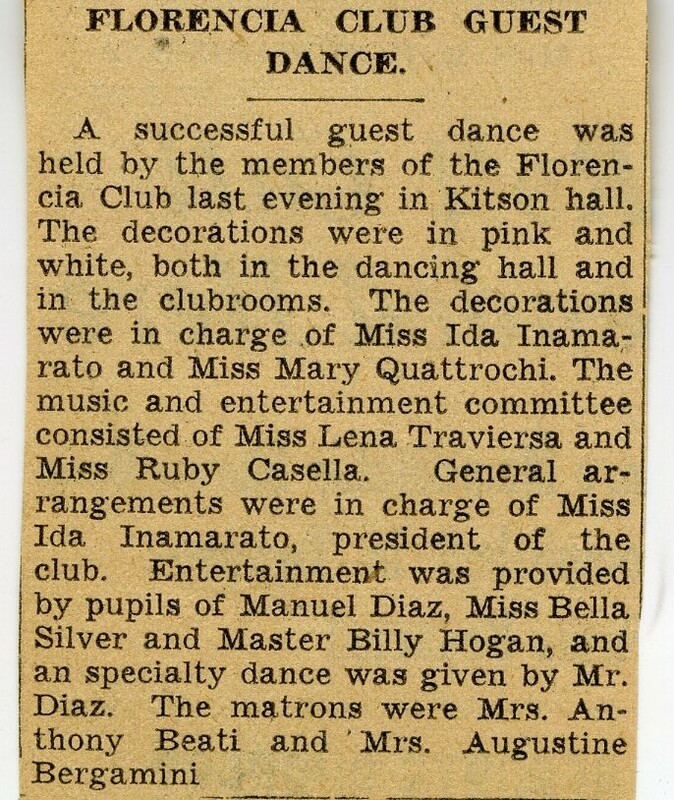 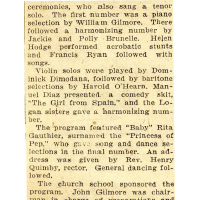 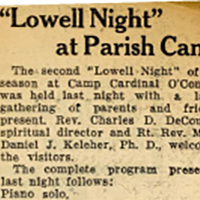 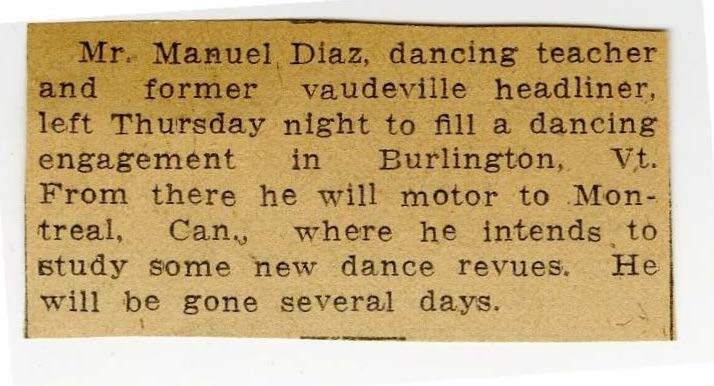 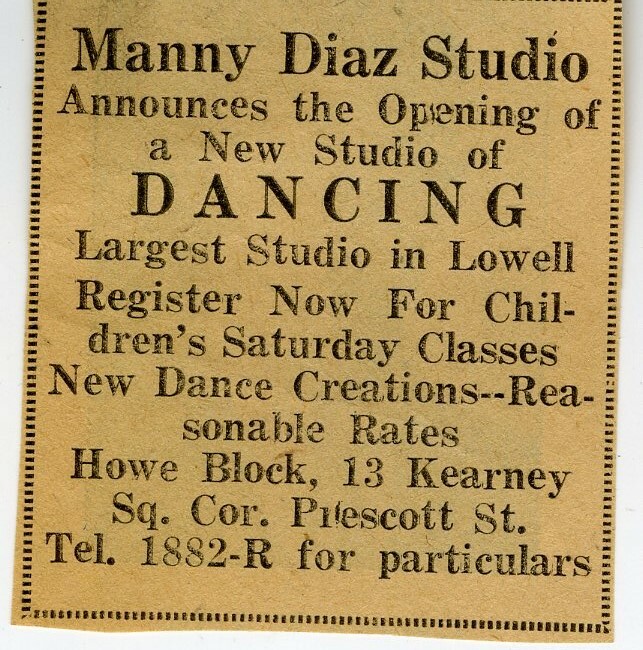 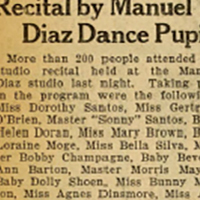 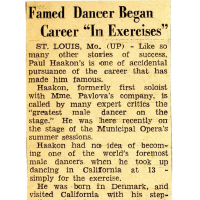 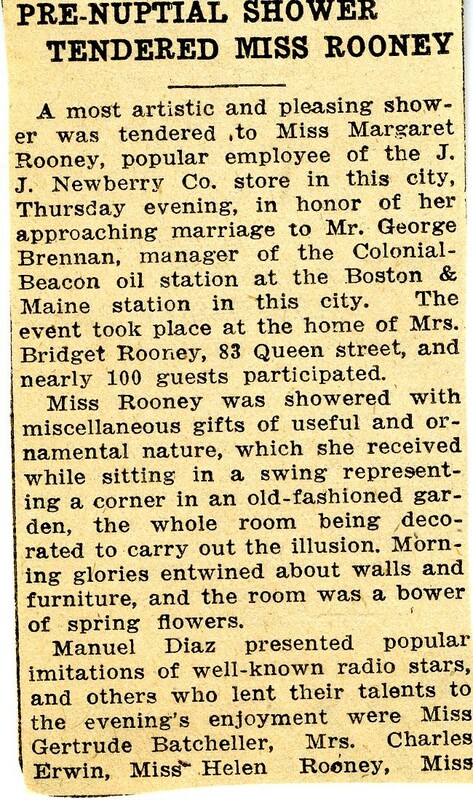 By 1931, Manny had decided to capitalize on his growing name recognition and opened up a dance studio in Lowell’s Mongeau Building across from City Hall. 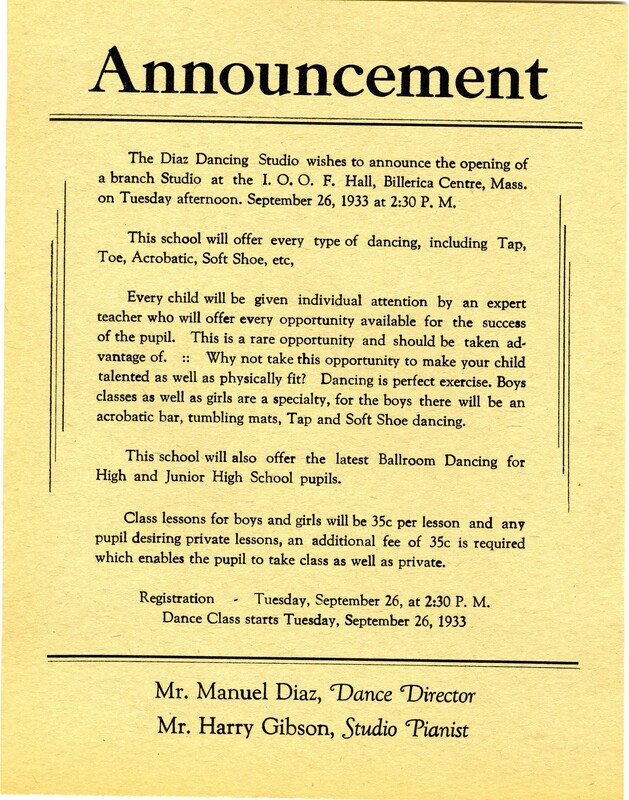 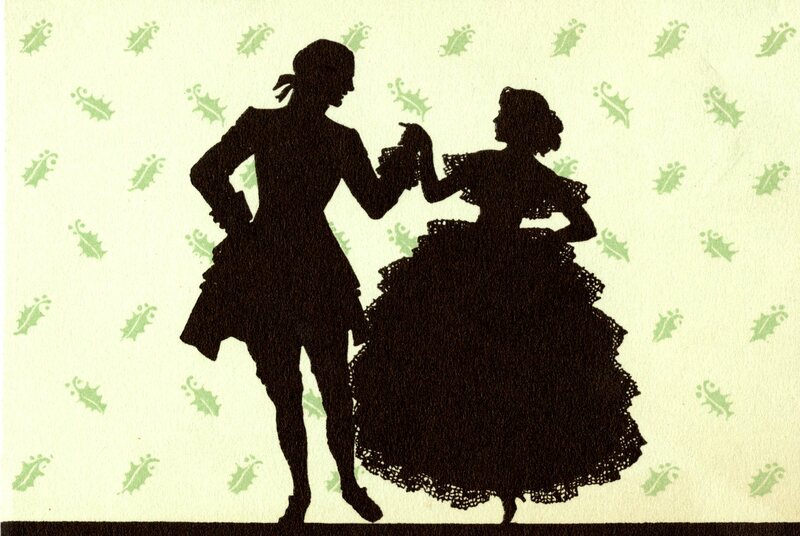 Welcoming both children and adults, the “Studio of Dance Hits” offered lessons in a variety of forms – Acrobatic, Stage, Toe, Adagio, Ballroom, and Soft Shoe. 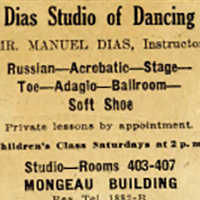 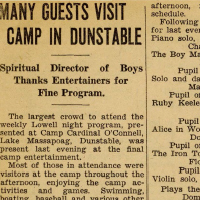 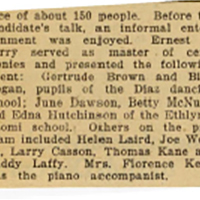 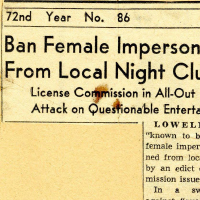 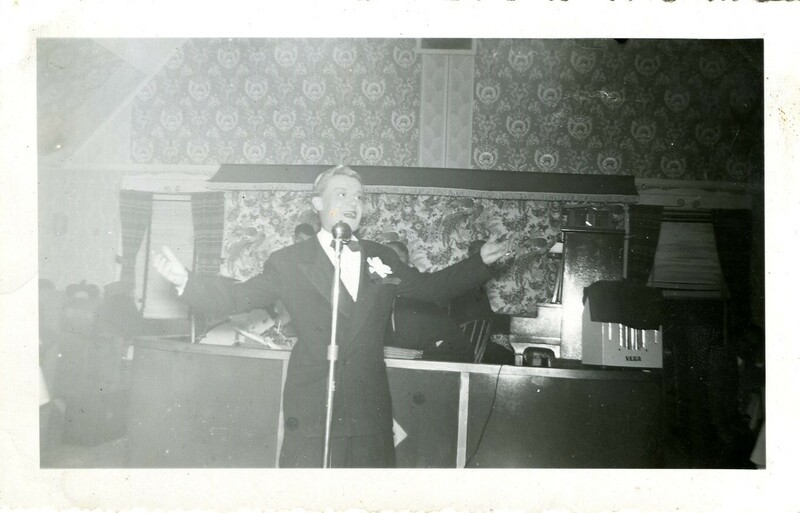 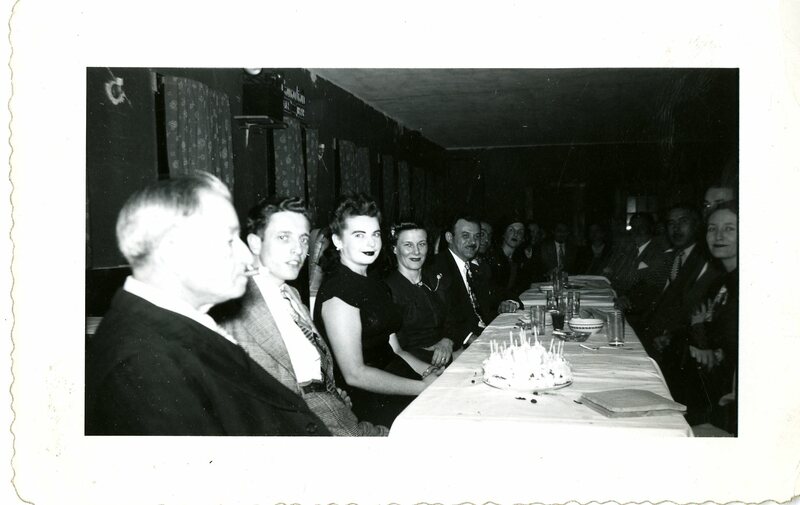 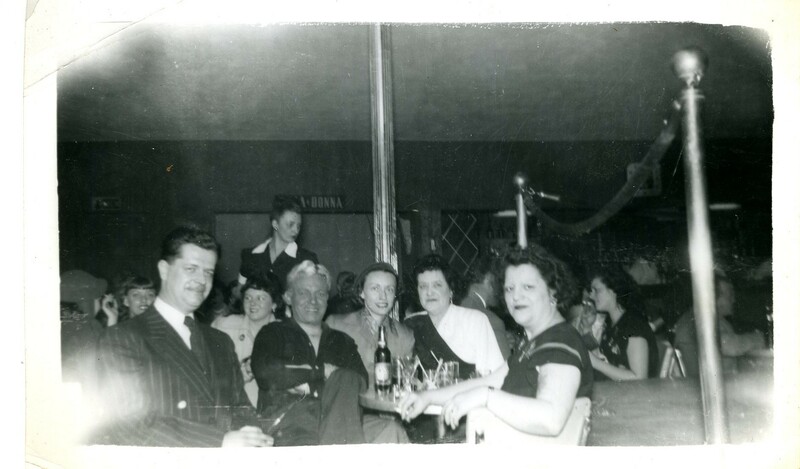 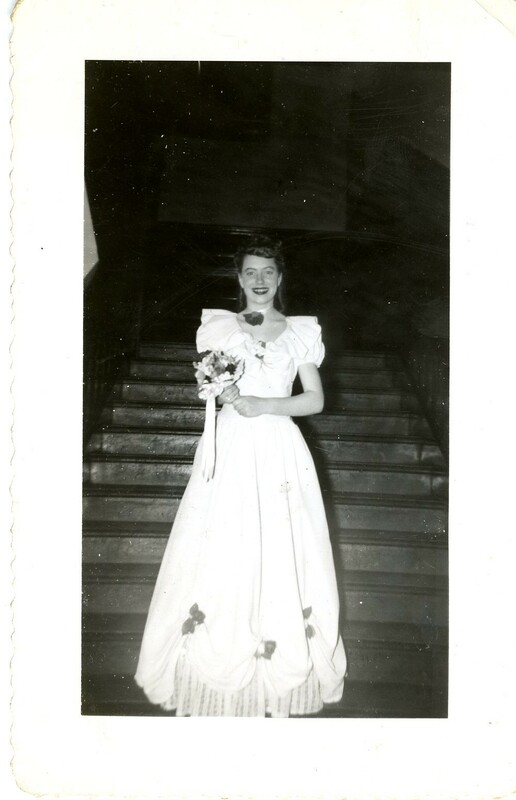 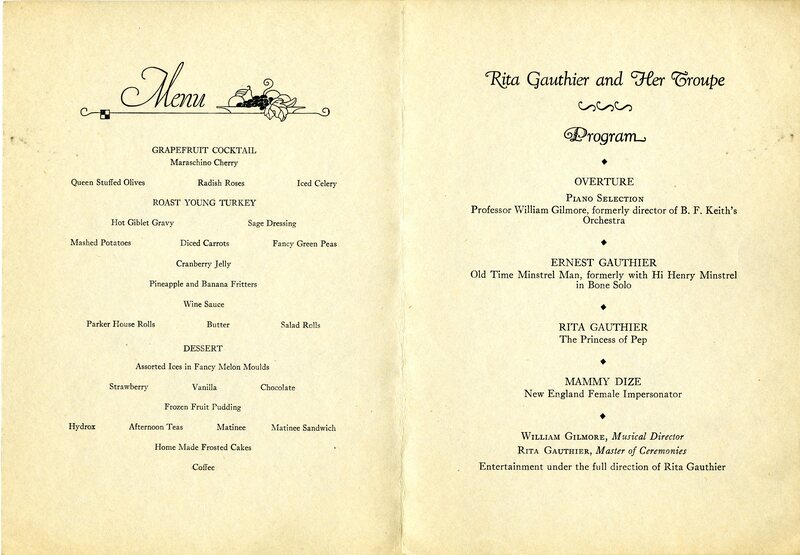 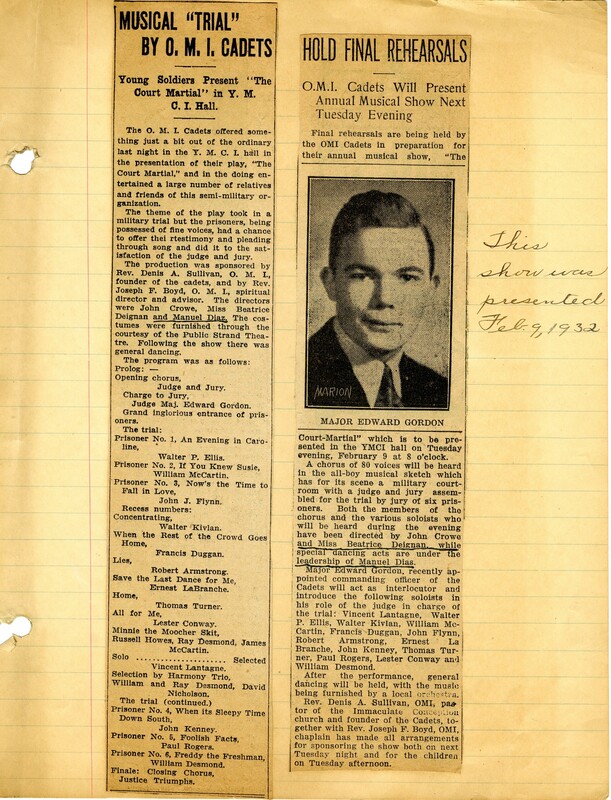 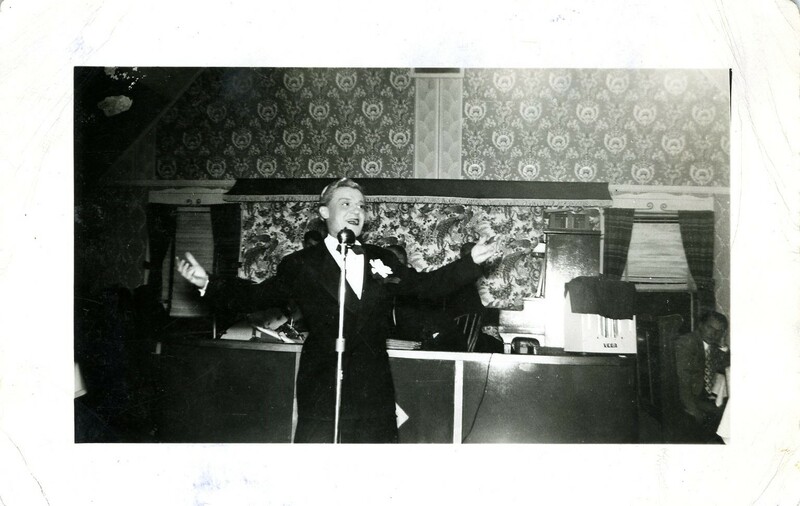 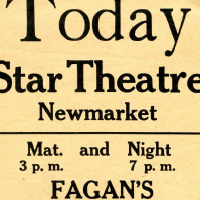 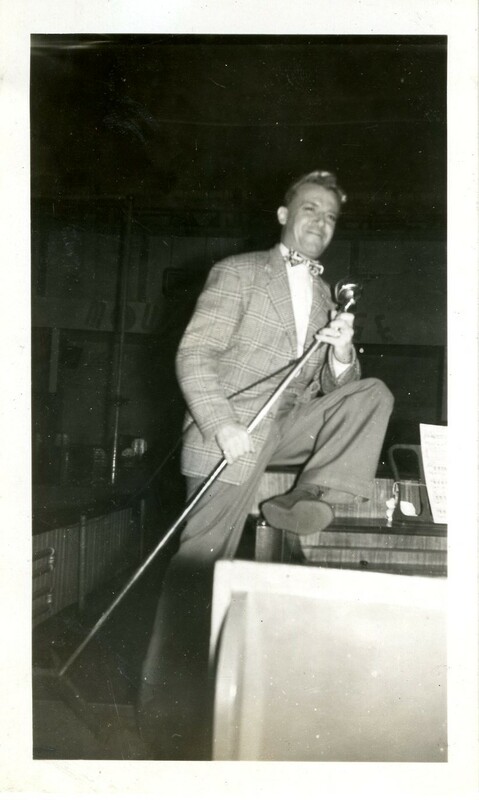 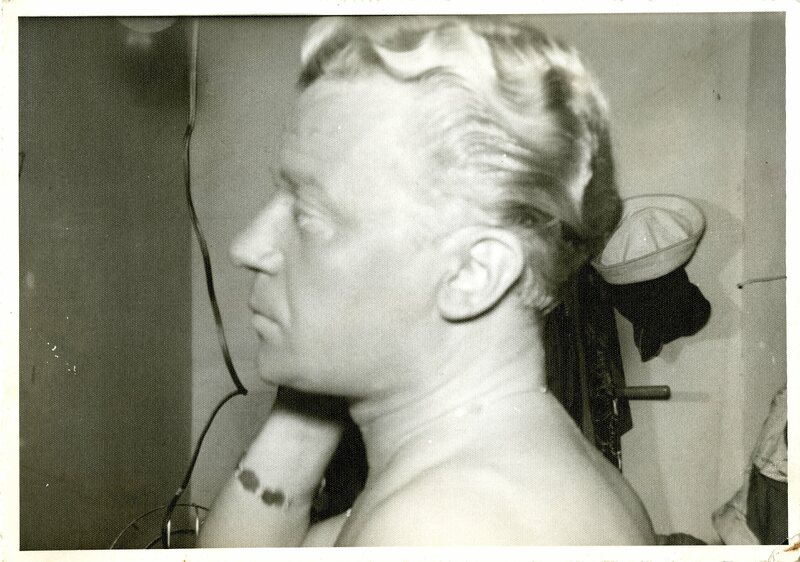 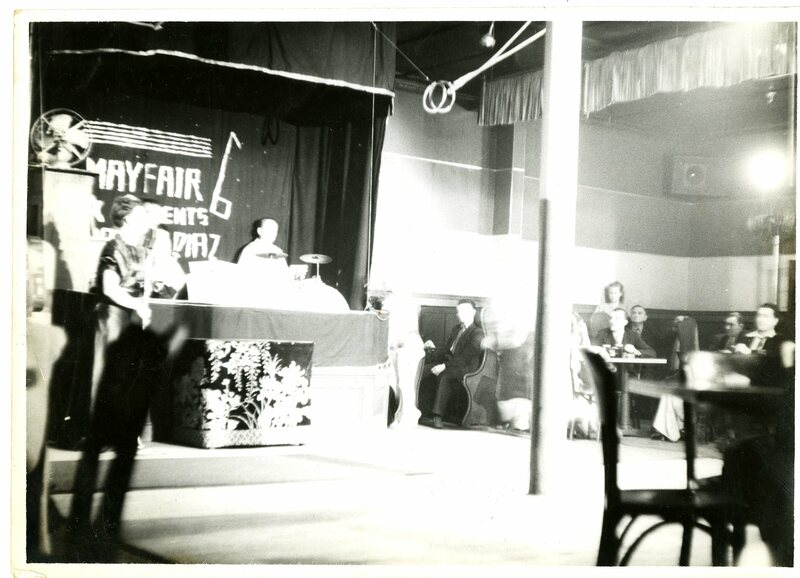 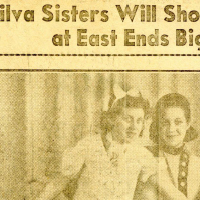 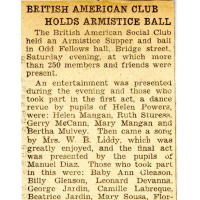 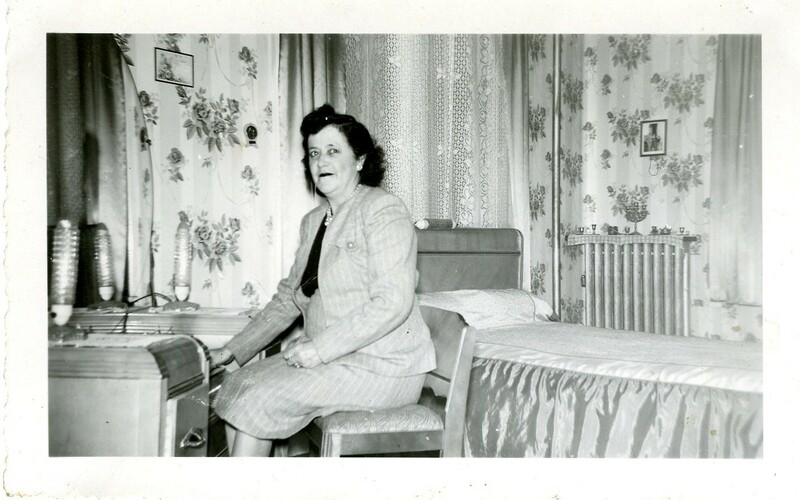 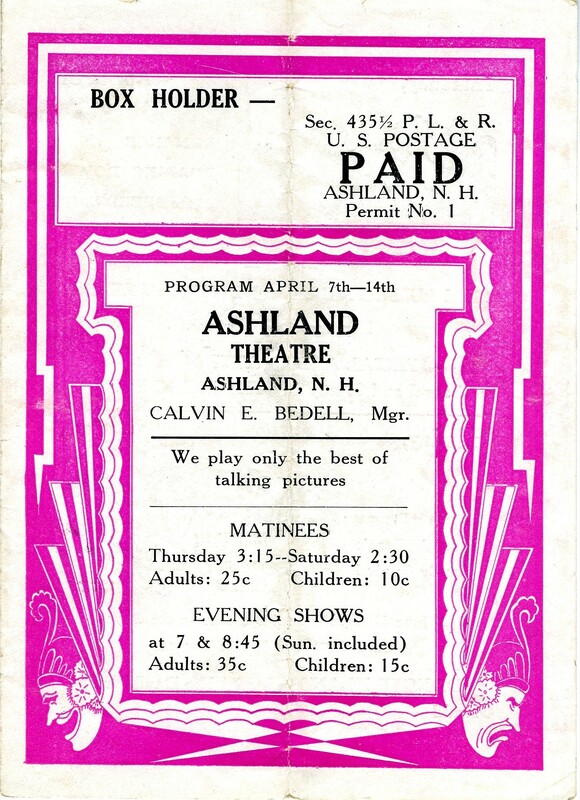 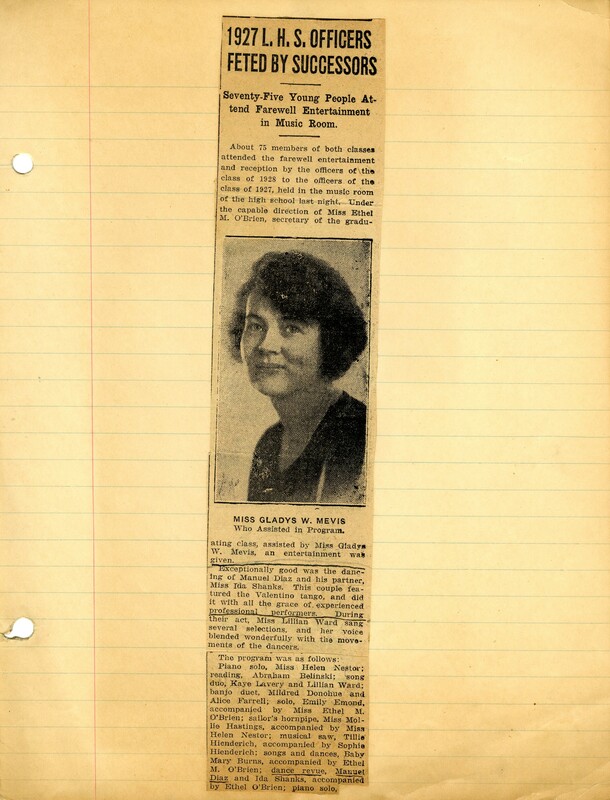 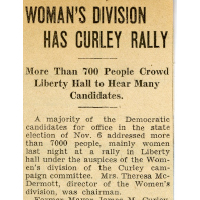 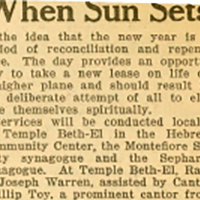 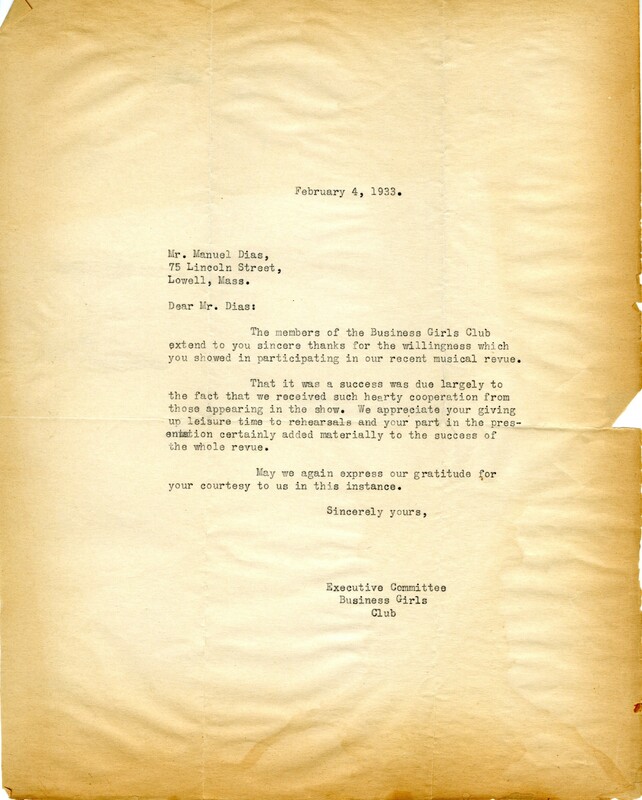 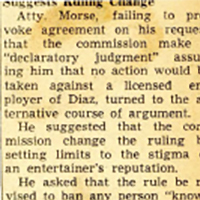 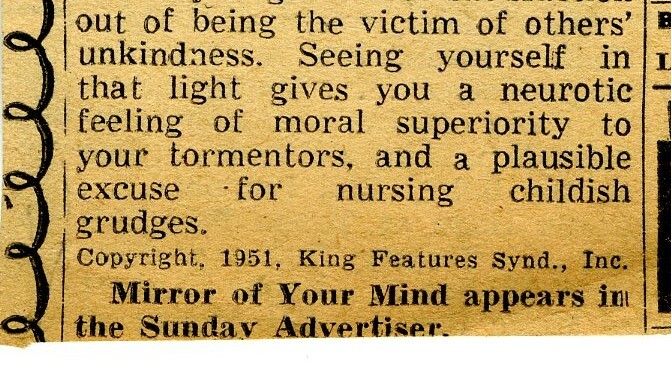 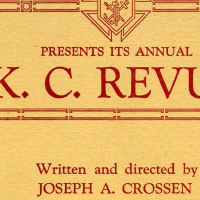 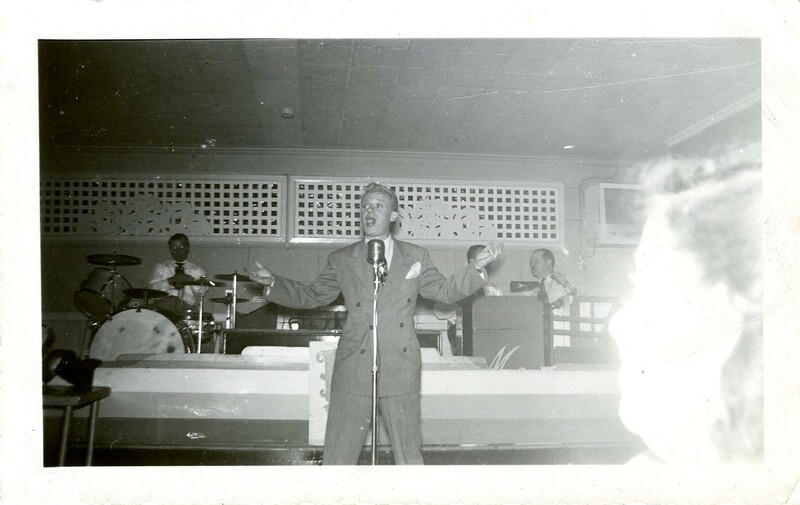 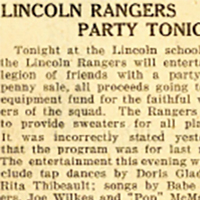 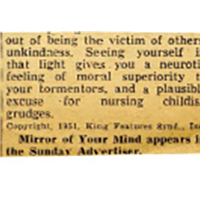 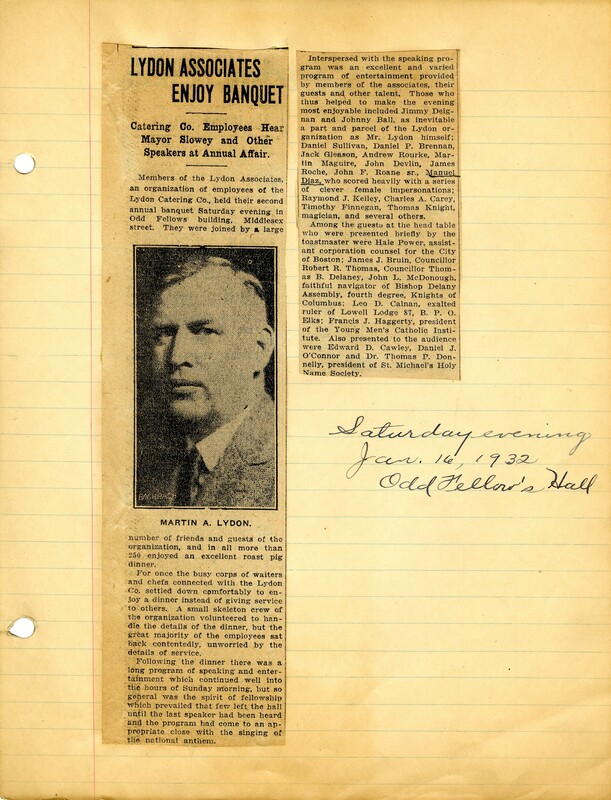 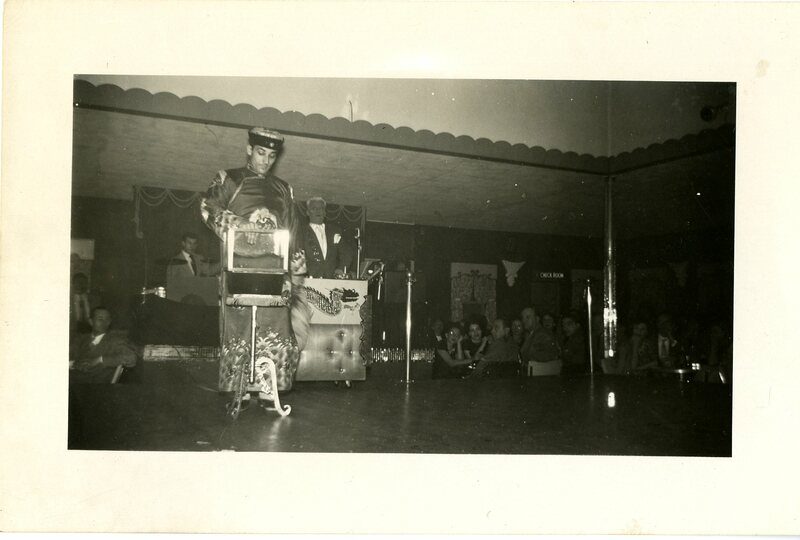 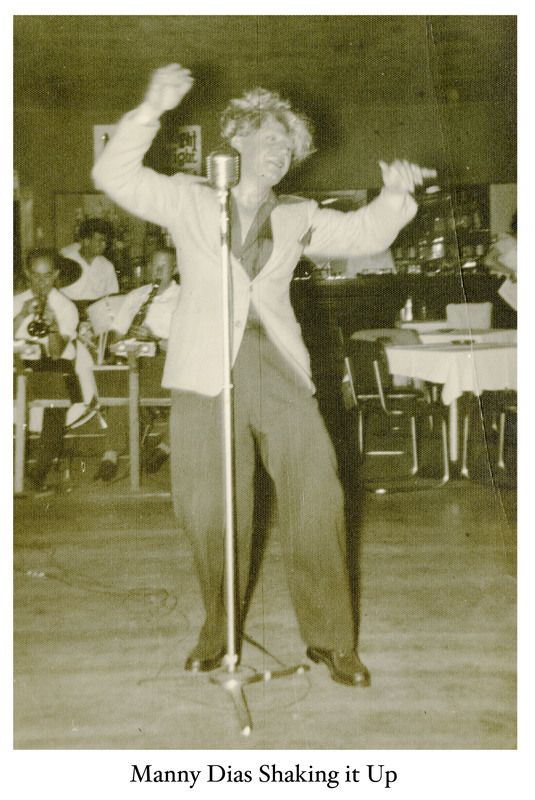 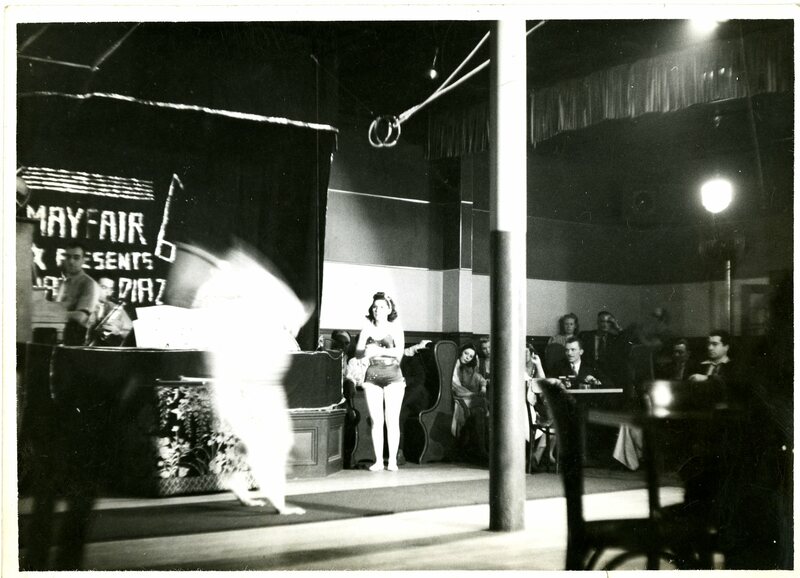 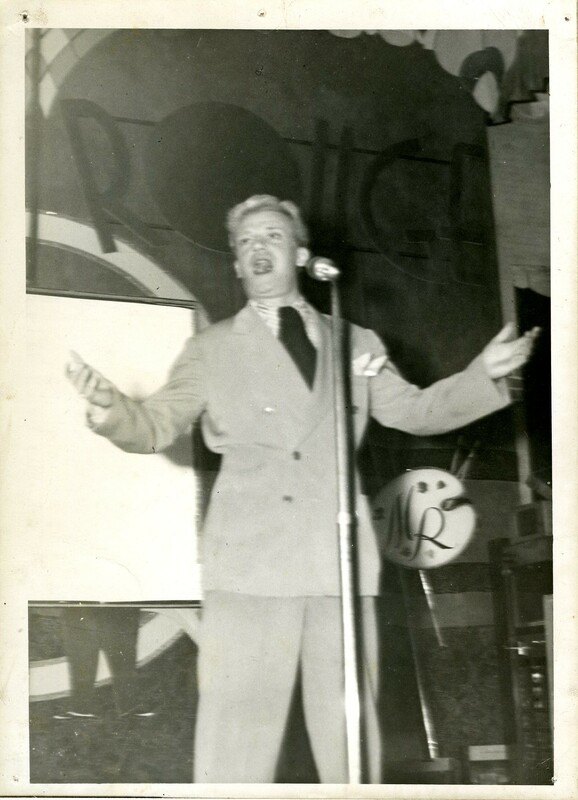 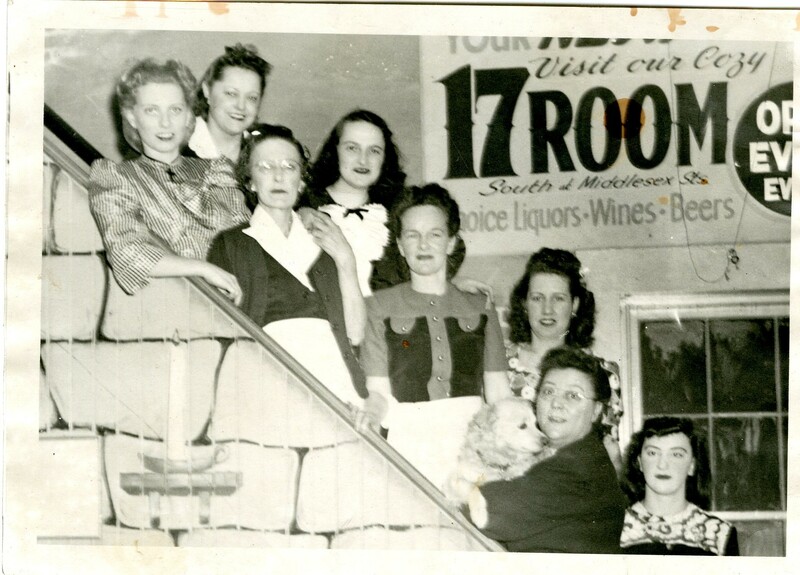 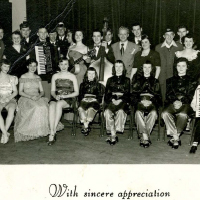 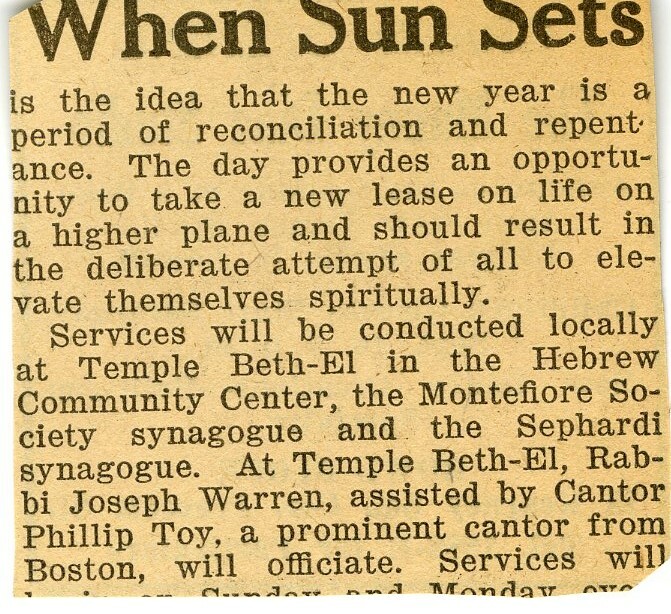 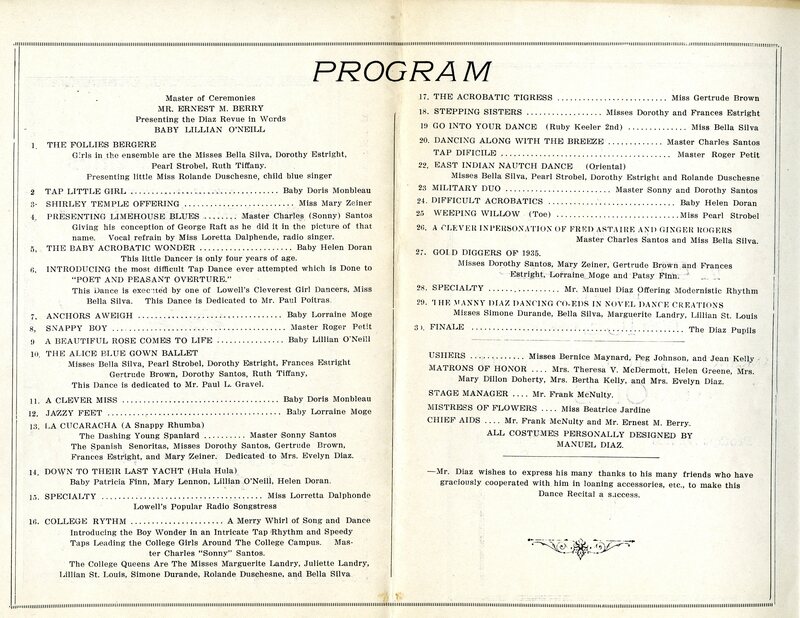 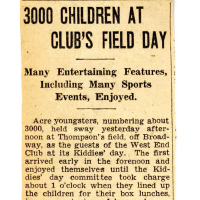 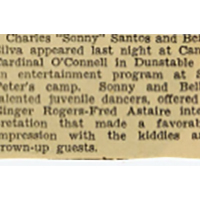 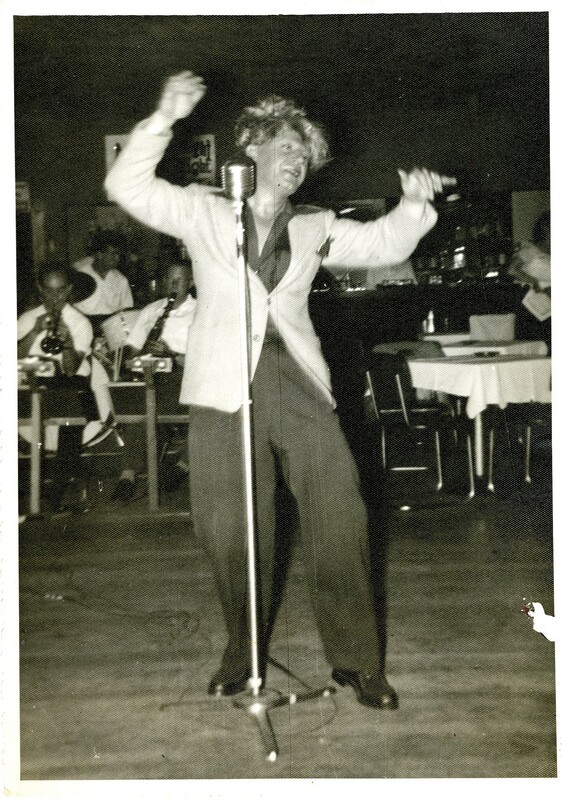 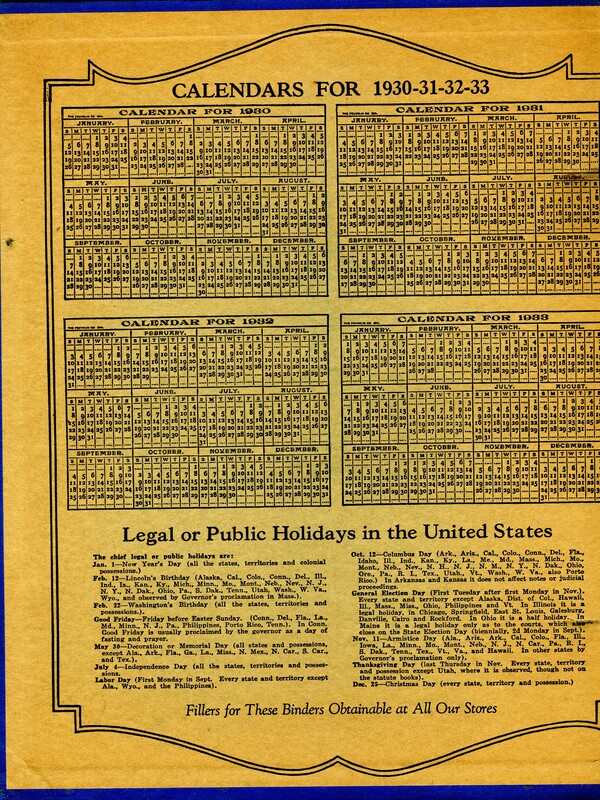 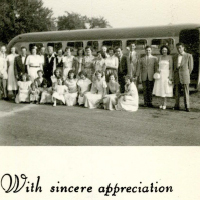 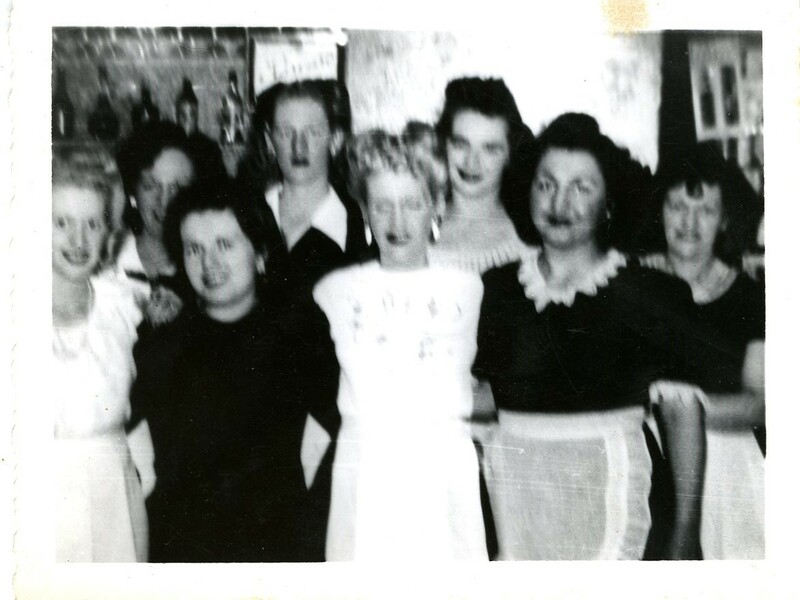 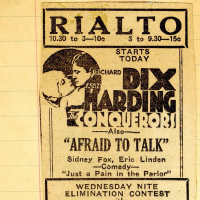 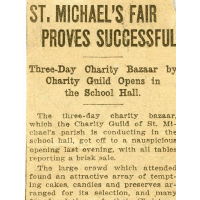 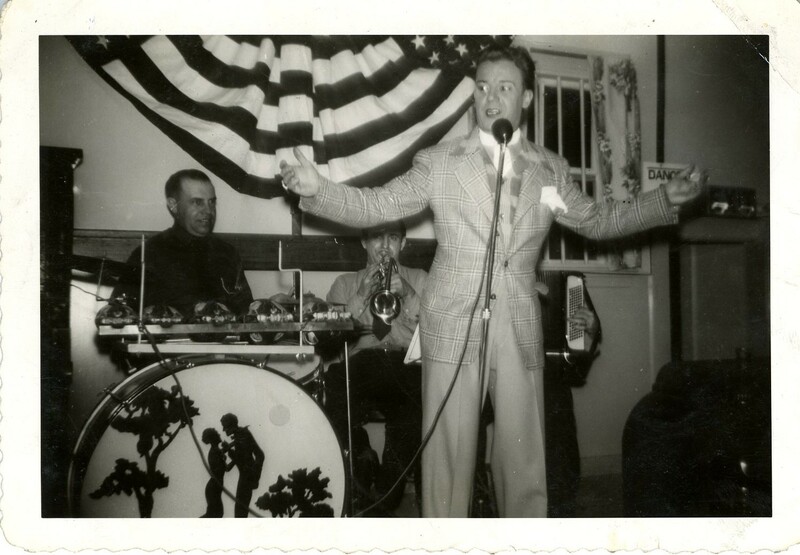 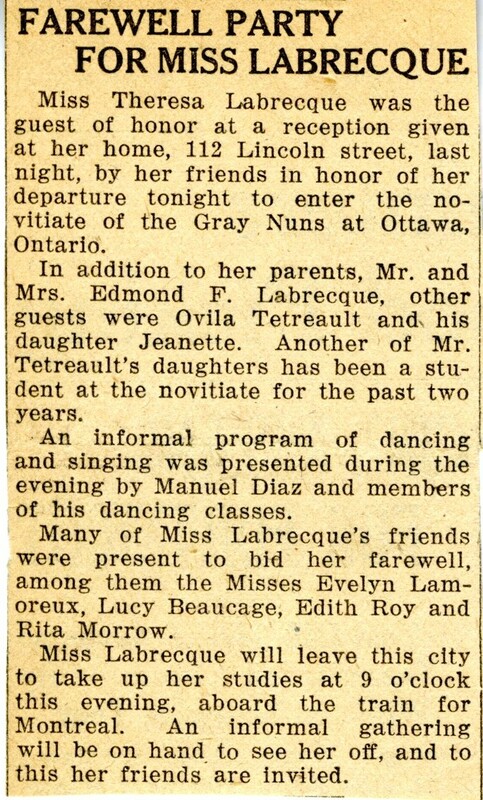 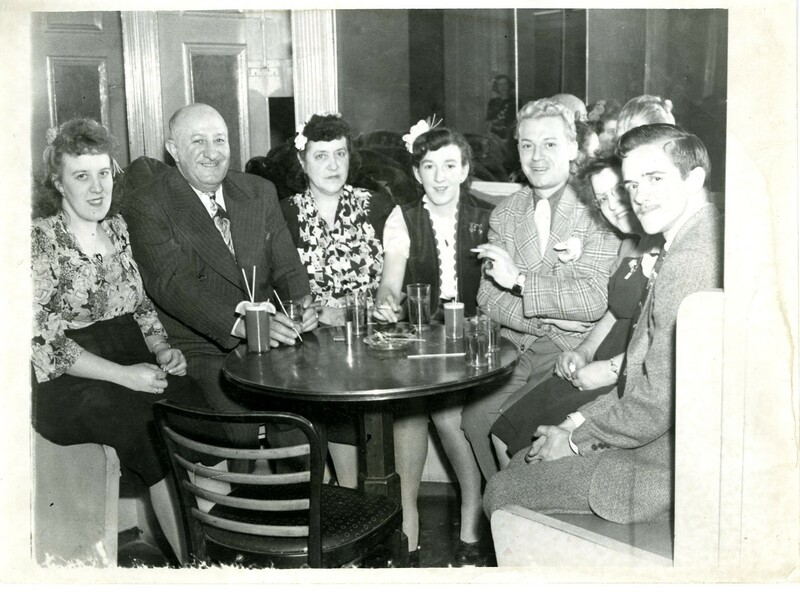 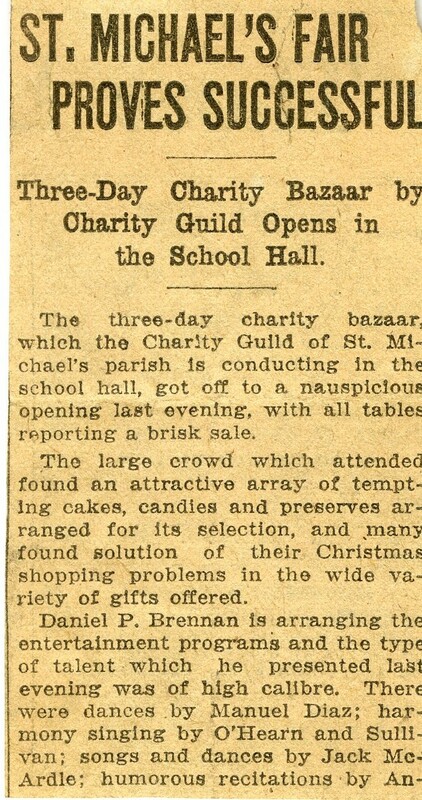 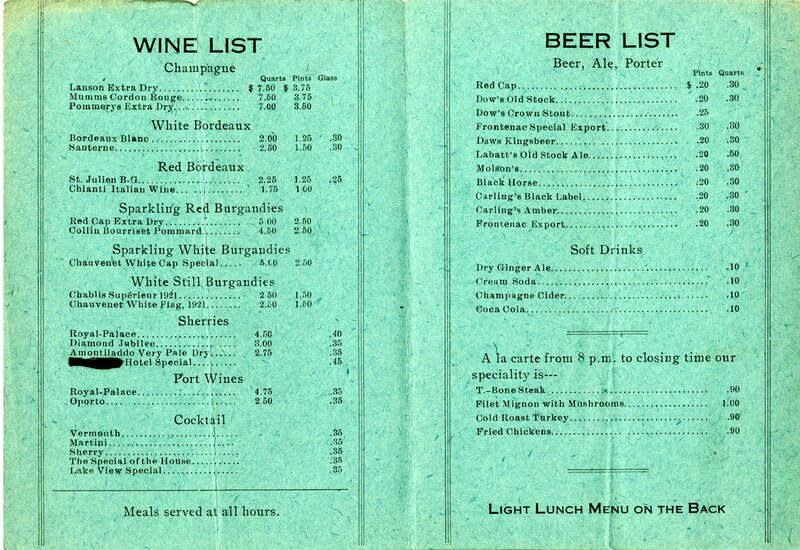 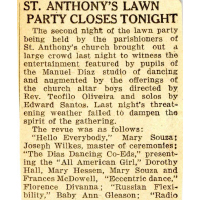 Health-conscious Dias even ran a “reducing class for women.” Within three years he had moved to a larger space at the Howe Building which could accommodate over 200 people and again moved over to the even bigger Rex Ballroom by 1938. 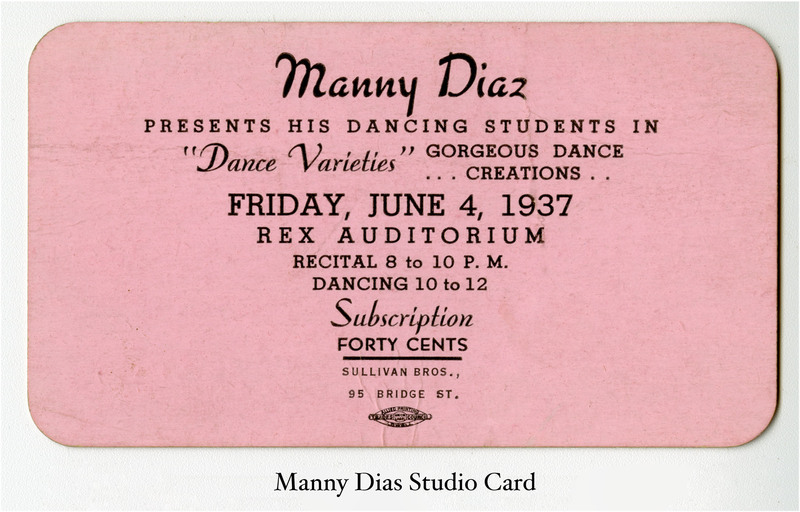 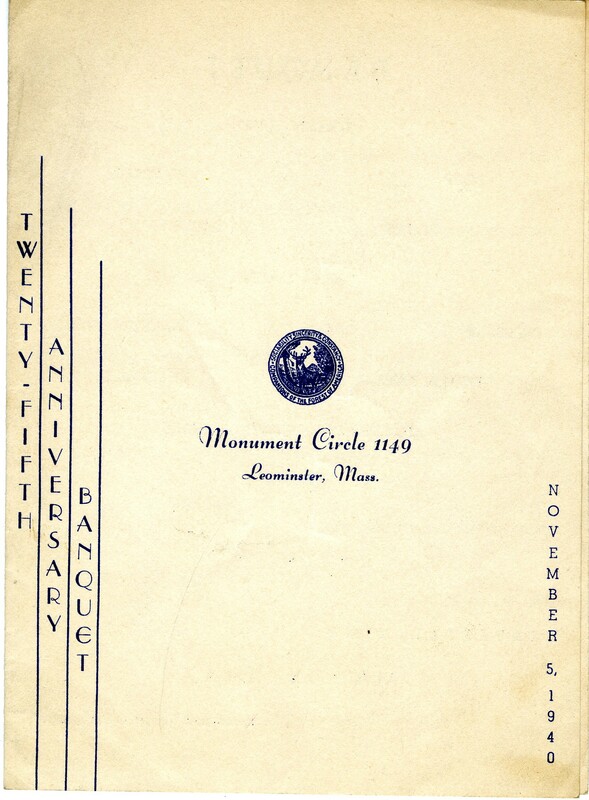 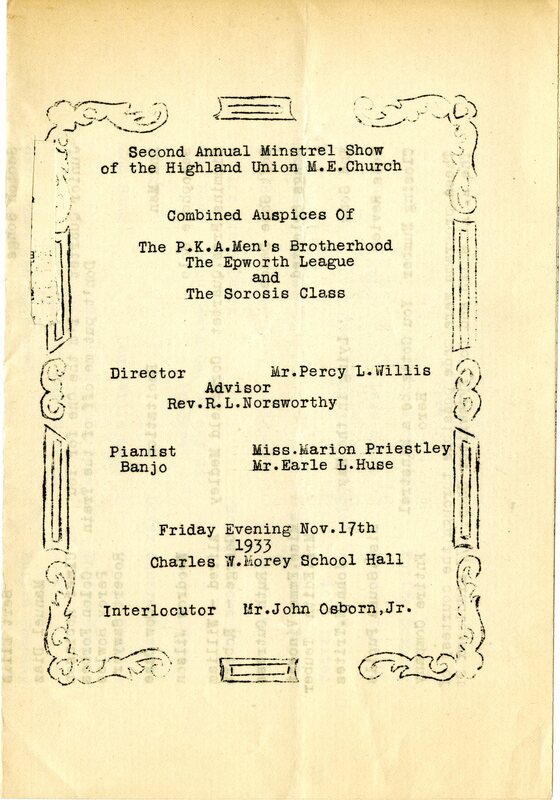 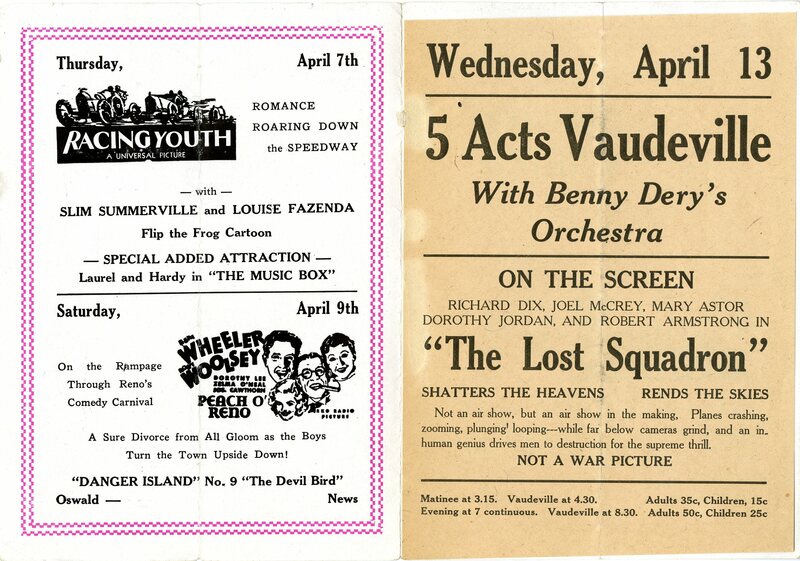 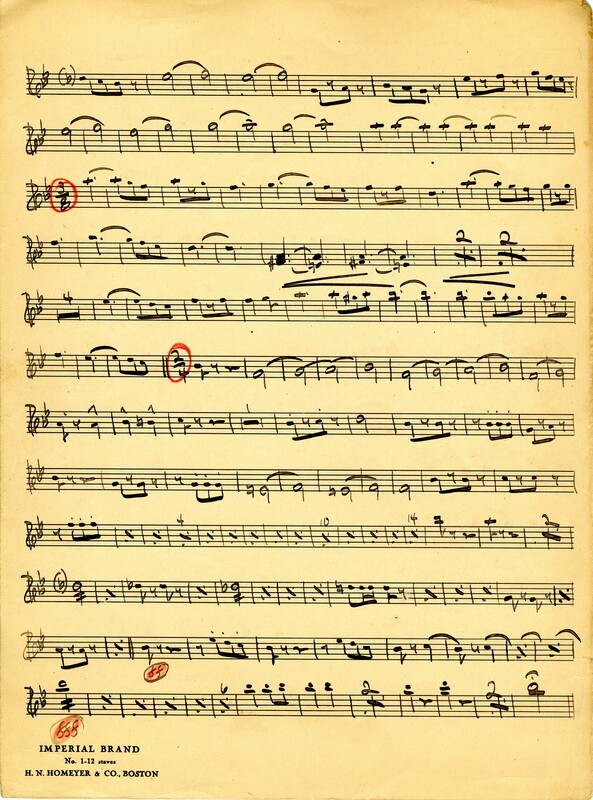 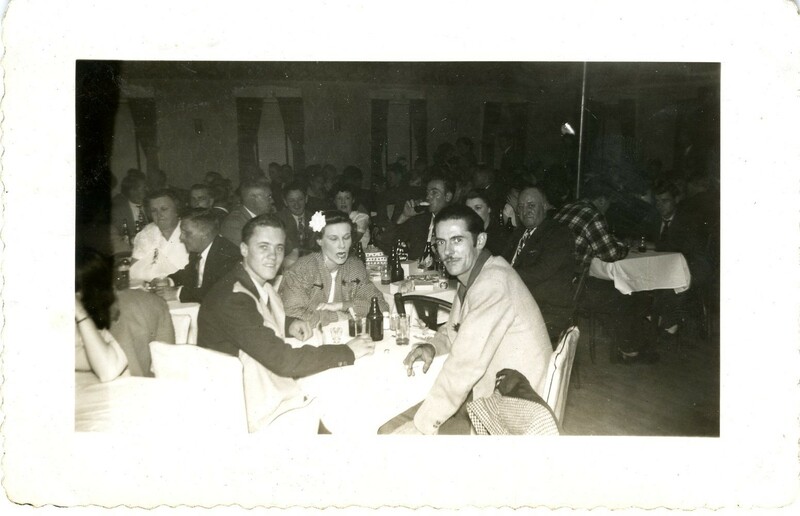 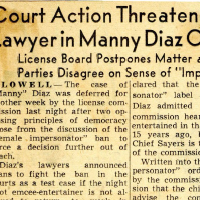 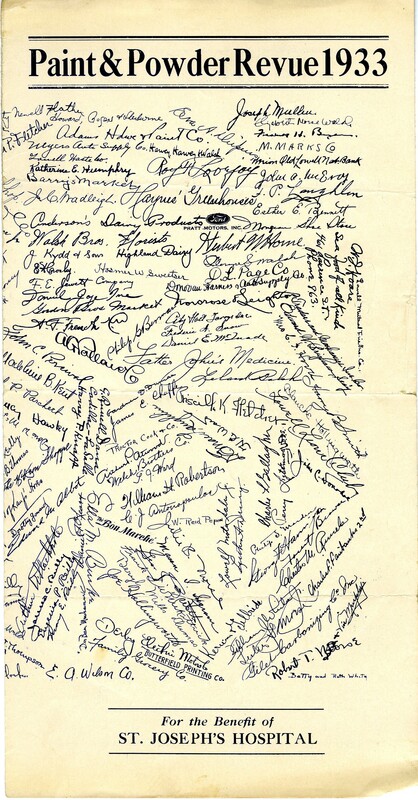 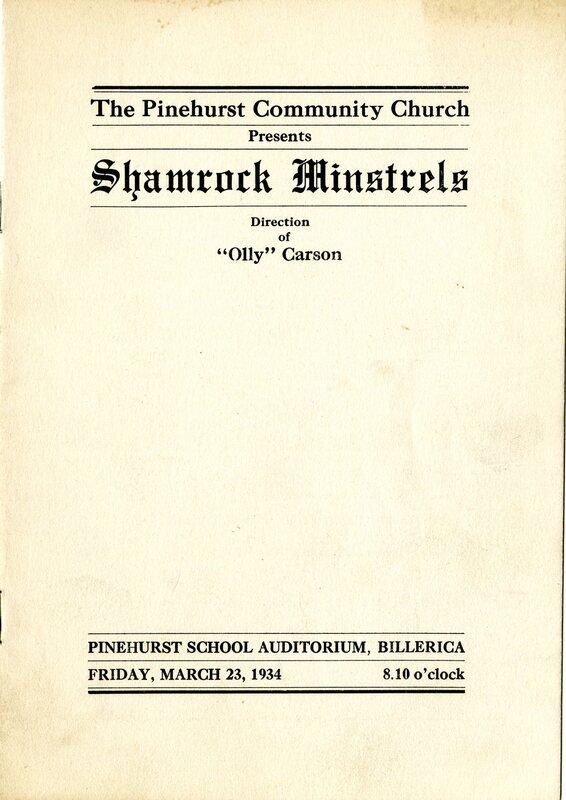 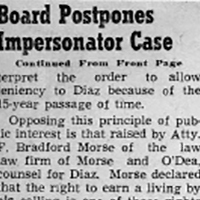 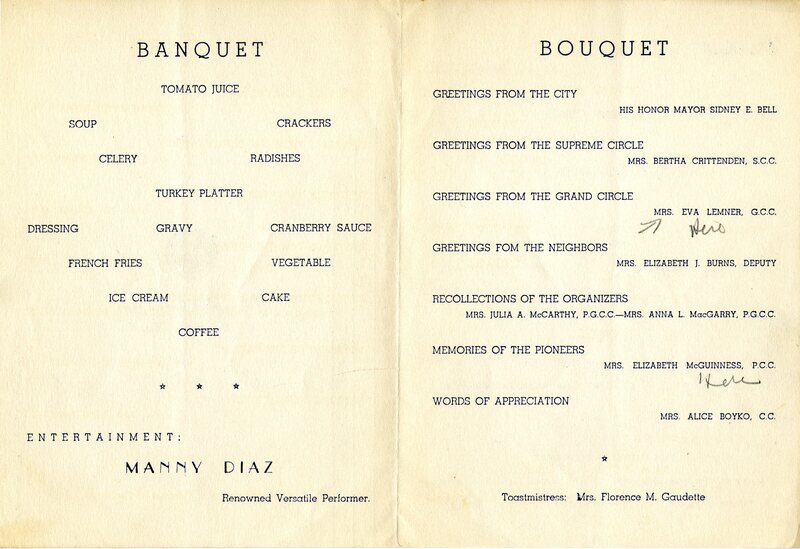 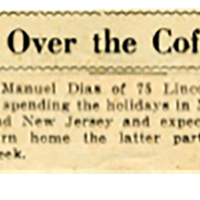 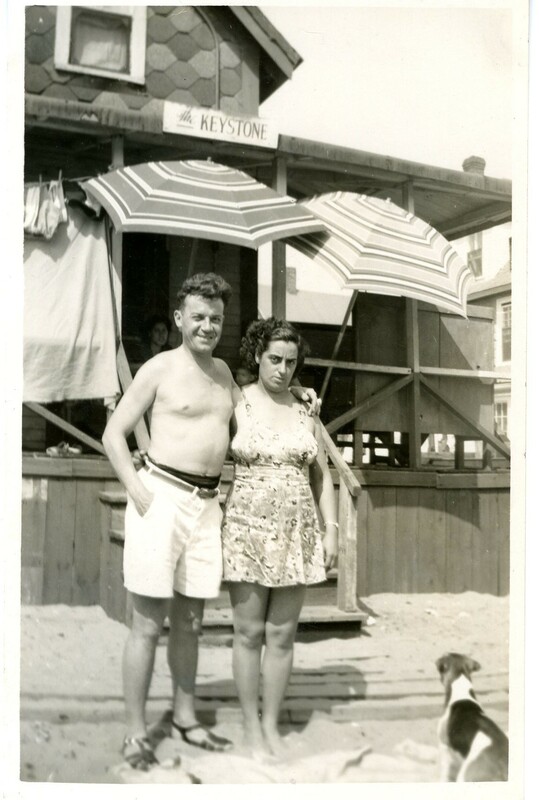 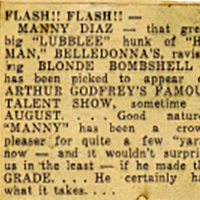 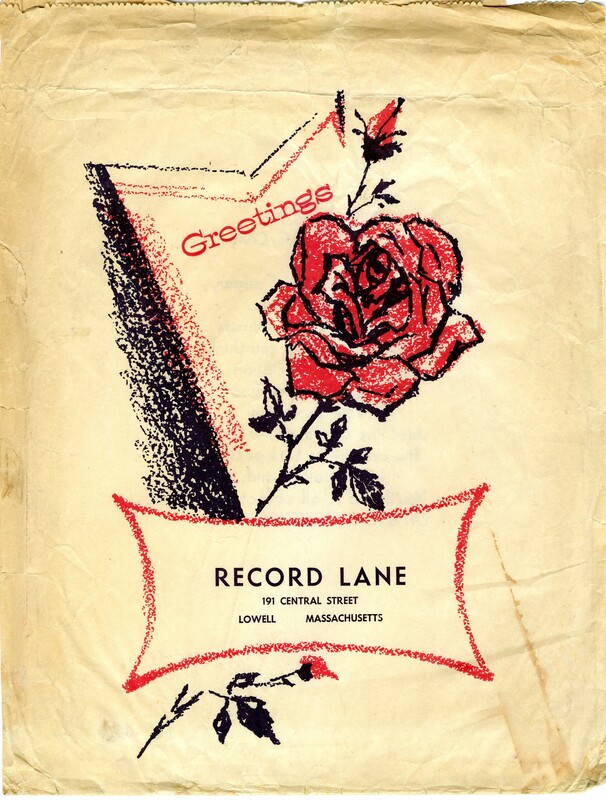 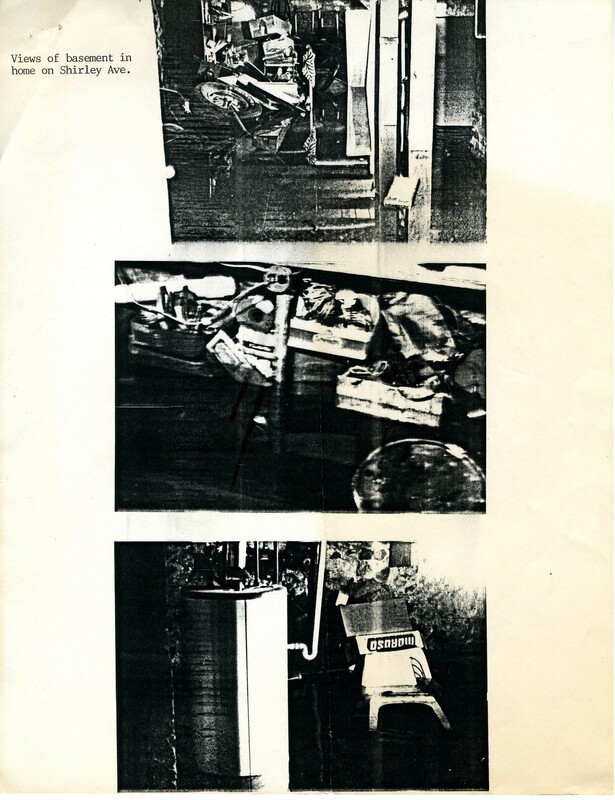 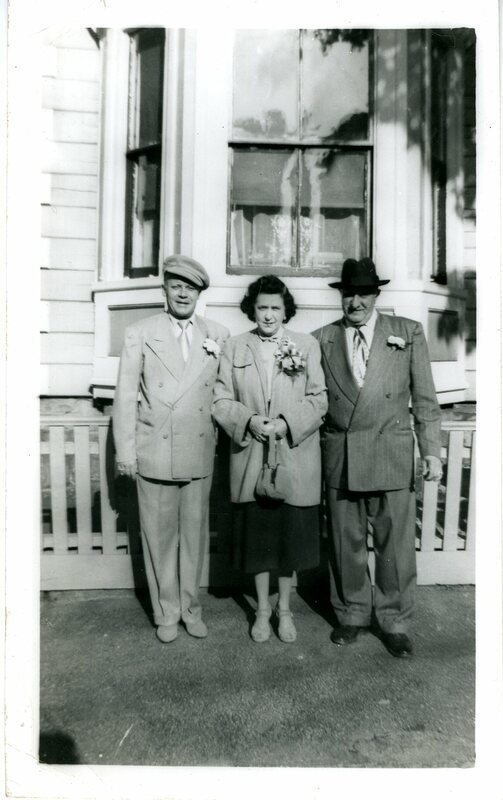 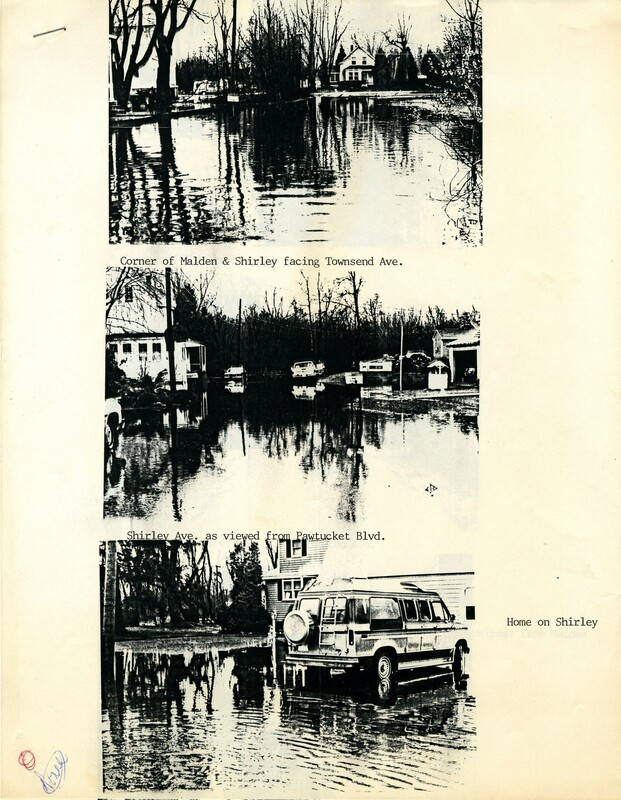 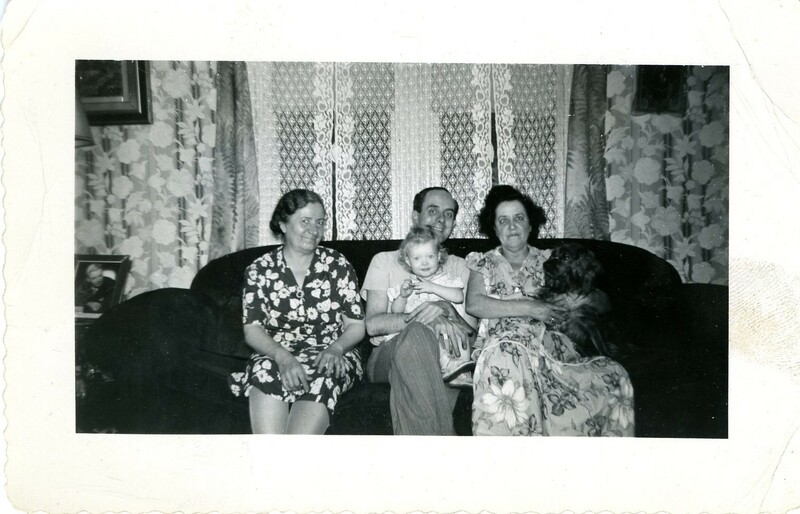 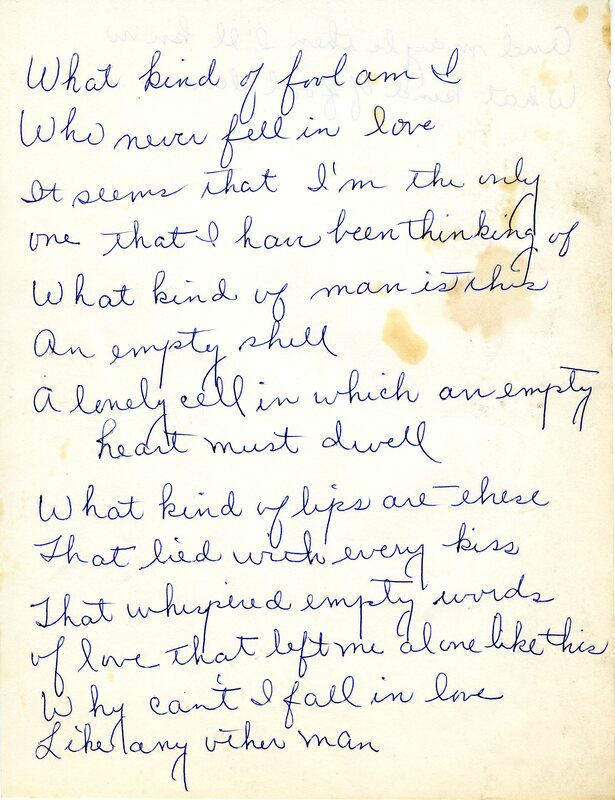 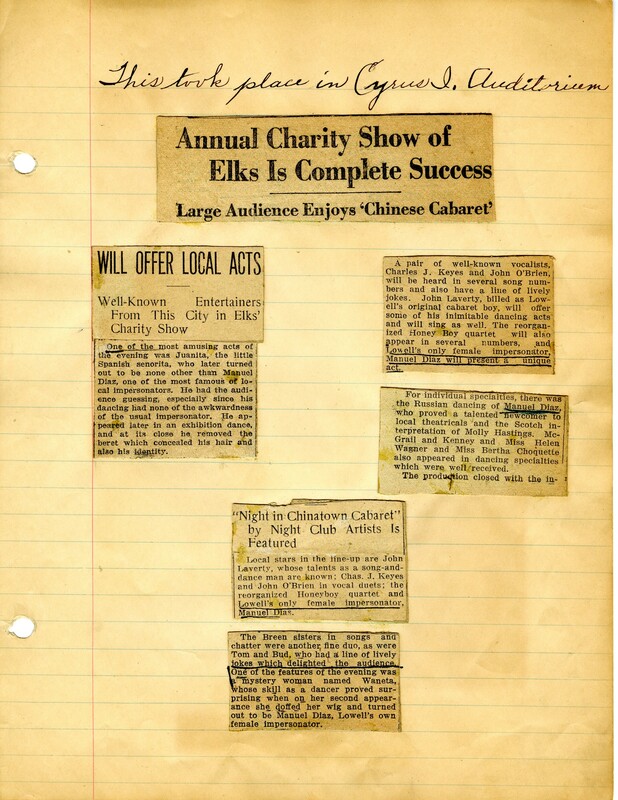 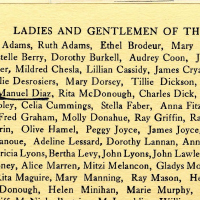 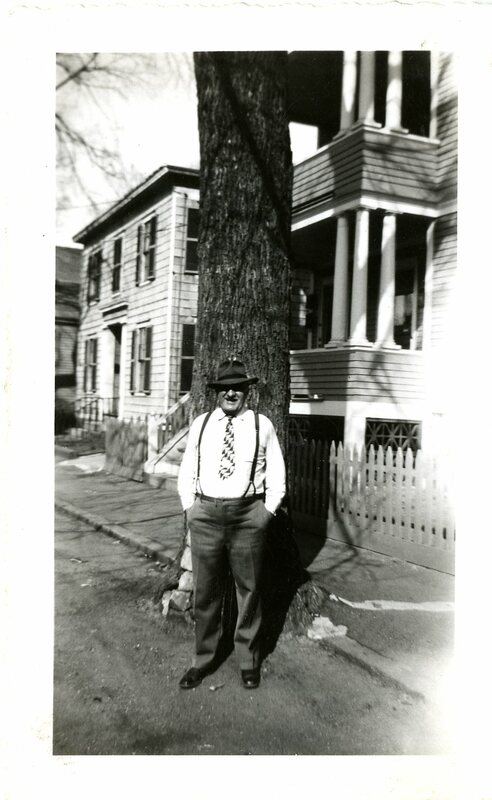 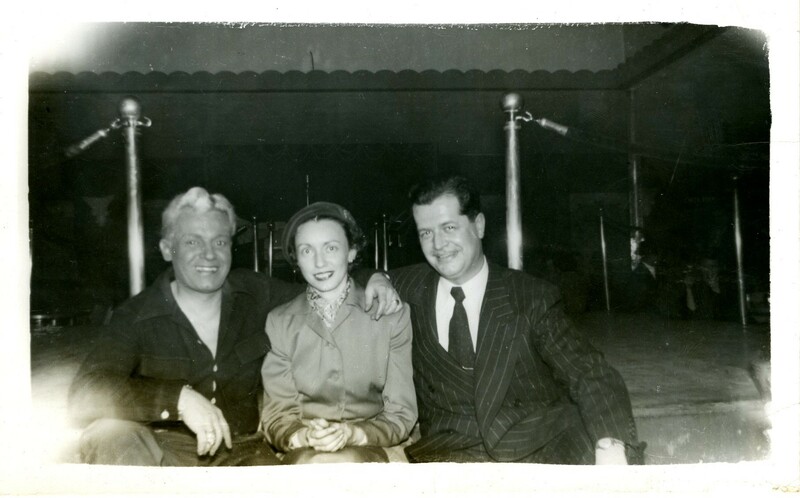 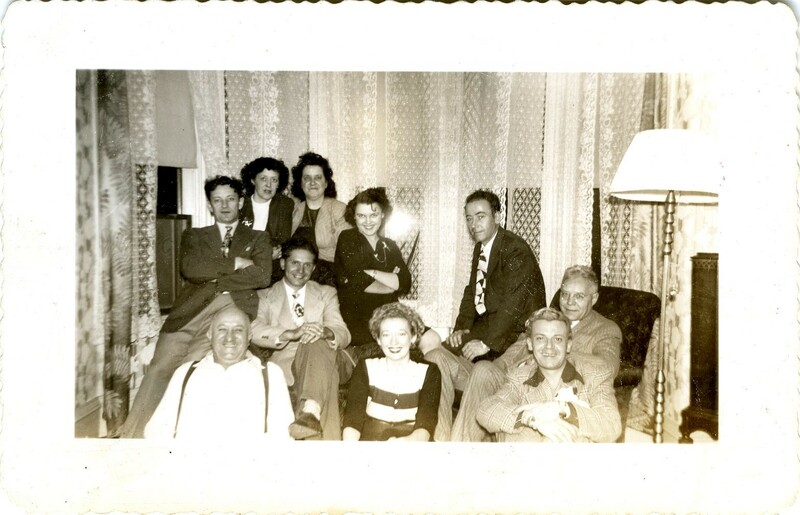 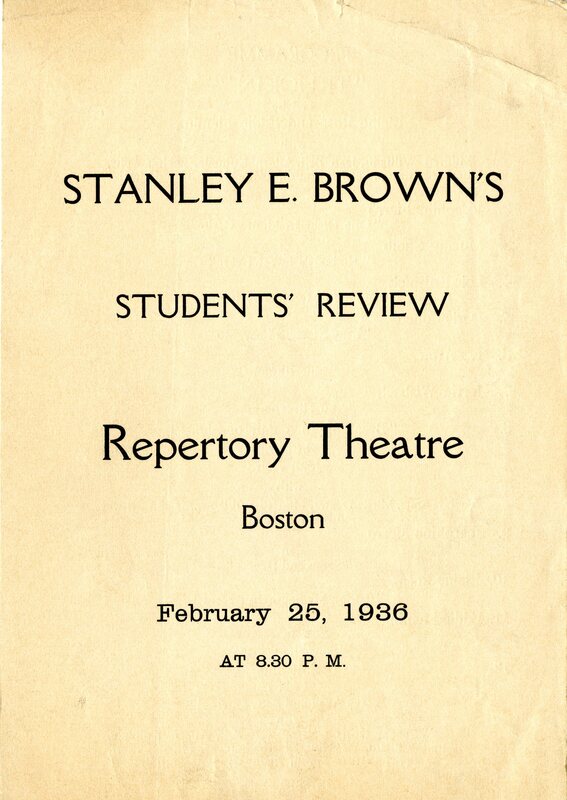 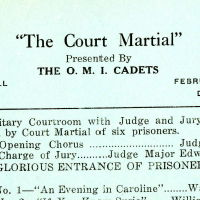 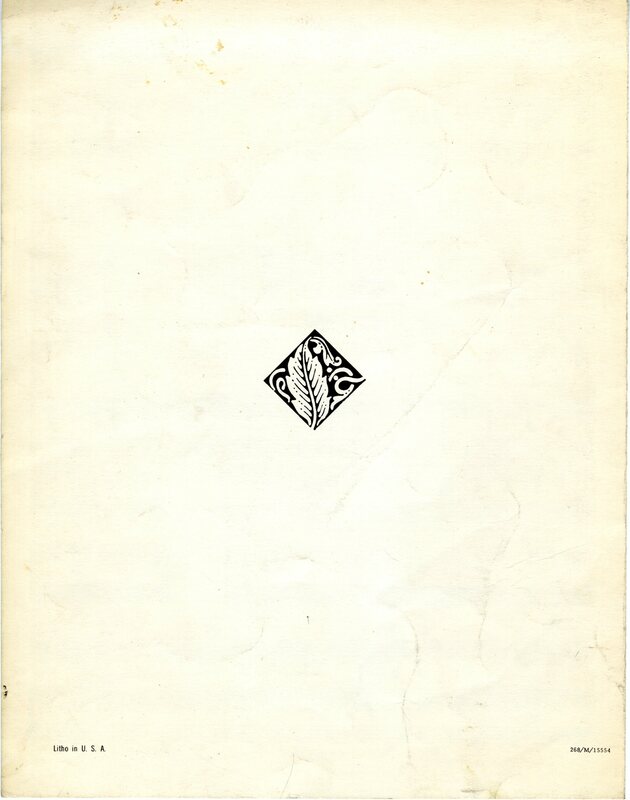 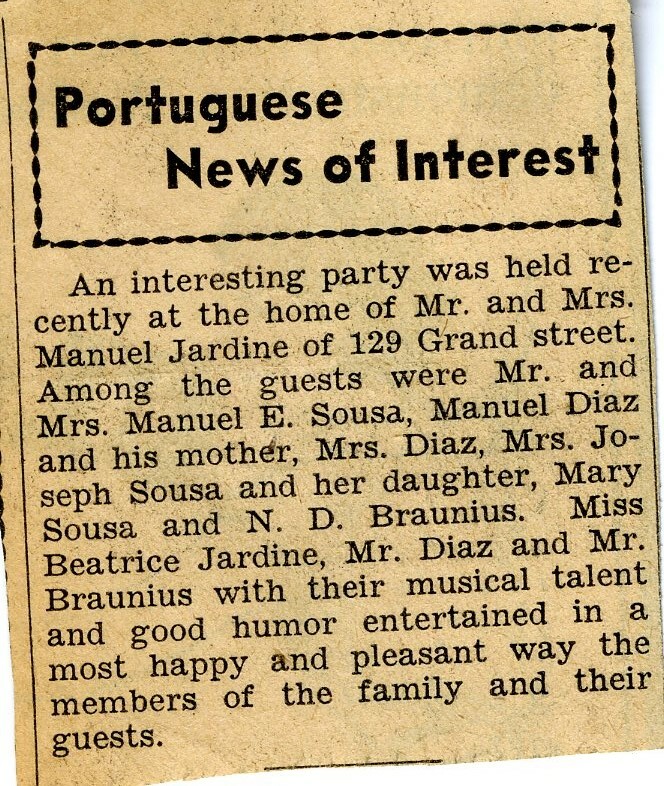 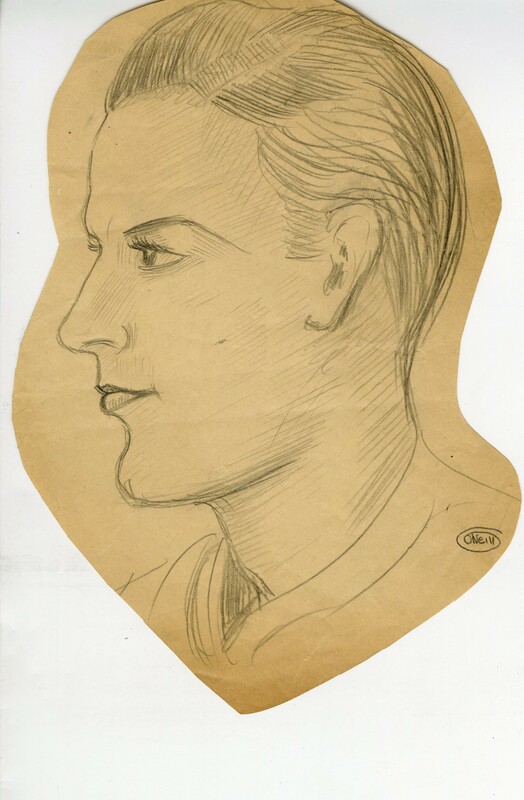 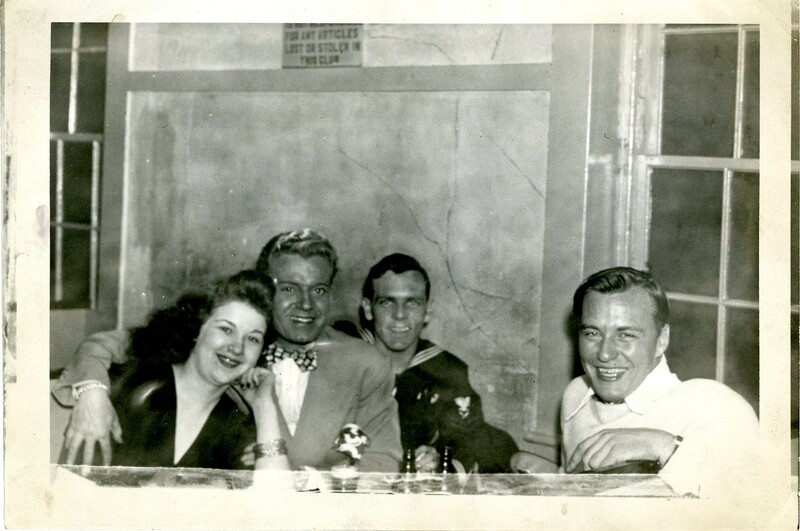 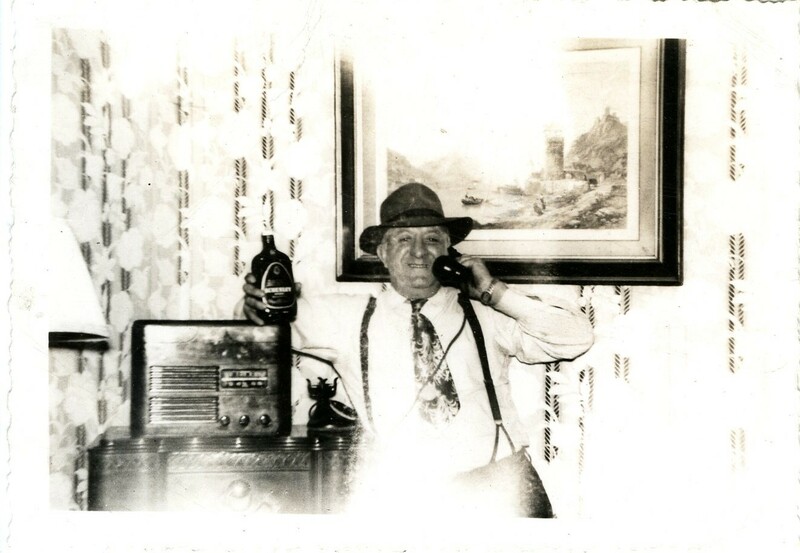 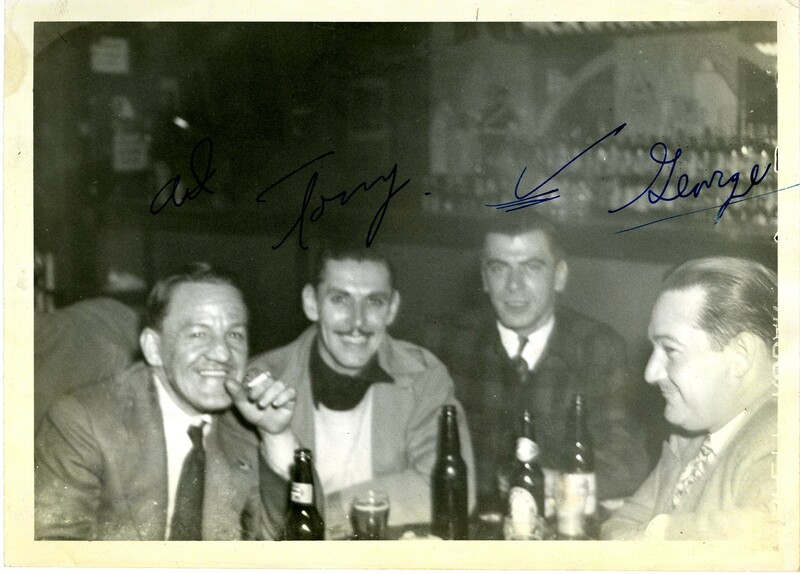 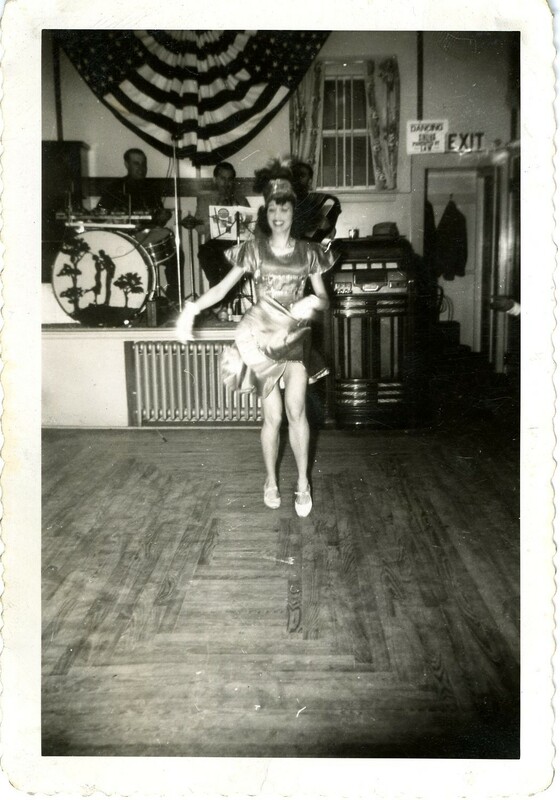 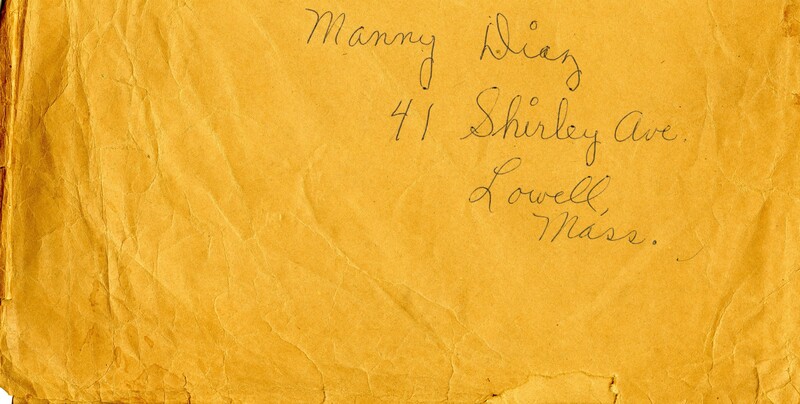 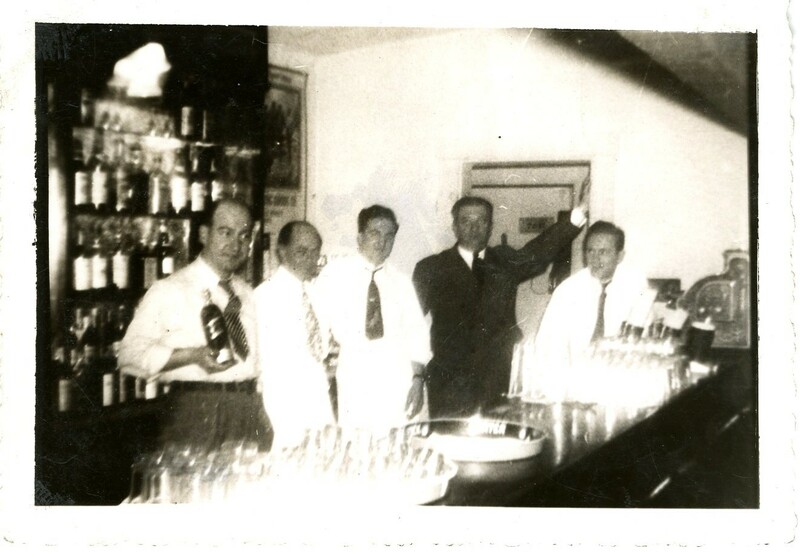 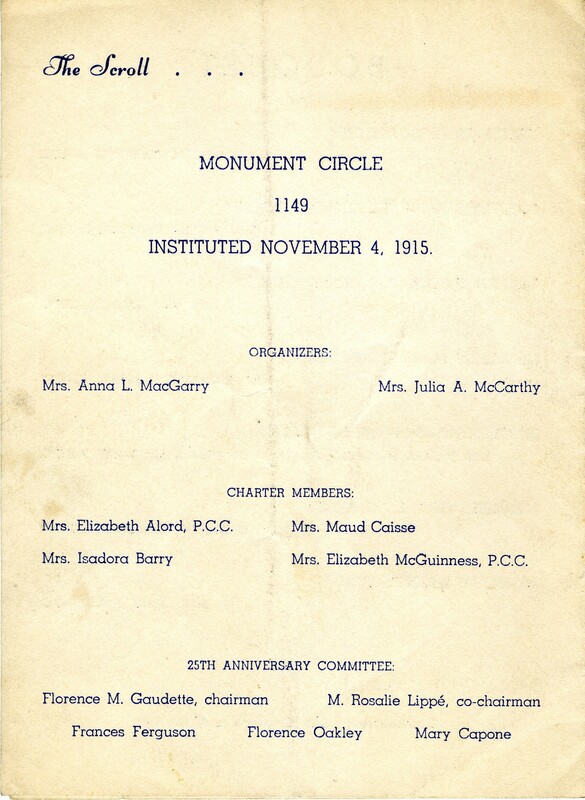 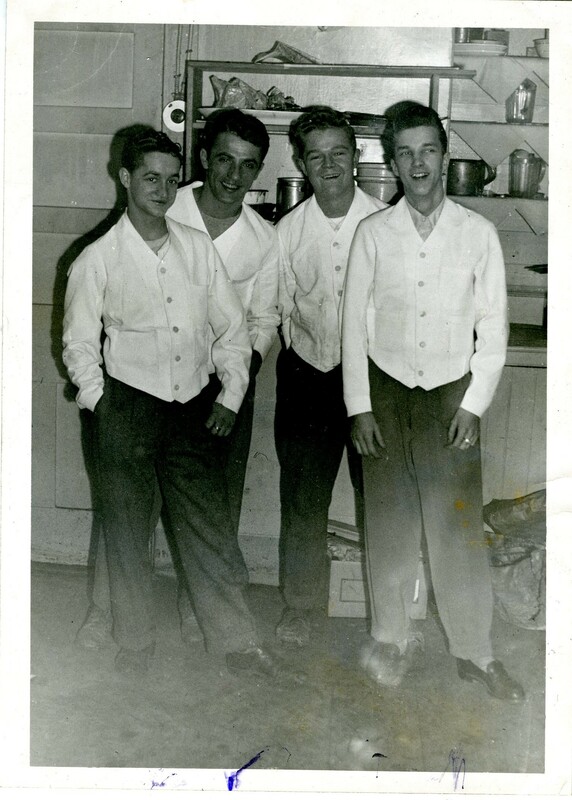 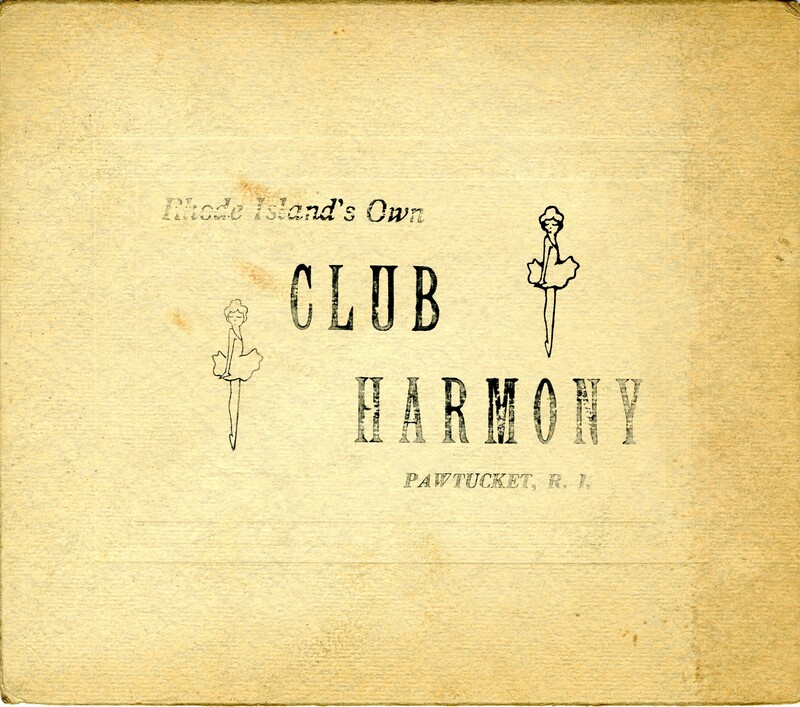 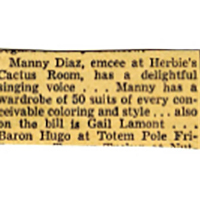 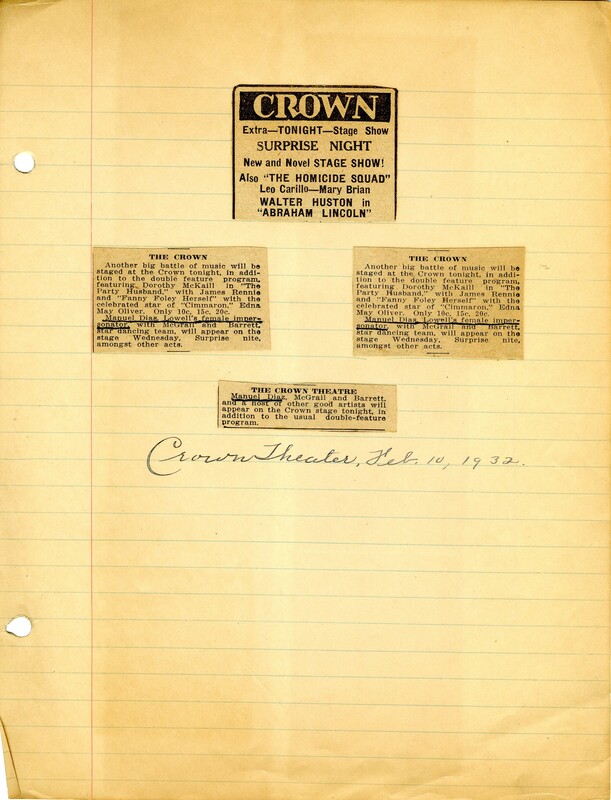 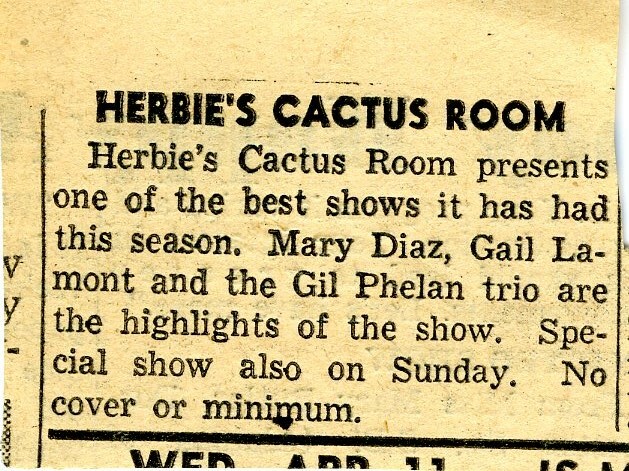 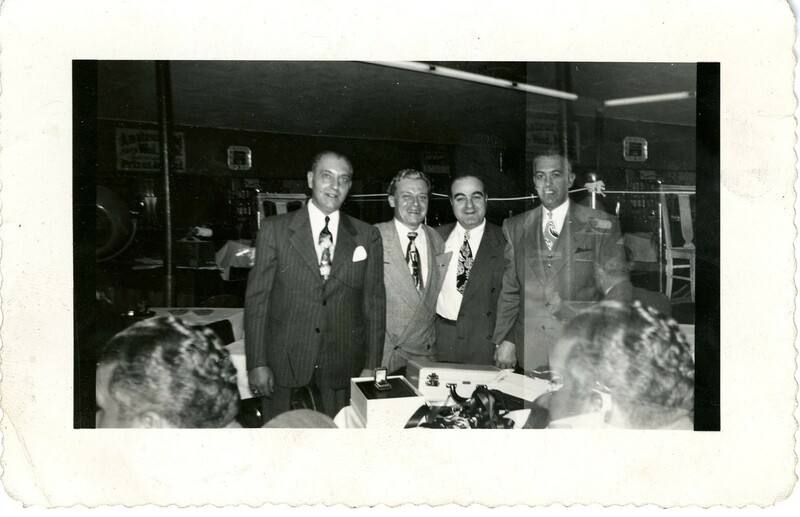 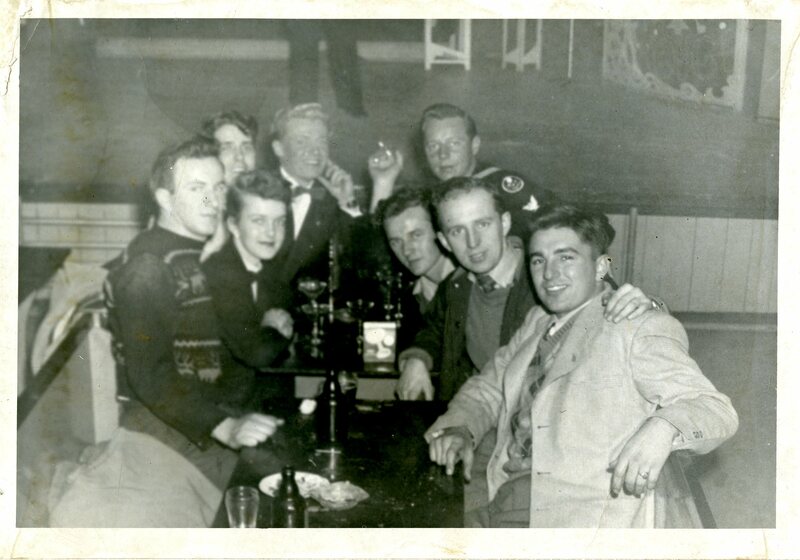 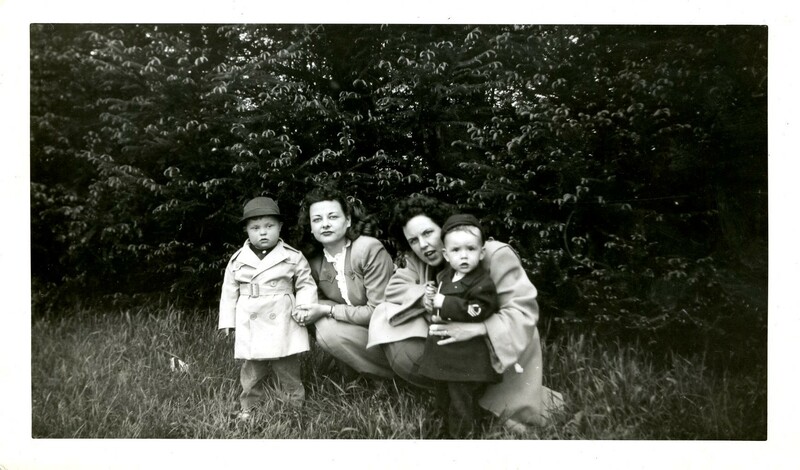 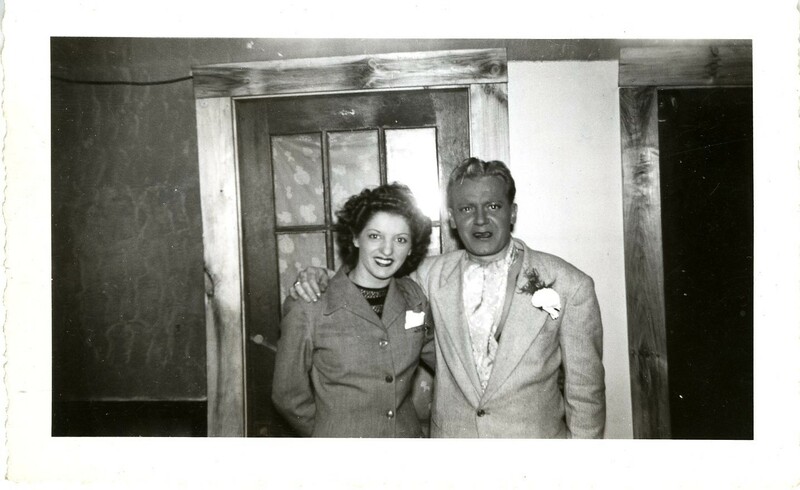 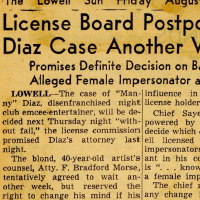 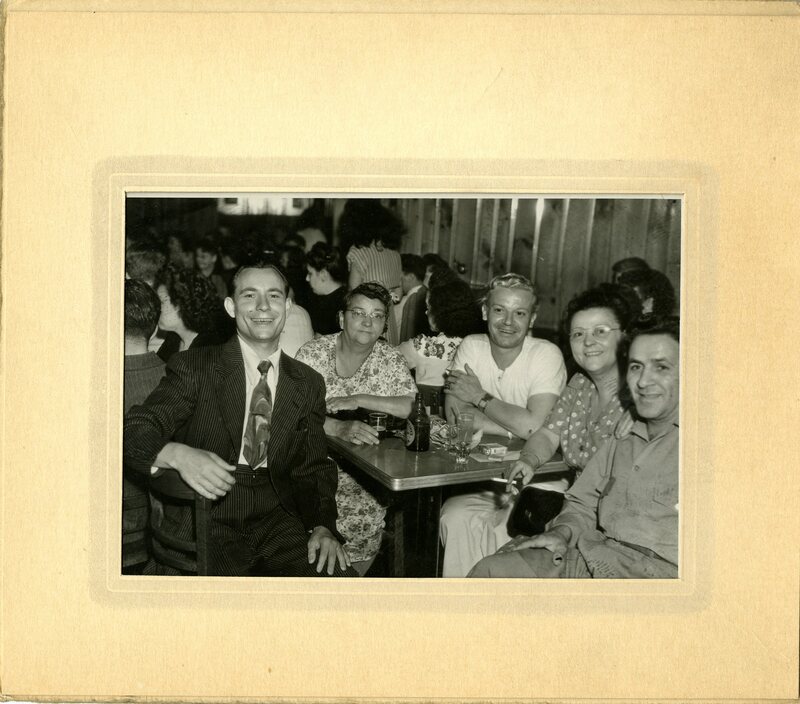 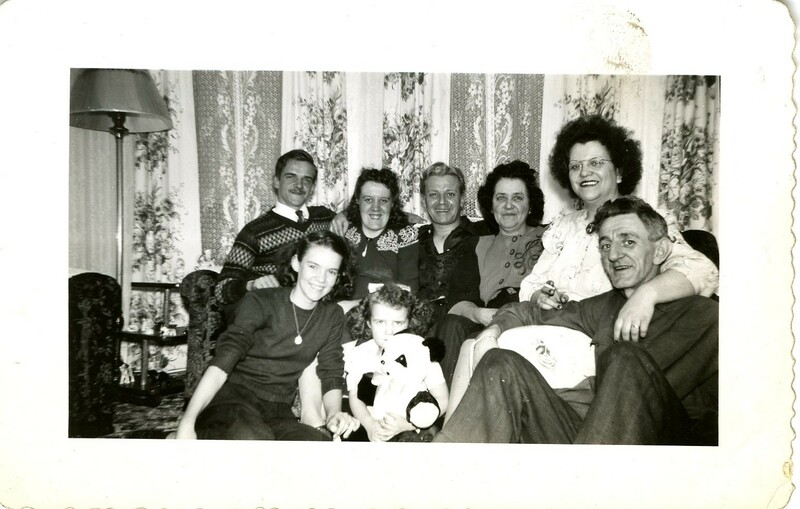 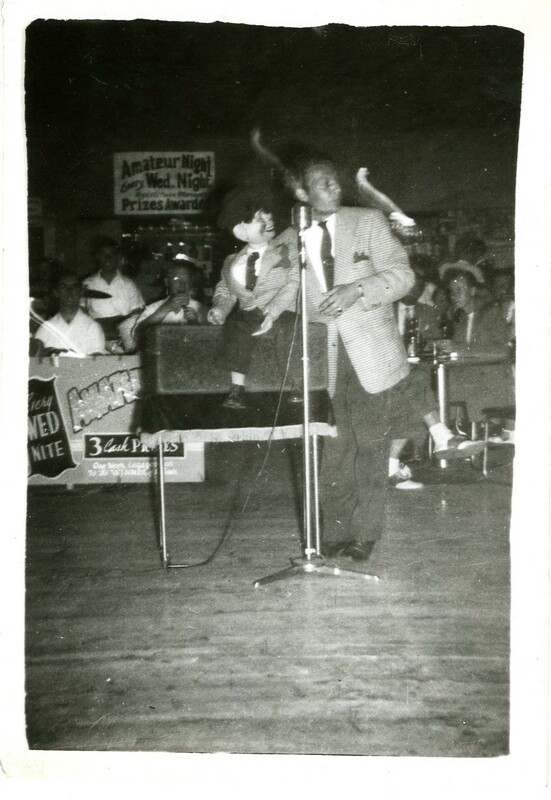 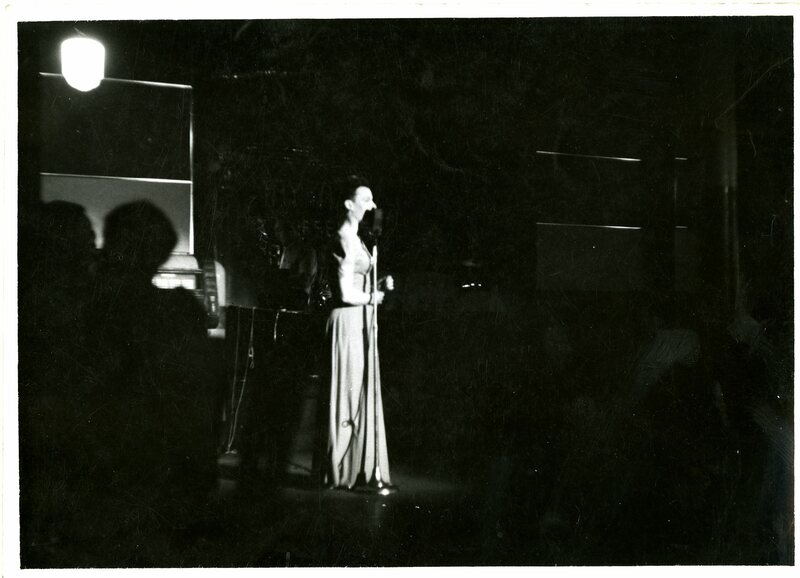 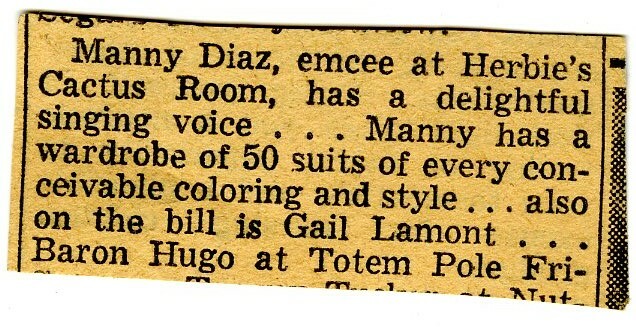 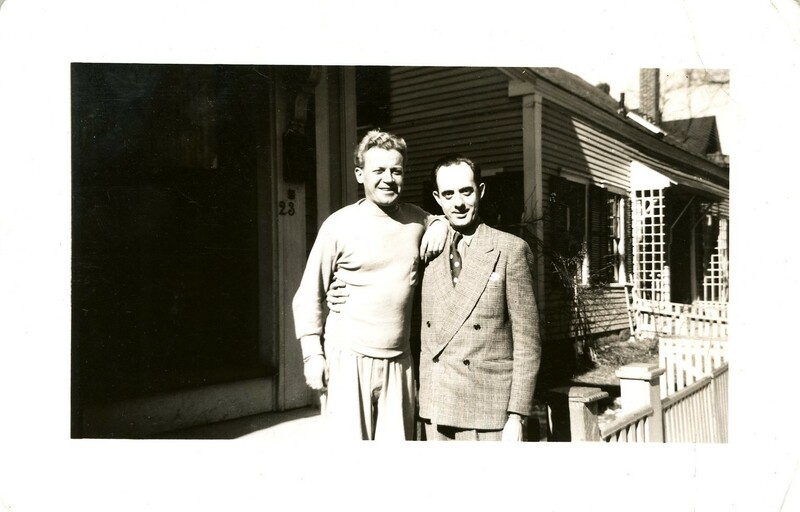 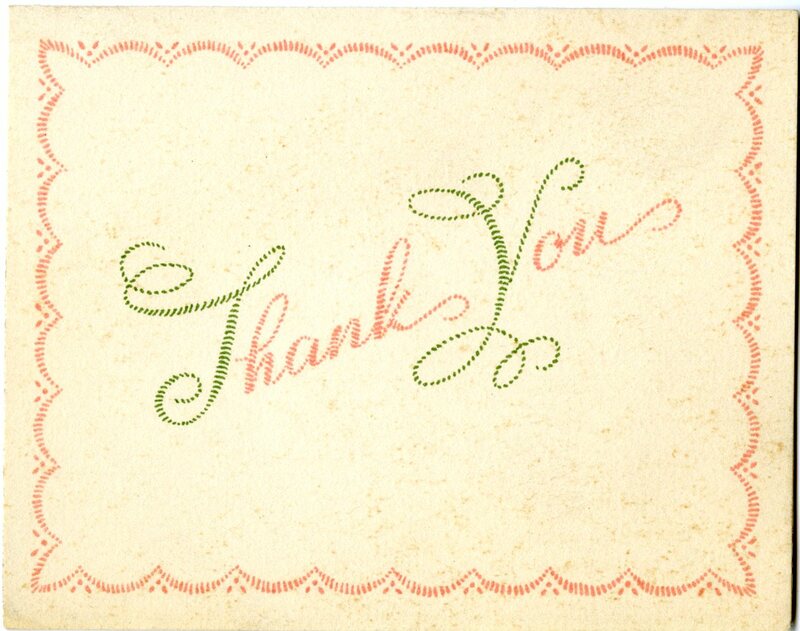 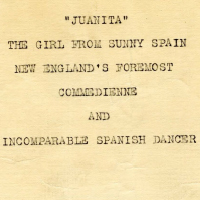 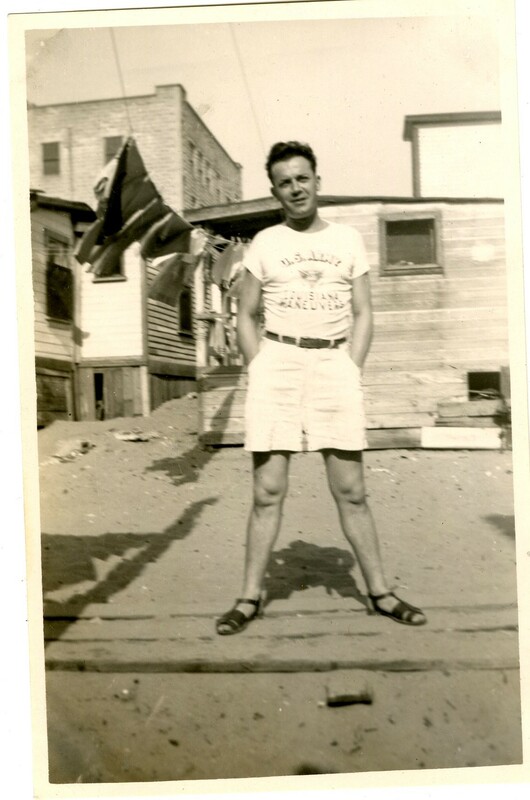 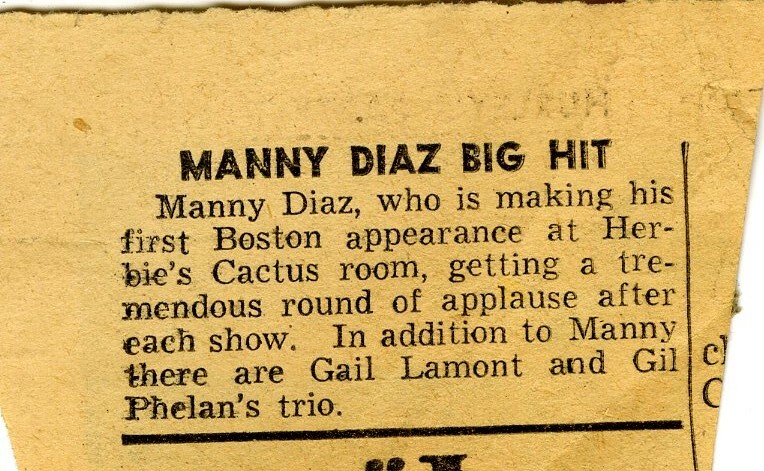 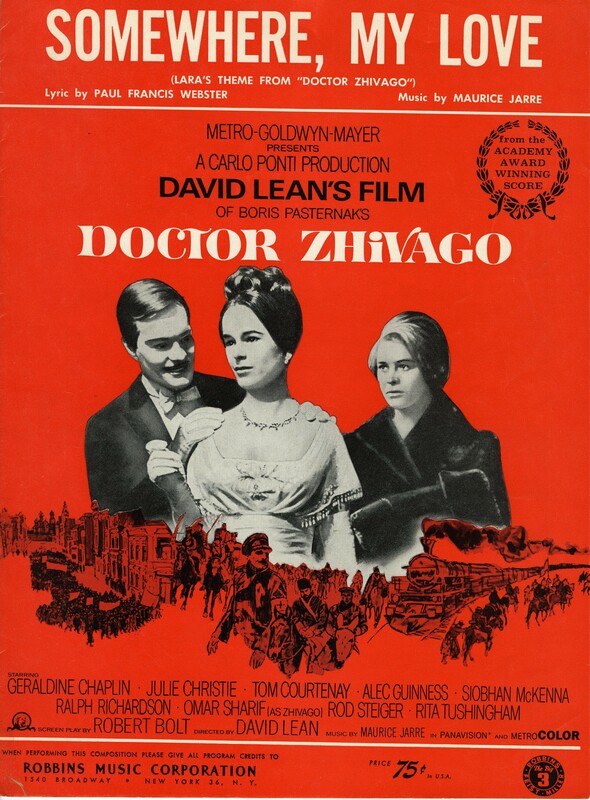 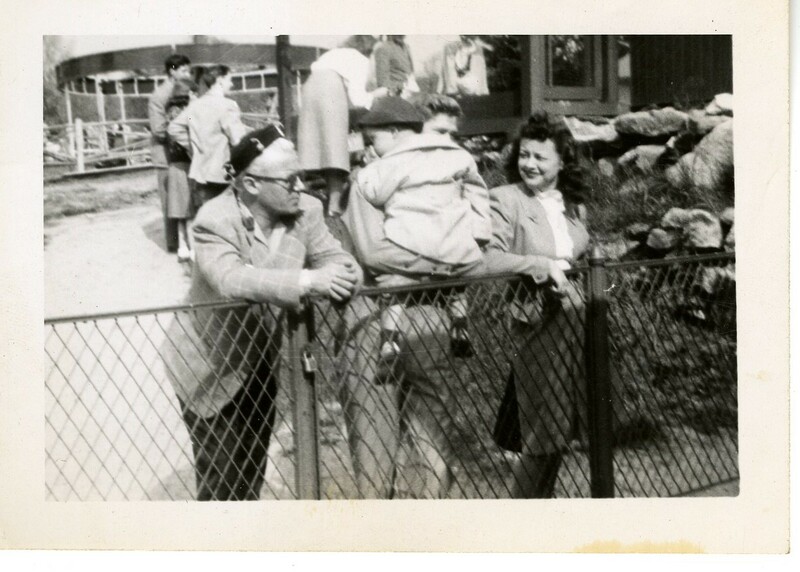 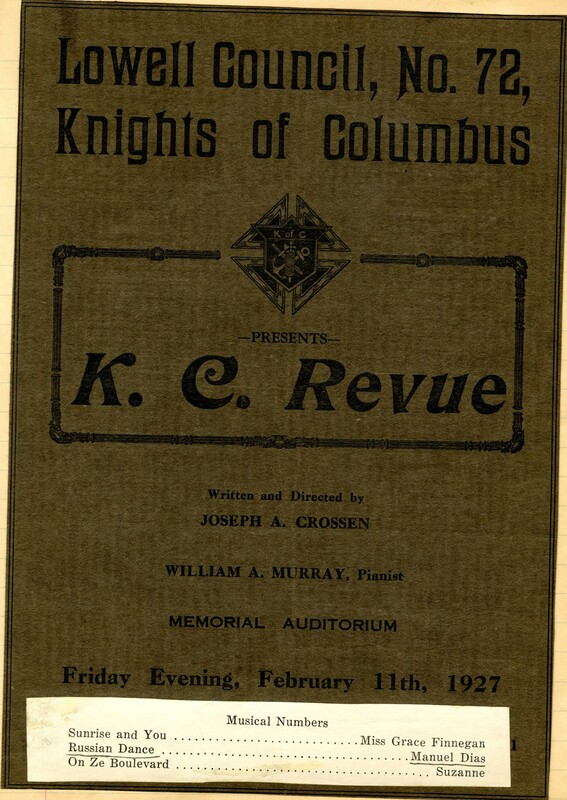 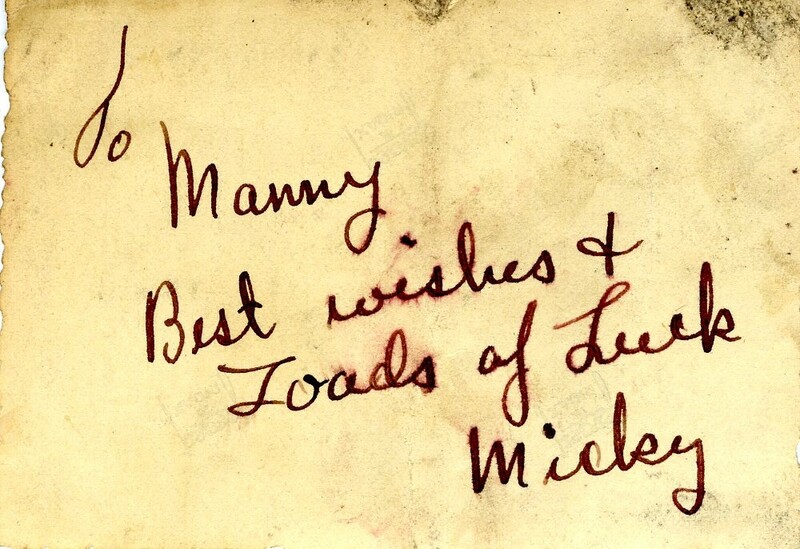 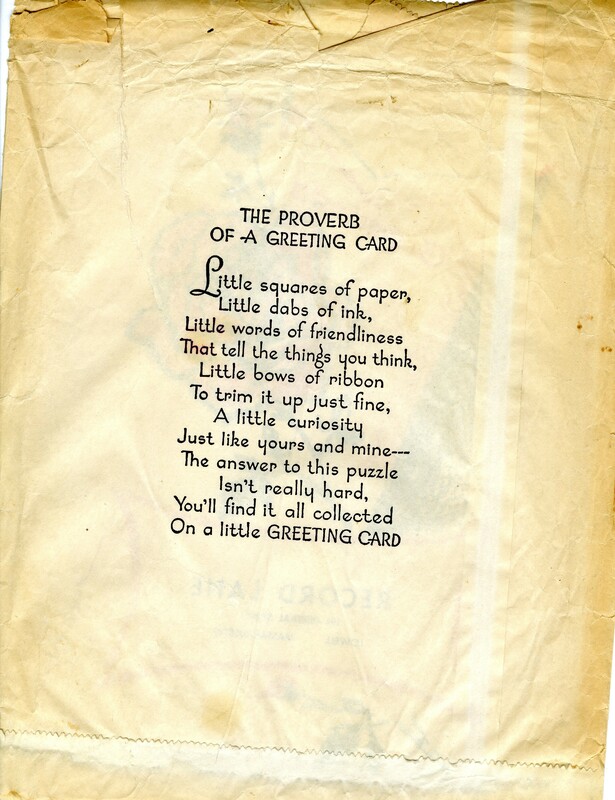 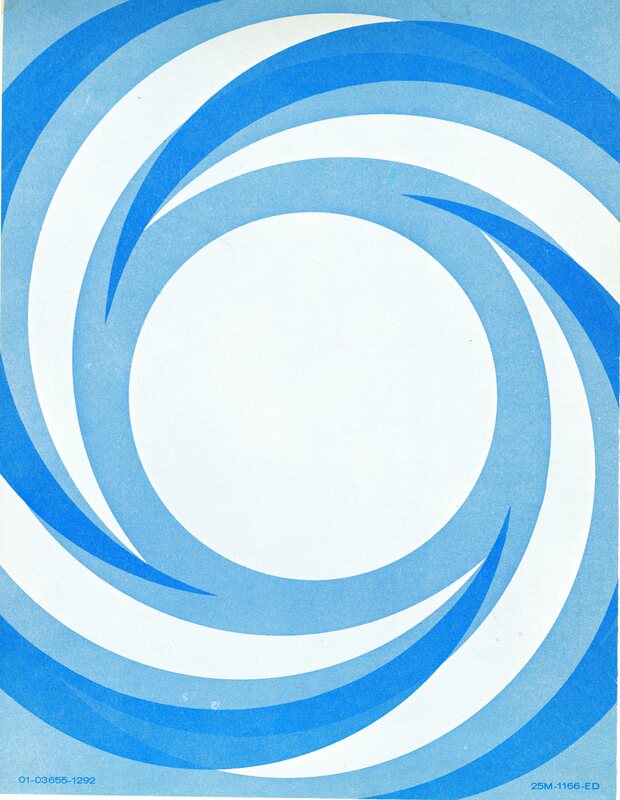 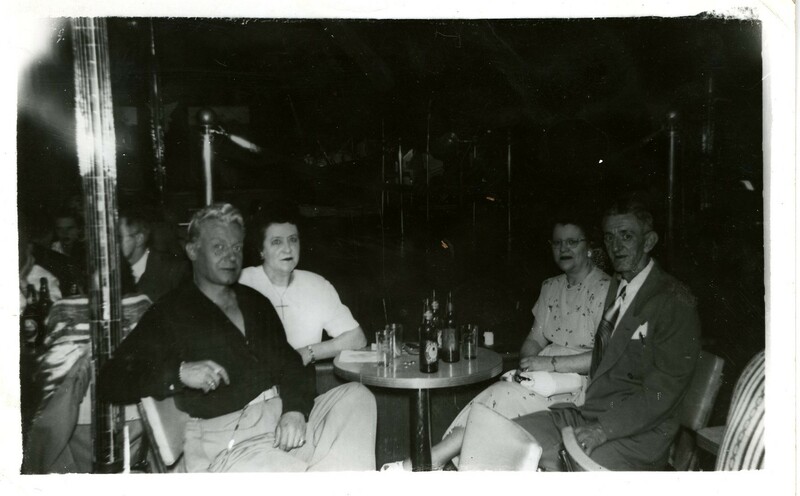 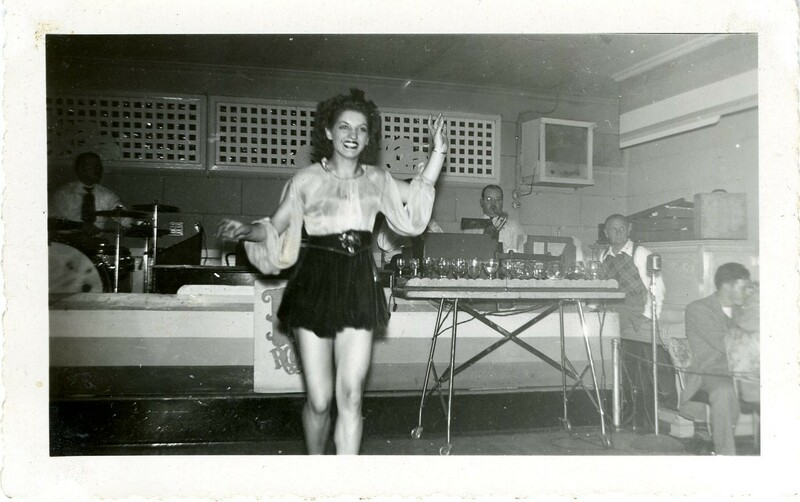 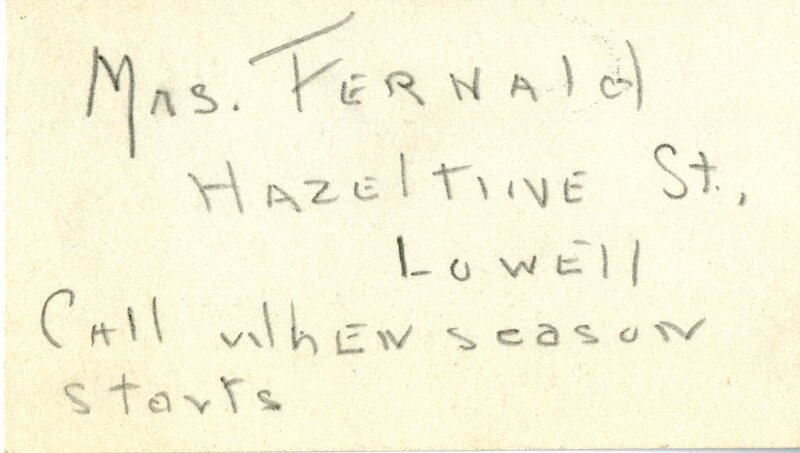 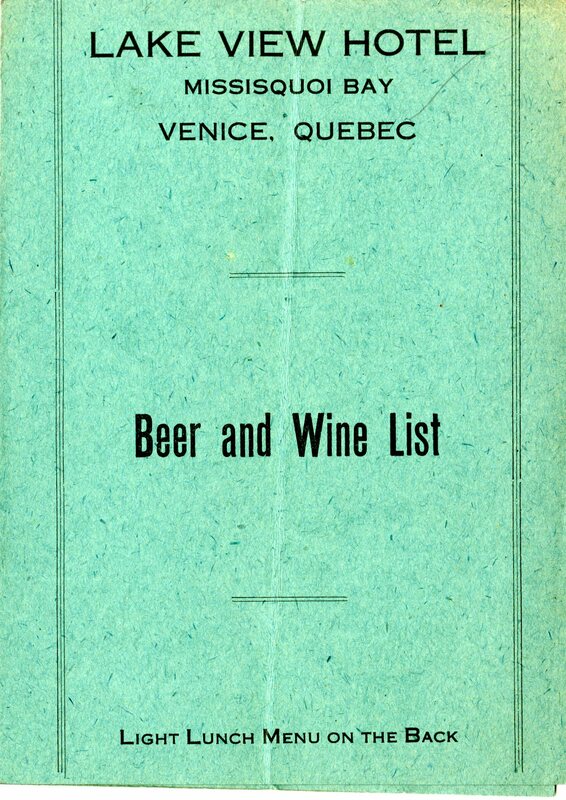 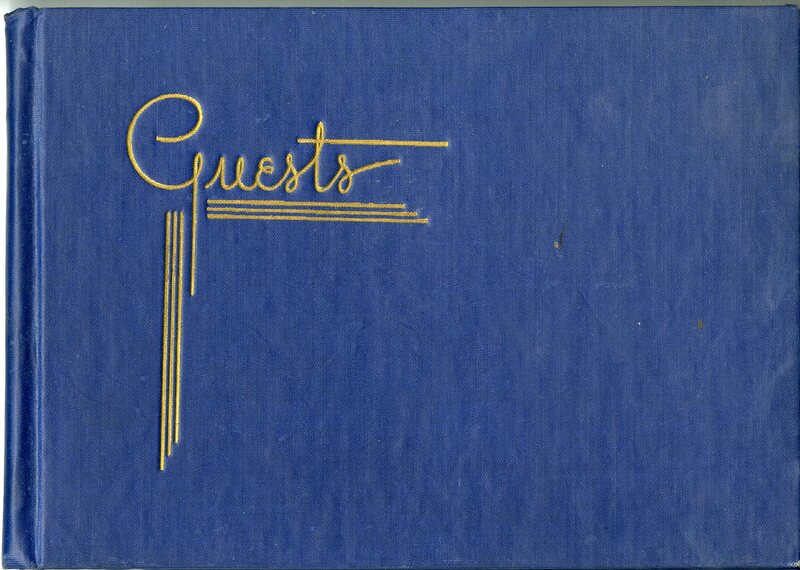 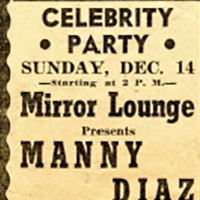 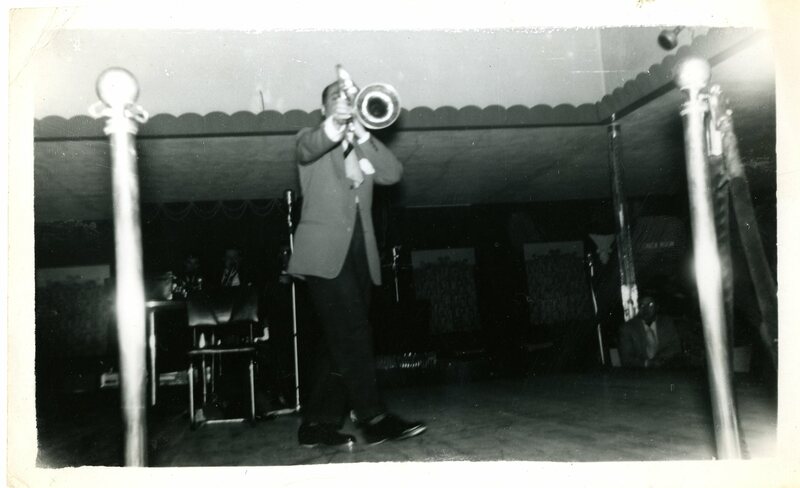 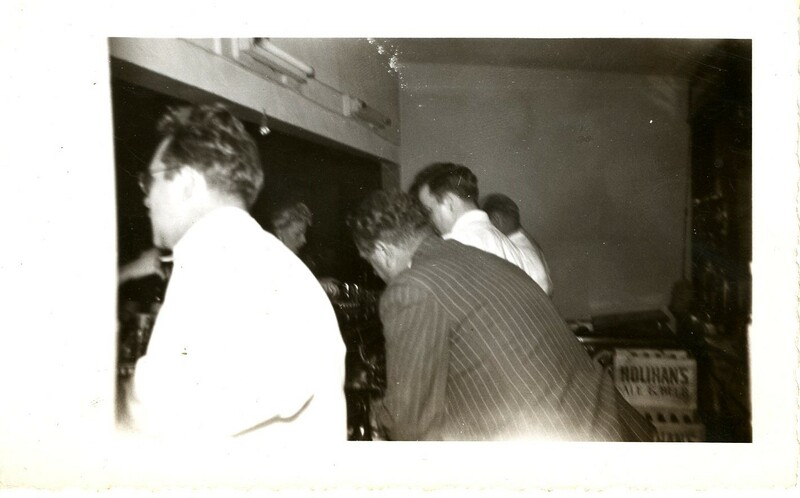 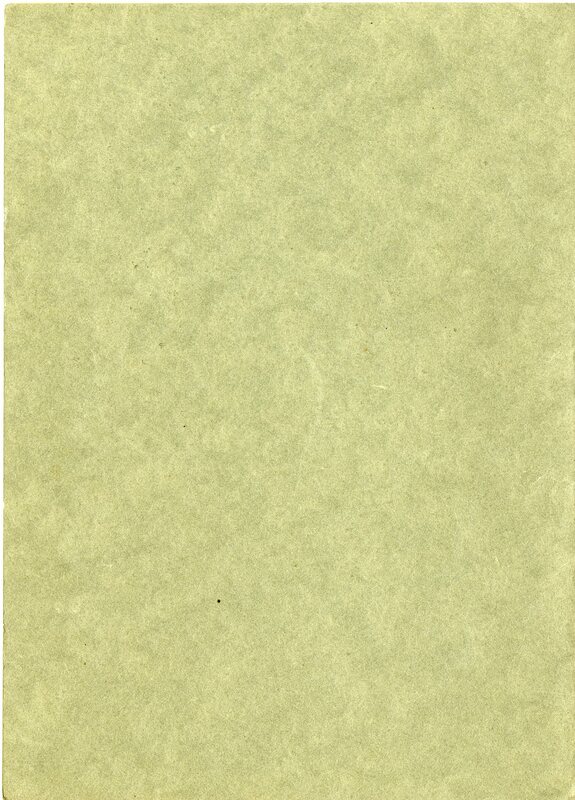 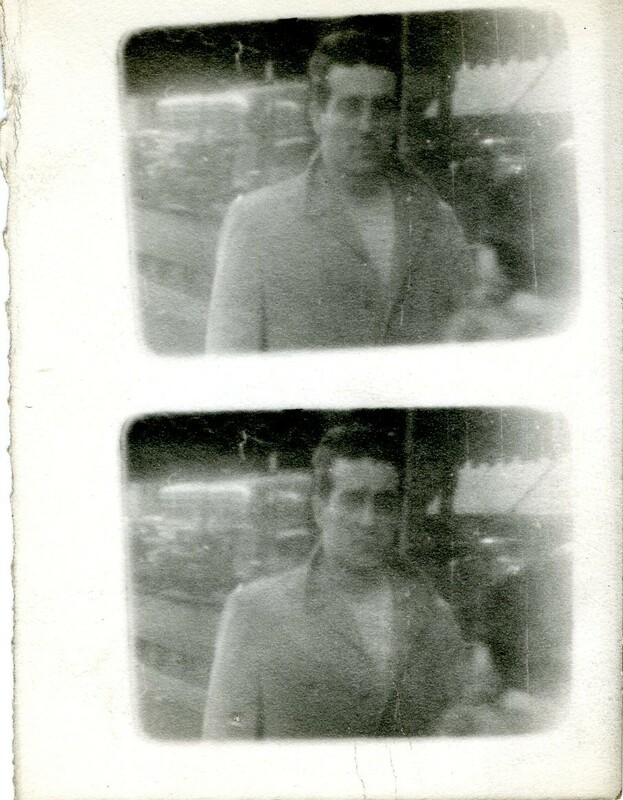 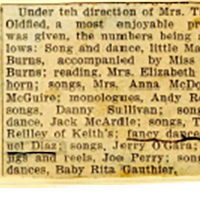 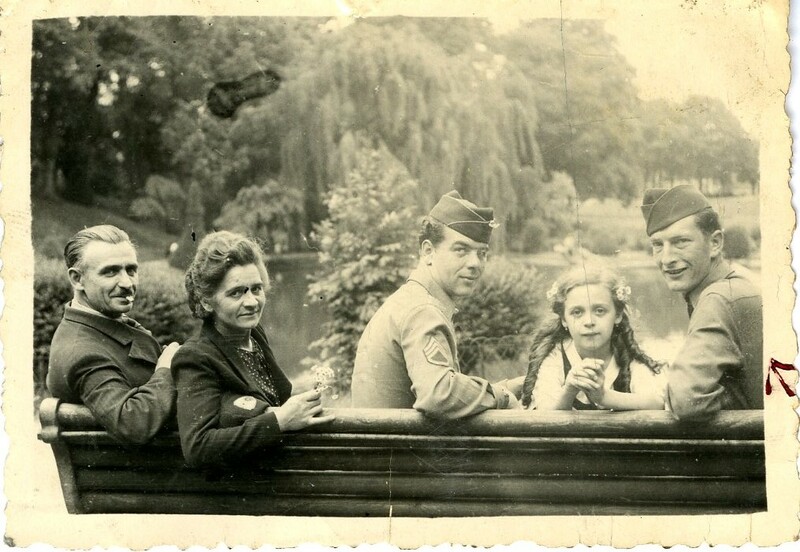 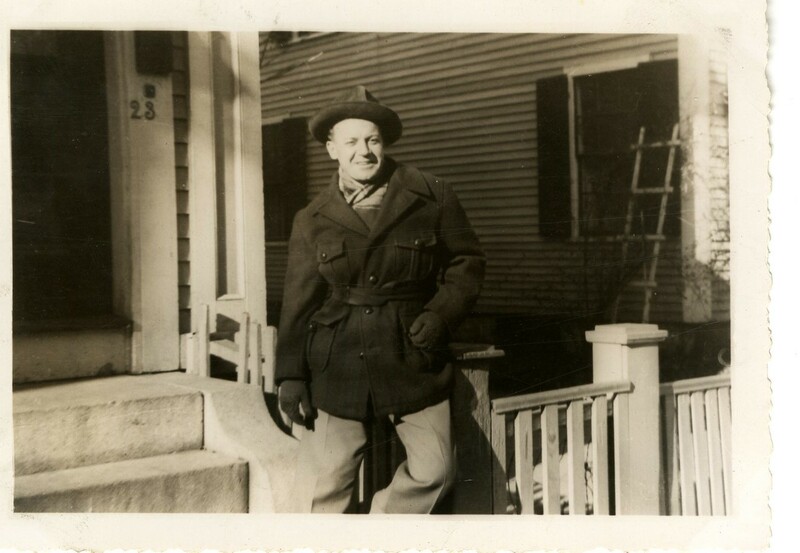 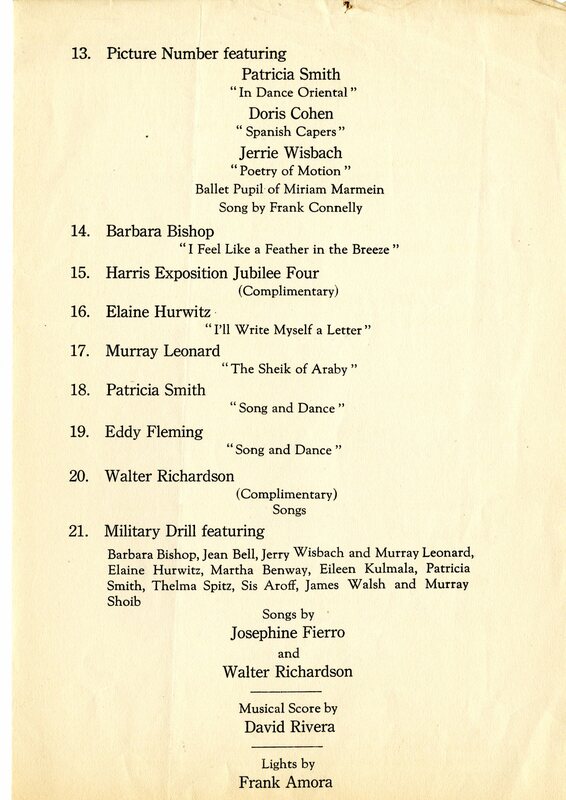 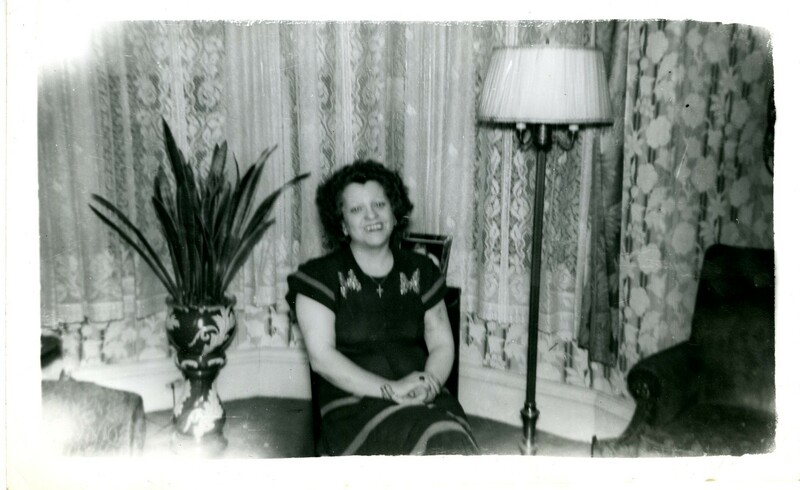 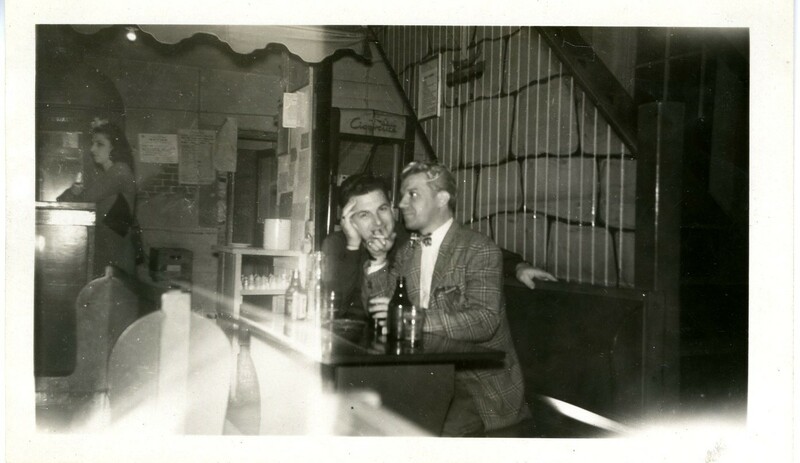 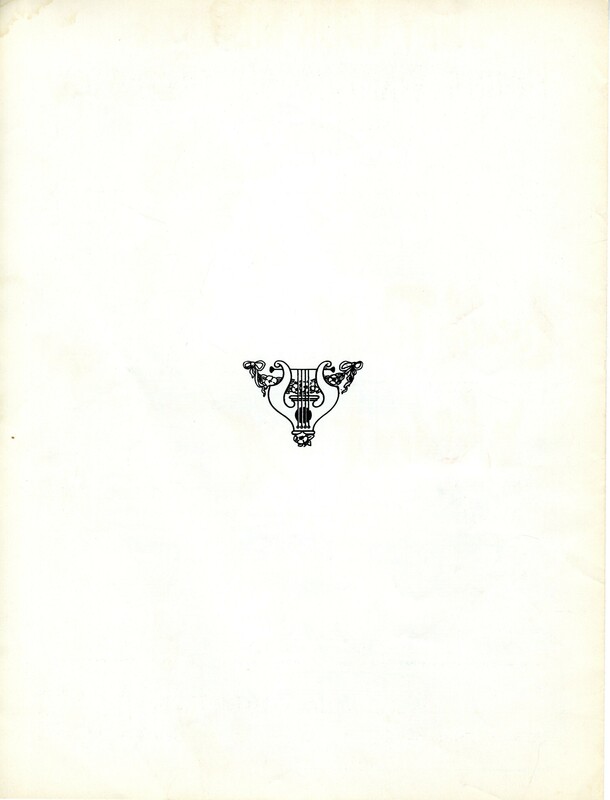 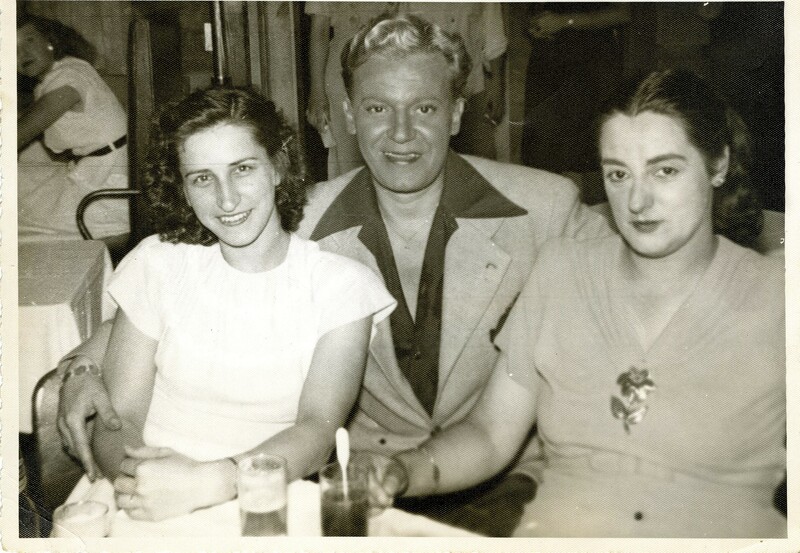 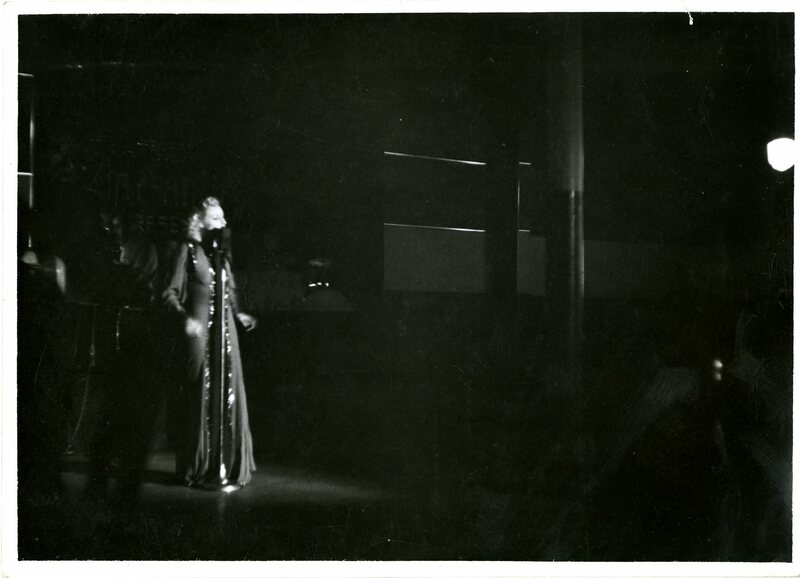 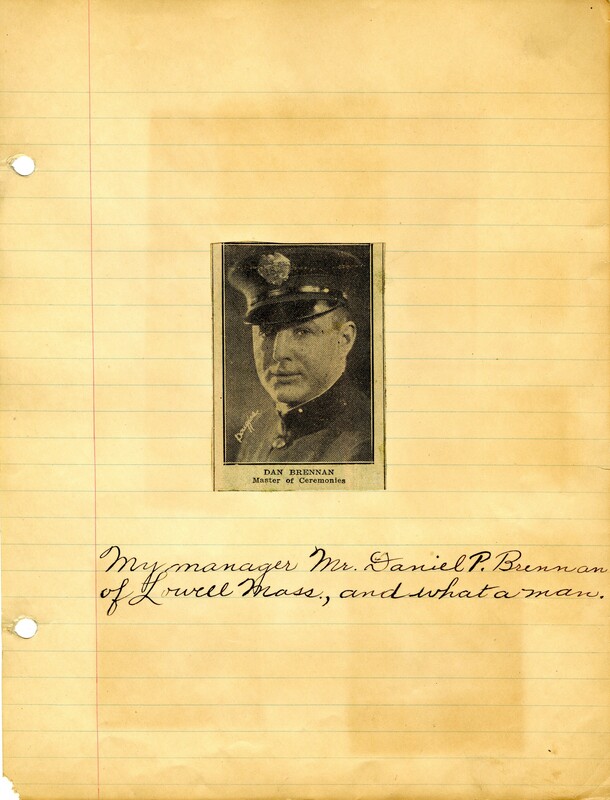 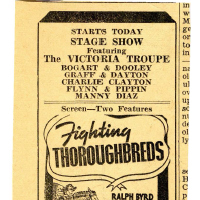 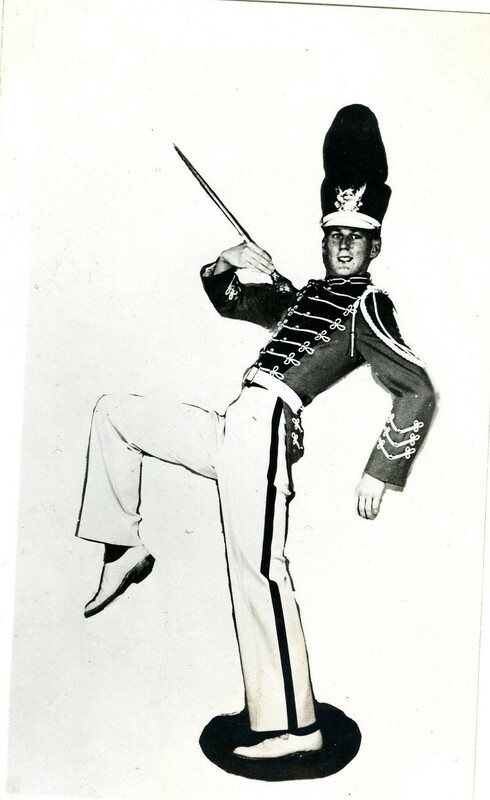 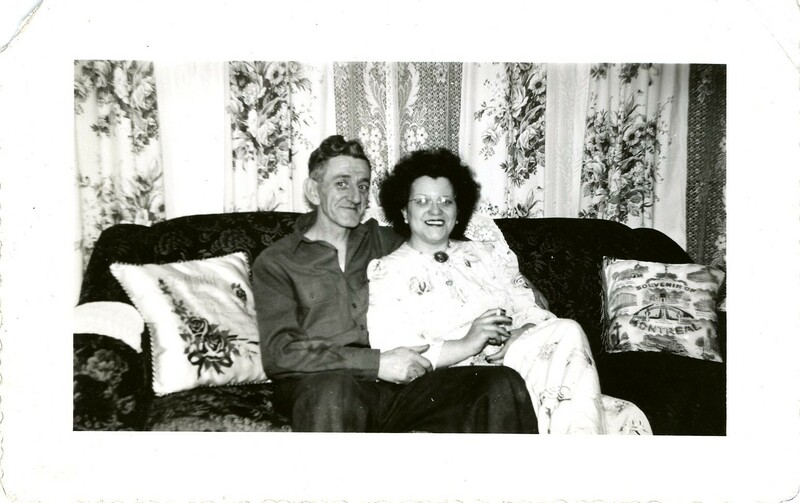 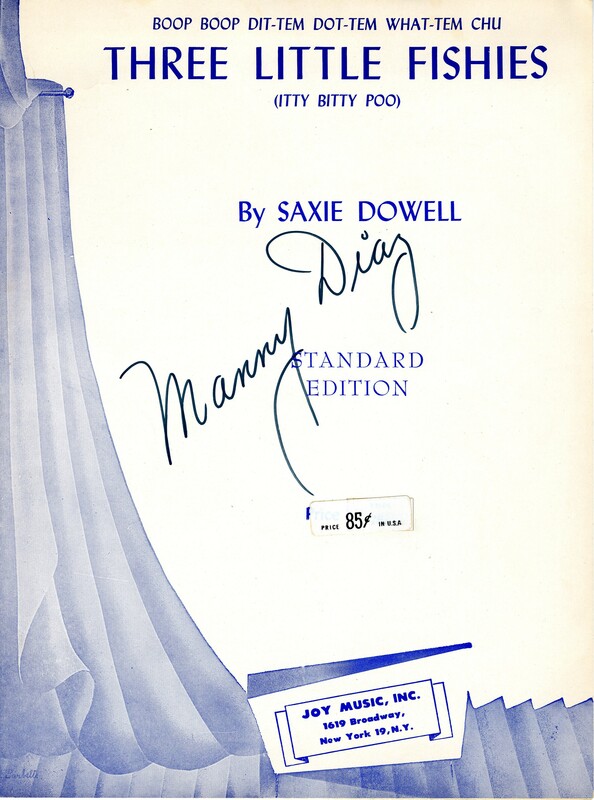 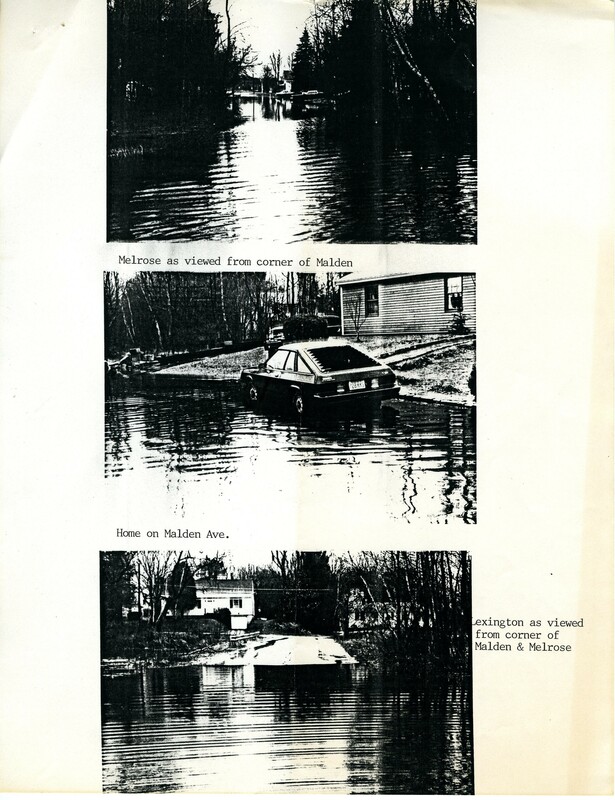 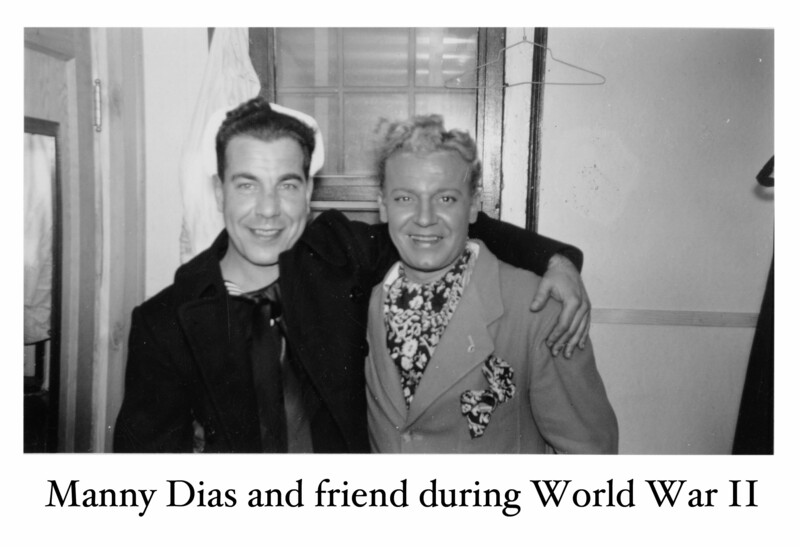 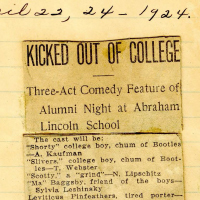 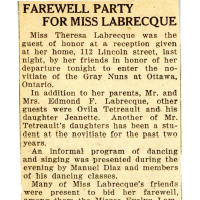 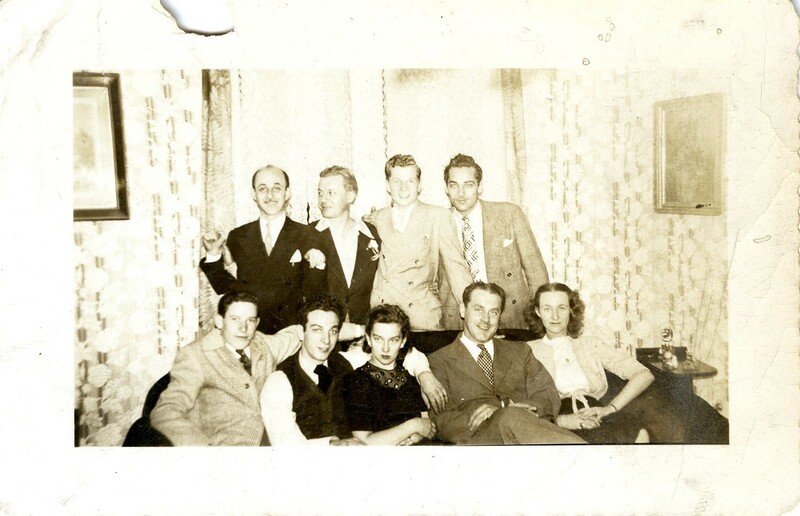 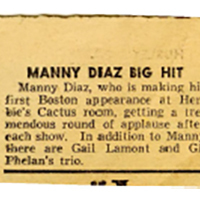 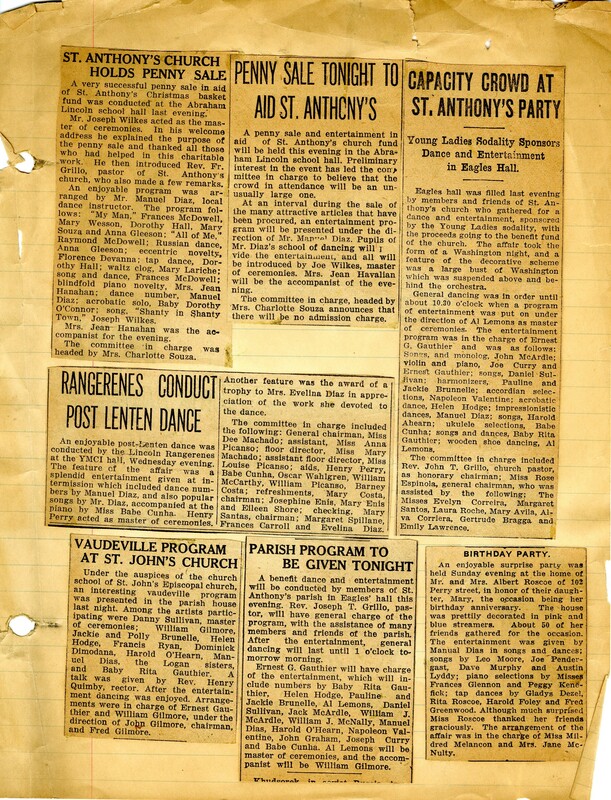 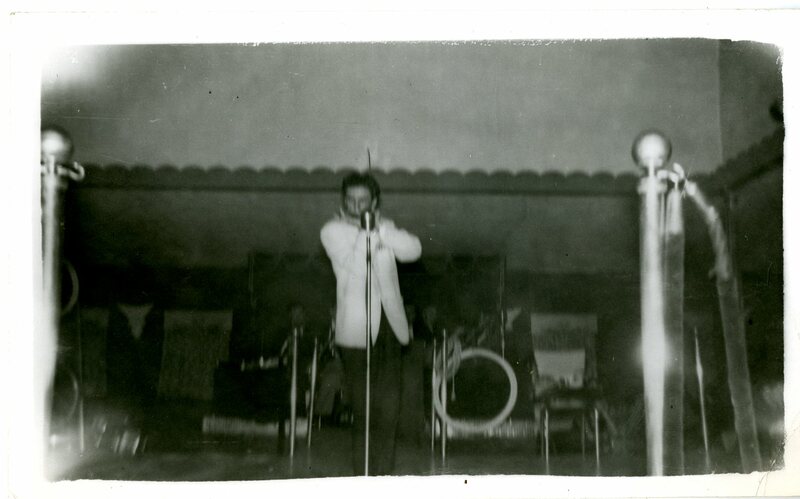 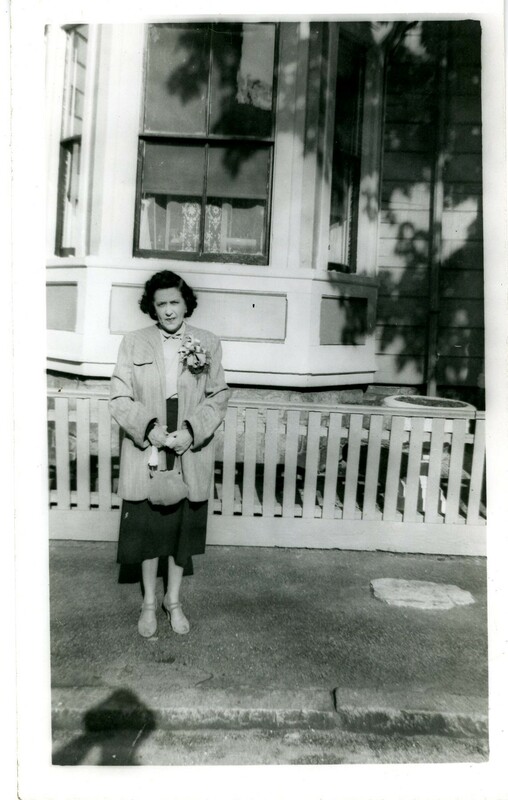 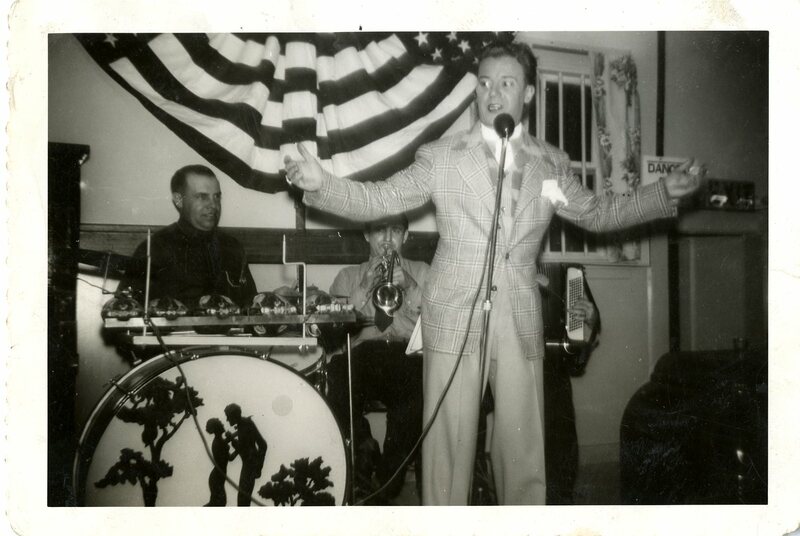 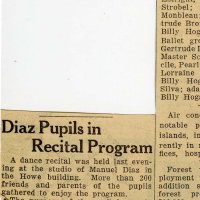 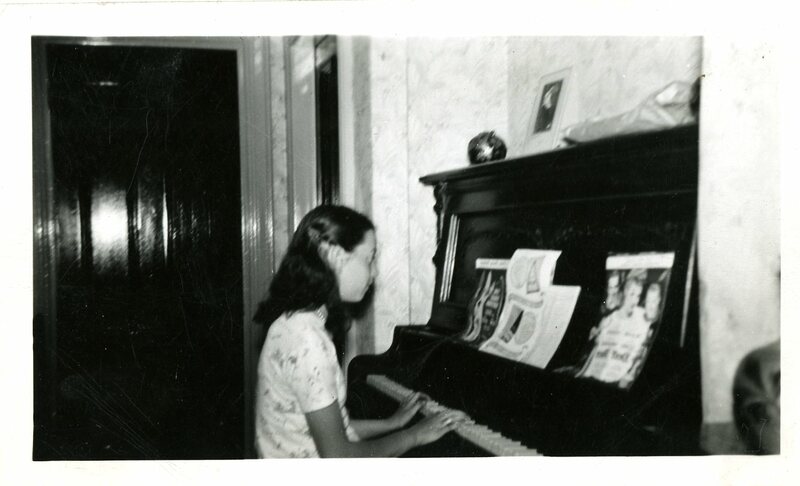 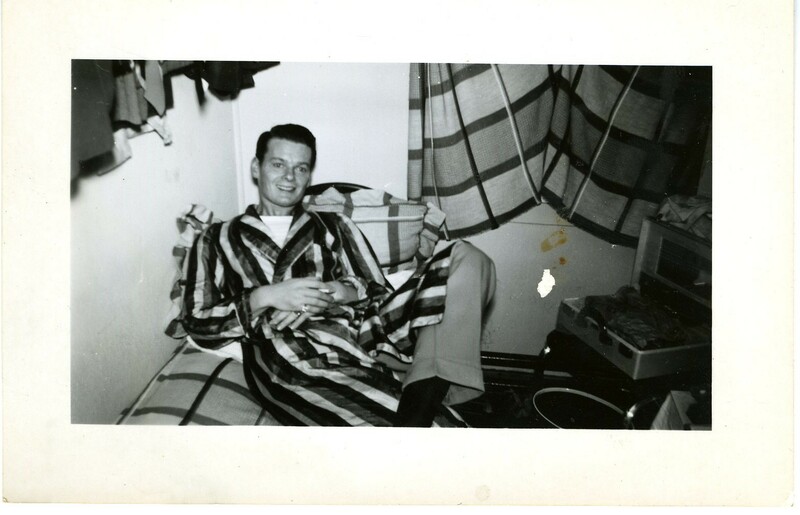 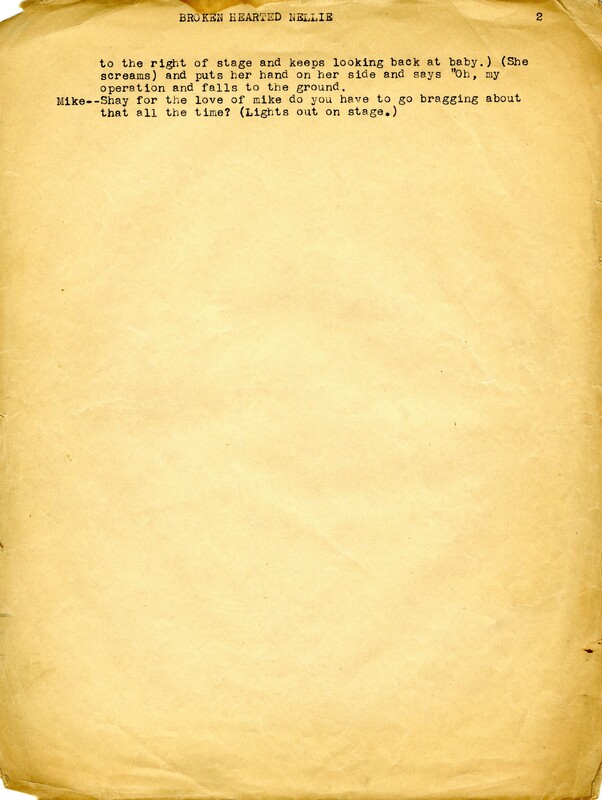 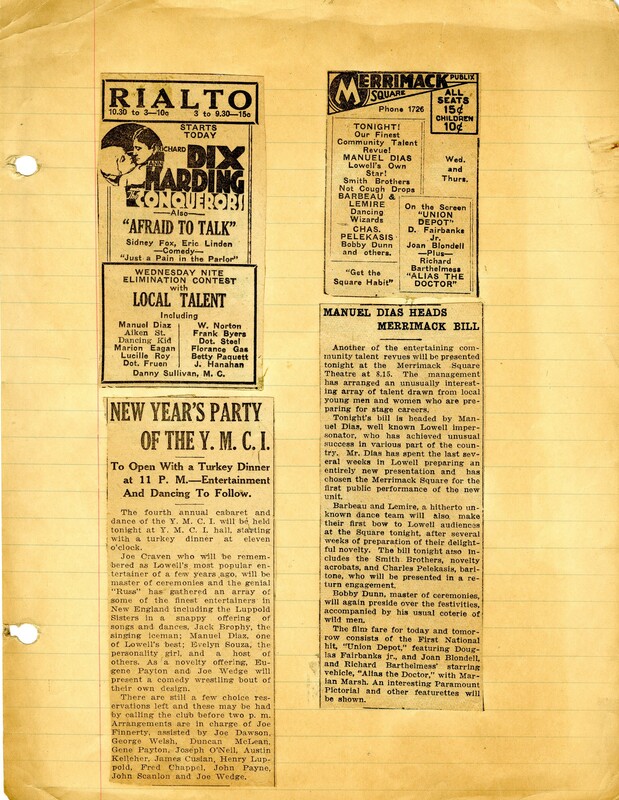 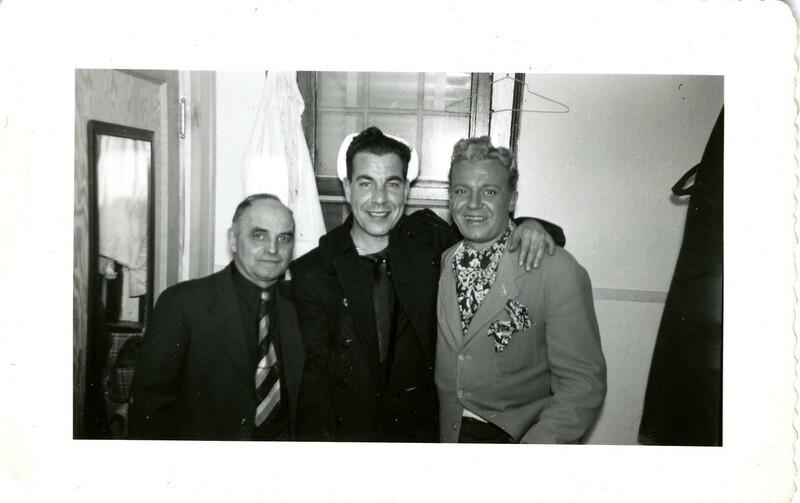 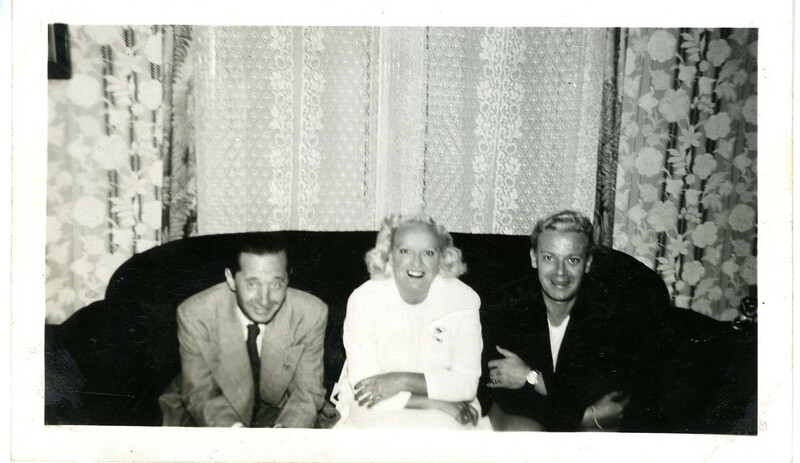 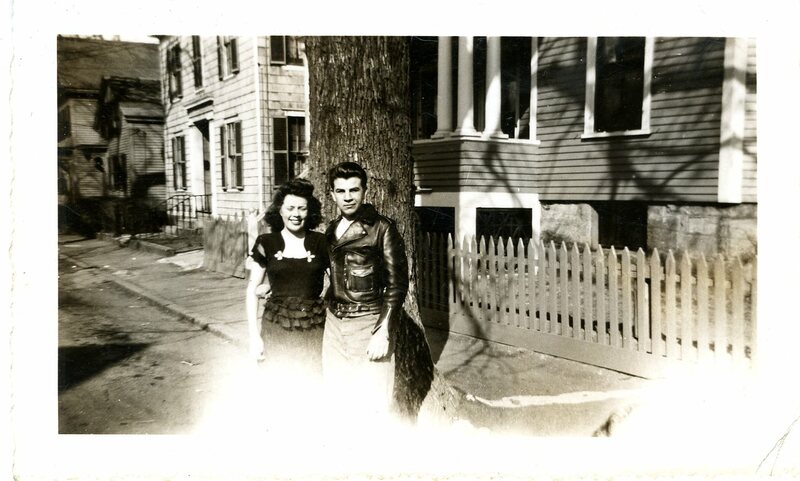 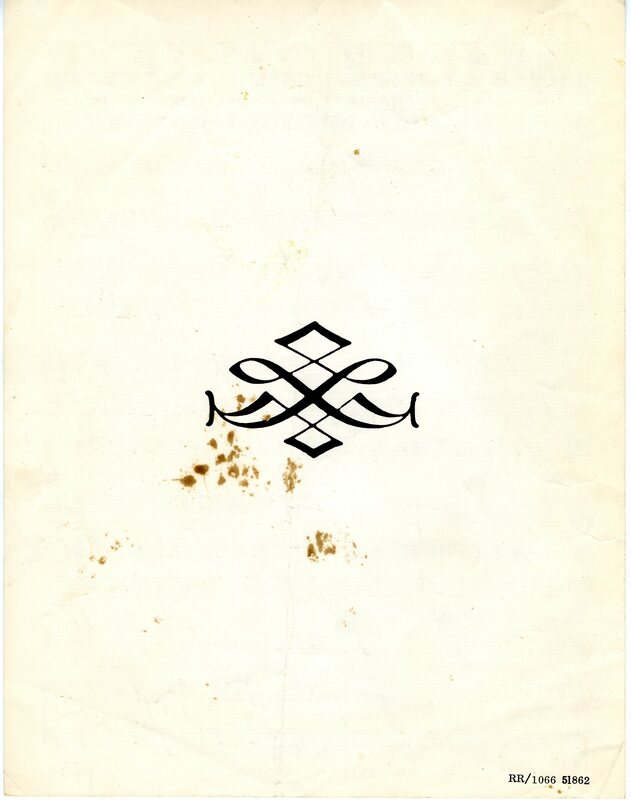 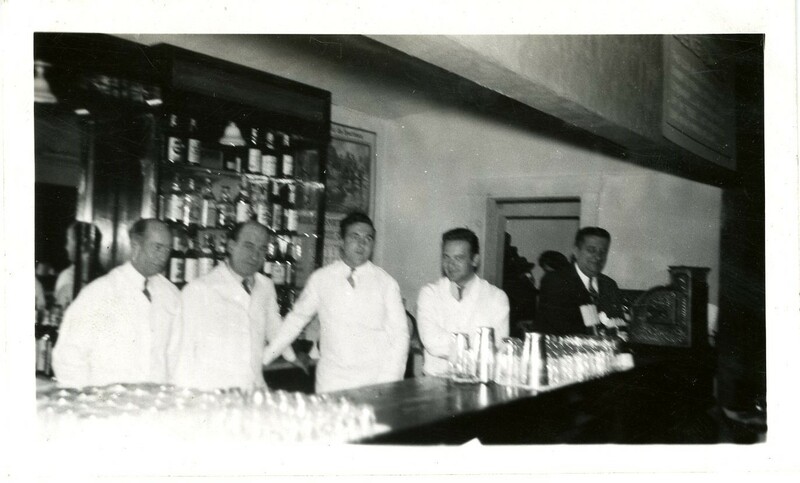 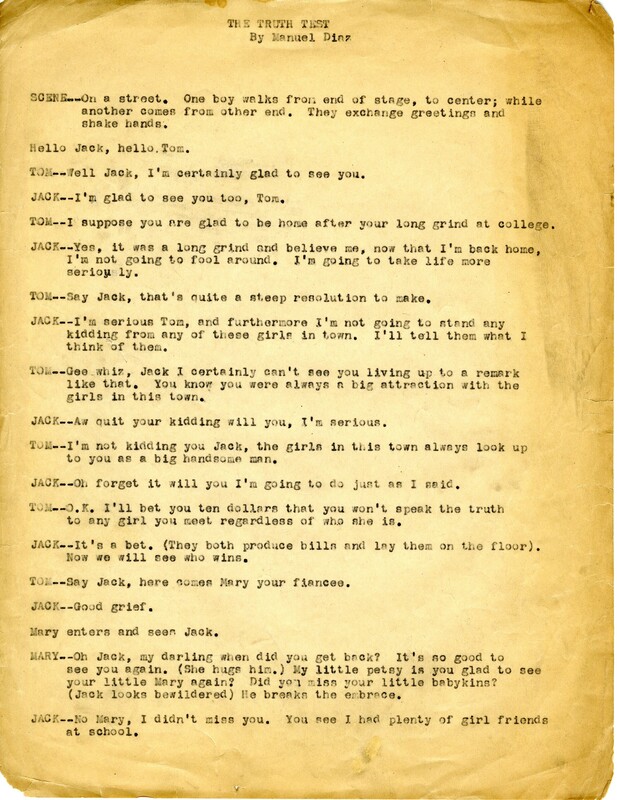 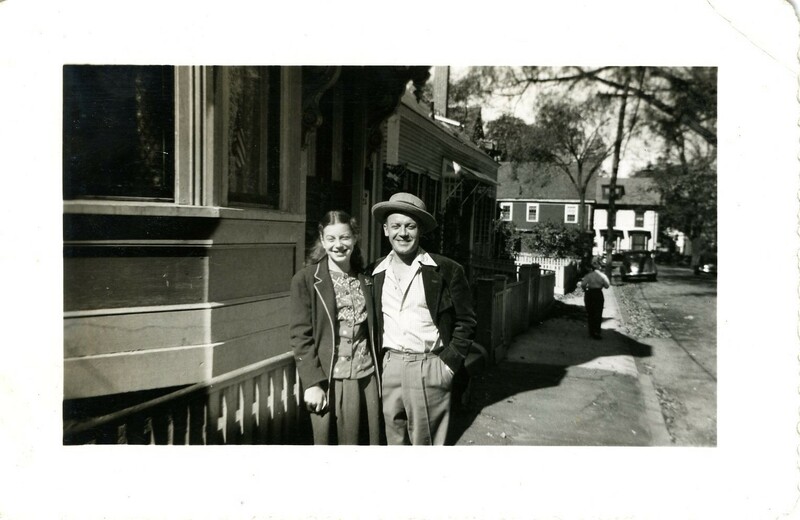 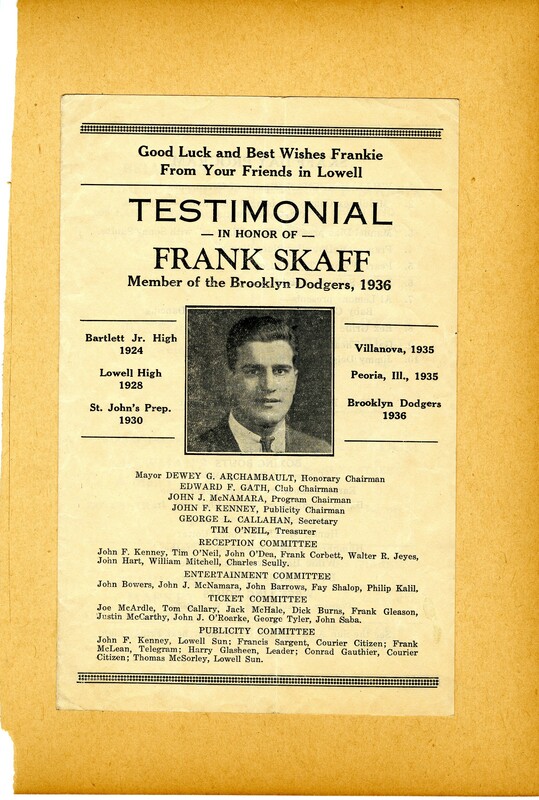 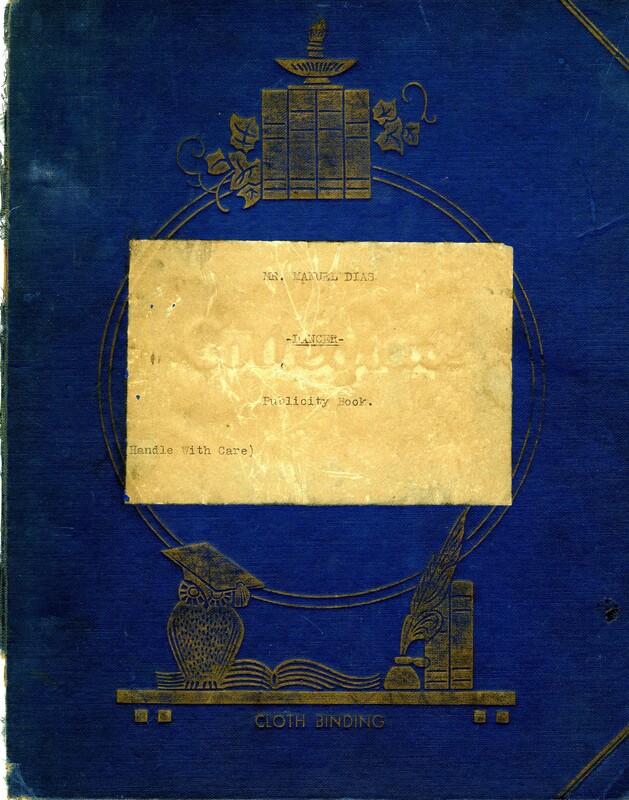 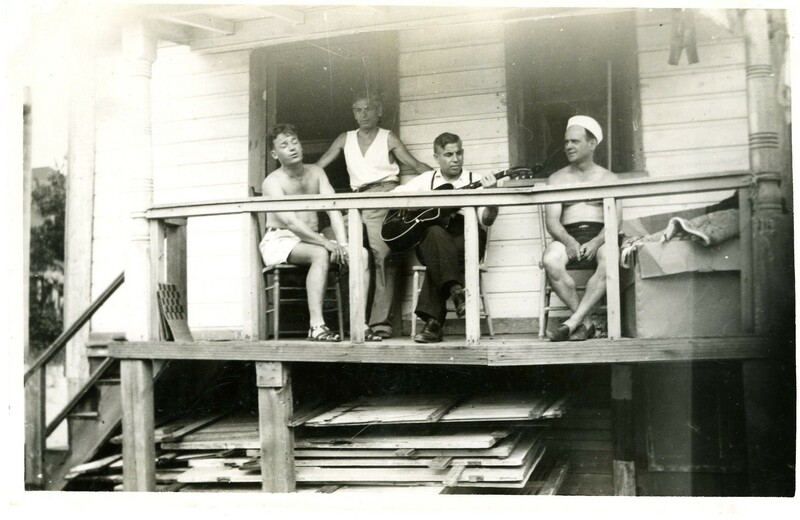 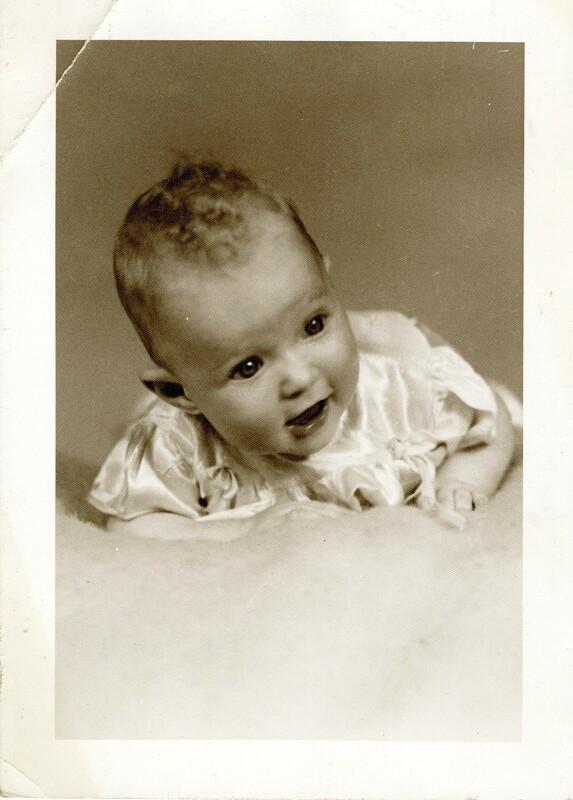 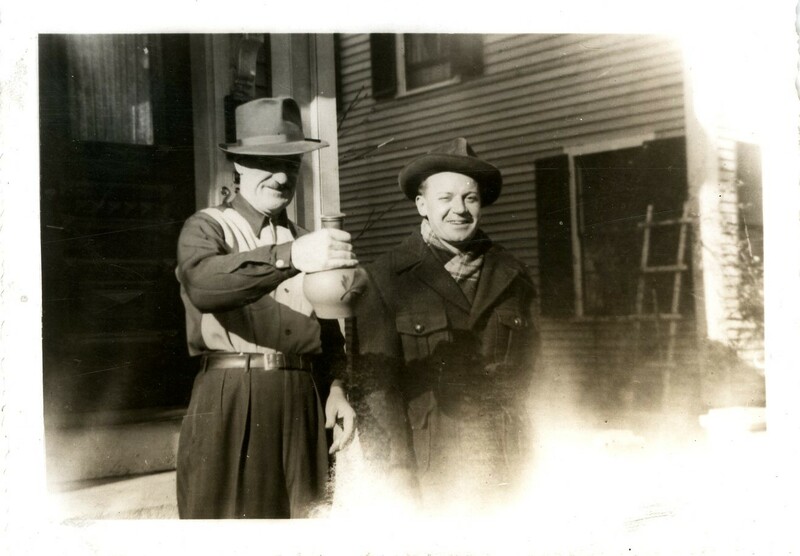 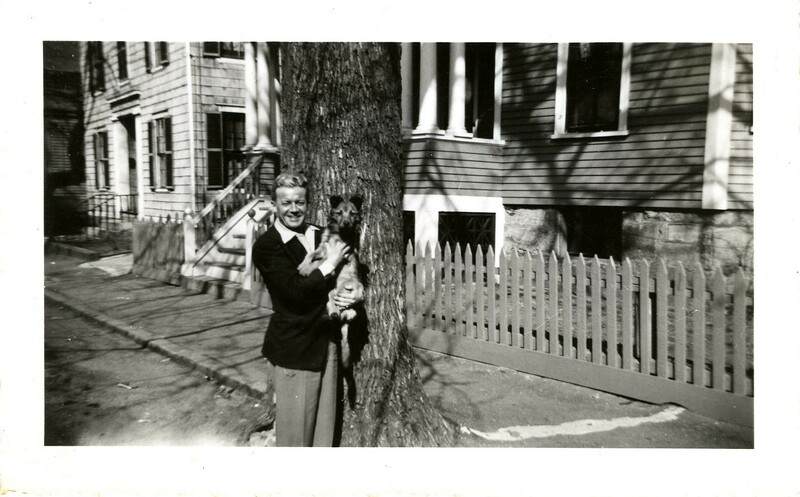 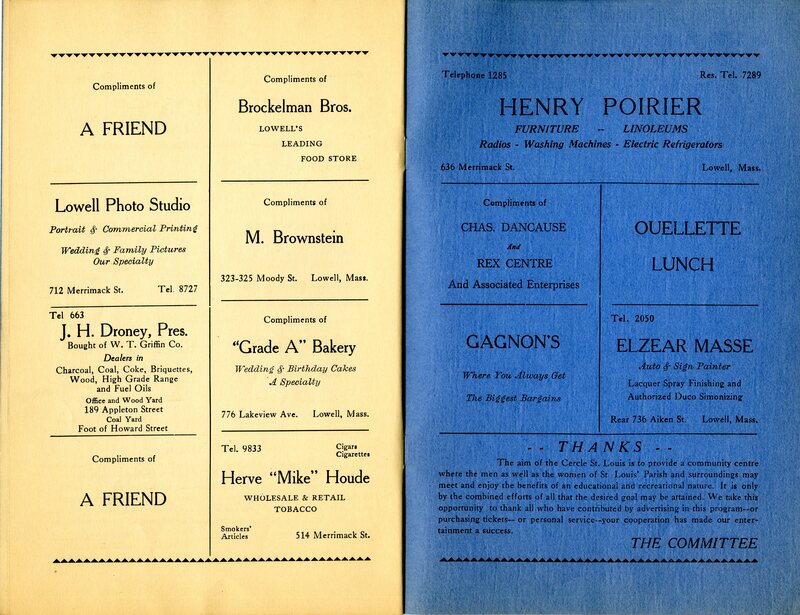 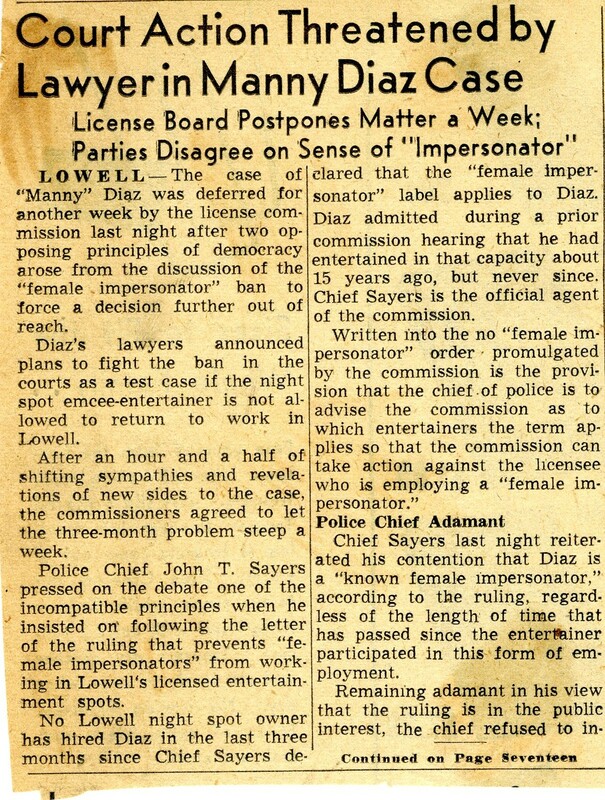 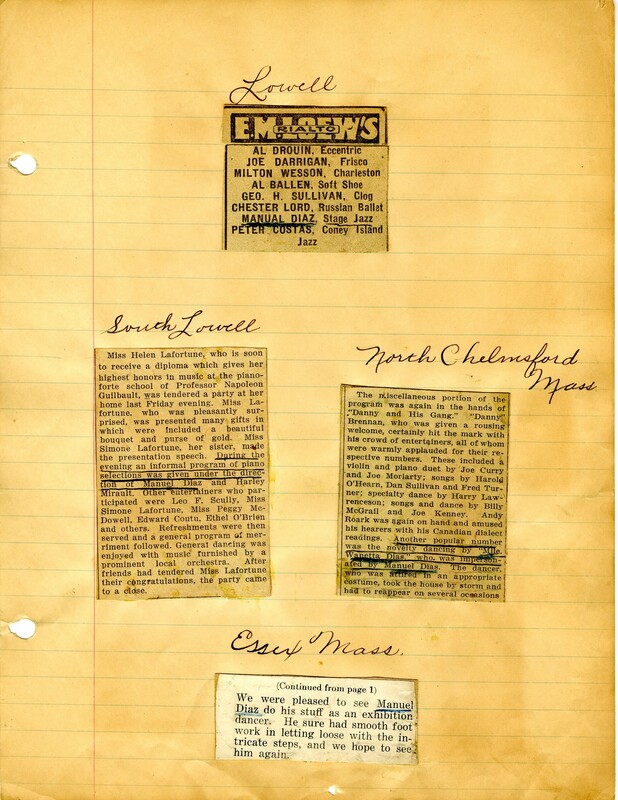 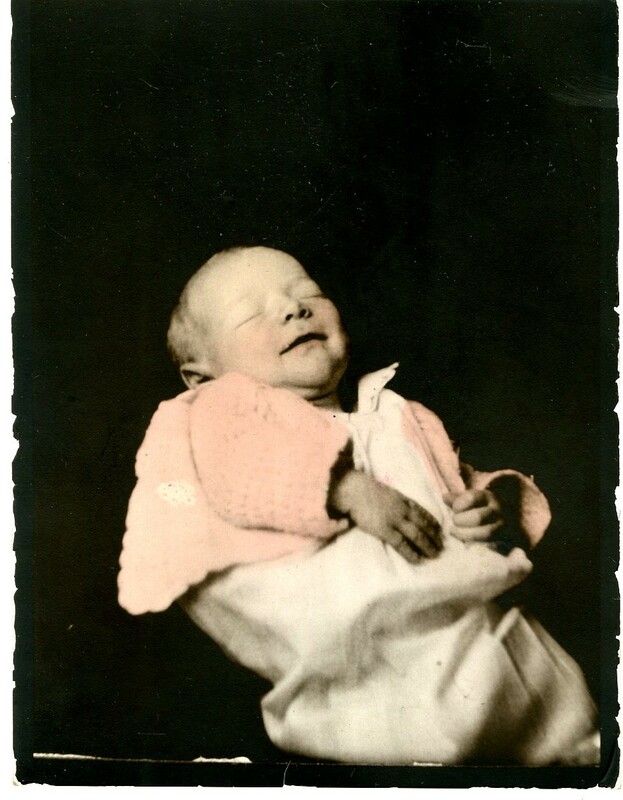 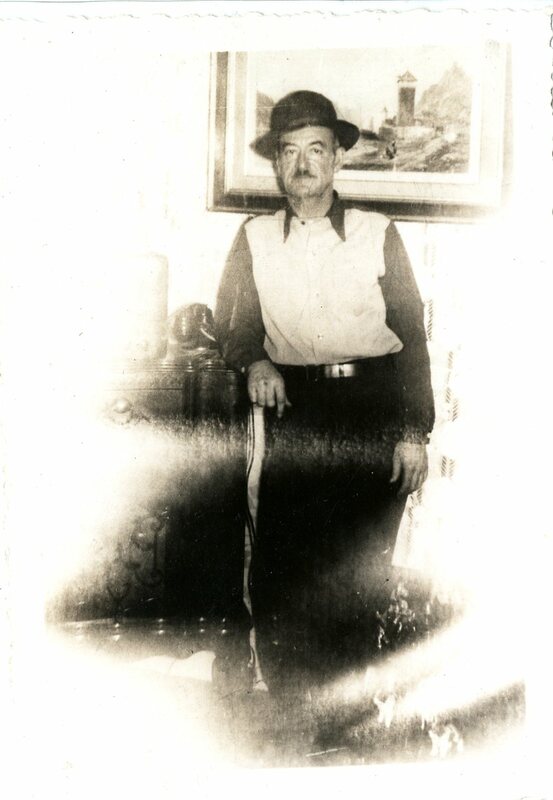 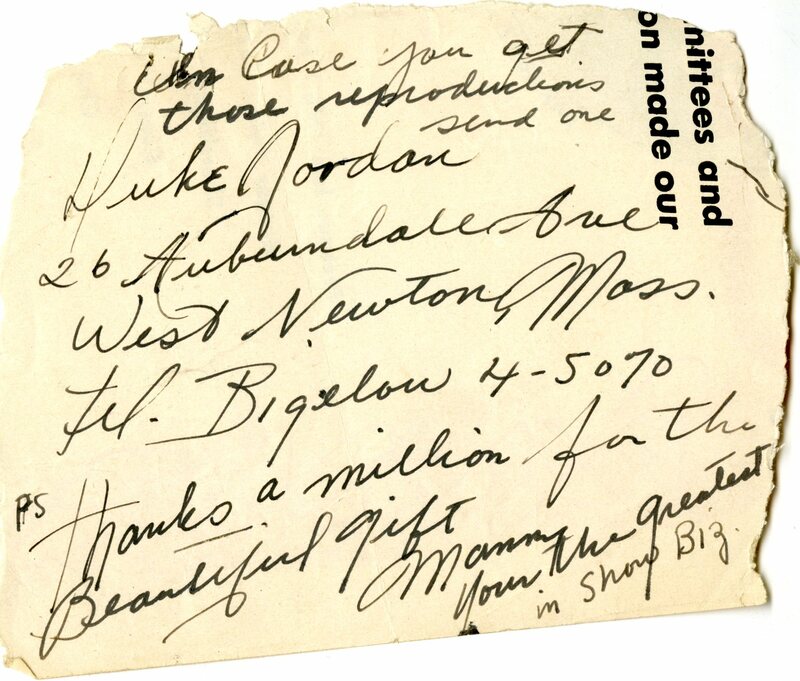 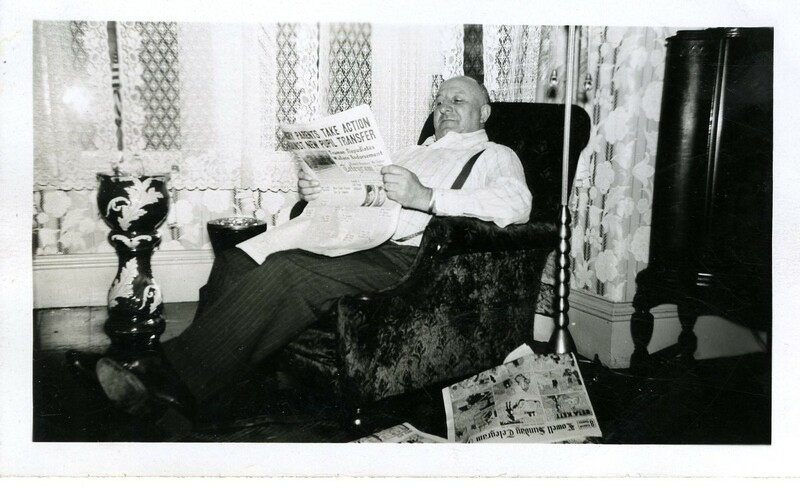 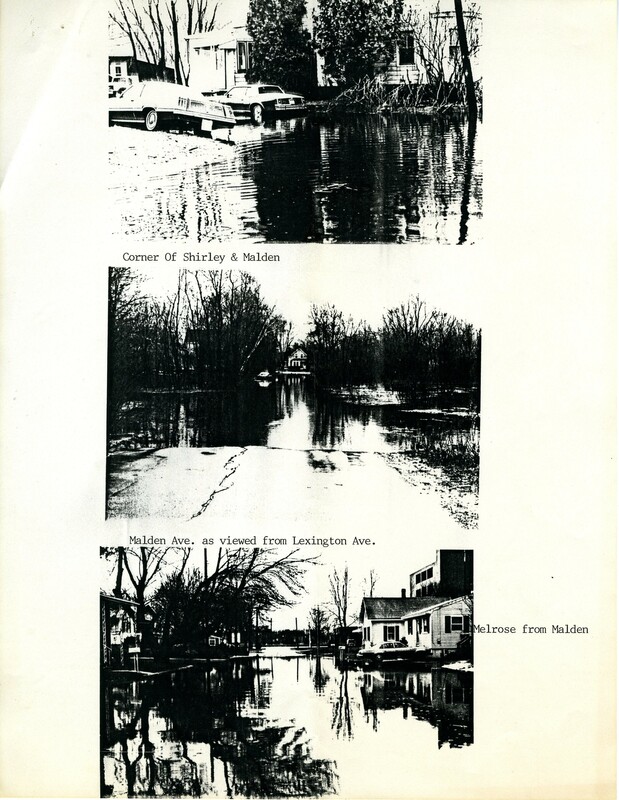 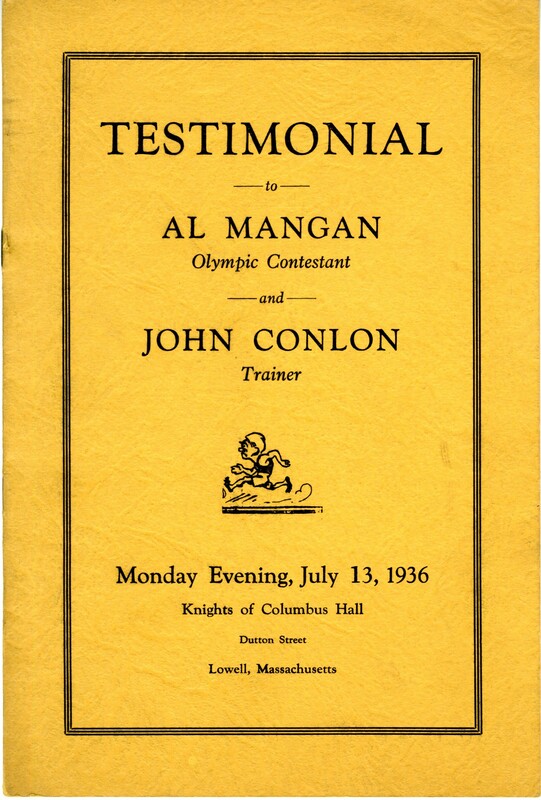 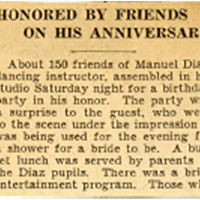 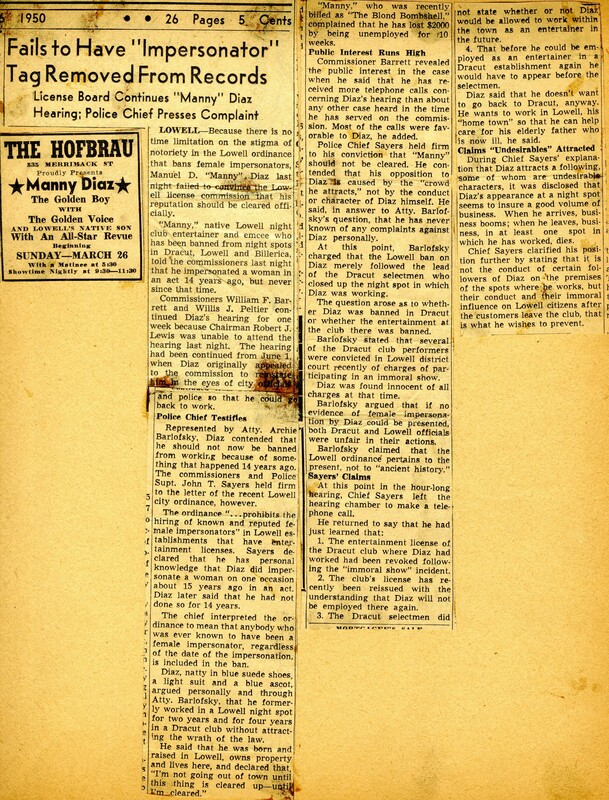 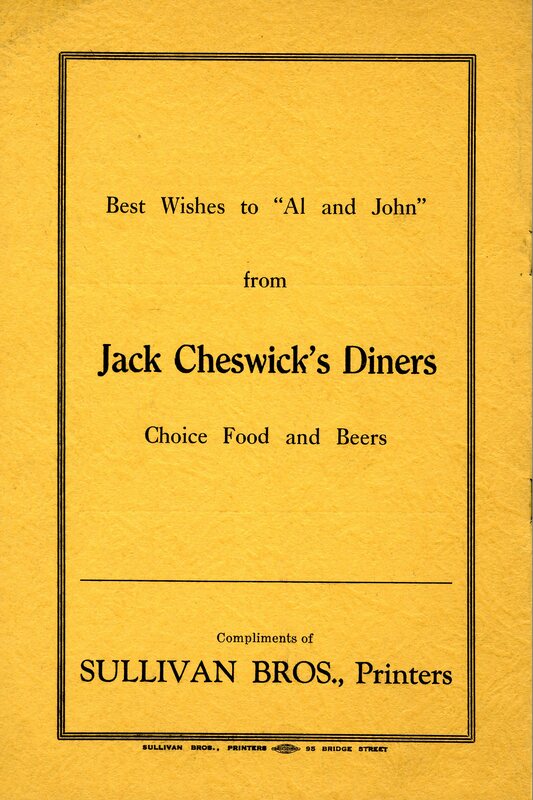 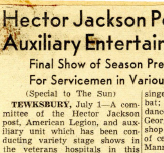 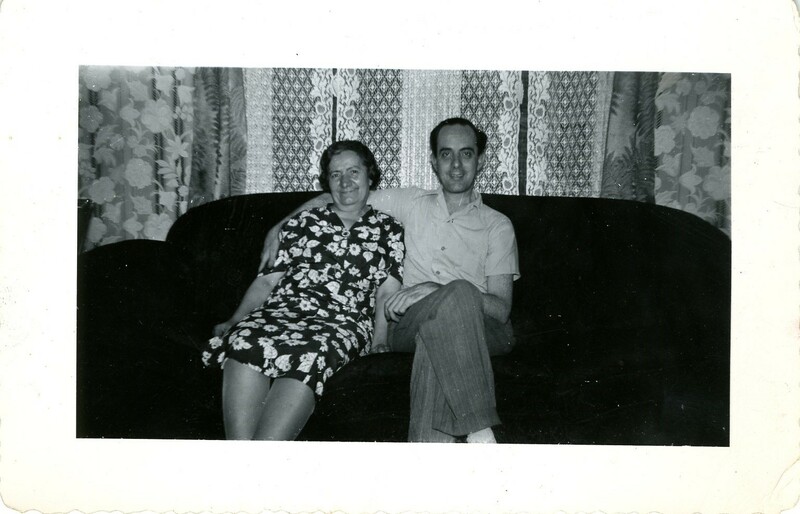 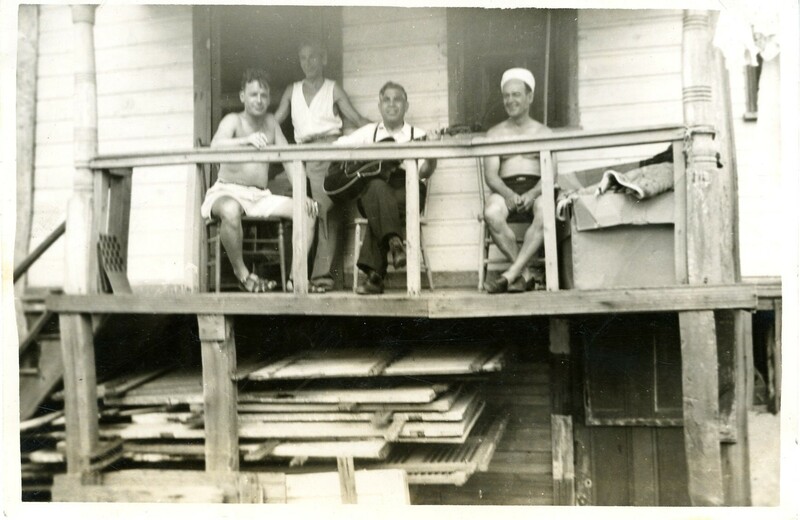 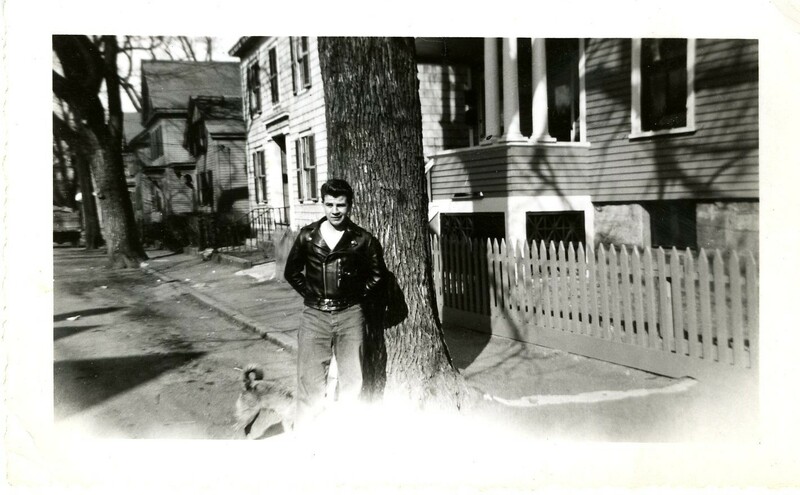 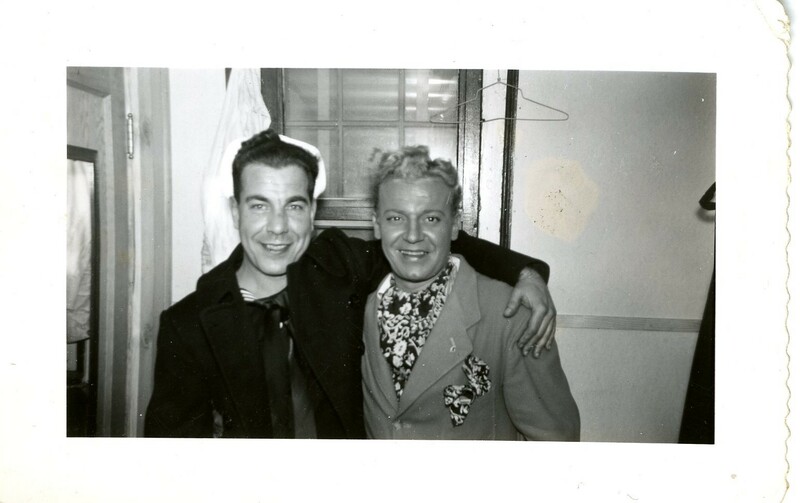 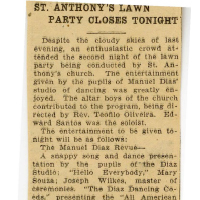 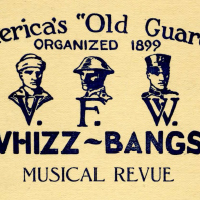 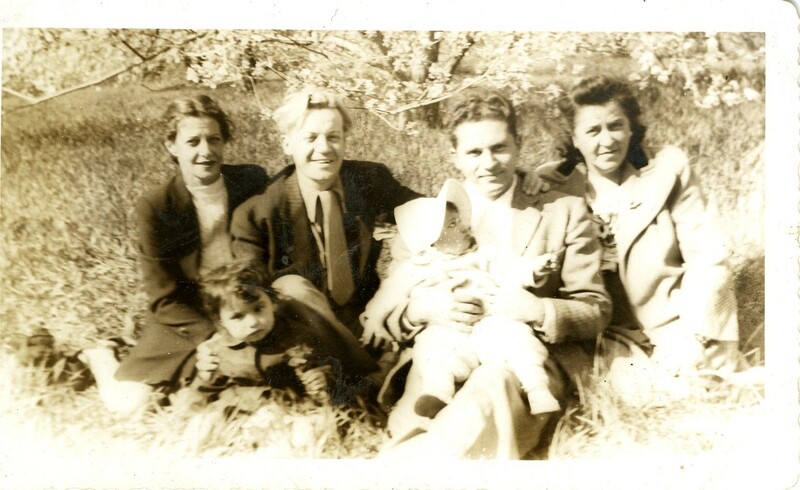 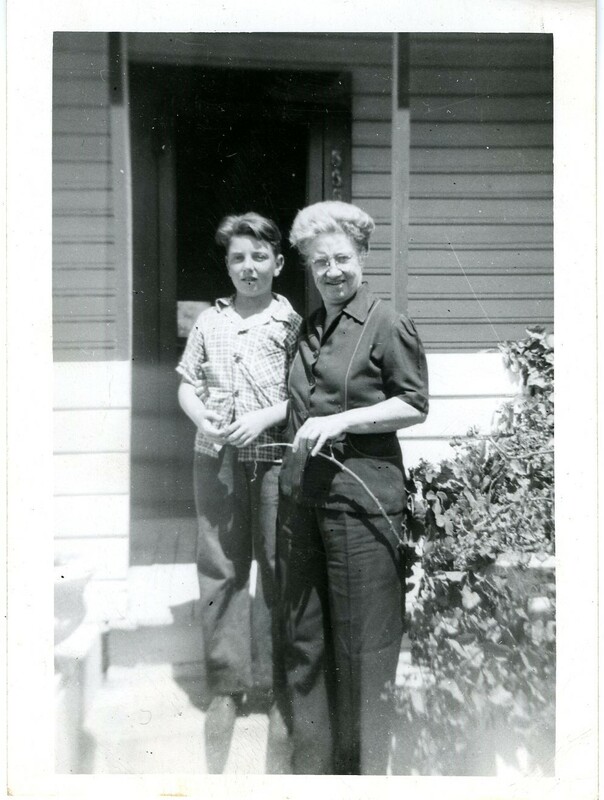 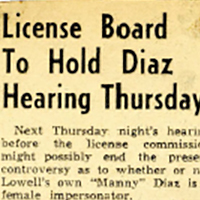 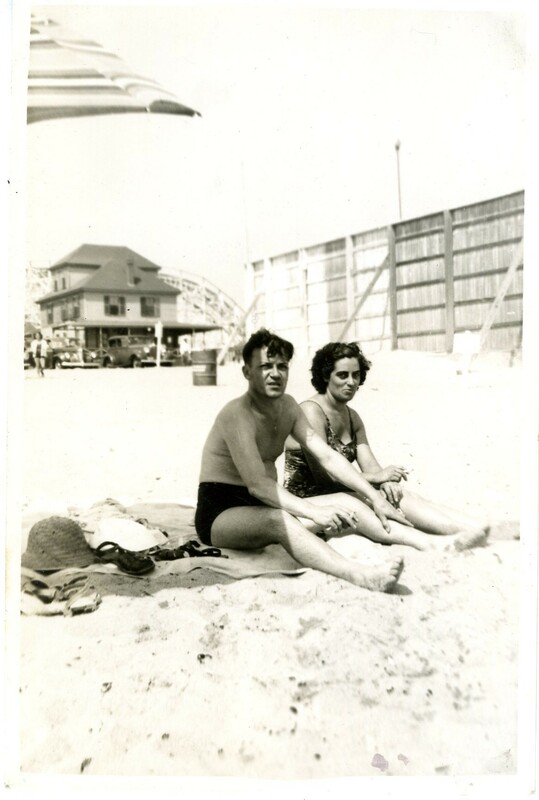 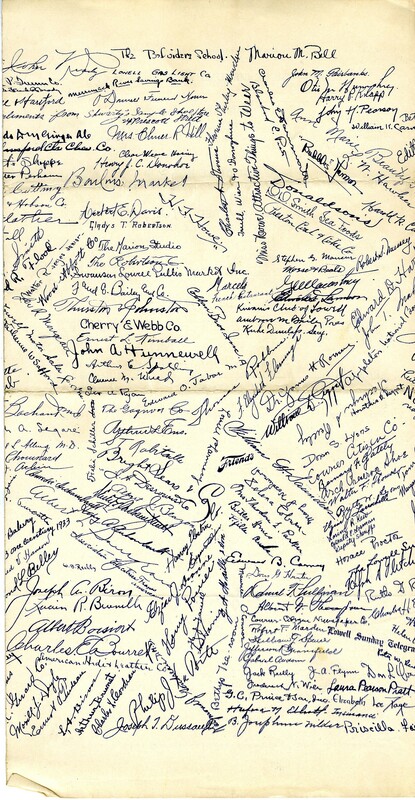 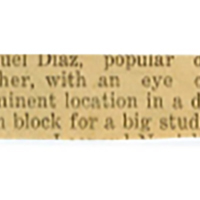 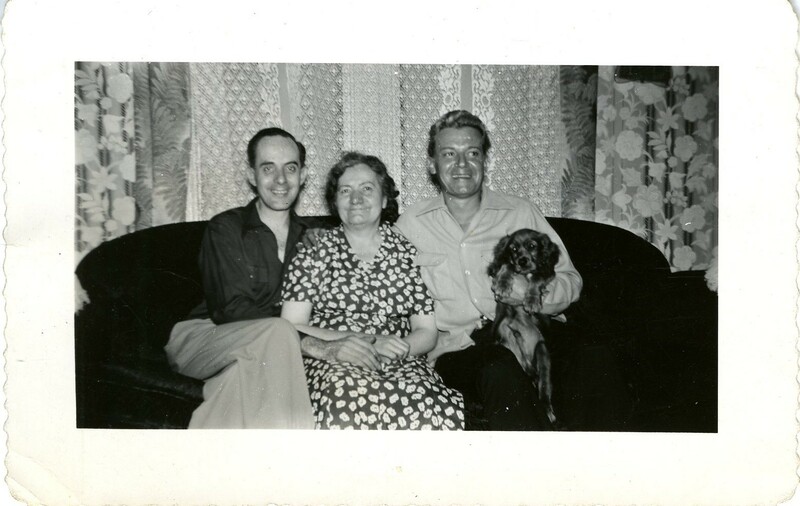 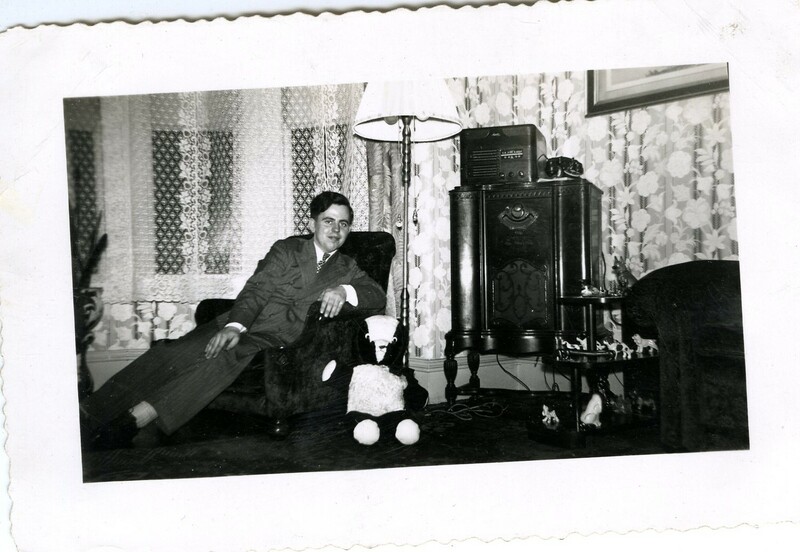 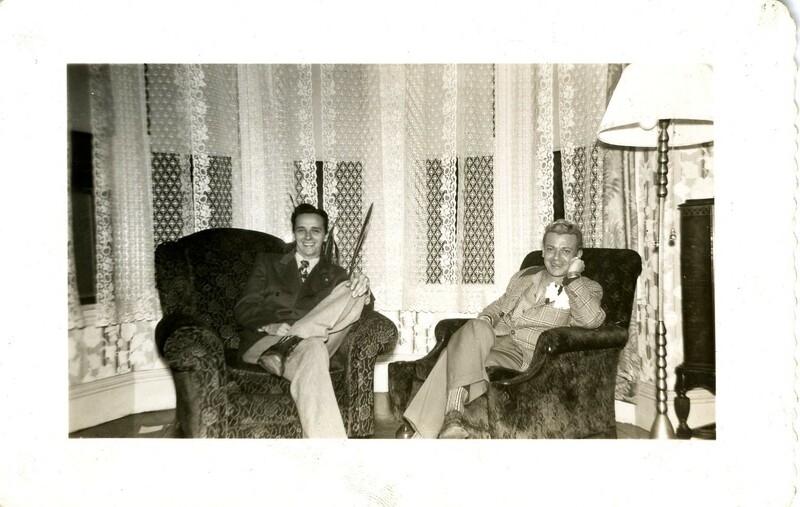 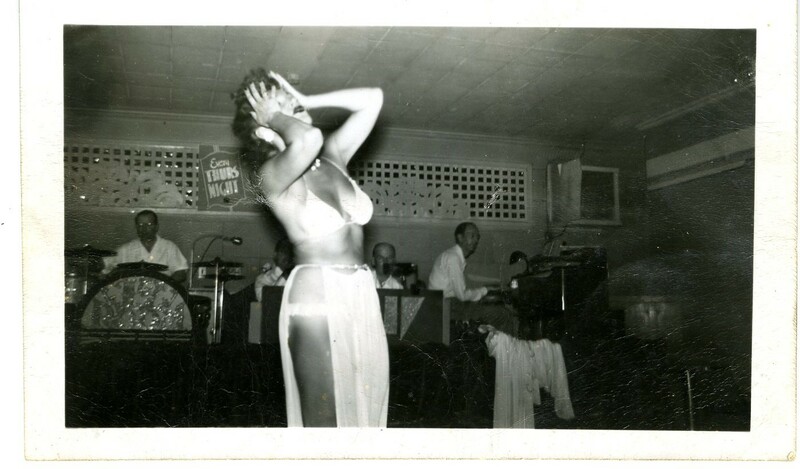 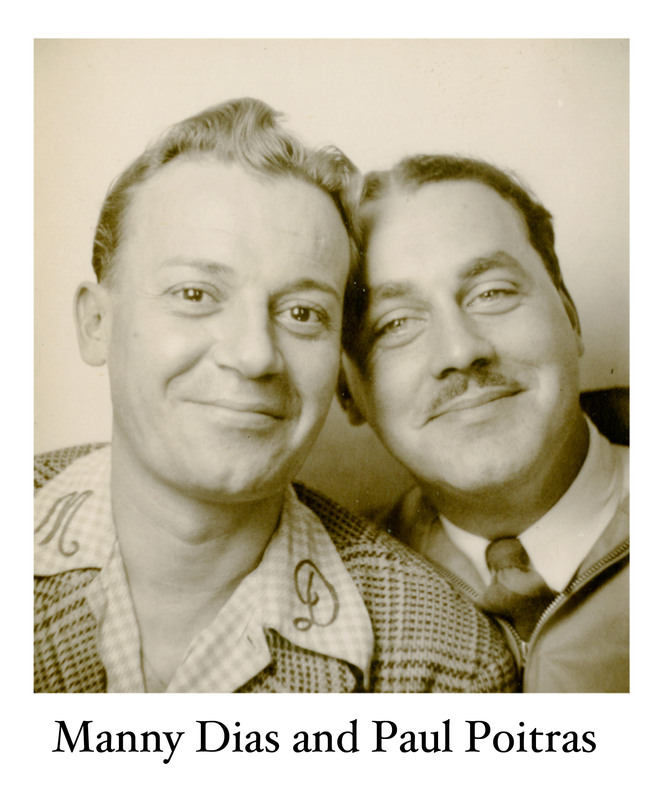 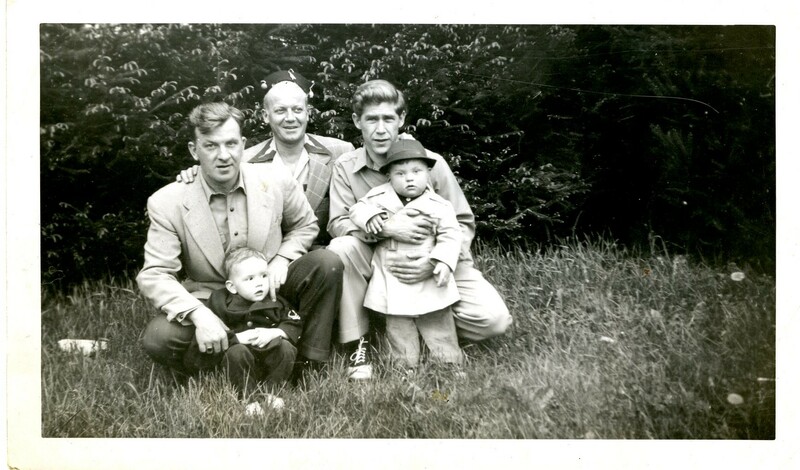 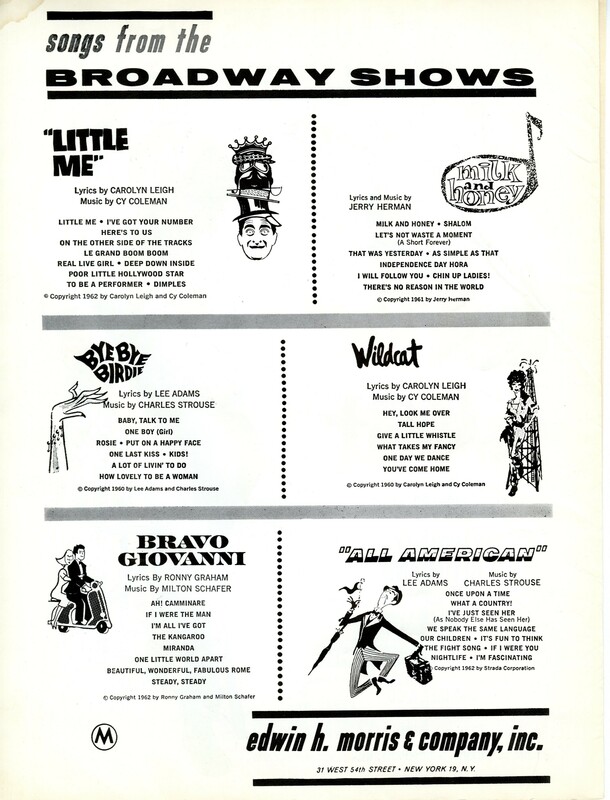 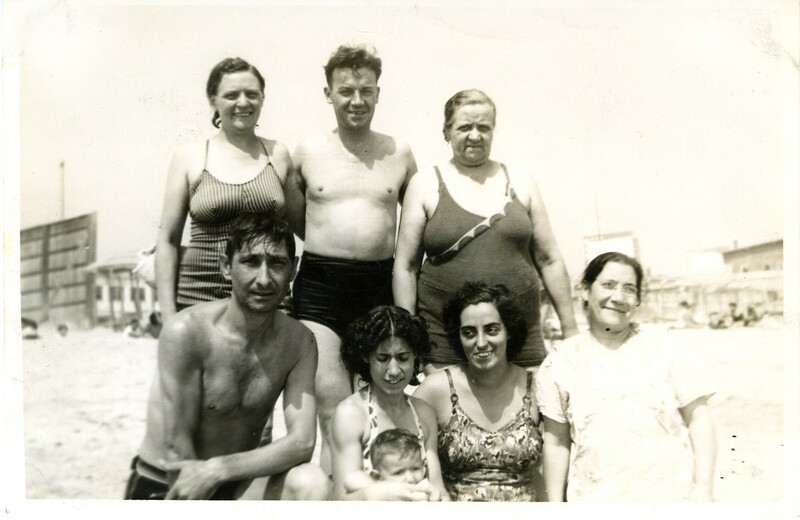 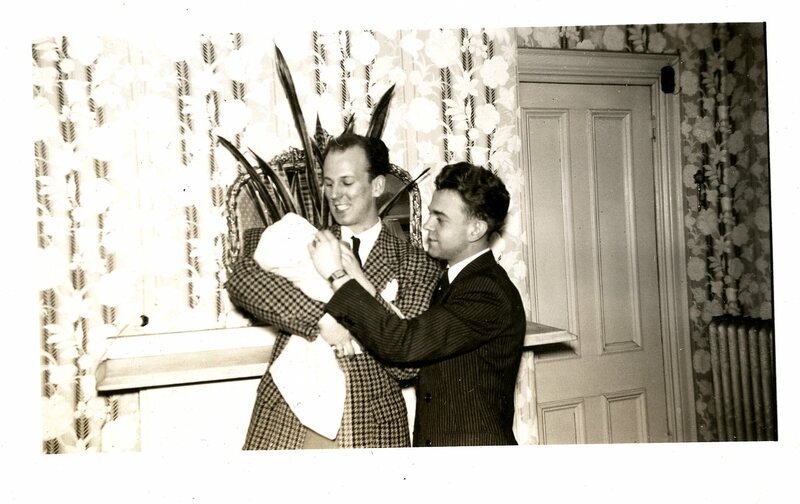 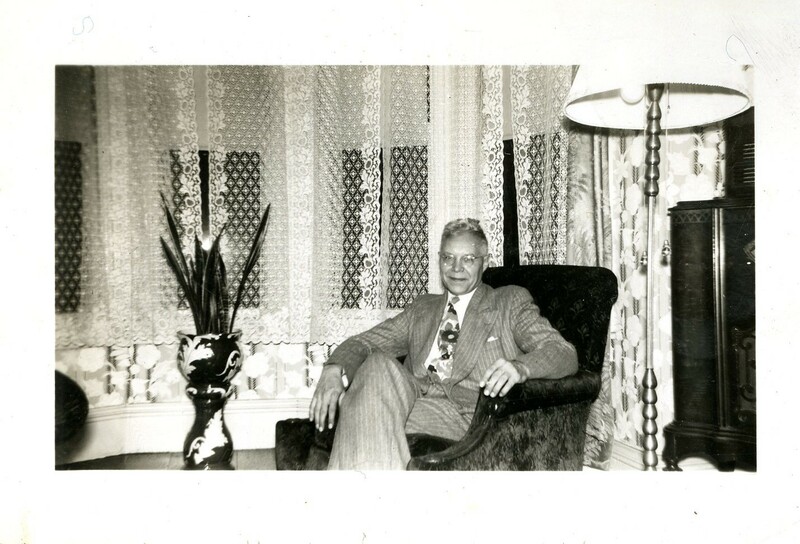 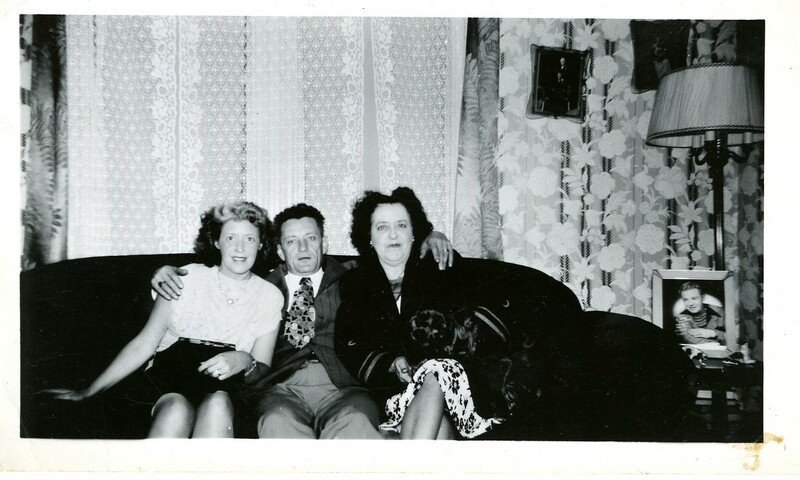 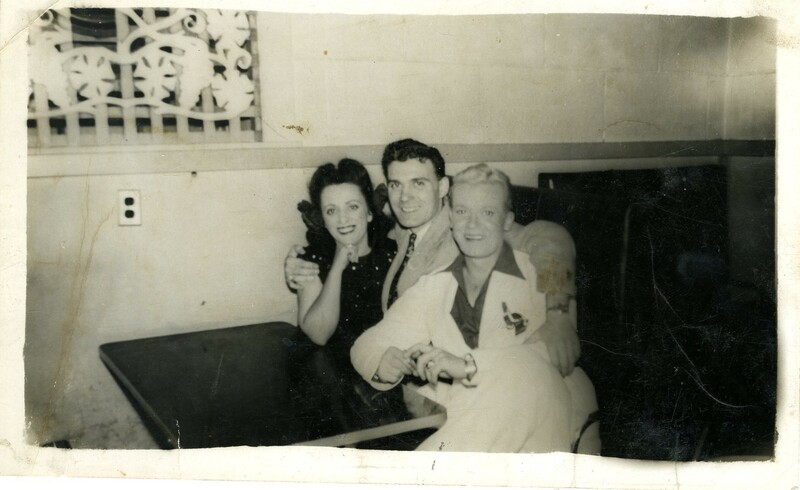 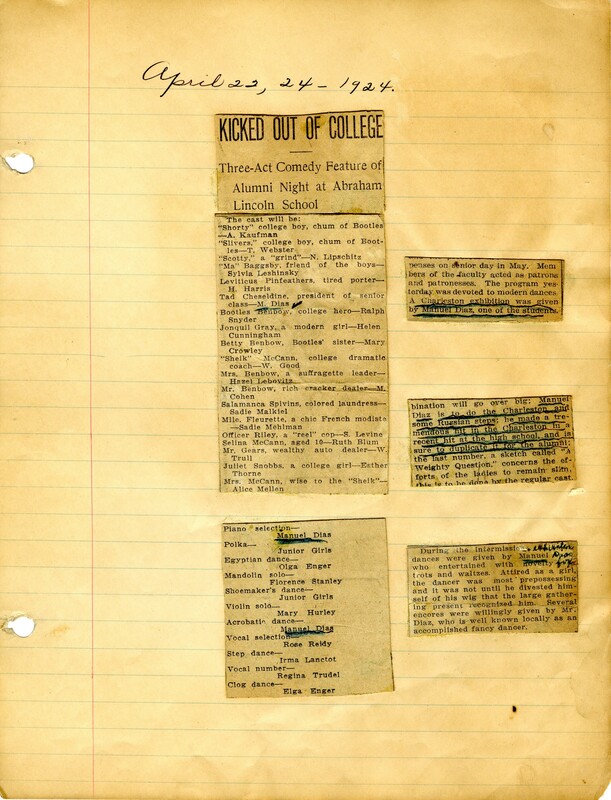 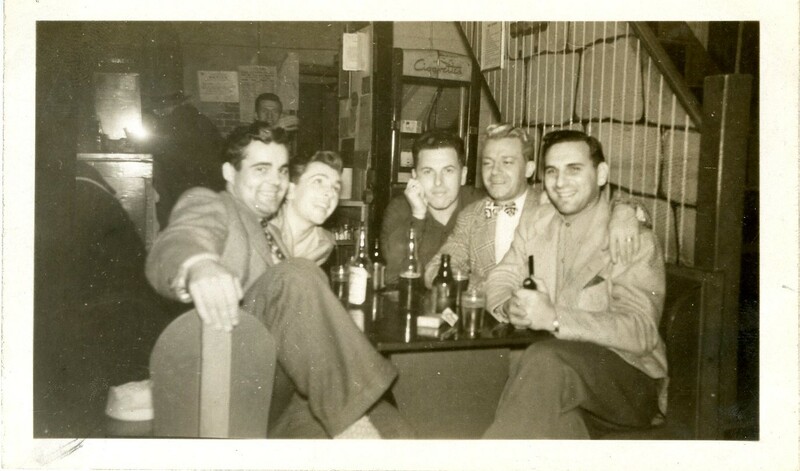 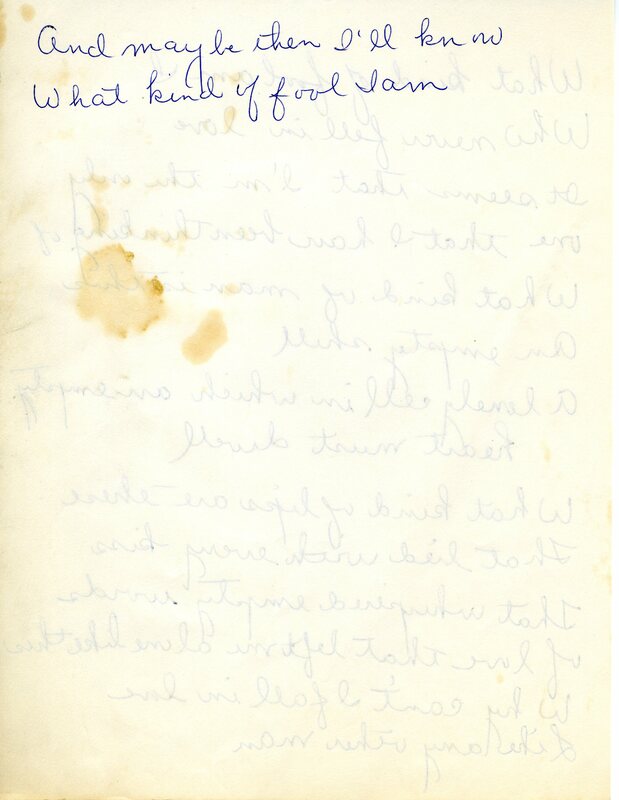 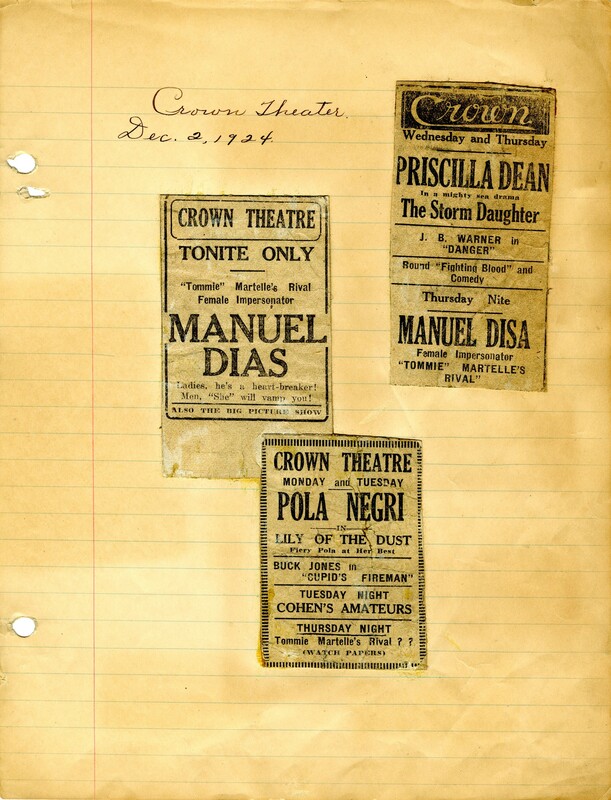 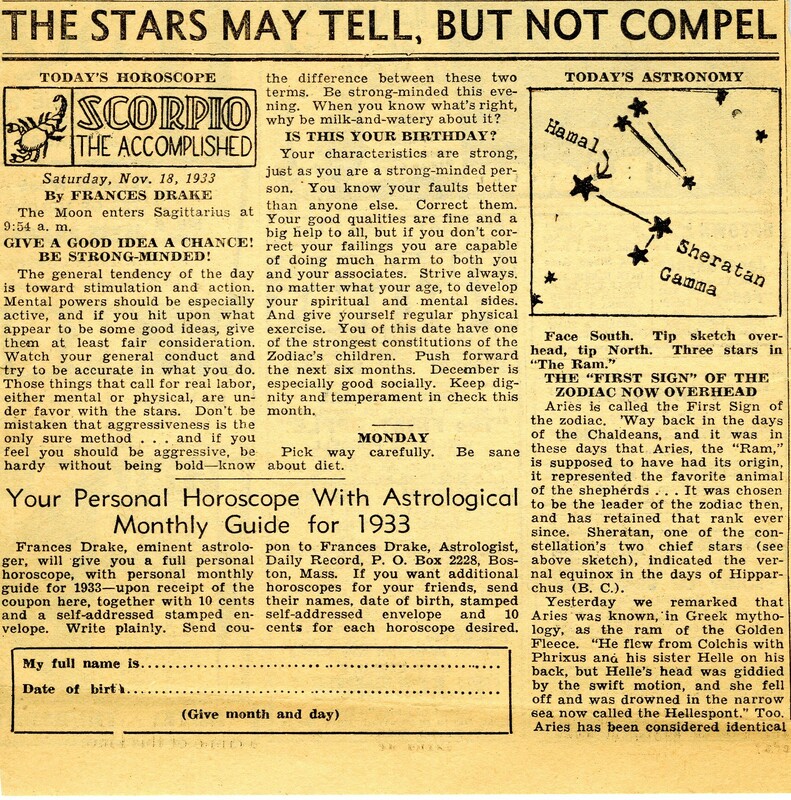 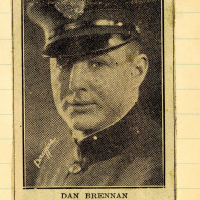 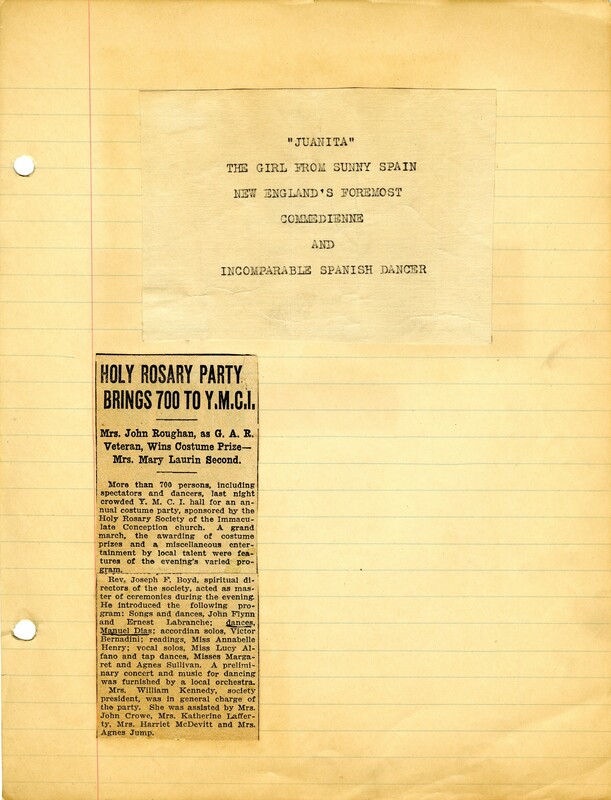 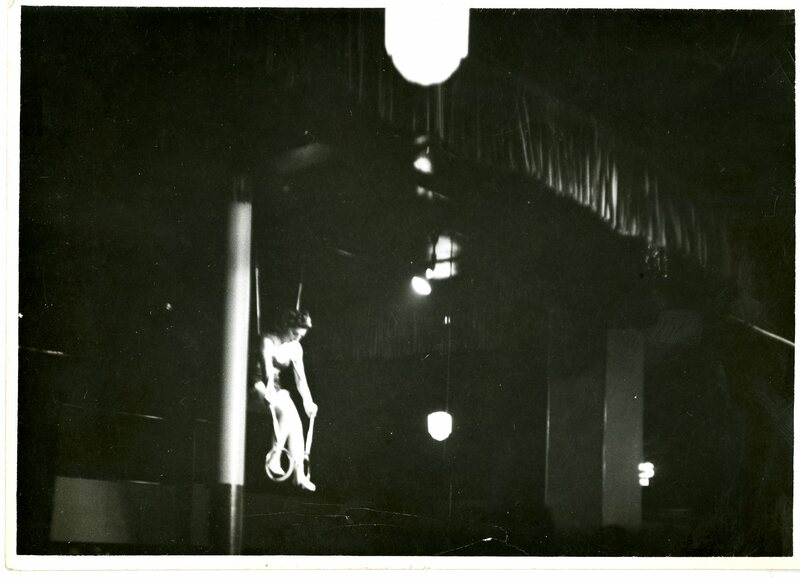 This website focuses on collections of photos and ephemera from Manny Diaz's personal scrapbooks.